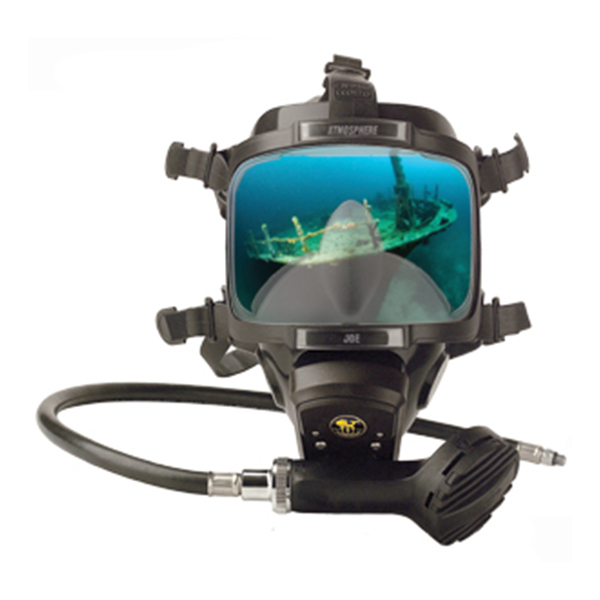 World famous and industry standard for heavy duty, reliable commercial diving equipment. 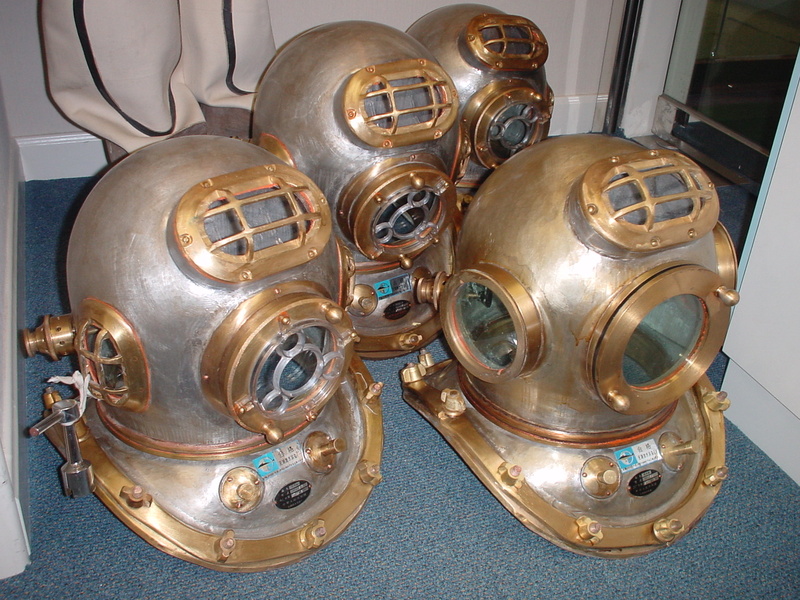 Masks, helmets, dive control systems etc. 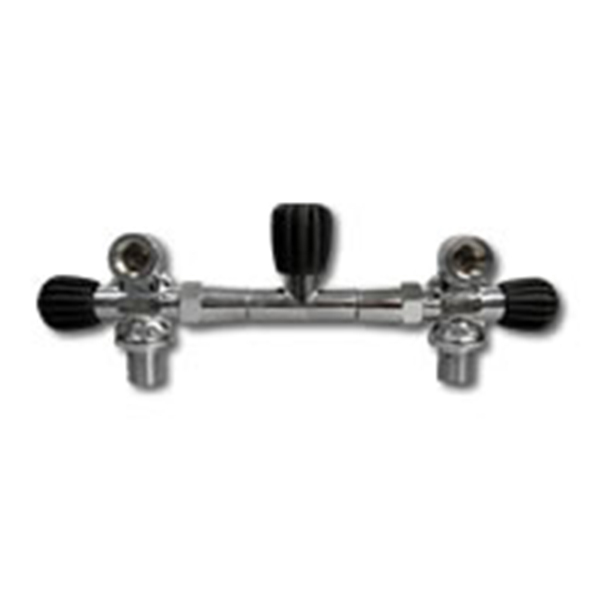 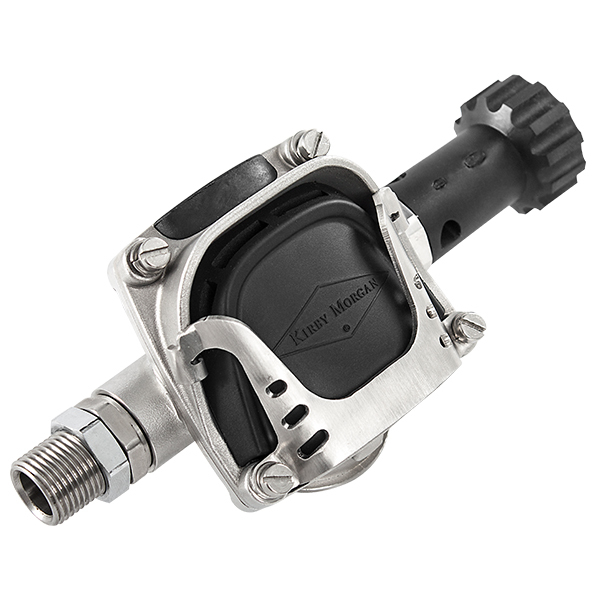 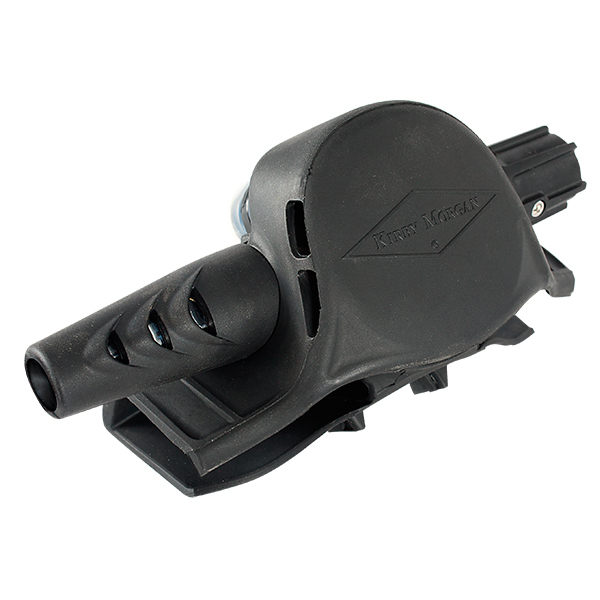 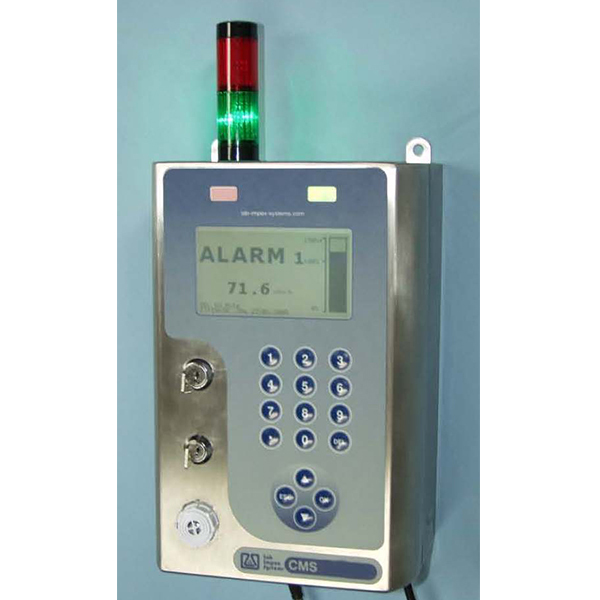 Kirby Morgan have a range of regulators featuring different performance levels. 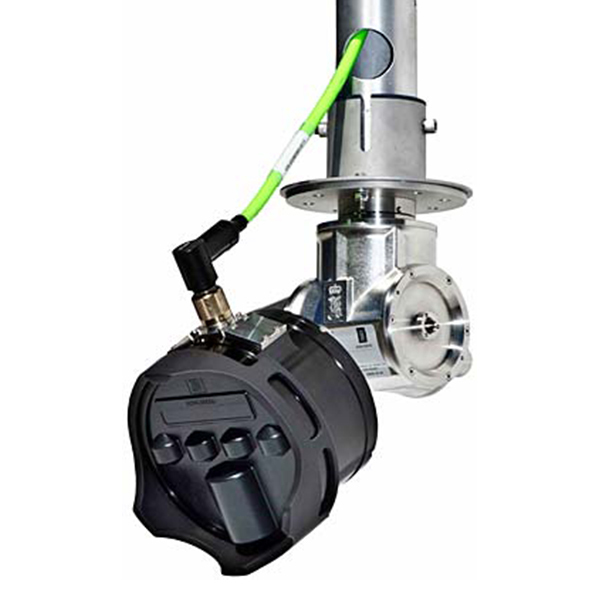 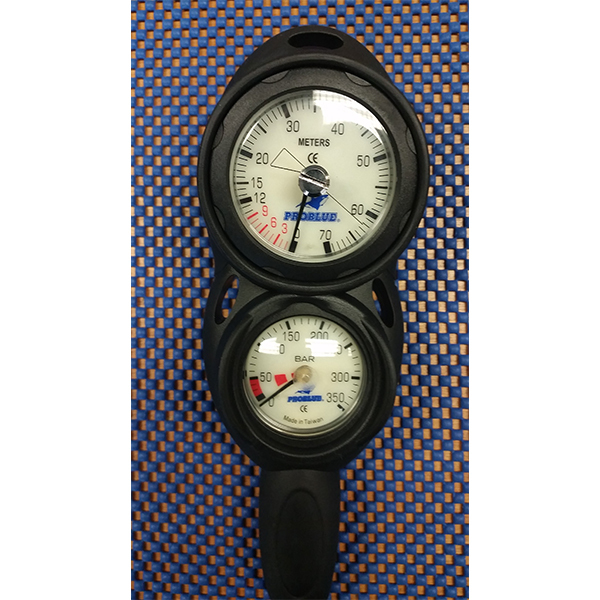 The latest additions to the range are the 455 Balanced Regulator and the Balanced second stage SCUBA regulator. 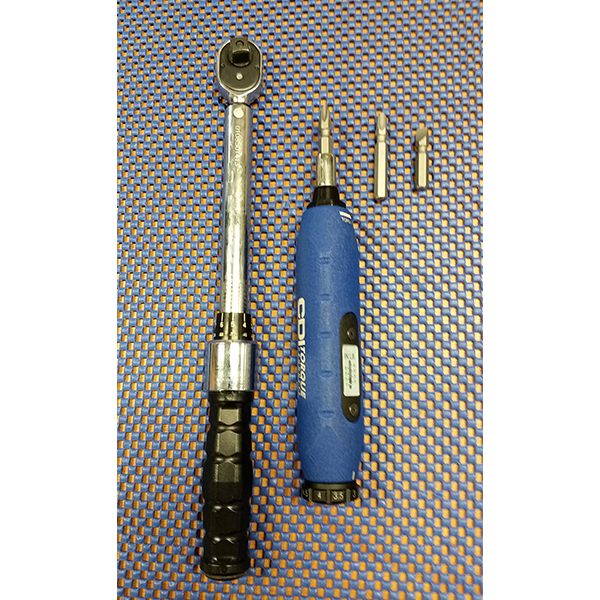 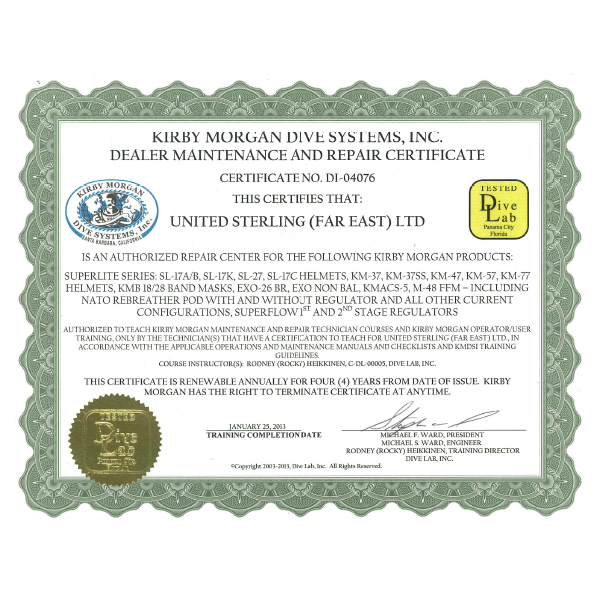 United Sterling is an authorised repair and training centre for the full range of Kirby Morgan products. 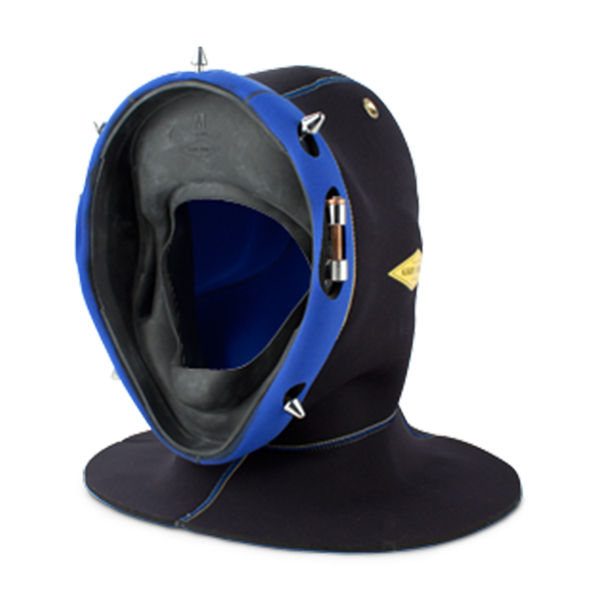 We carry out annual maintenance on helmets, bandmasks and air control panels. 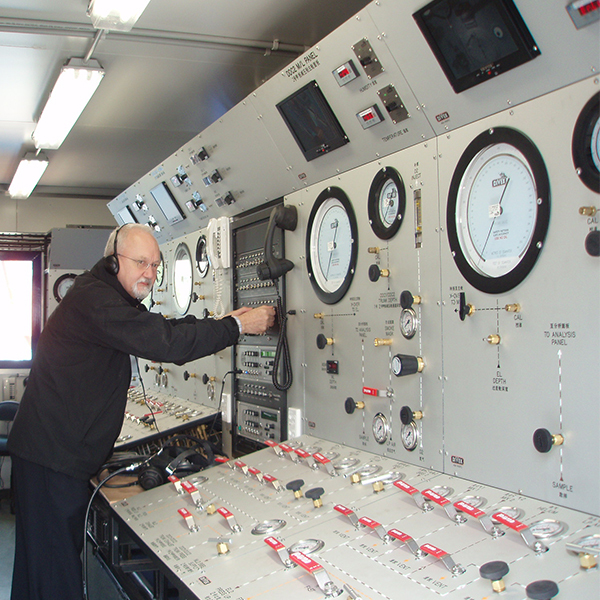 On completion a full report is issued, which should go into the equipment’s log book for future reference. 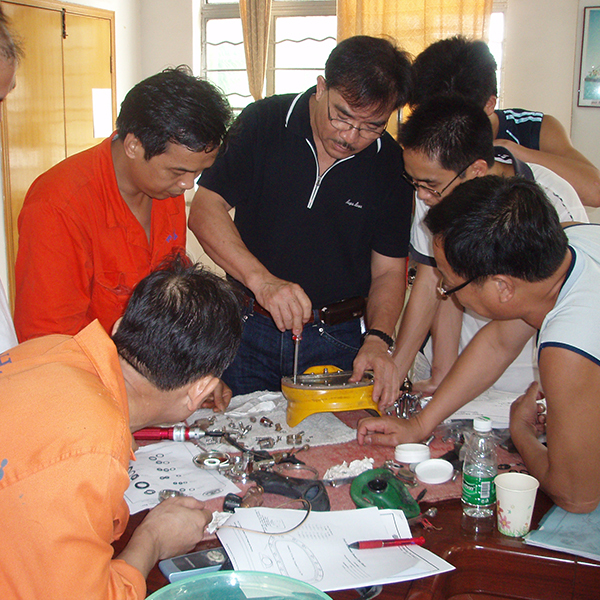 We are authorised to teach Kirby Morgan Maintenance and Repair Technician courses and Kirby Morgan Operator/User training. 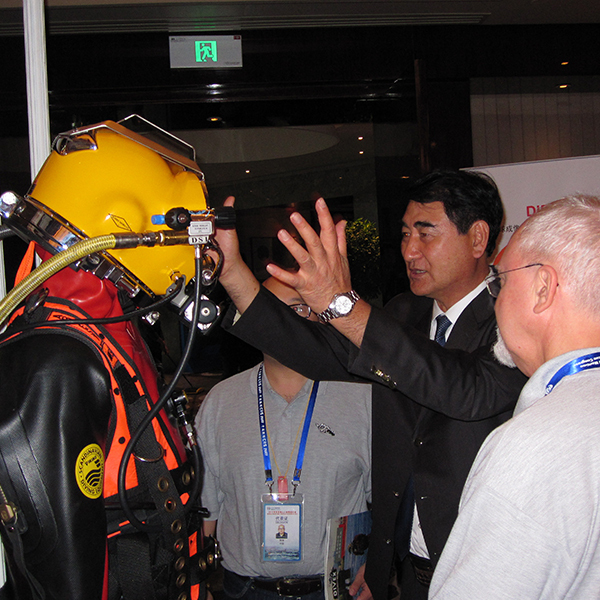 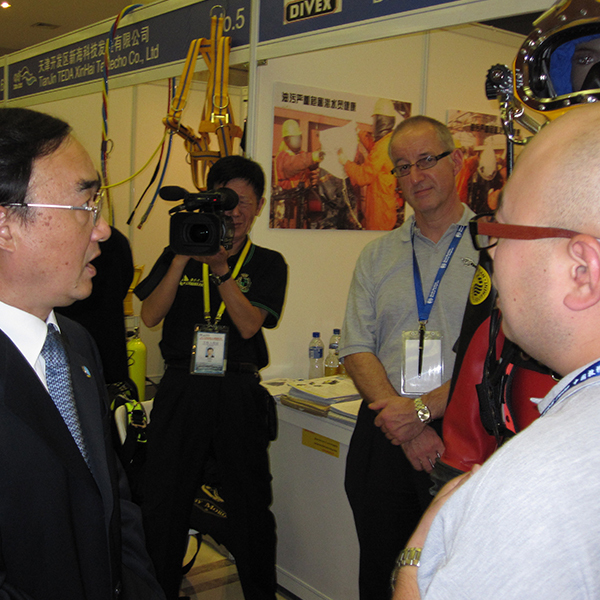 Divex, now part of the JFD group, are the world leaders in the supply of the most advanced diving equipment. 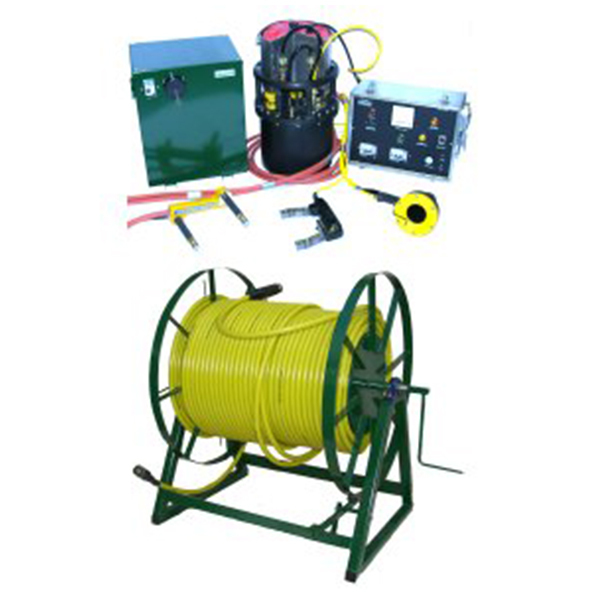 JFD is headquartered in Scotland and has bases in Australia and South Africa. 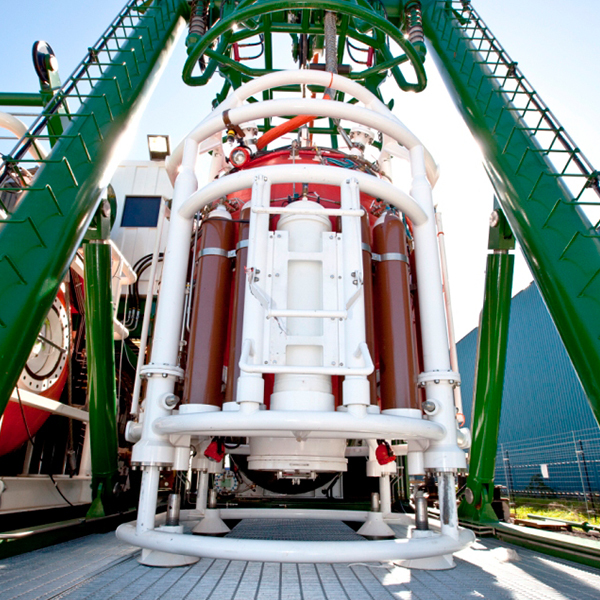 In 2013 the Shanghai Salvage Company completed a record dive to 313.5msw using their saturation diving system built by Divex Australia. 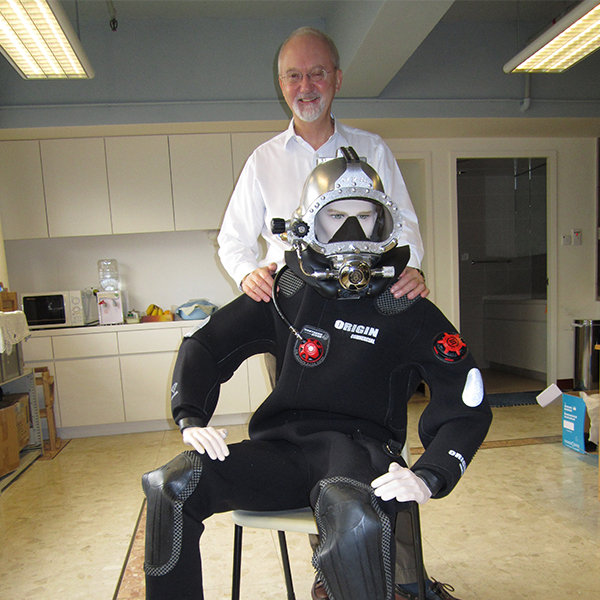 Shadow is a shallow water Underwater Breathing Apparatus (UBA). 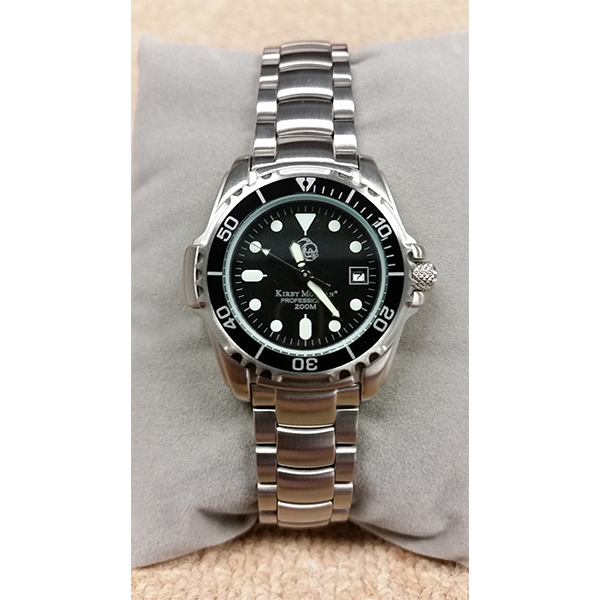 The Shadow range is designed to meet the evolving operational roles of the combat diver. 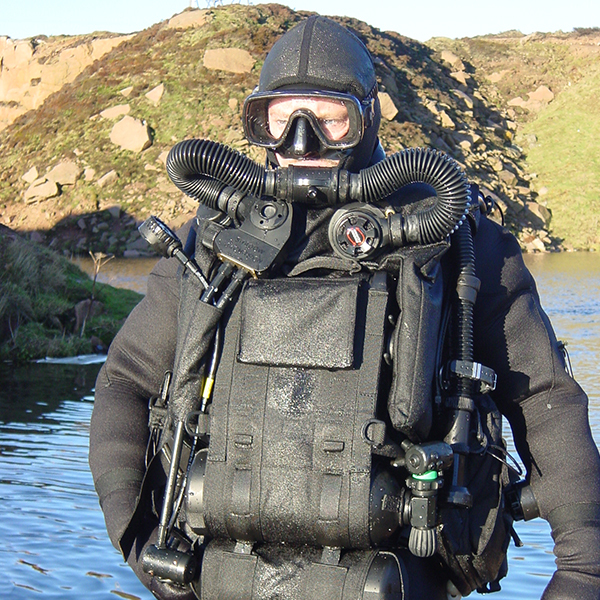 Shadow’s unique design offers maritime Special Operations Forces unparalleled performance and mission flexibility whilst minimising size and weight. 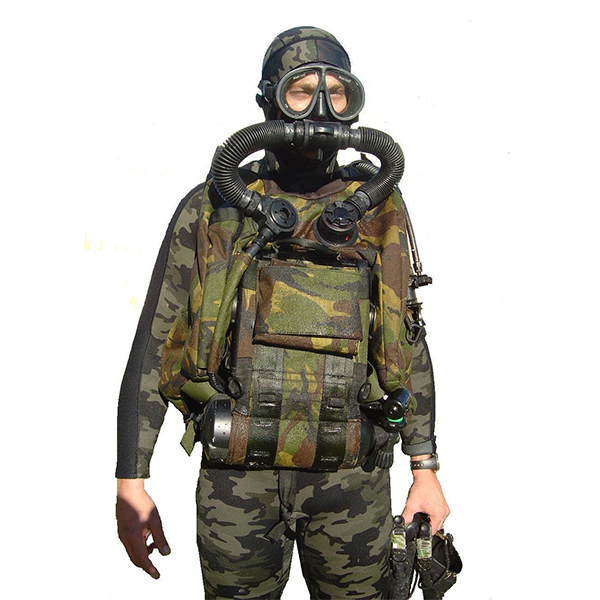 Shadow is a shallow water Underwater Breathing Apparatus (UBA). 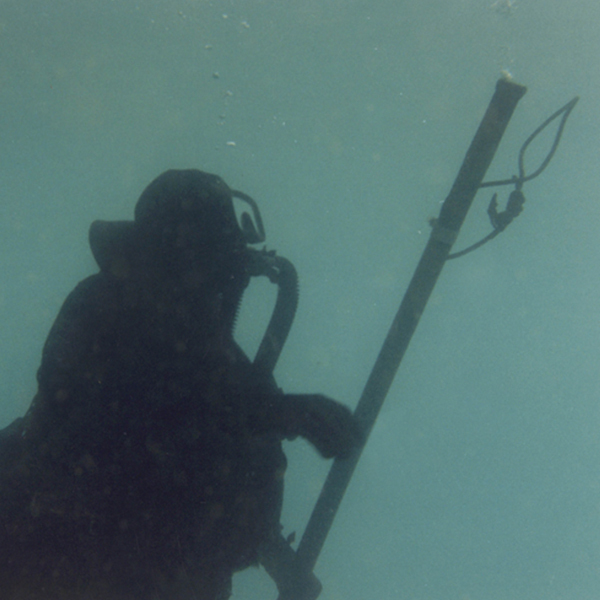 The Shadow range is designed to meet the evolving operational roles of the combatant diver. 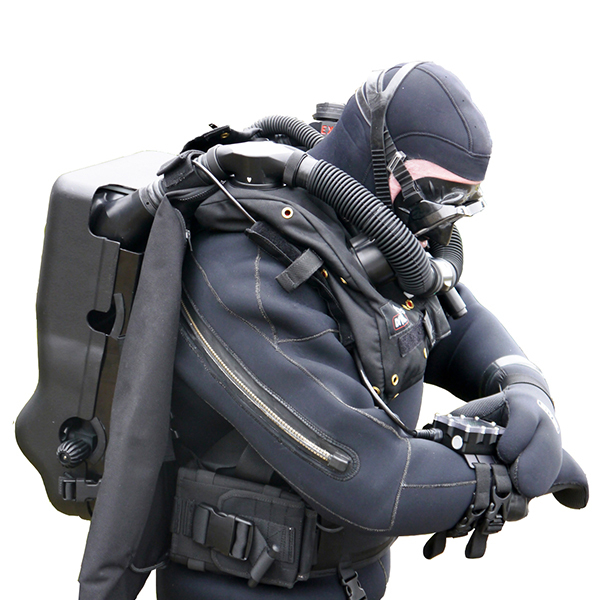 Shadow’s unique design offers maritime Special Operations Forces unparalleled performance and mission flexibility whilst minimising size and weight. 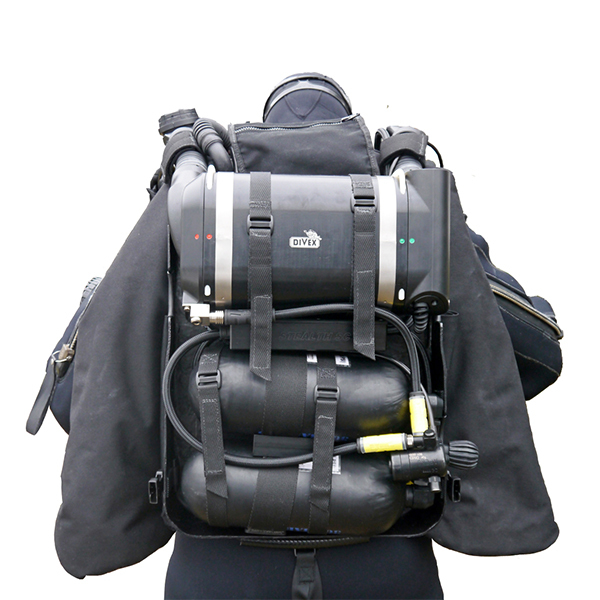 Stealth SC (Semi Closed) is a product of the highly successful and operationally proven range of Stealth Underwater Breathing Apparatus (UBA). 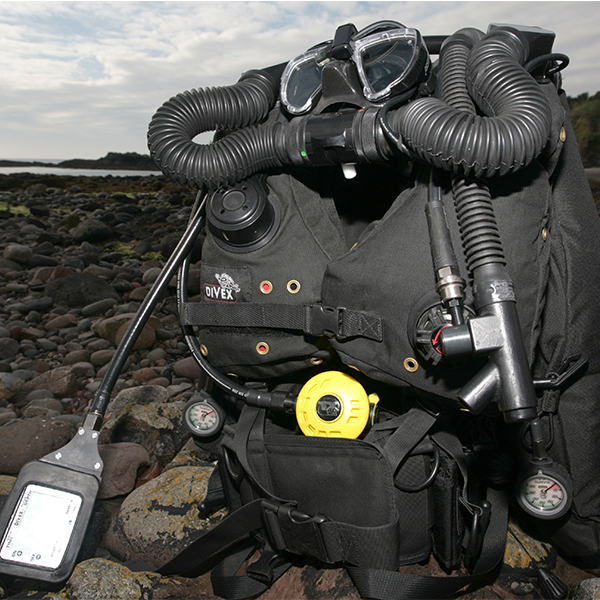 Stealth Clearance Diver’s Life Support Equipment (CDLSE) is the latest development of the highly successful and operationally proven range of Stealth Closed Circuit Mixed Gas Underwater Breathing Apparatus (CC UBA). 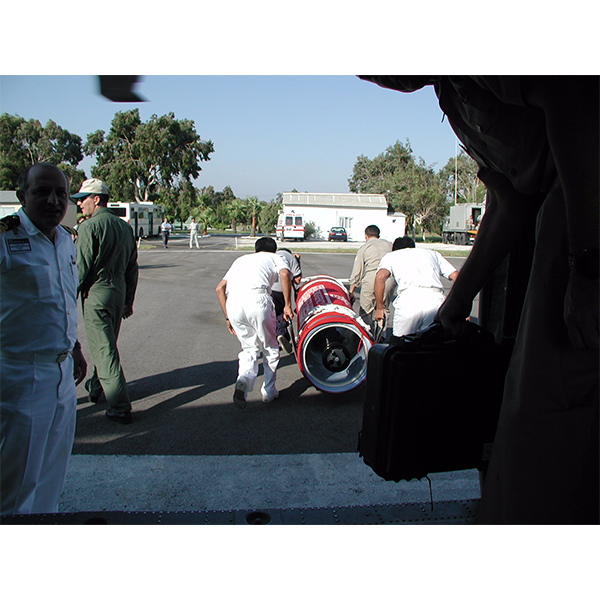 The Ordnance Automatic Recovery System (OARS) is a development of the operationally proven system that is in-service with various NATO Navies. 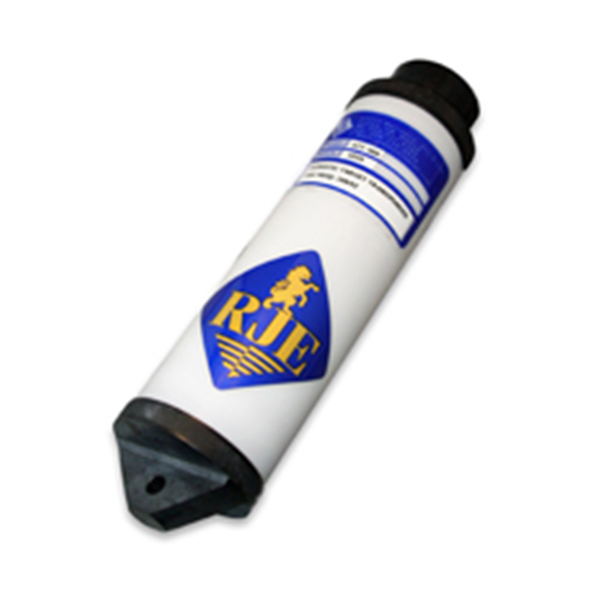 The OARS version incorporates lightweight 300 Bar composite cylinders resulting in significant savings in both weight and size. 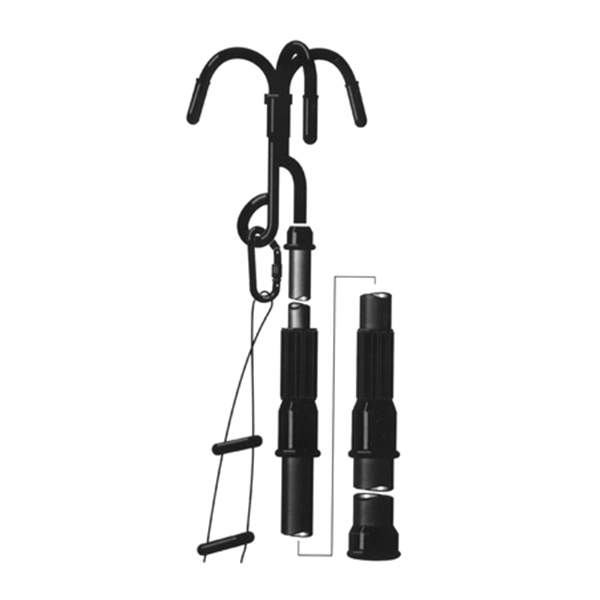 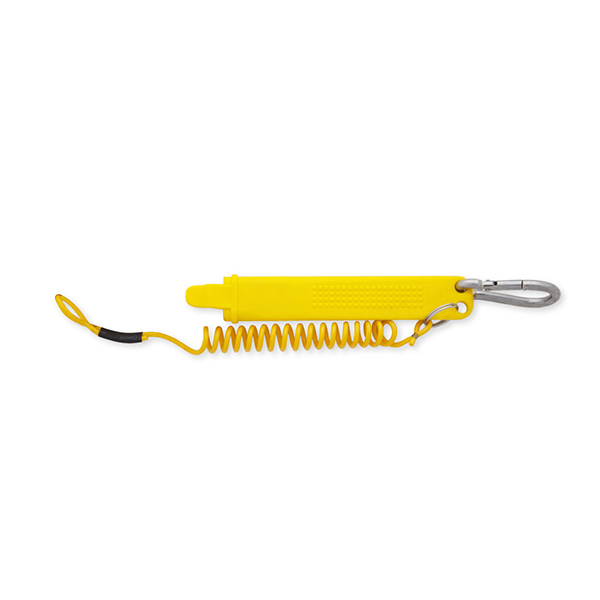 Available in two lengths 3m or 5m, this superior design eliminates the whipping effect of conventional poles permitting the diver greater control while establishing ladders from the water line during rough sea operations. 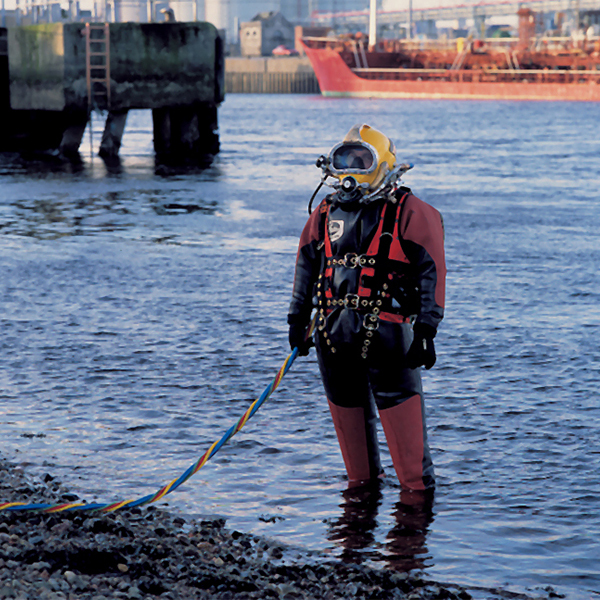 The “Dirty Harry” Contaminated Water Diving System is designed to provide a safe and efficient surface supplied system which minimises the risk of contact between the diver and the water in which he is diving. 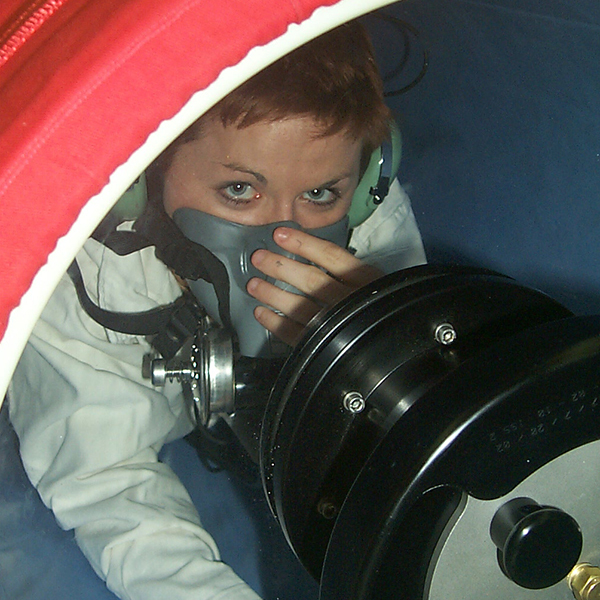 A closed circuit breathing system exhausts the diver's gas to the atmosphere at the surface rather than to the water. 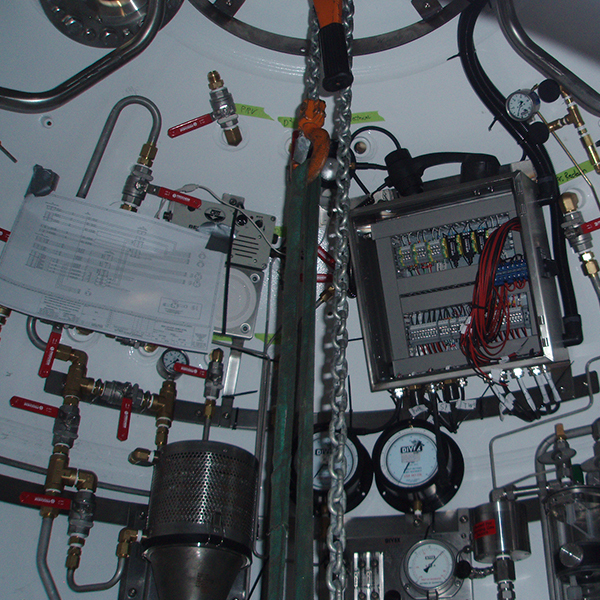 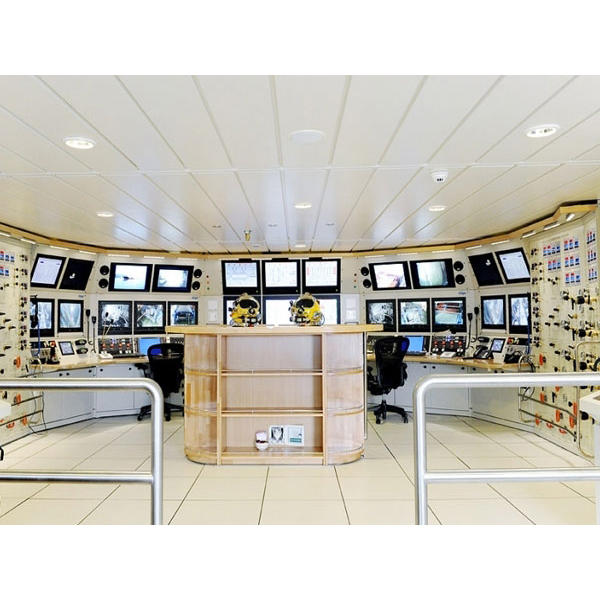 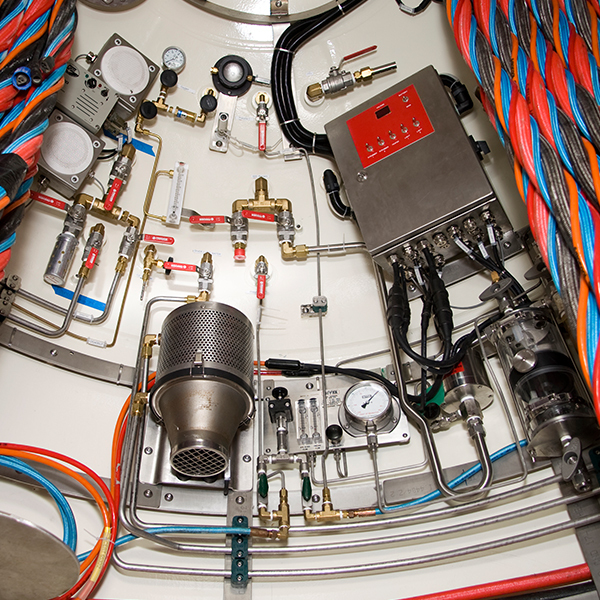 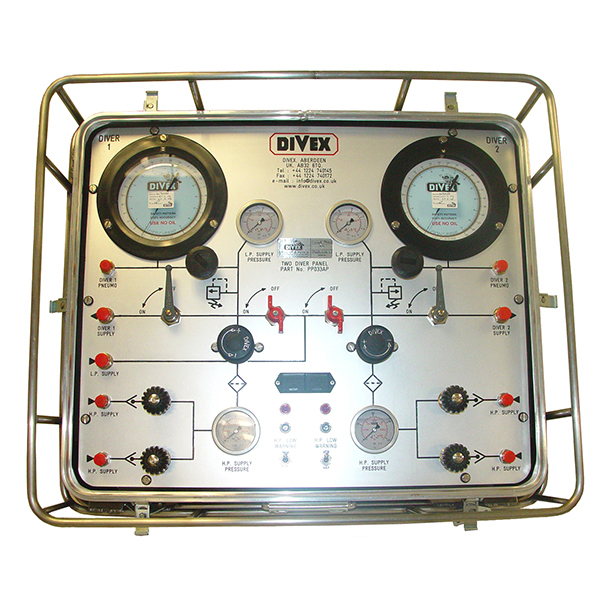 JFD can supply a wide range of air control panels: two diver, three diver, air and mixed gas. 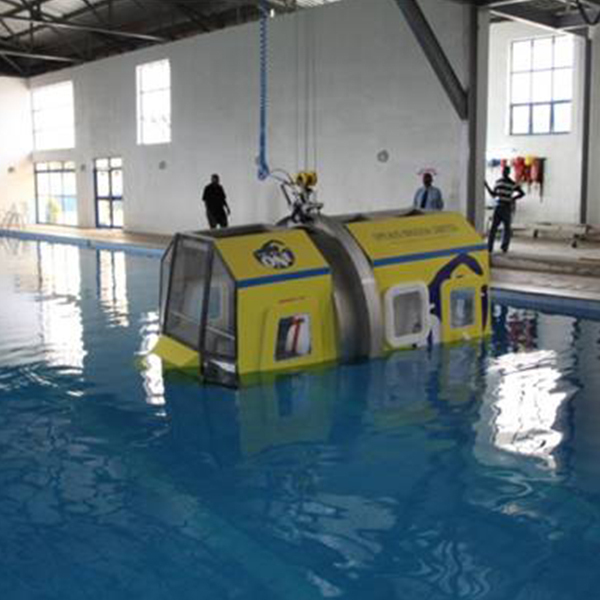 All comply with the Association of Diving Contractors Guidance Note ADC 5/95. 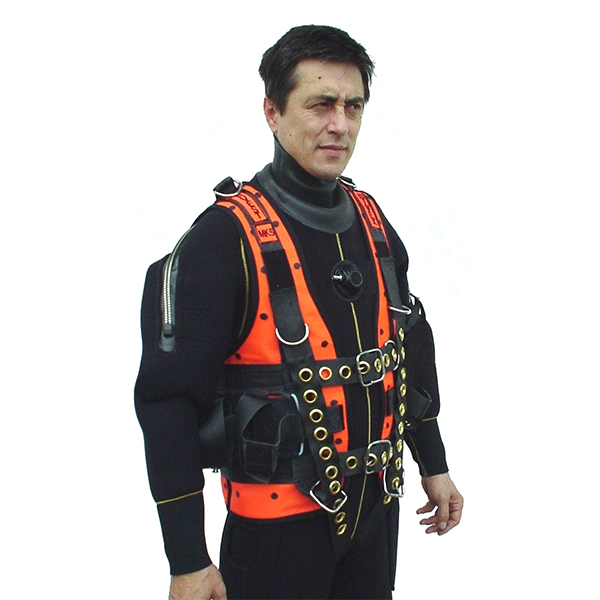 JFD manufacture a range of diver harnesses which are tested and approved in accordance with PPE Directive (CE Certified). 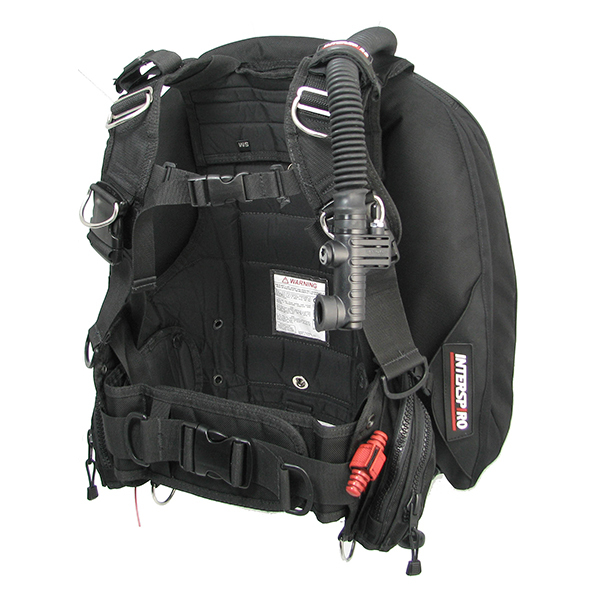 The Dive Dynamics DD15 Harness is a parachute style harness utilising heavy duty webbing and stainless steel D-rings. 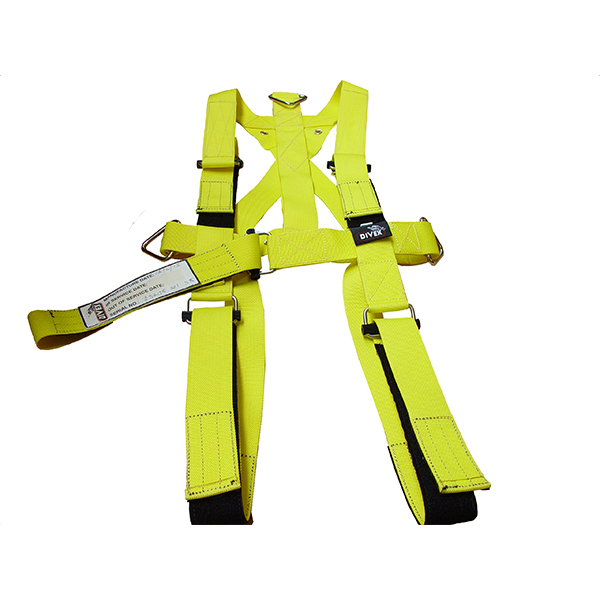 The Arvest harness was designed to enable one harness to be donned by the diver instead of the four separate items previously required: recovery harness, bail-out bottle harness, tool harness, and weight belt. 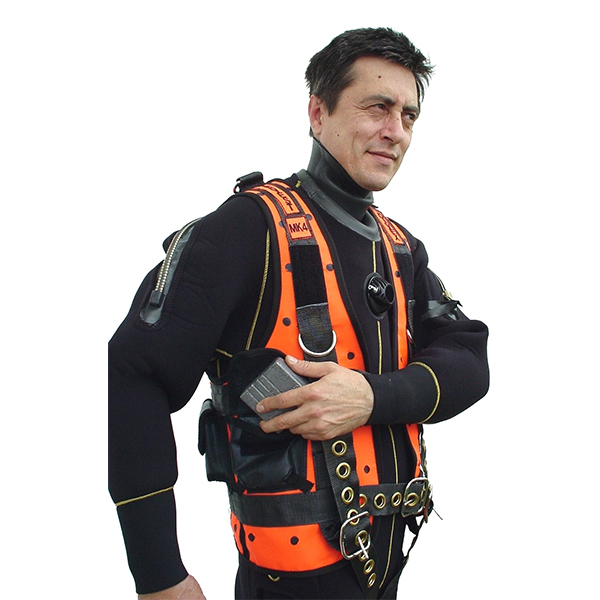 This “waistcoat-style” harness distributes the load evenly around the body and will support a fully kitted diver securely and with comfort. 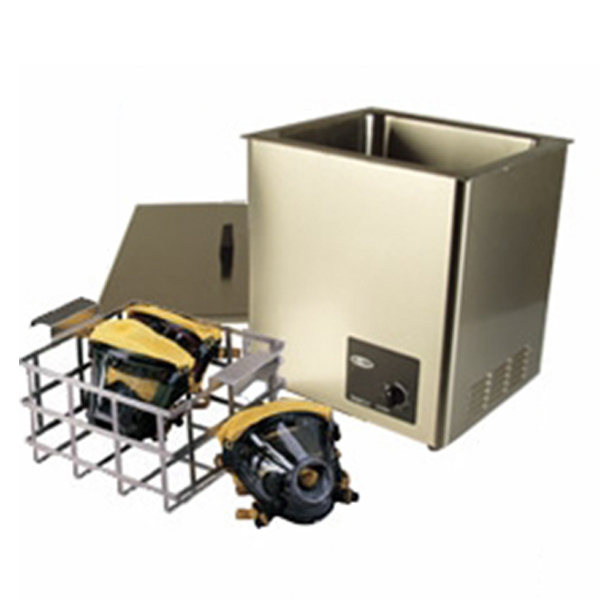 The Kinergetics DH21 Heater is one of the most widely recognised hyperbaric environmental products in the diving industry, providing an efficient means of heating diving chambers or bells. 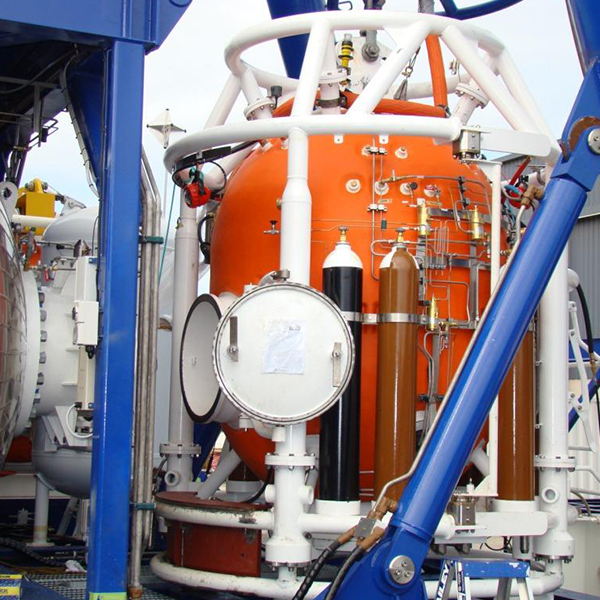 The Kinergetics DH21 Scrubber is one of the most widely recognised hyperbaric environmental products in the diving industry, providing an efficient means of removing Carbon Dioxide. 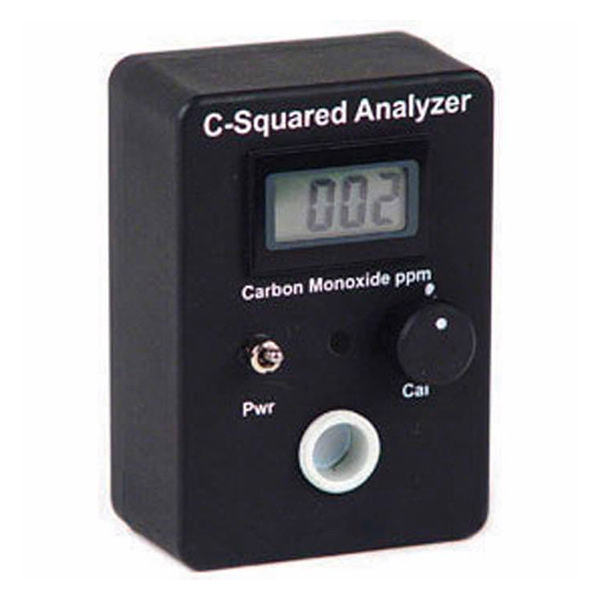 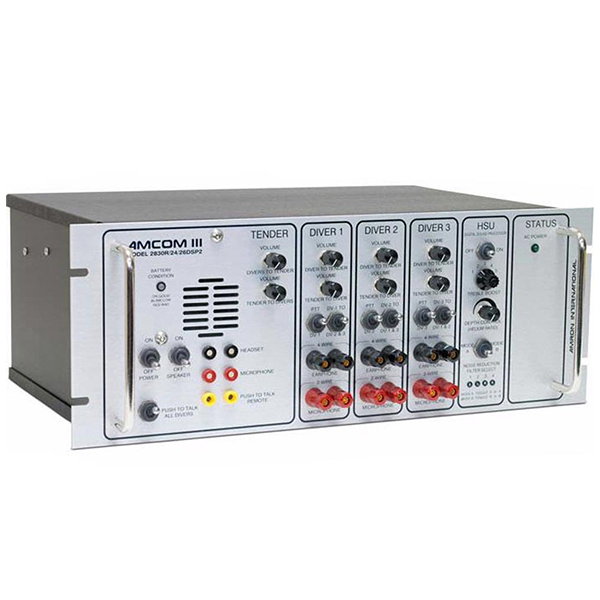 The Kinergetics Chamber Environment Controller CEC-3 is an upgraded version of the popular CEC-2. 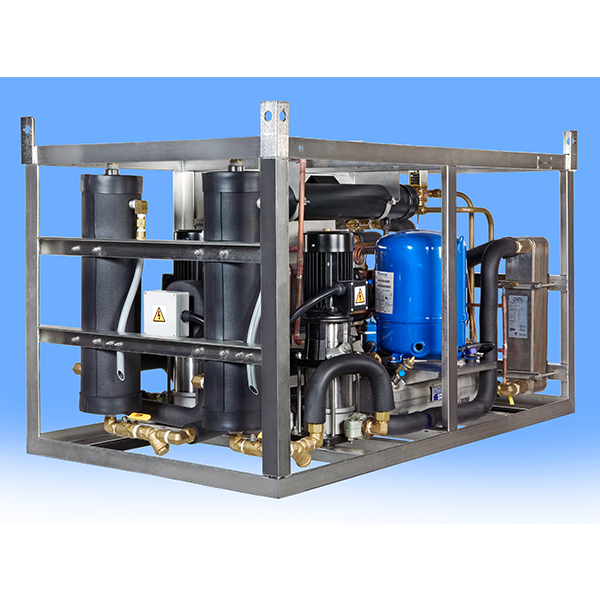 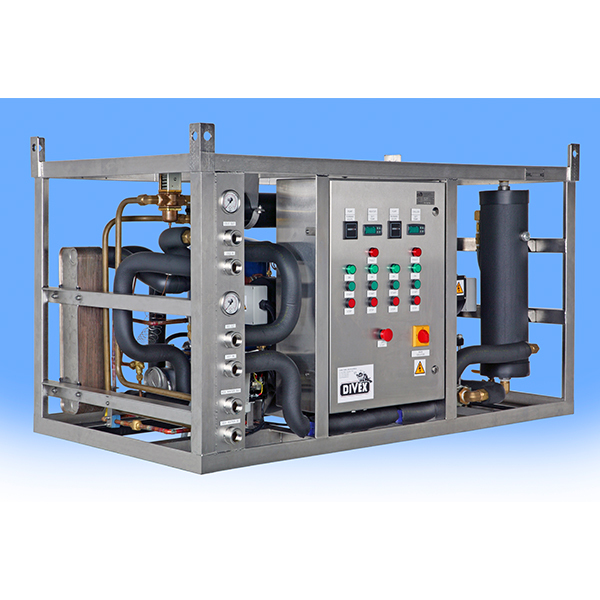 The JFD Chamber Conditioning Units CCU-06 and CCU-07 have been designed for use in hyperbaric environments, both air and heliox, for temperature and humidity control. 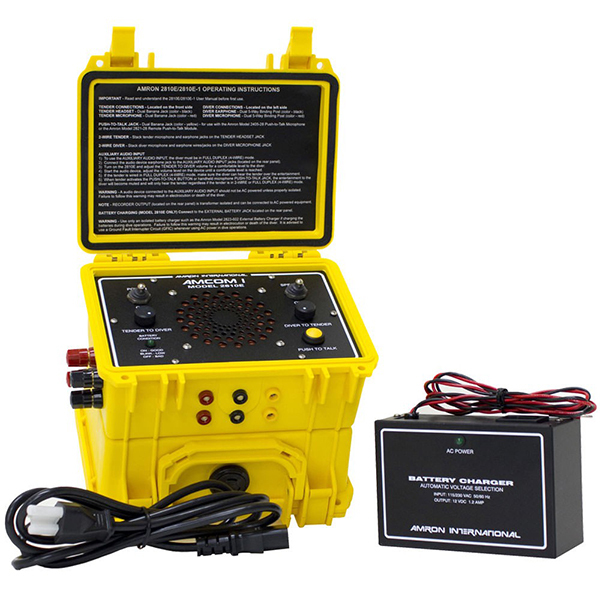 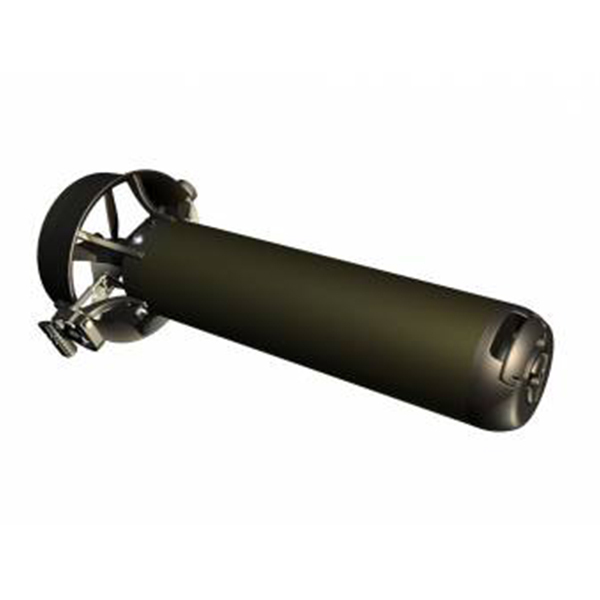 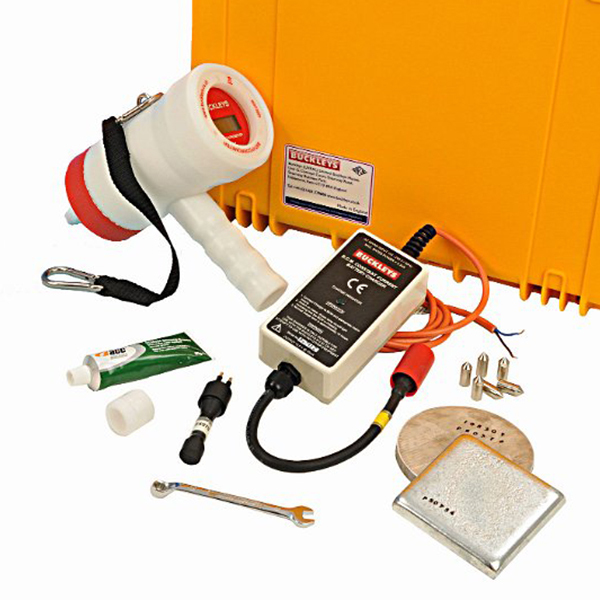 The Kinergetics Water Electric Power Heater WHE-3 offers inexpensive automatically controlled heated water for divers, bell and chamber. 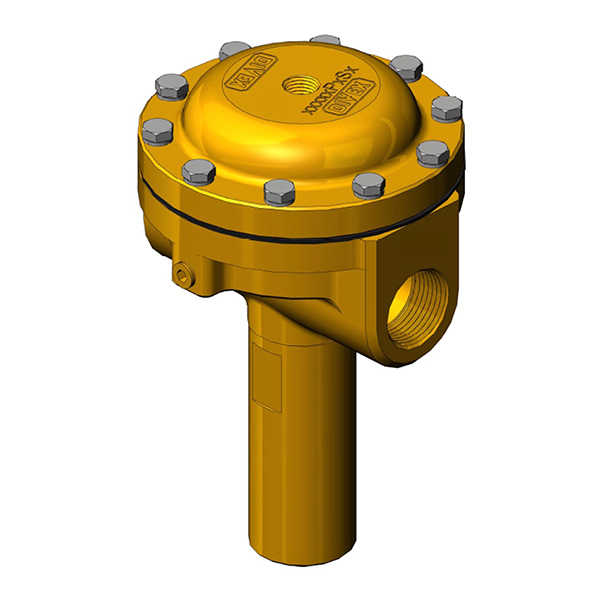 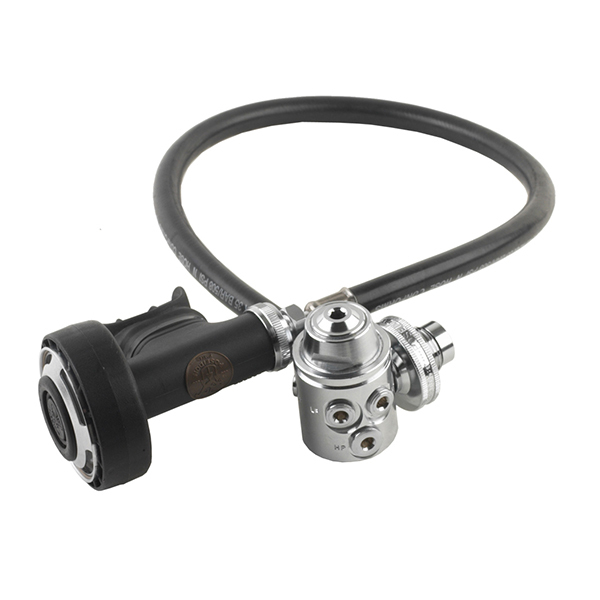 The JFD Back Pressure Regulator (BPR) has been designed for diving chamber use as a BPR on built-in breathing systems (BIBS). 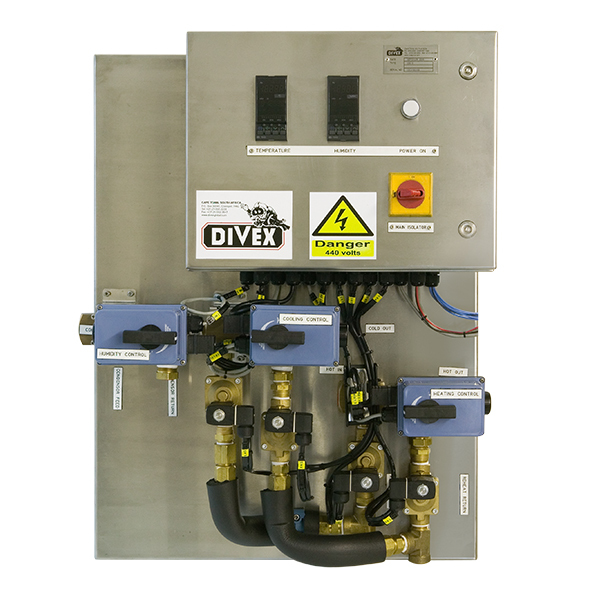 The Divex Gaspure Chamber Gas Recovery System purifies diving chamber or habitat gas and allows chamber gas recovery during operations rather than venting to atmosphere and losing the expensive helium. 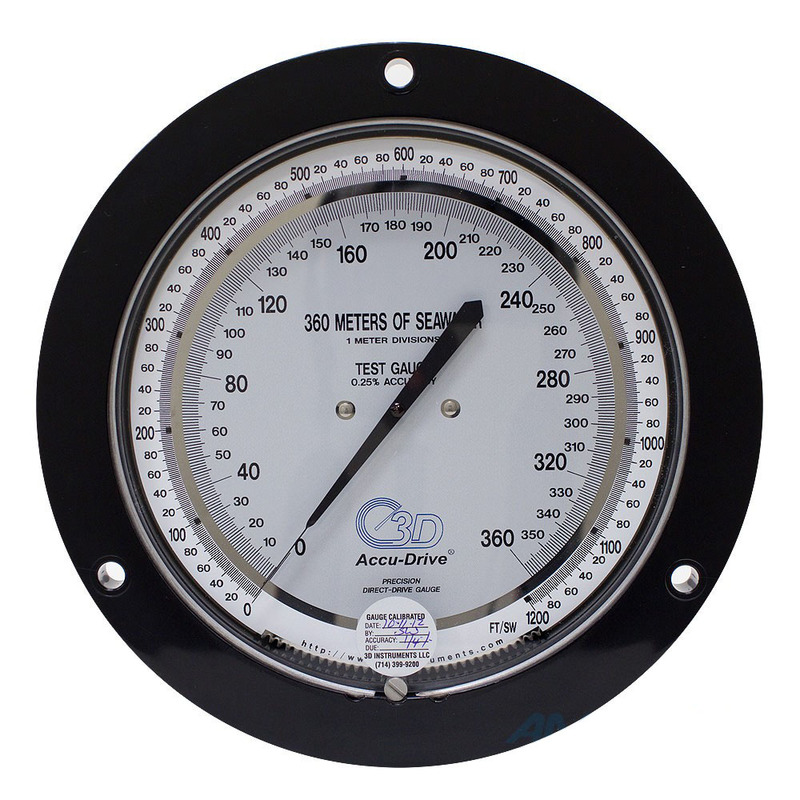 The Submersible Miniature Caisson Gauge is engineered to withstand aggressive environments whilst delivering readings accurate to within 1%. 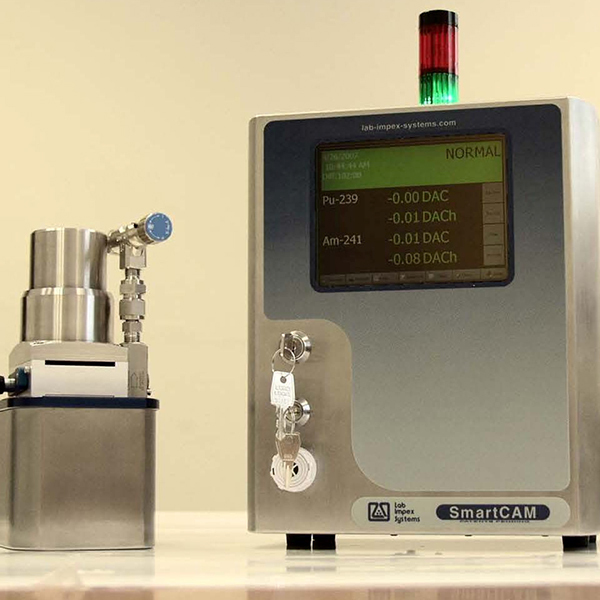 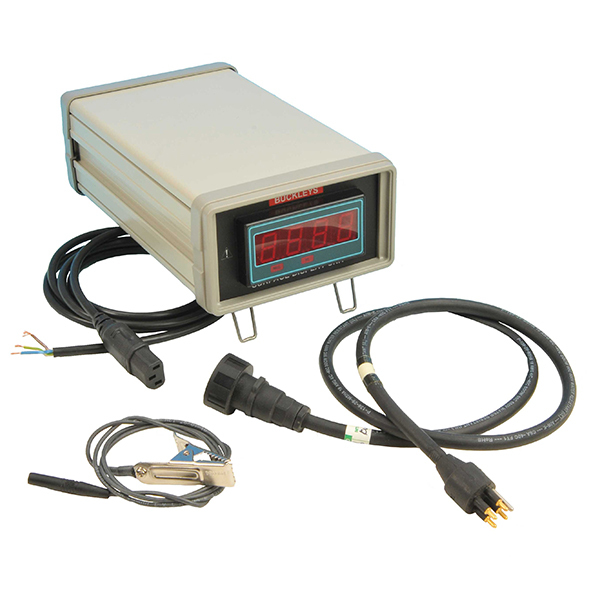 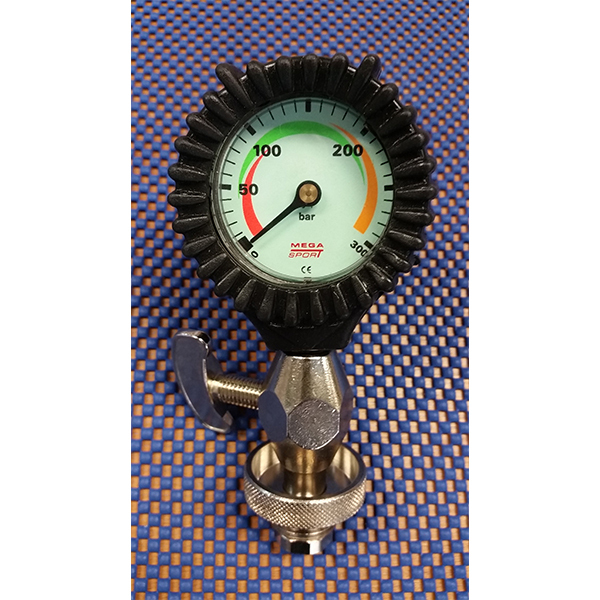 Digital pressure gauges are gaining increasing acceptance in the industy. 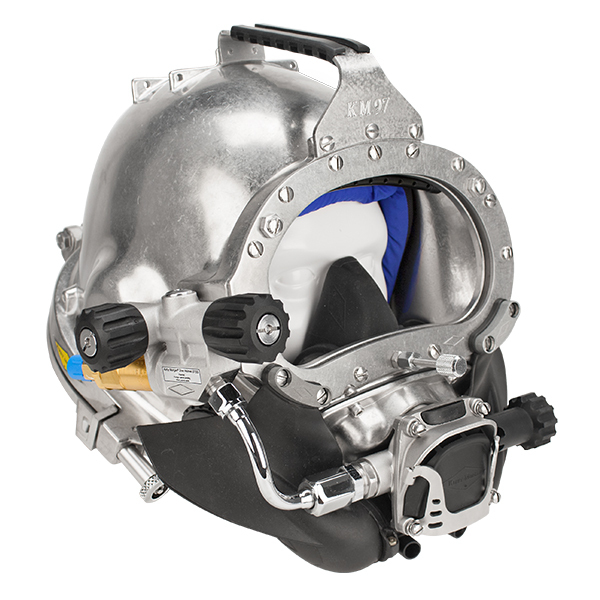 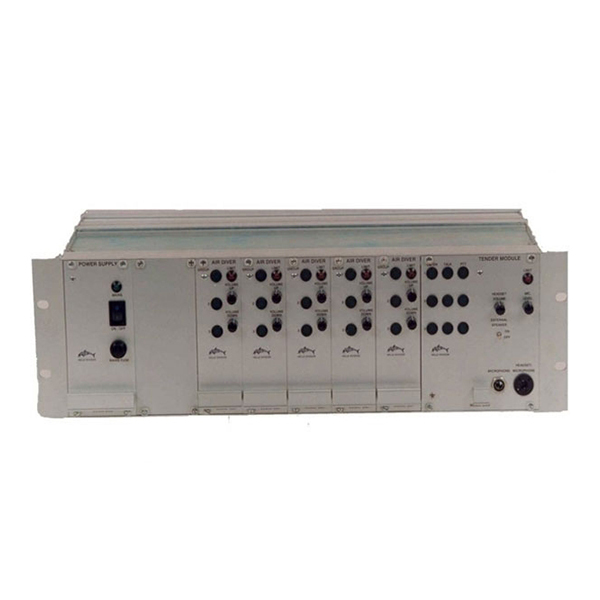 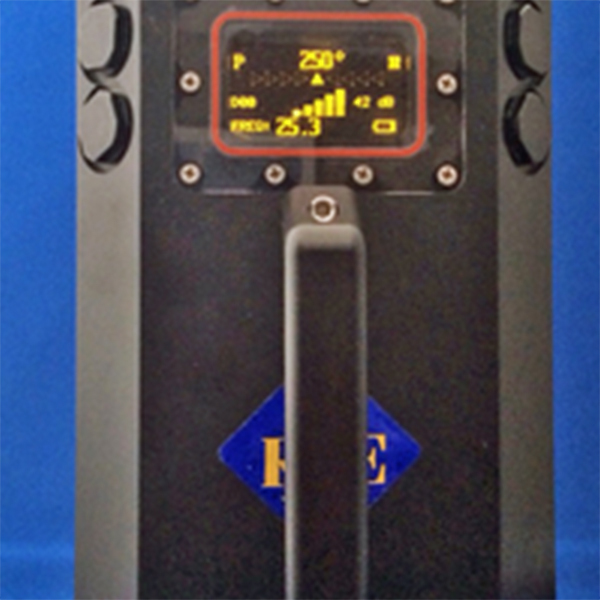 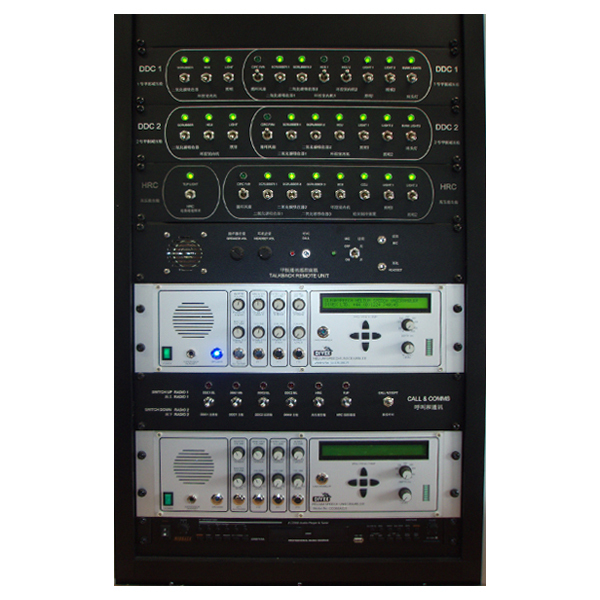 The JFD HSU's are designed for helium speech communications and cover Dive Control, Saturation Control and the HRC. 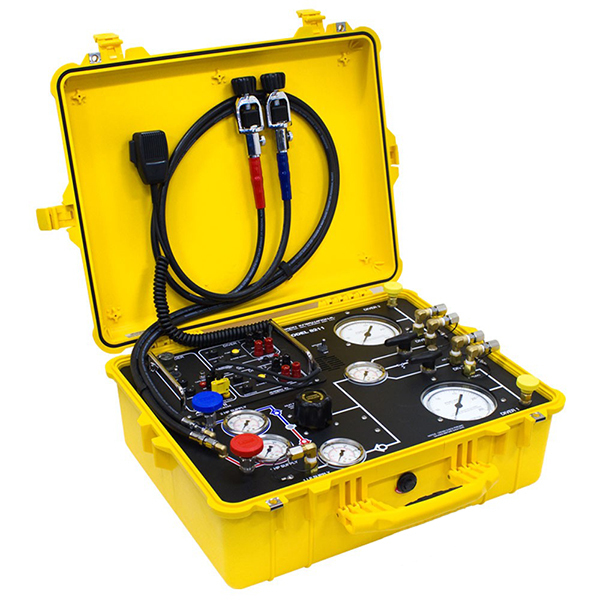 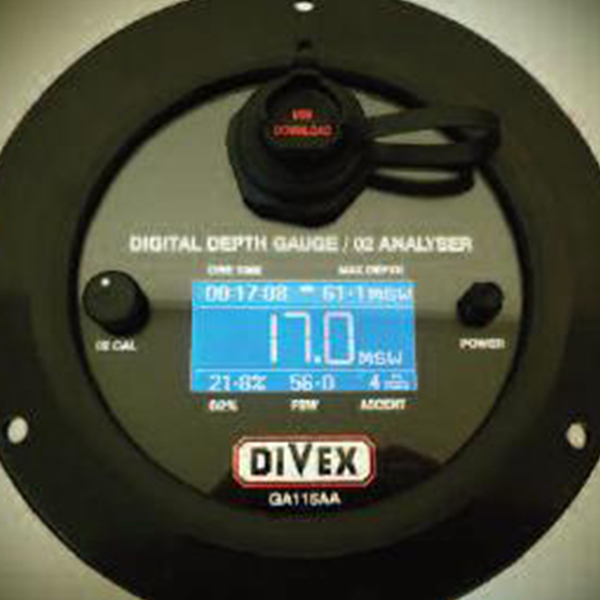 The Divex G11-4 Hyperbaric Analyser measures partial pressure of oxygen and is designed for internal diving chamber, bell or other hyperbaric use. 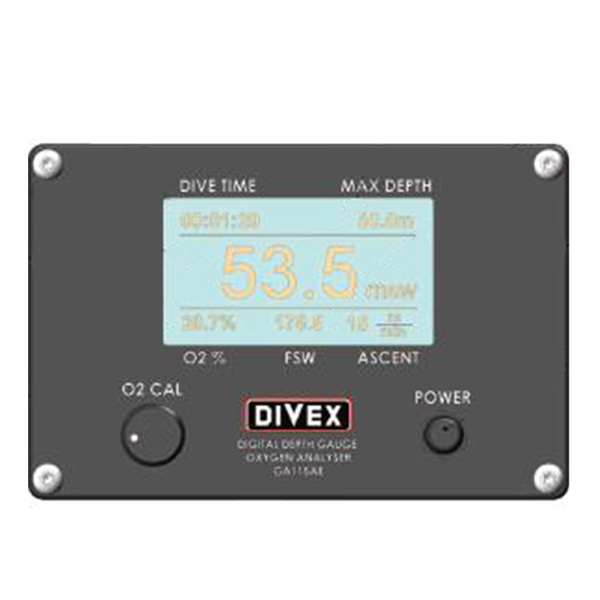 The Divex G21-2 monitors oxygen levels ranging from 0.00 to 19.99% and 00.0 to 100%. 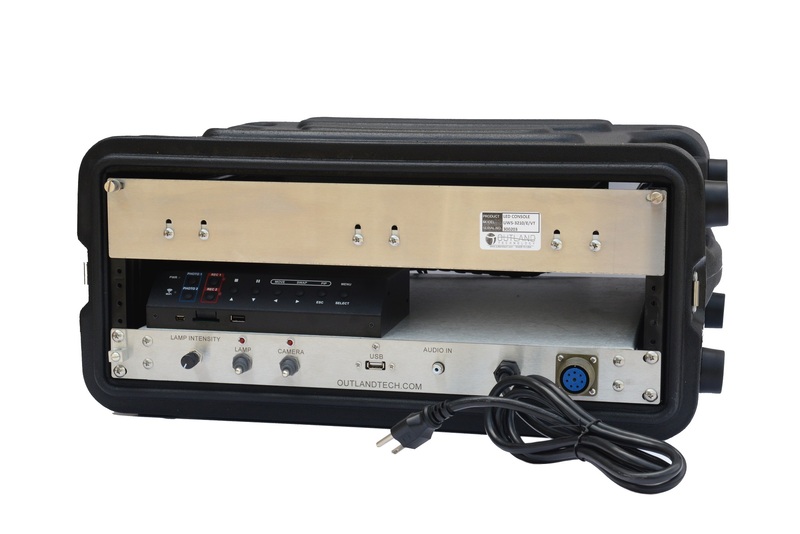 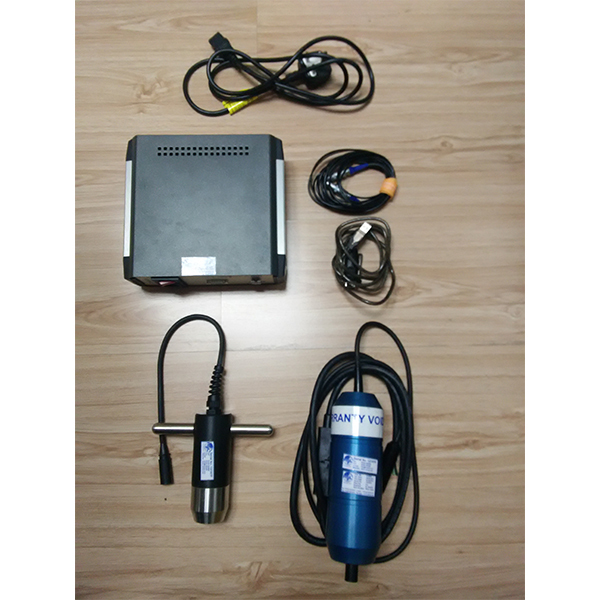 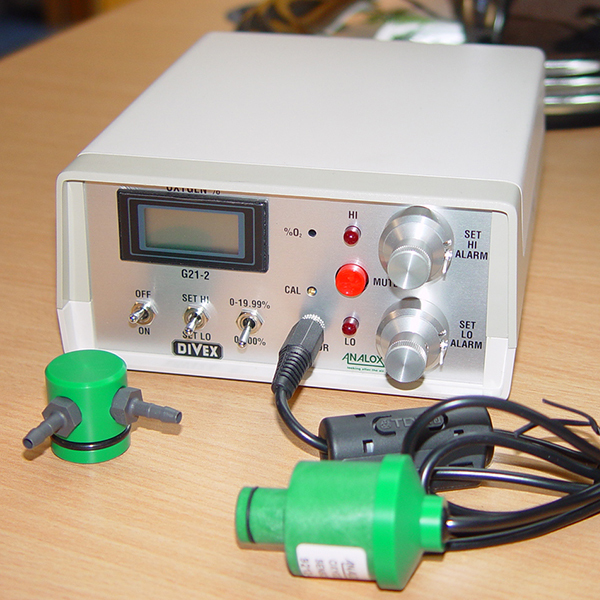 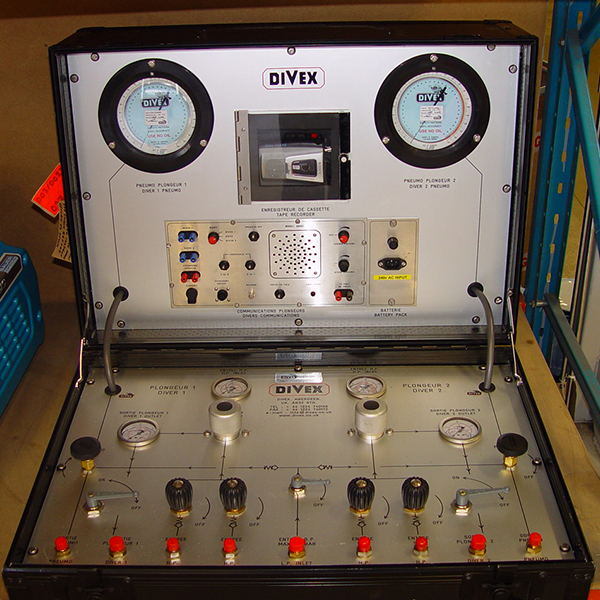 The Divex G22 Oxygen Analyser is a rack mounted instrument which provides continuous digital display of oxygen concentration in the gas sample presented to the surface of the sensor unit. 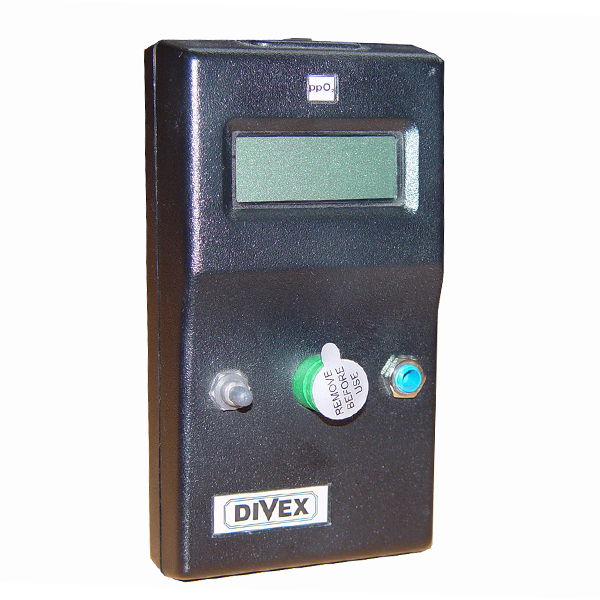 The Divex G30 is extremely popular with commercial diving contractors worldwide as it is designed for monitoring carbon dioxide levels in diving decompression chambers. 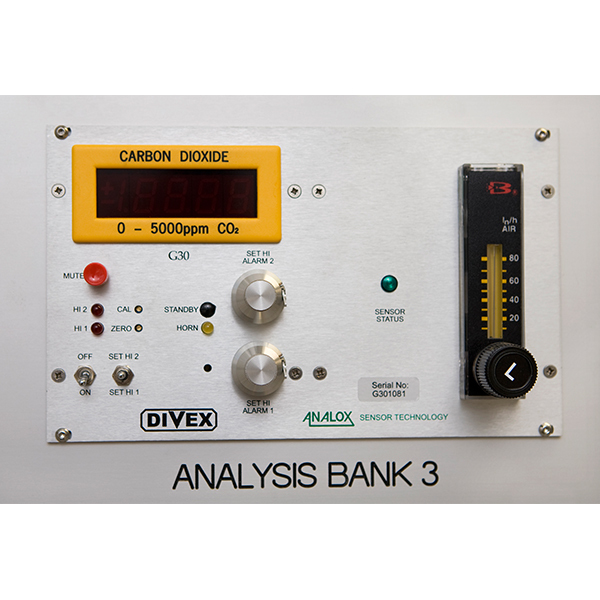 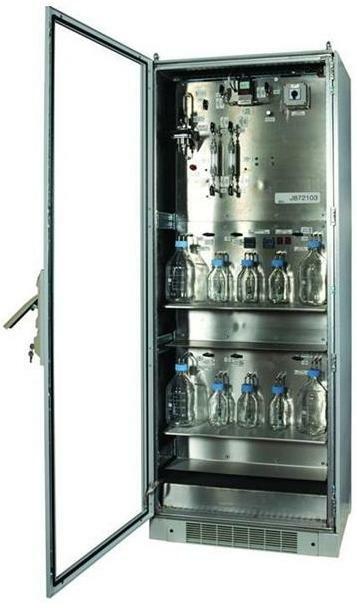 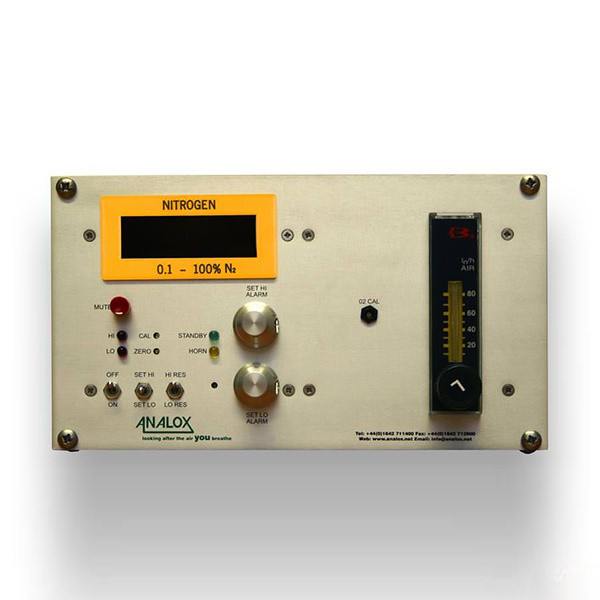 This rack mounted analyser provides a constant display of parts per million CO2 within 2% accuracy. 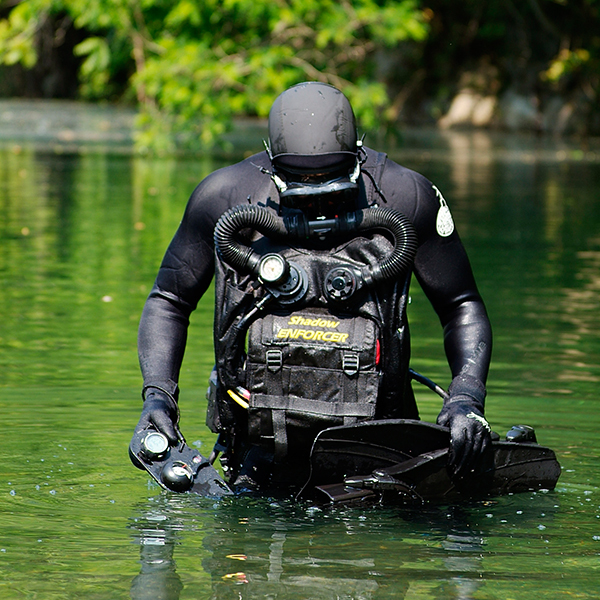 Interspiro supplies police forces, armed services and rescue services throughout the world with rapid response and compact diving equipment. 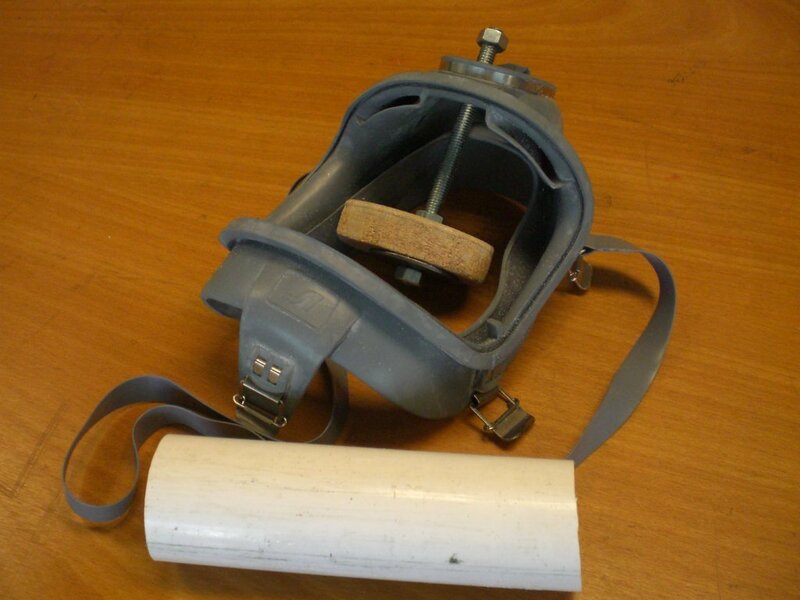 The Interspiro or "AGA" full face mask is the most widely accepted mask of its type. 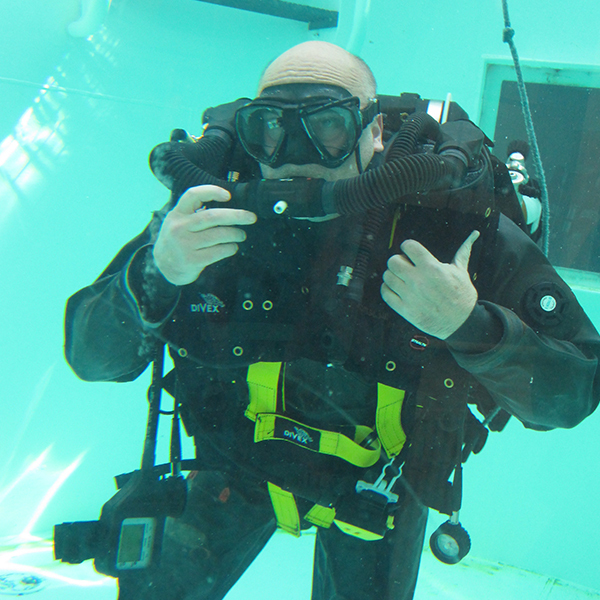 The INTERSPIRO diving philosophy is a system philosophy. 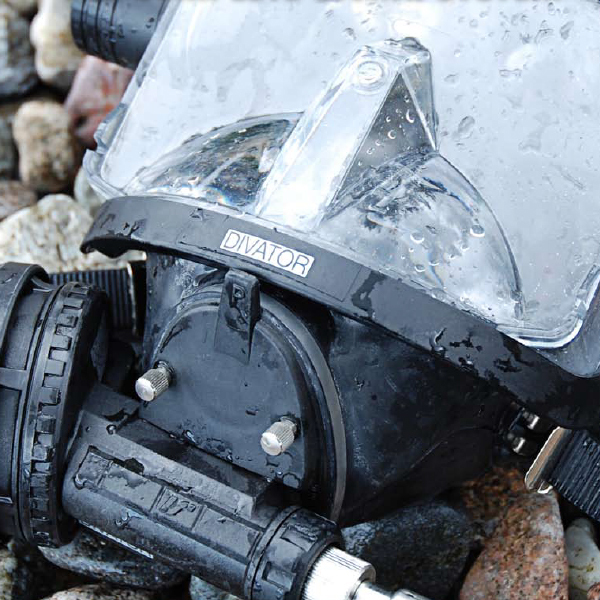 All parts of the breathing circuit – from the full face mask all the way up to the last thread on the DP1 Surface Supply – are tightly integrated. 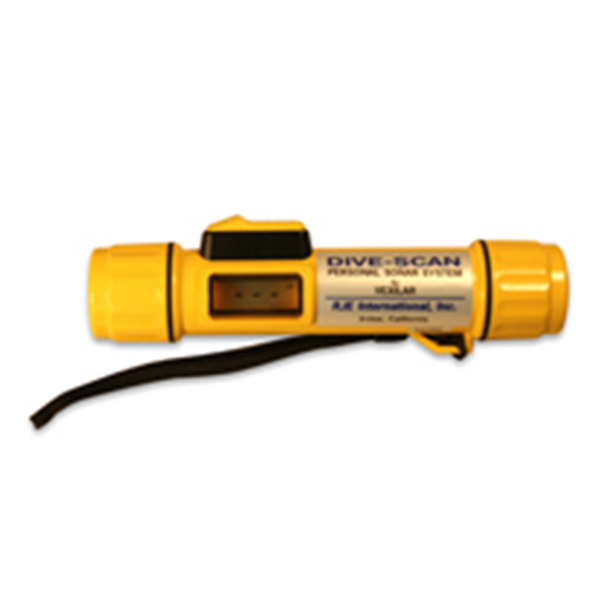 The reason is simple and obvious, to obtain the highest possible safety level for professional divers. 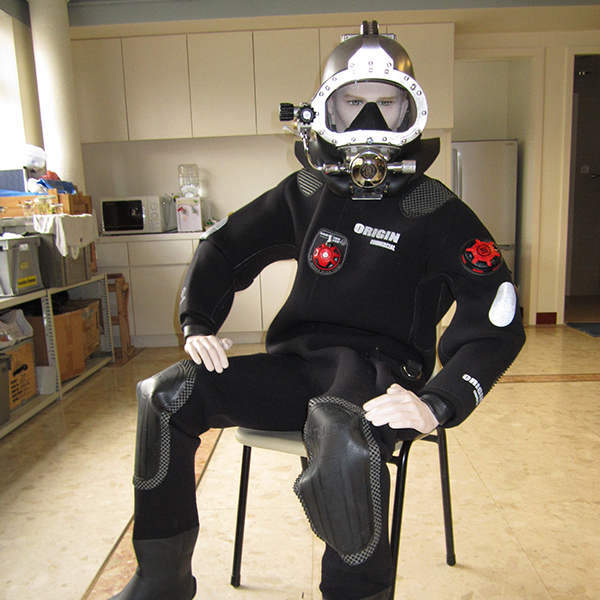 INTERSPIRO gear divers are not sport divers - they are the best-trained and most experienced underwater professionals. 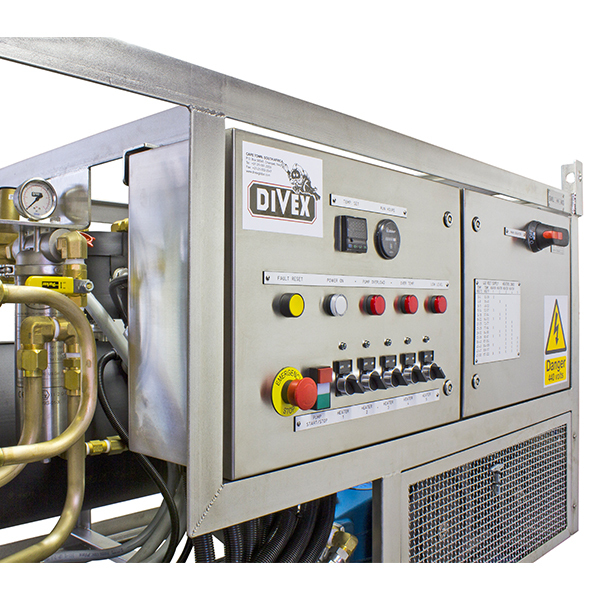 United Sterling is an authorised repair centre for the Divator range of Interspiro products. 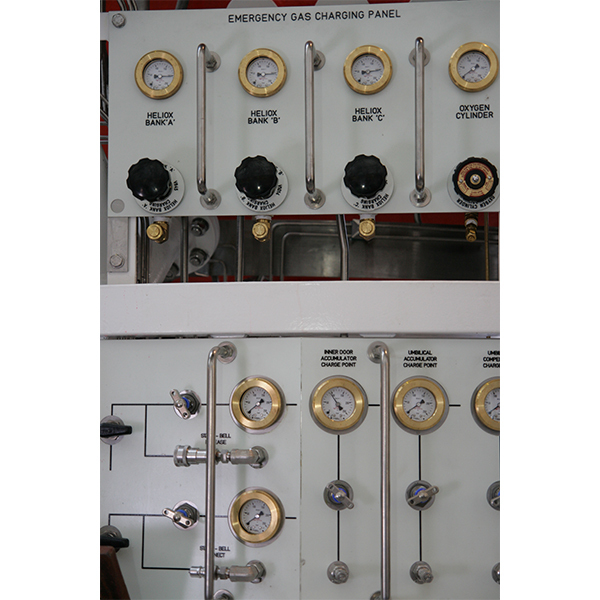 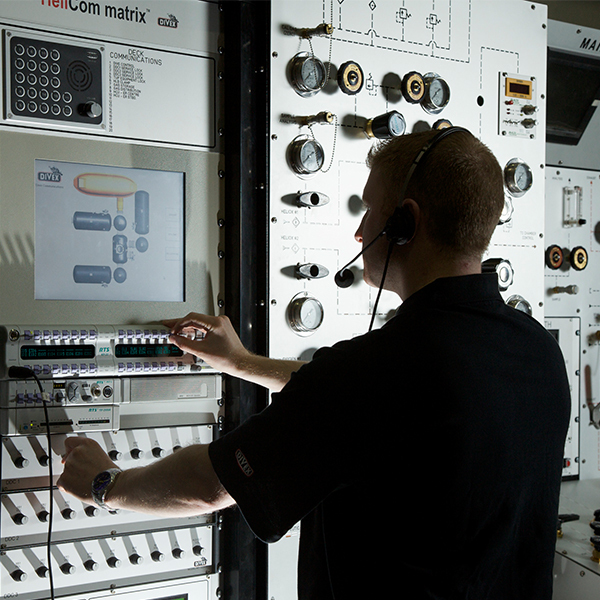 We carry out annual maintenance on masks, regulators and air control panels. 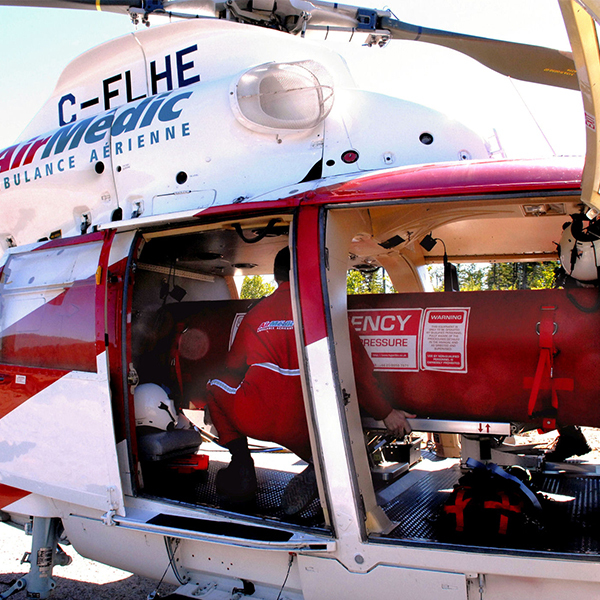 On completion a full report is issued, which should go into the equipment’s log book for future reference. 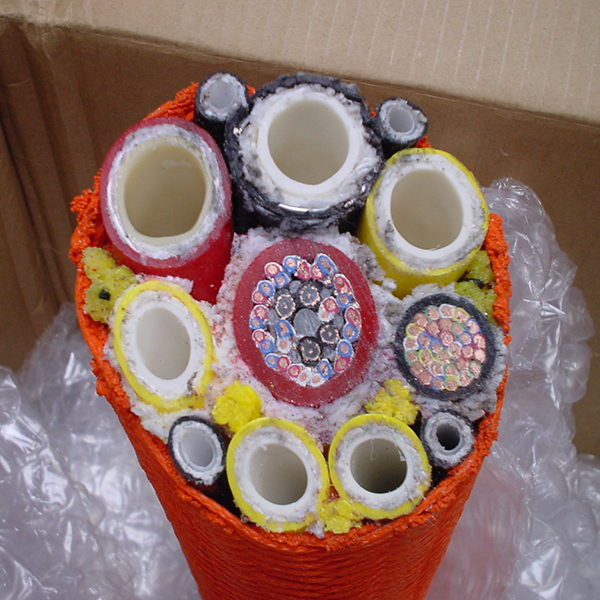 Umbilicals International is an ISO 9001:2000 certified design and manufacturing company located in Stafford, Texas (close to Houston). 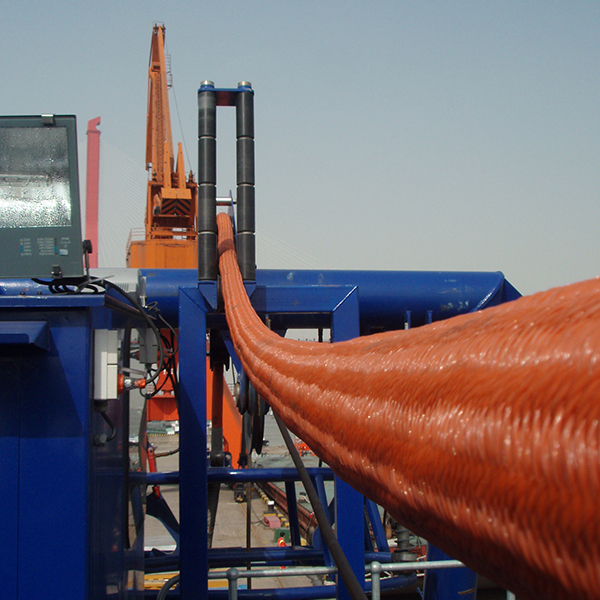 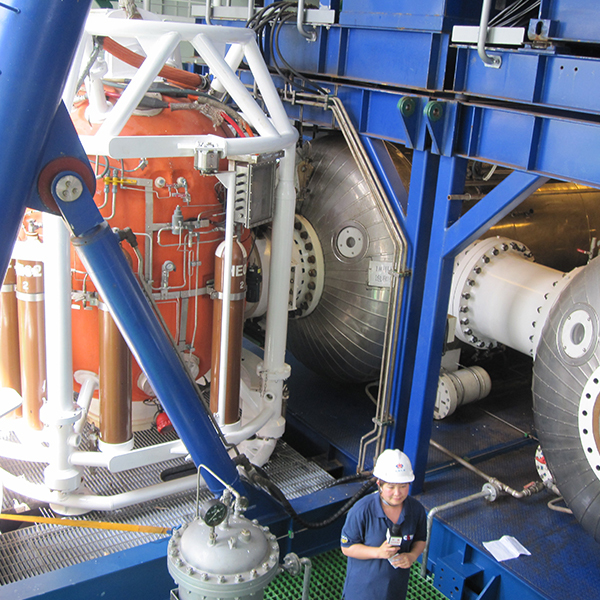 The company builds cables, hoses and umbilicals for a wide variety of underwater and harsh environment applications. 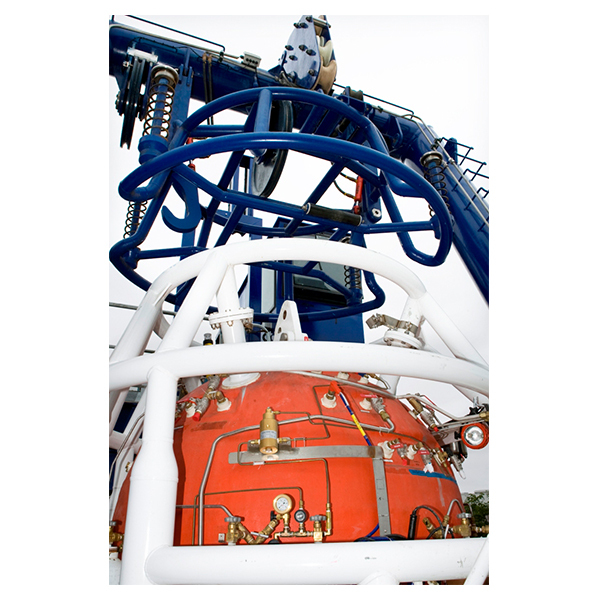 Diveline brand umbilicals incorporating Aquaflow, Texflow and Flexflow hoses allow the professional diver to be safer and more productive by making life easier, underwater and on deck. 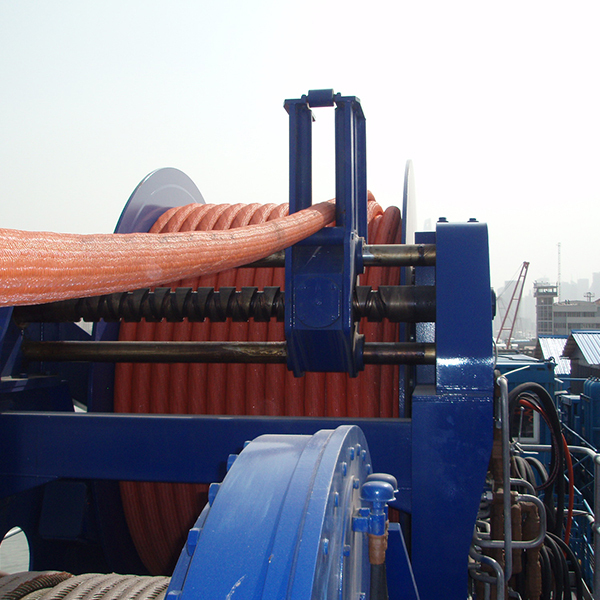 The unique materials and cabled “rope-like” construction combine to produce the most flexible, controlled buoyancy umbilicals available today. 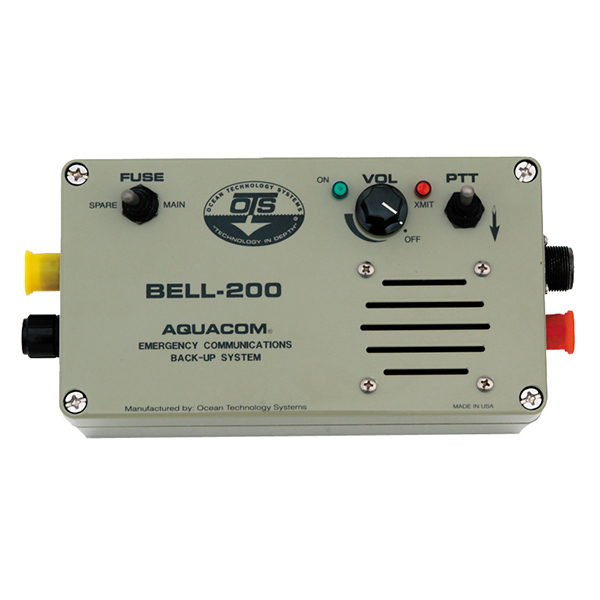 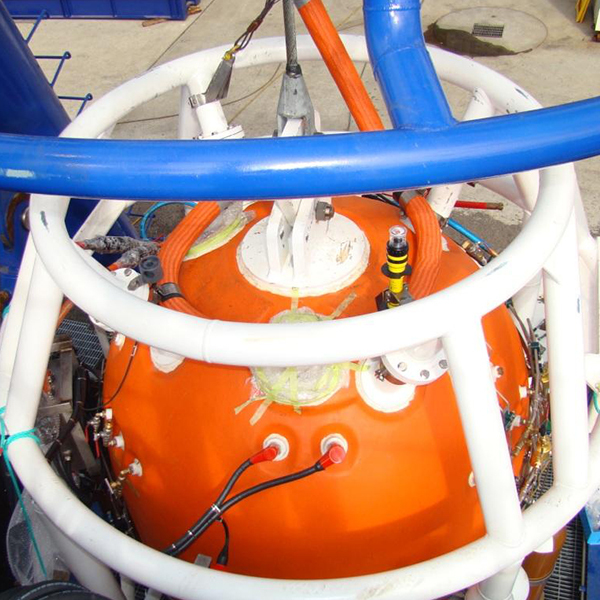 The Bell Umbilical supplies a critical life support link to the professional diver within the diving bell; comprising of hoses for gas supply, gas reclaim, hot water supply, and also depth monitoring. 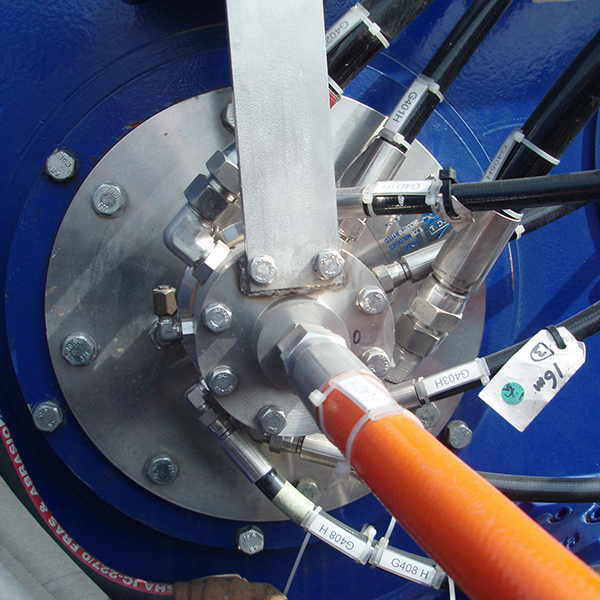 Furthermore, the umbilical consists of custom designed cables that incorporate power and communication to the bell. 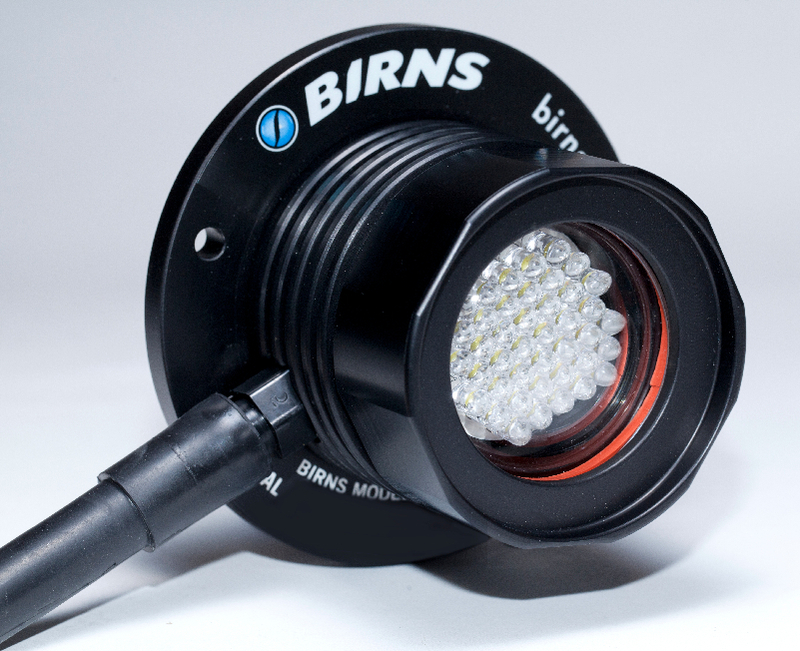 Birns is the leader in the underwater lighting world. 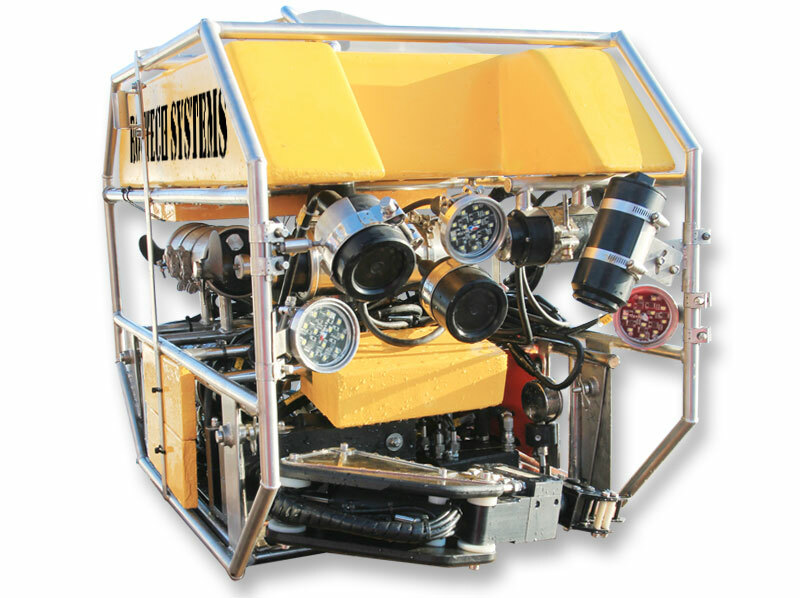 Growing out of the movie industry in the 1950's Birns products have spread into all areas of the subsurface world: submarines, ROV's, divers, hyperbaric - and the nuclear power industry. 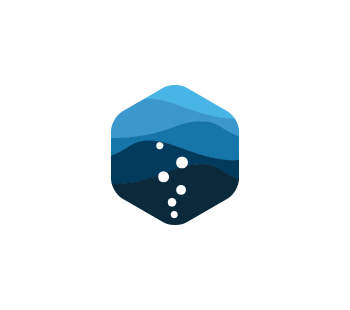 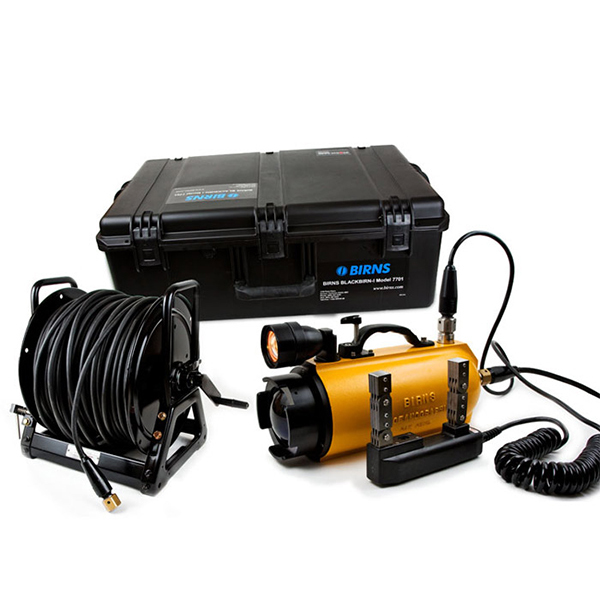 Ocean Technology Systems is the leader in state-of-the-art underwater communication systems serving the sport, commercial, movie industry, search and rescue and military communities around the world. 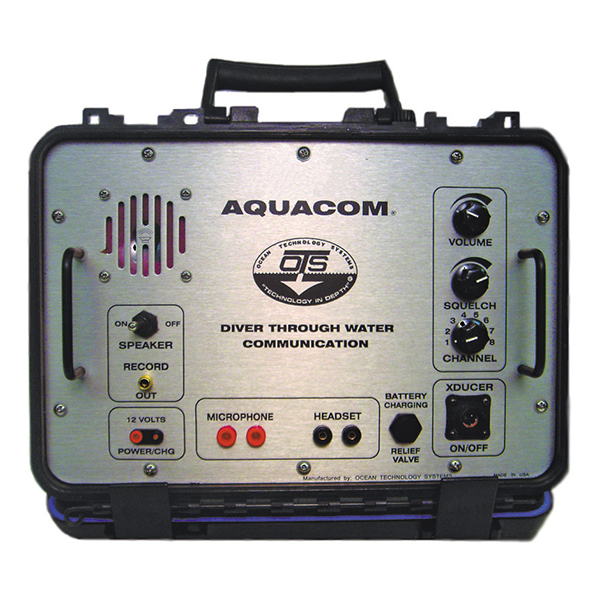 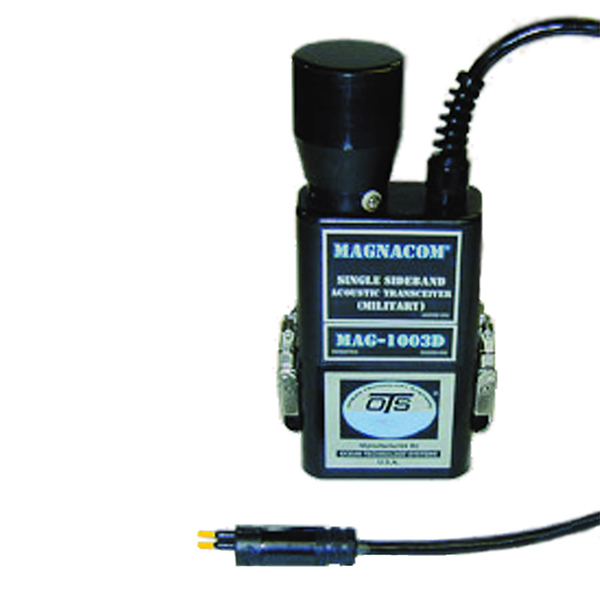 OTS Aquacom and Magnacom series of through water communications can be configured to operate with virtually any style full face mask (FFM) or mouth mask. 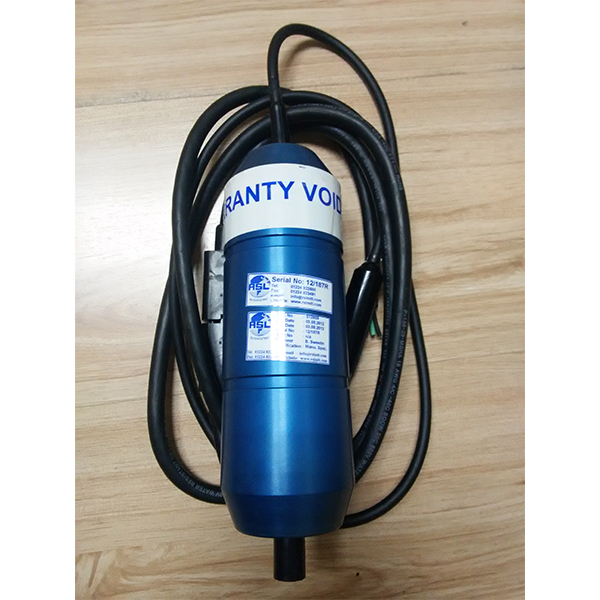 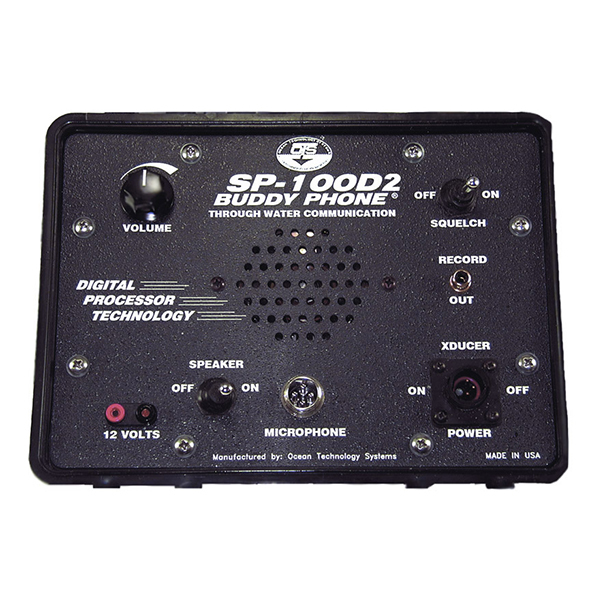 Standard features are: Voice Operated Transmitter (VOX), Push-to-Talk control (PTT), Squelch, 4 or more channels, Earphone volumes, Voice menu (the user can adjust via the voice menu), removable transducer, and heavy duty design. 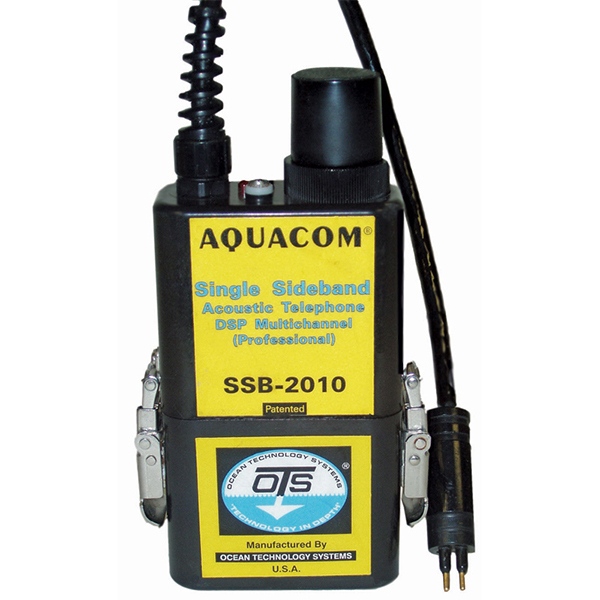 With the addition of a CDK-6 Surface Accessory Kit, the Aquacom® SSB-2010 is easily converted into a portable surface station. 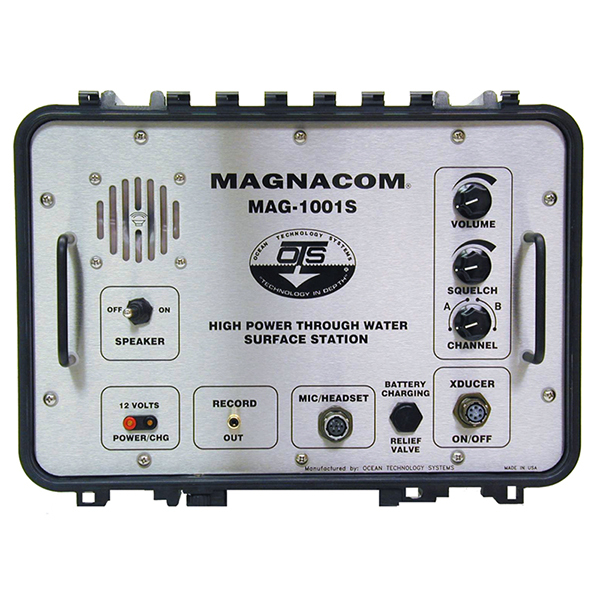 The Magnacom series is designed for military use and has an output power of 70 Watts and a nominal range of up to 6,000 metres in ideal conditions - plus many other special fetures. 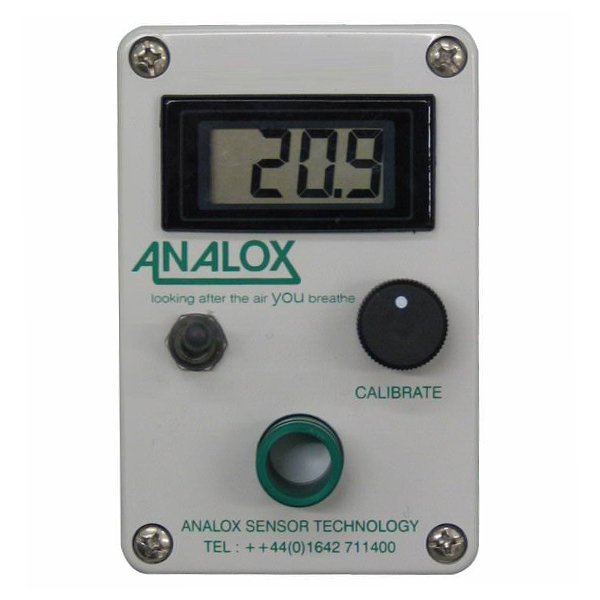 Analox Sensor Technology are the world leaders in gas analysis for the world of commercial diving. 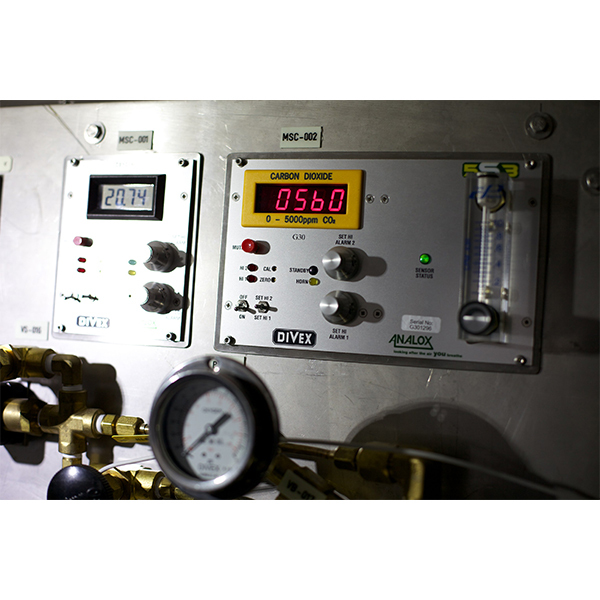 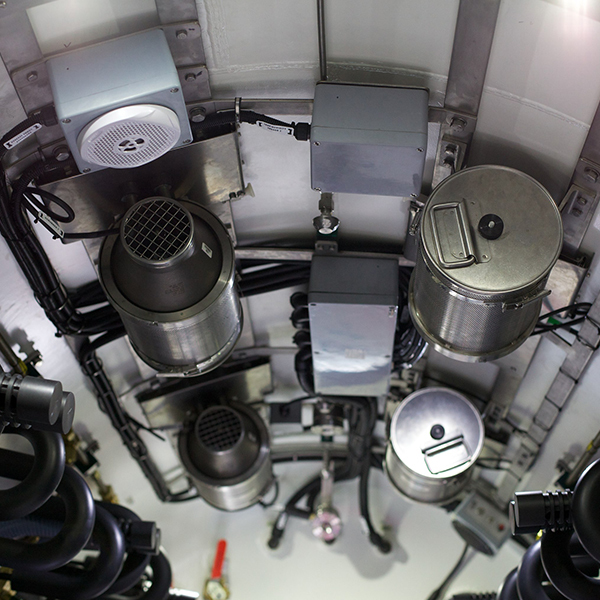 Analox life support oxygen, carbon dioxide, carbon monoxide and hydrocarbon analysers can be found on almost every saturation diving system in the world. 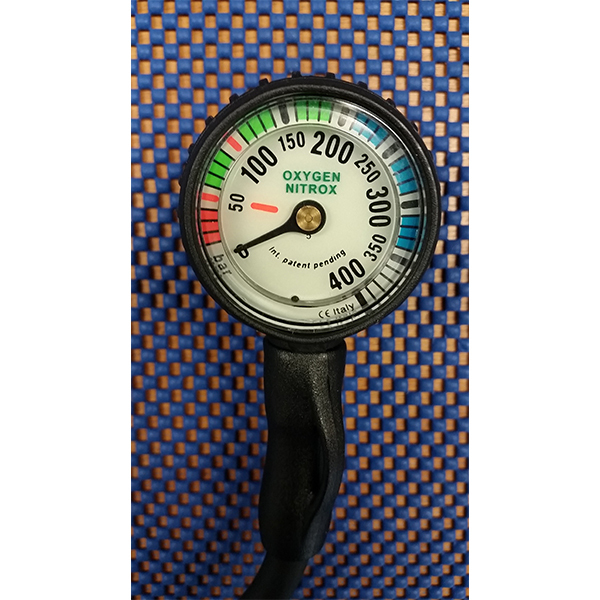 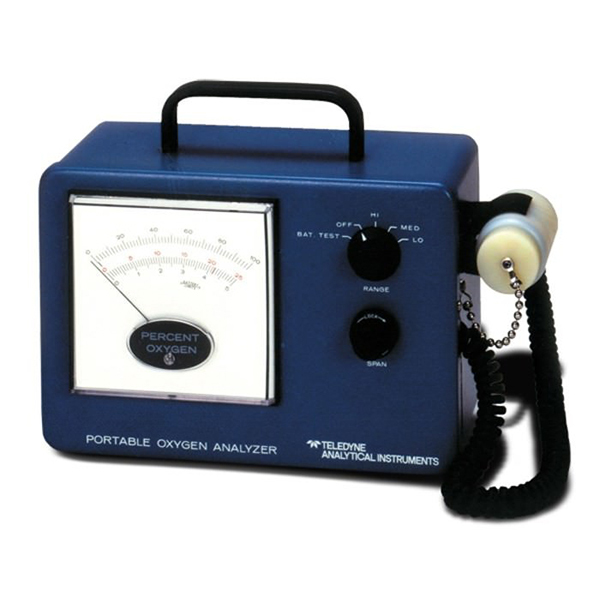 And their oxygen monitors are the choice of IMCA compliant air and mixed gas spreads. 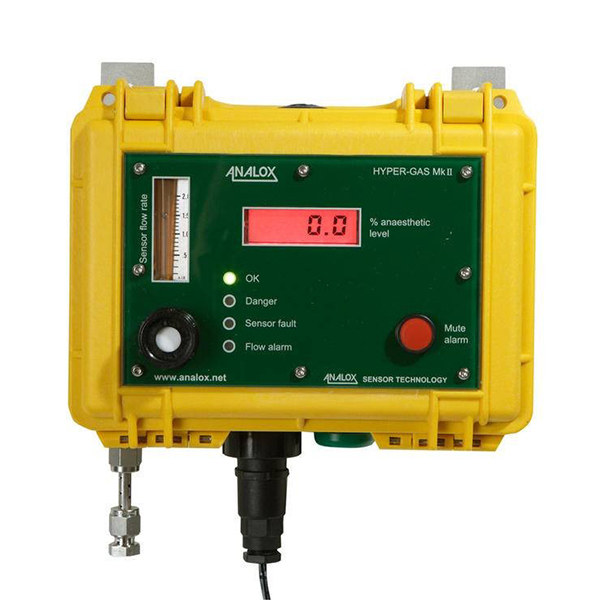 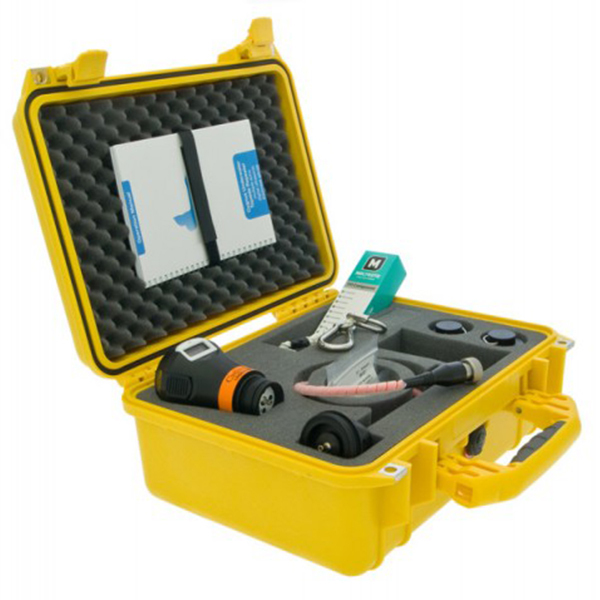 Analox offer a wide range of fixed and portable analysers and monitors. 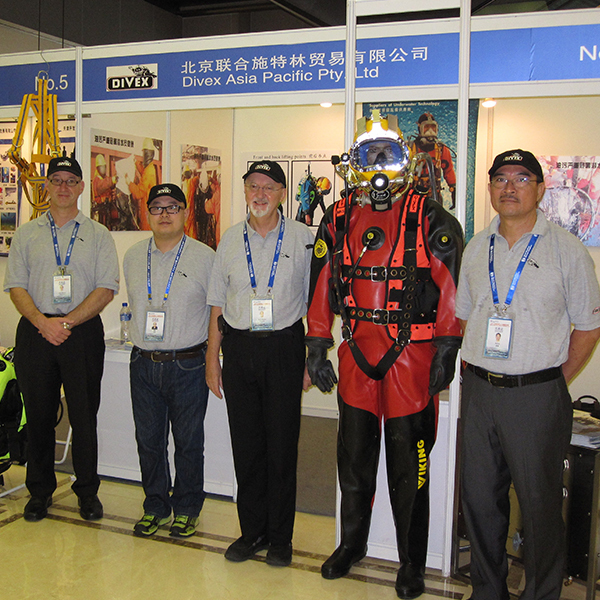 Nautronix, now part of the Proserv group, are the pre-eminent manufacturers of diver communications systems for saturation diving systems. 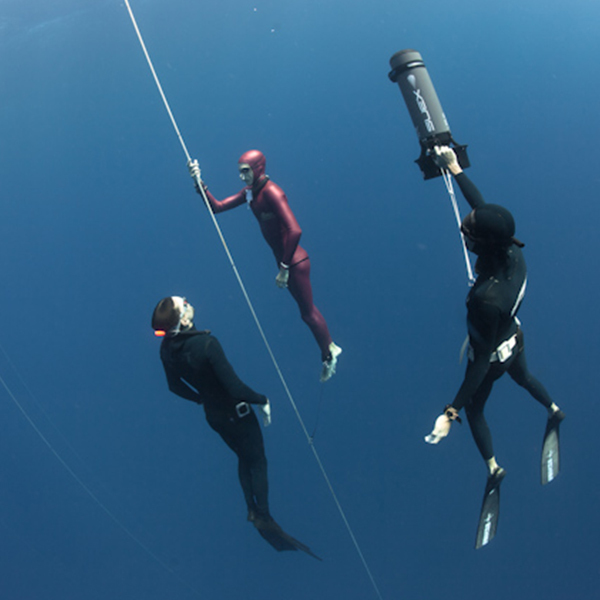 After acquiring Helle, the trail blazer in diver communications, Nautronix developed the product line applying the latest in DSP technology. 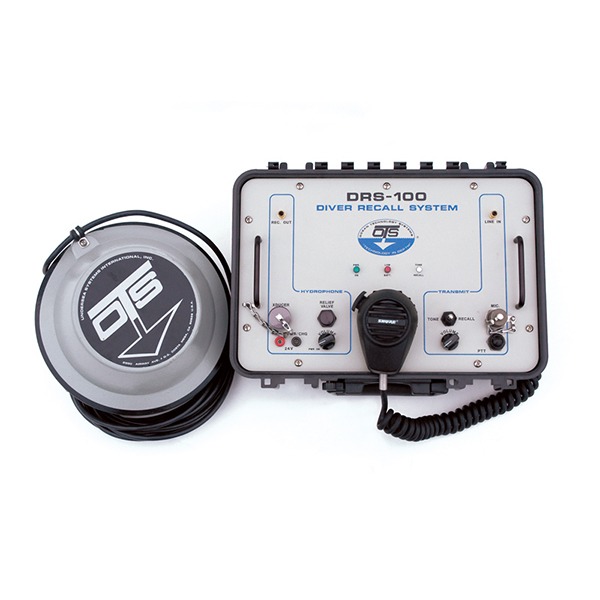 NASDive is the latest generation of fully digital diver communications system in both hard wired and through water communication in mixed gas diving environments. 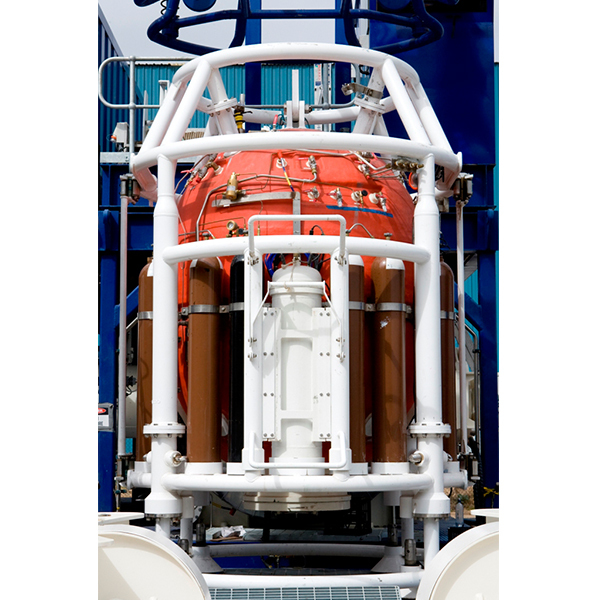 Unlike other systems NASDive offers digitisation of speech subsea before transmission. 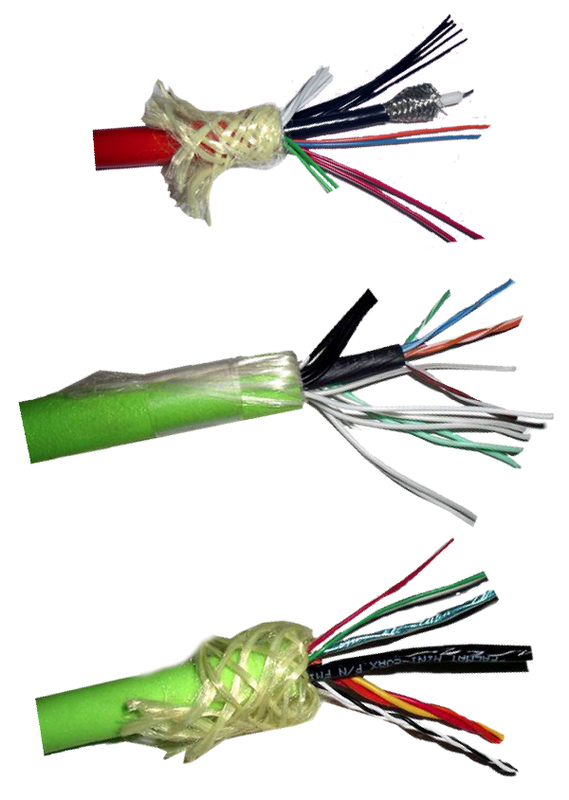 There is also the option to transmit this over twisted pair or fibre optic mediums back to the surface vessel. 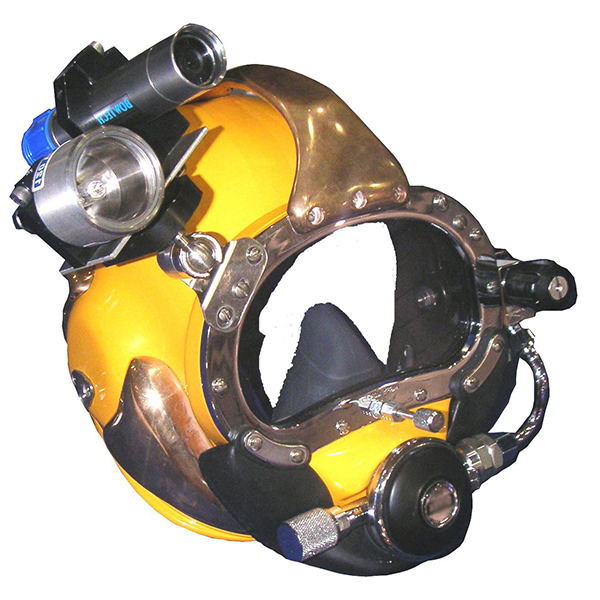 Amron are the largest diving equipment stockists and distributors in the world. 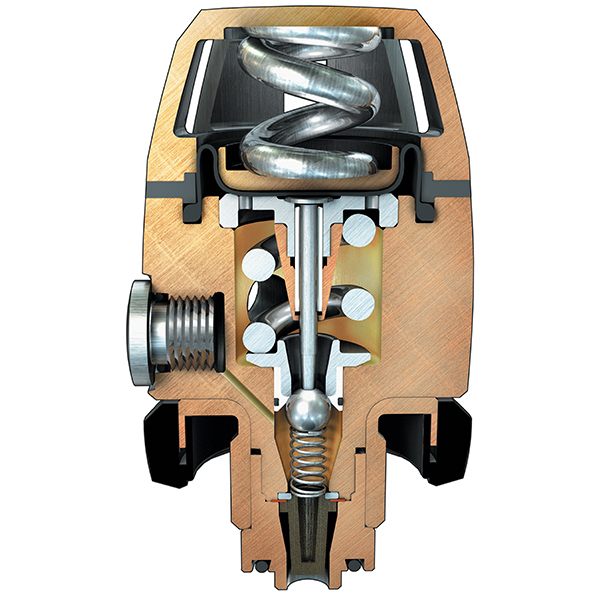 We offer you the convenience of buying Amron products from us and at the same prices as from Amron directly. 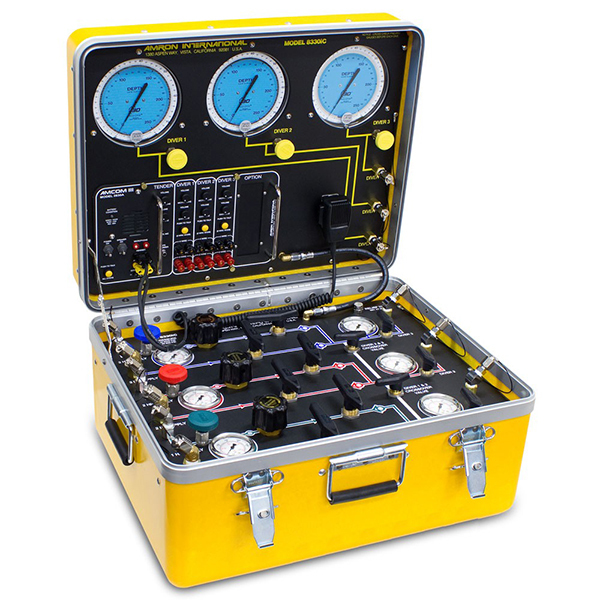 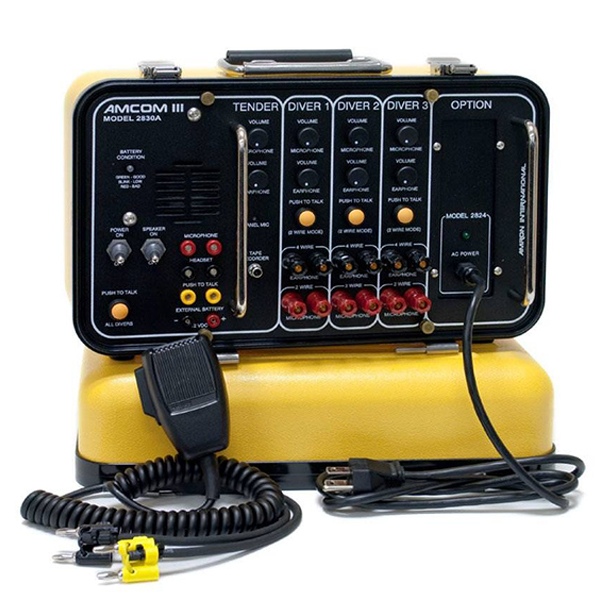 The Amcommand range of air control panels includes light and compact one diver panels right through to three divers with three regulators systems. 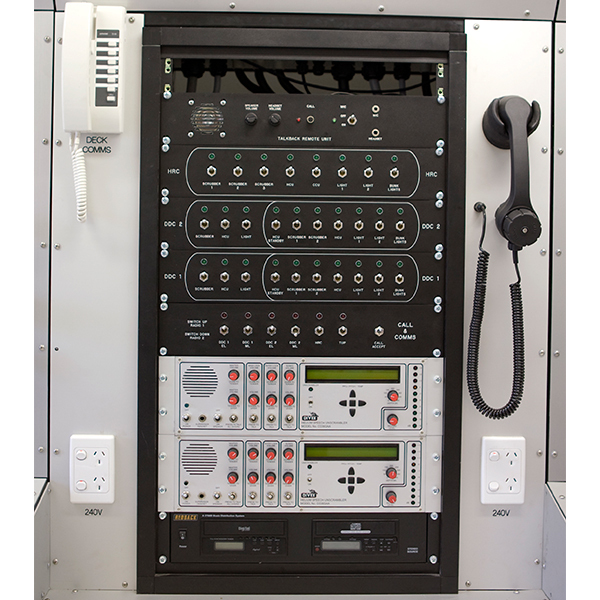 Amron can supply panels, which are fully IMCA compliant. 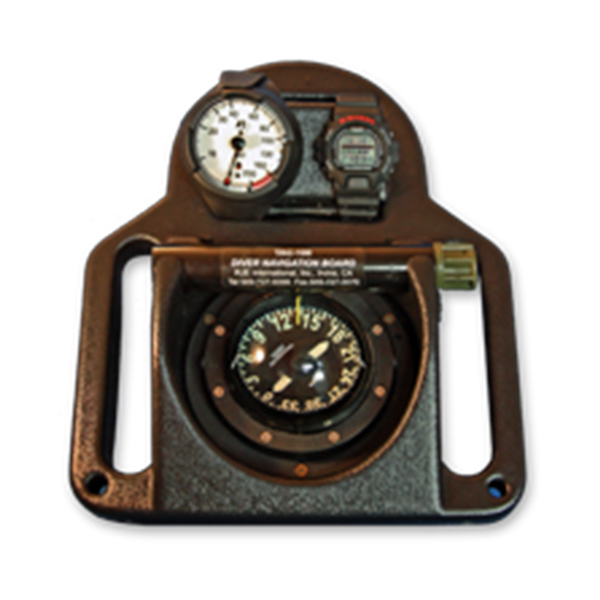 Amron air diving phones are acknowledged in the industry as the best. 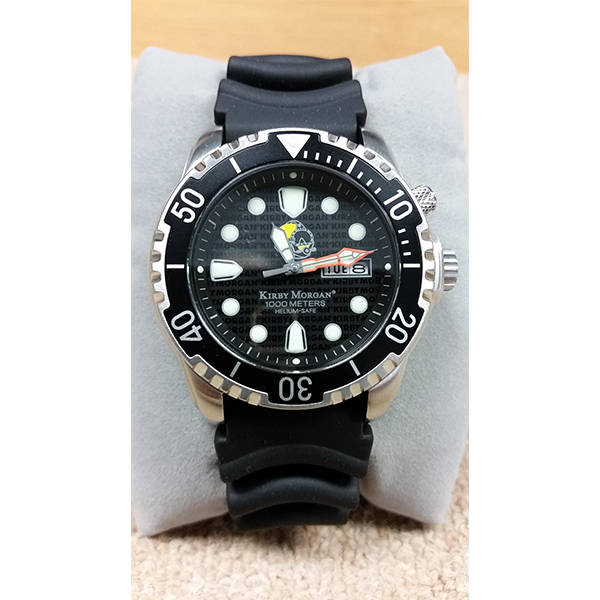 We maintain a ready stock of one diver and two diver phones. 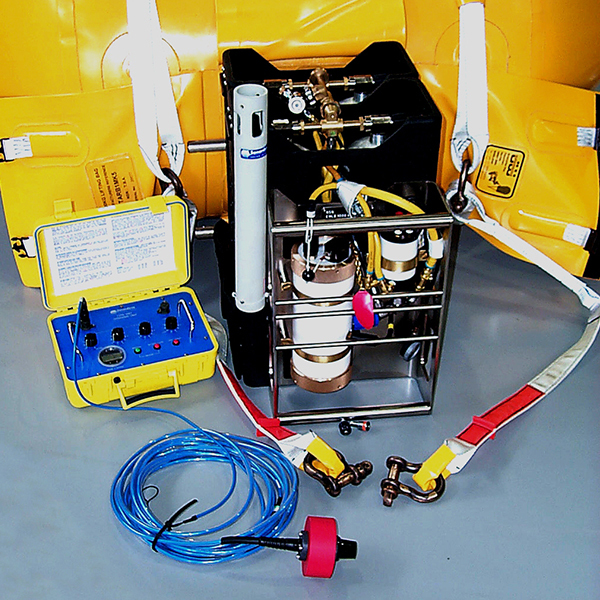 Link Subsea designs and manufactures a range of fully moulded communications kits. 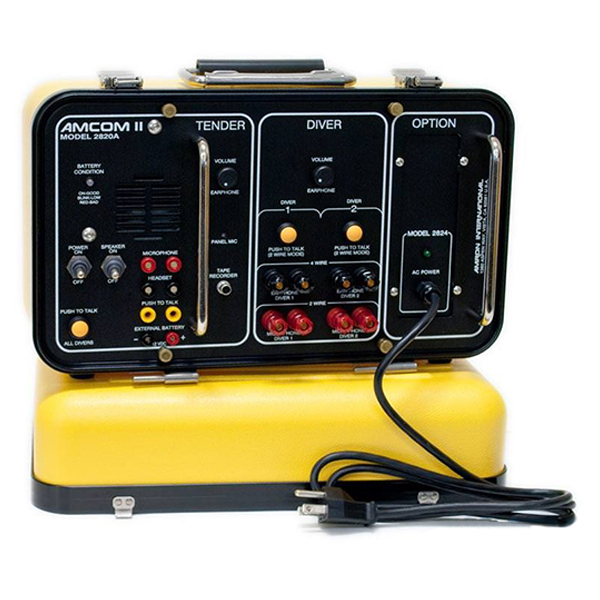 We maintain a ready stock of "AGA" Interspiro Comms Kits, wired in both "A" and "B" versions. 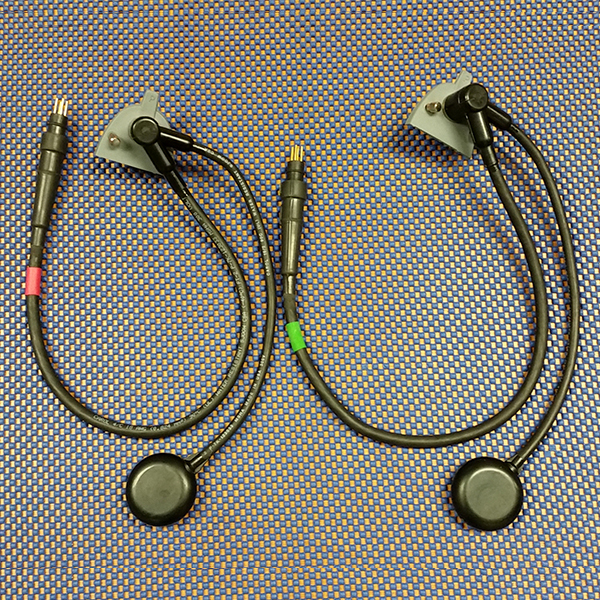 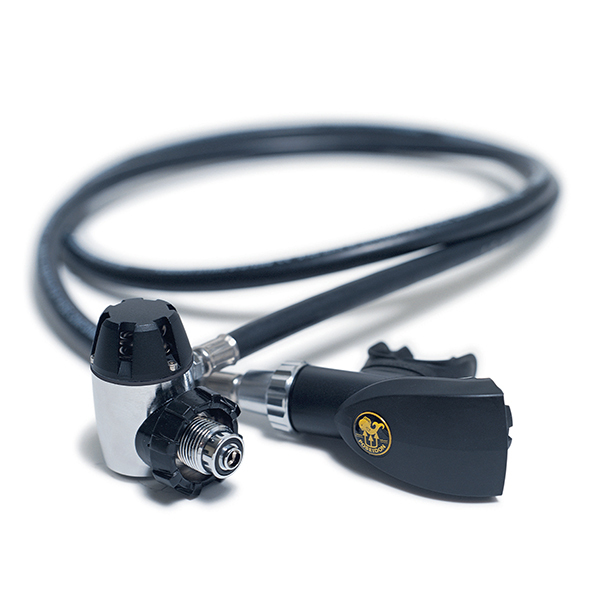 They come with a moulded Bone Conductor, AGA Mask Cover Plate, Dynamic Hi-Sense Microphone and male Marsh Marine Connector. 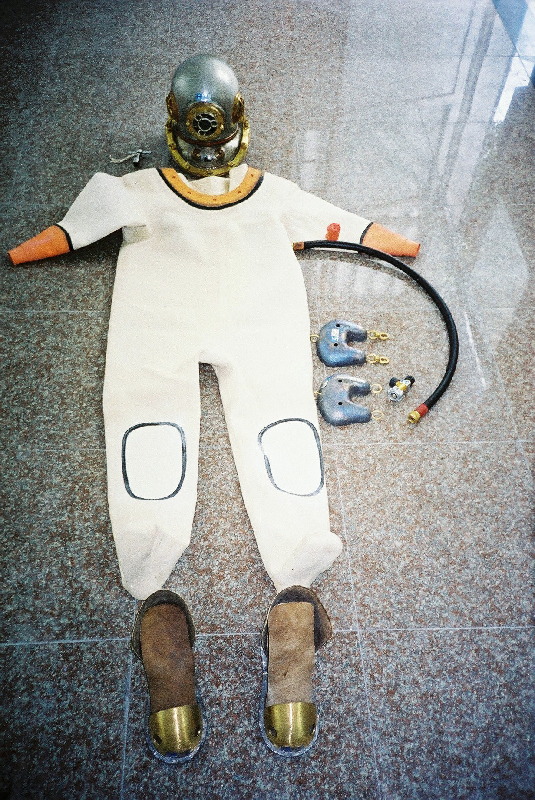 Ansell Protective Solutions (formerly Trelleborg Protective Products) is one of the world's leading producers of protective clothing and related products. 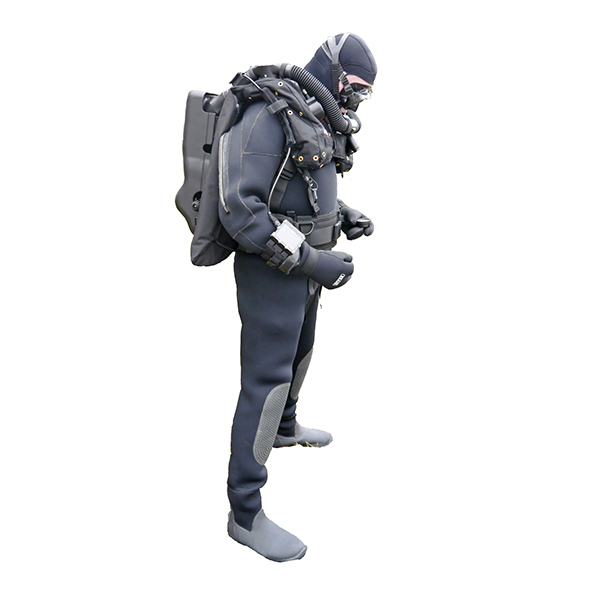 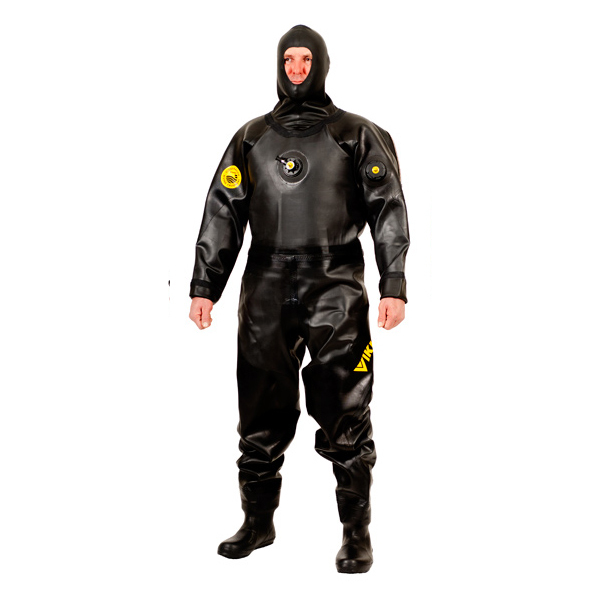 Viking is a world renowned name in dry diving suits. 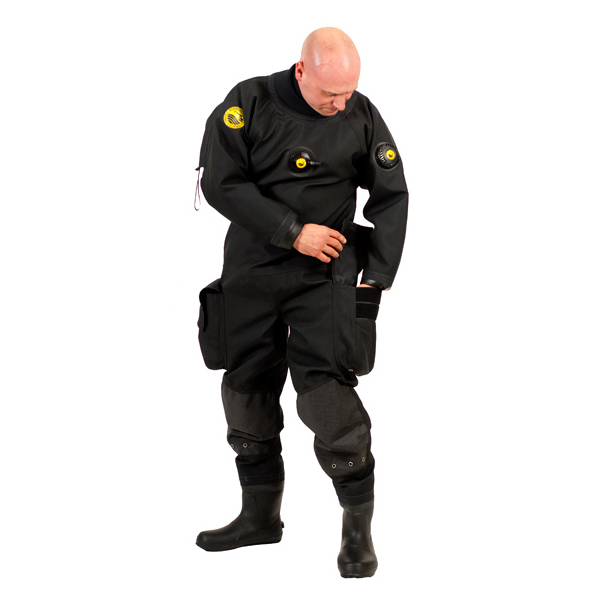 Viking have developed a portfolio of light but extremely tough dry suits suitable for rescue and technical diving when freedom of movement is important. 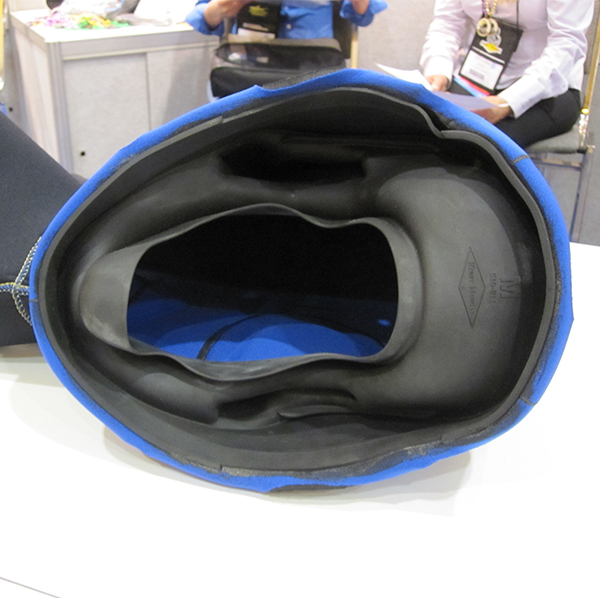 They use materials such as VSN Cordura, Nylon and Polyester trilaminates which are thin and incredibly strong. 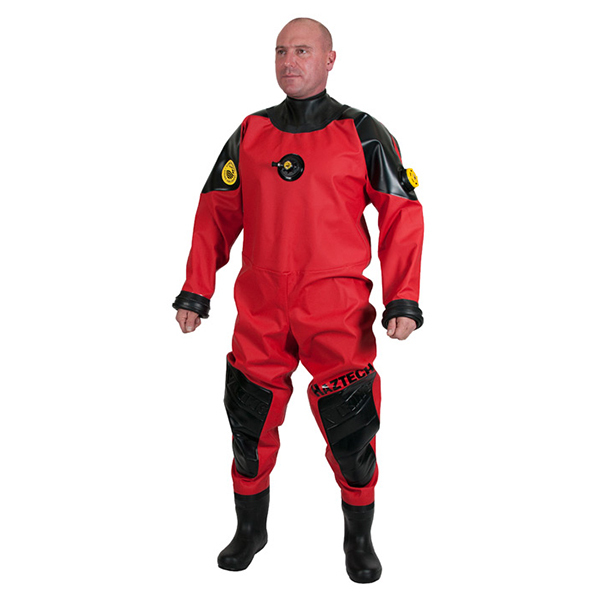 Viking rubber and polyurethane dry suits have been developed for divers working in the harshest environments. 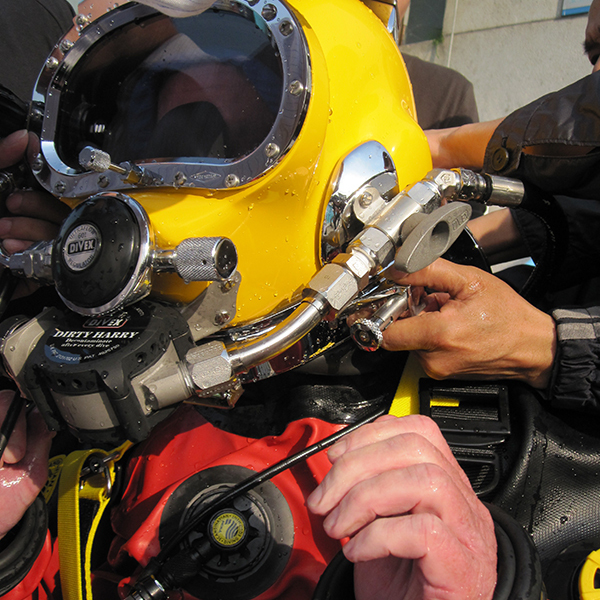 These areas include military, law enforcement, rescue, salvage and public safety diving. 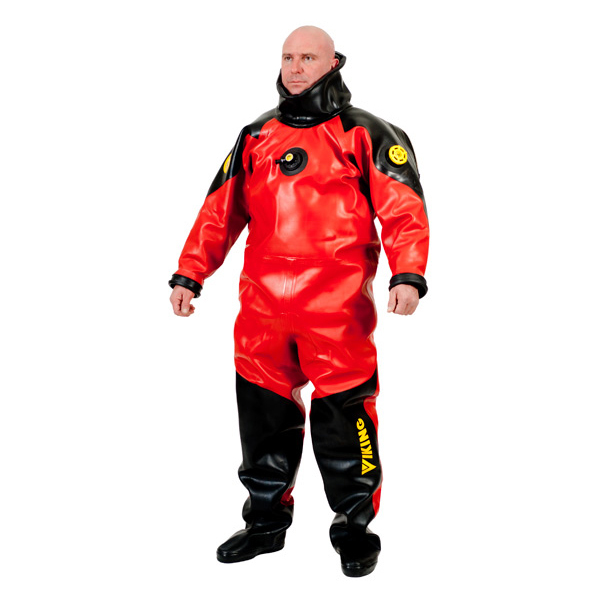 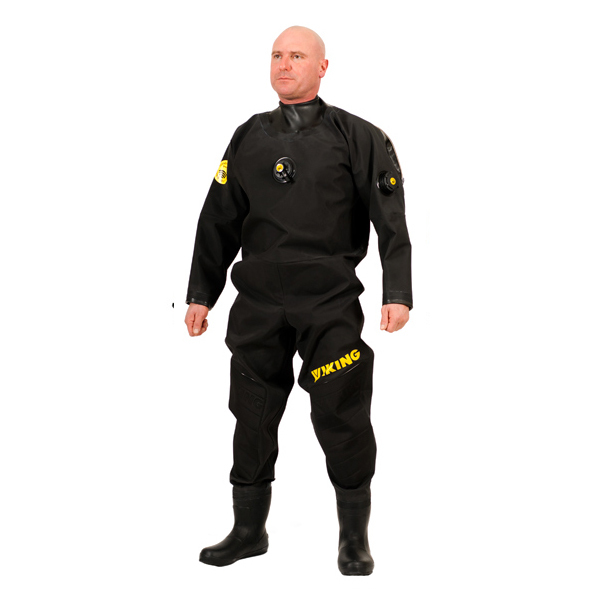 Viking rubber and polyurethane dry suits are designed to provide complete protection and are easy to clean and decontaminate. 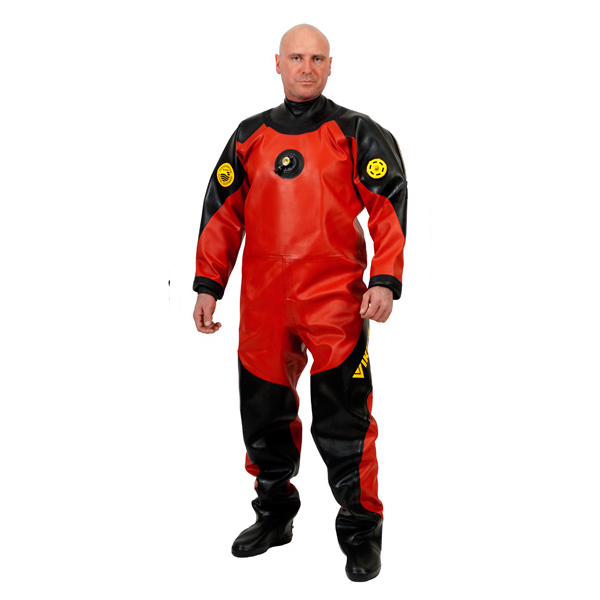 The Haztech polyurethane suit is lighter and easier to wear than its rubber cousin and provides almost the same amount of protection from chemicals, petrochemicals and other corrosive substances. 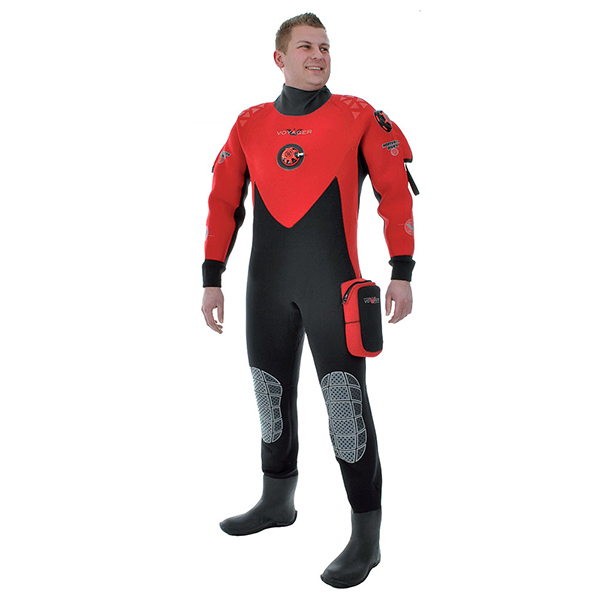 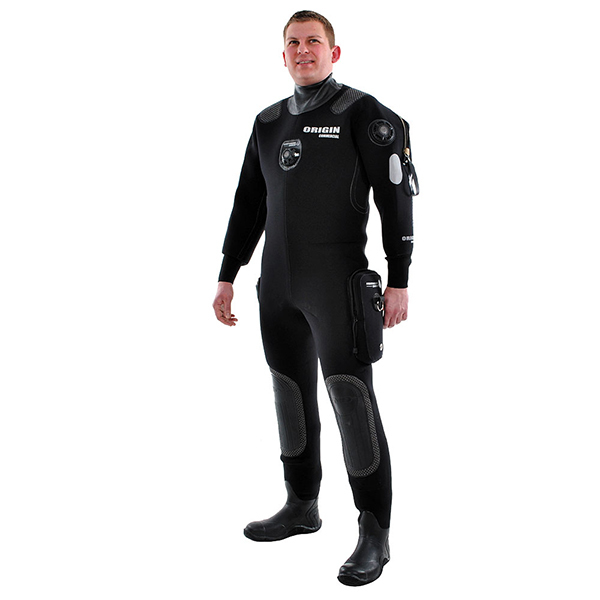 Northern Diver make an extensive range of Neoprene and Membrane dry suits as well as high tech wet suits and offer undersuits and many diver accessories. 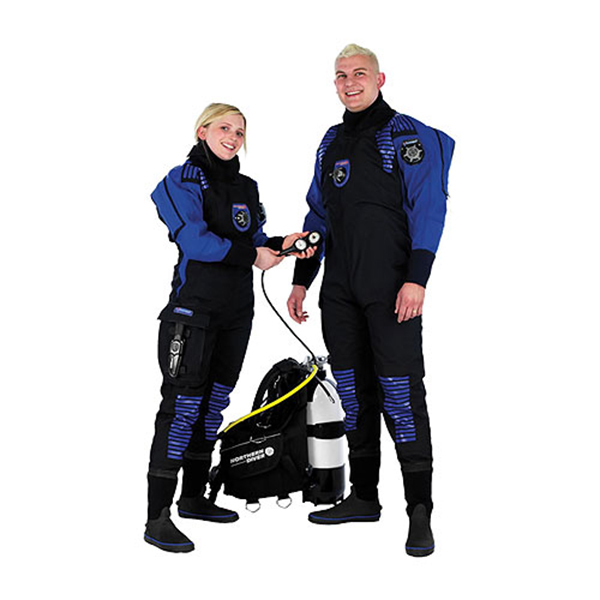 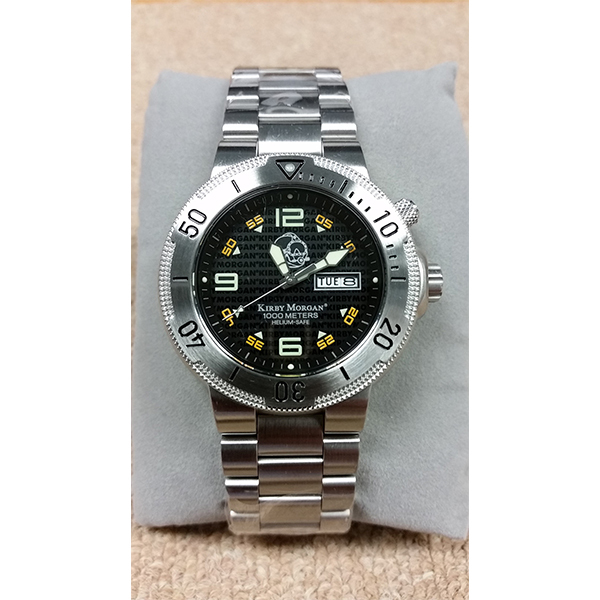 The Origin and Divemaster Commercial are popular with commercial divers working in cold climes. 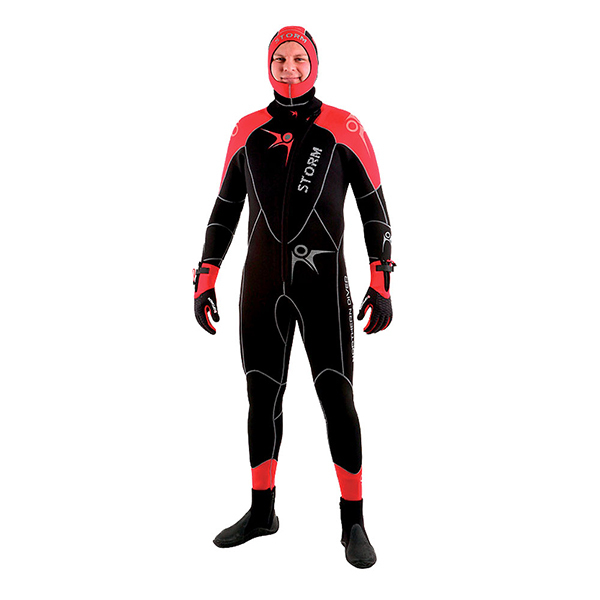 The Origin is made of the best 6.5mm XO grade neoprene with a very tough outer shell. 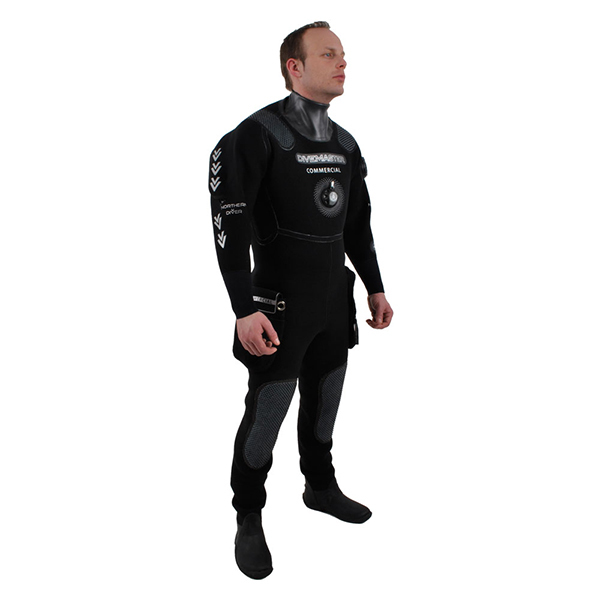 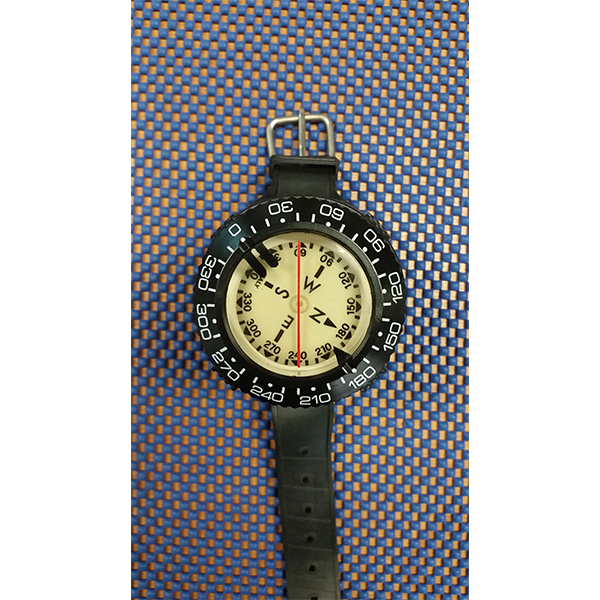 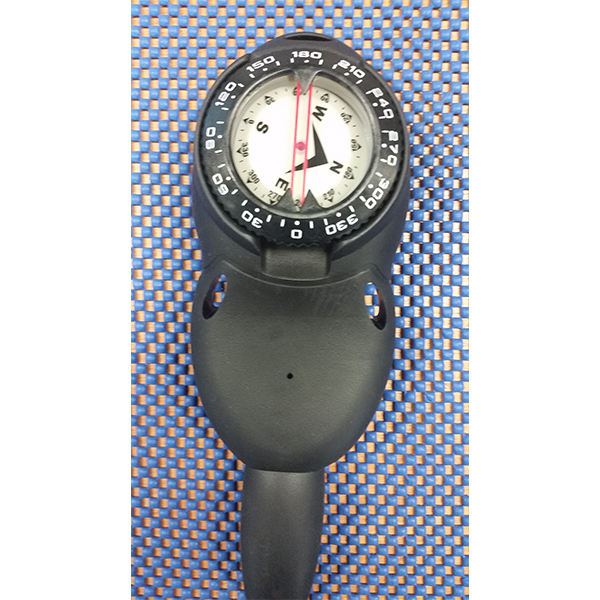 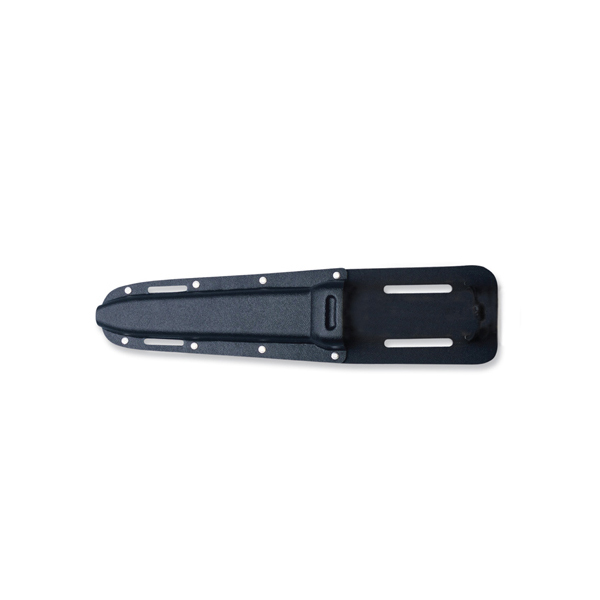 The Divemaster Commercial is manufactured from a specially formulated 5mm hyper-compressed neoprene. 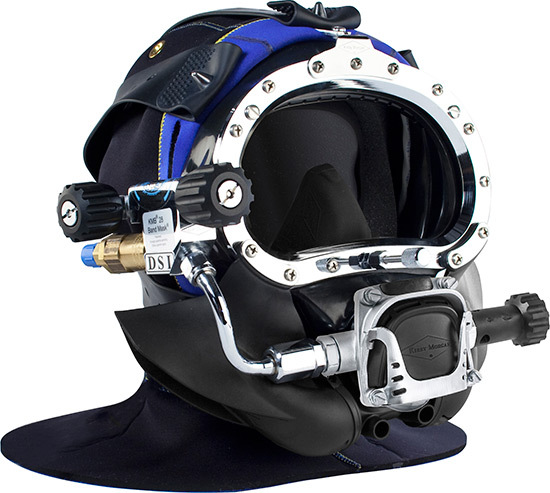 The Divemaster Commercial allows freedom of movement and real diving flexibility. 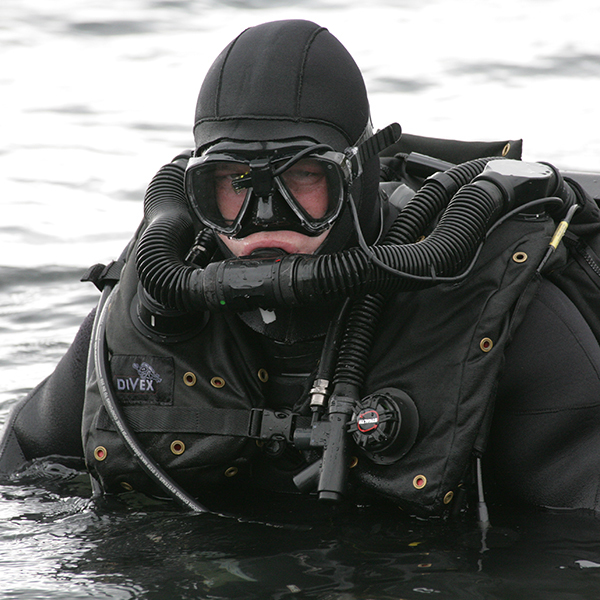 Poseidon was established by the visionary diver and innovator, Ingvar Elfström. 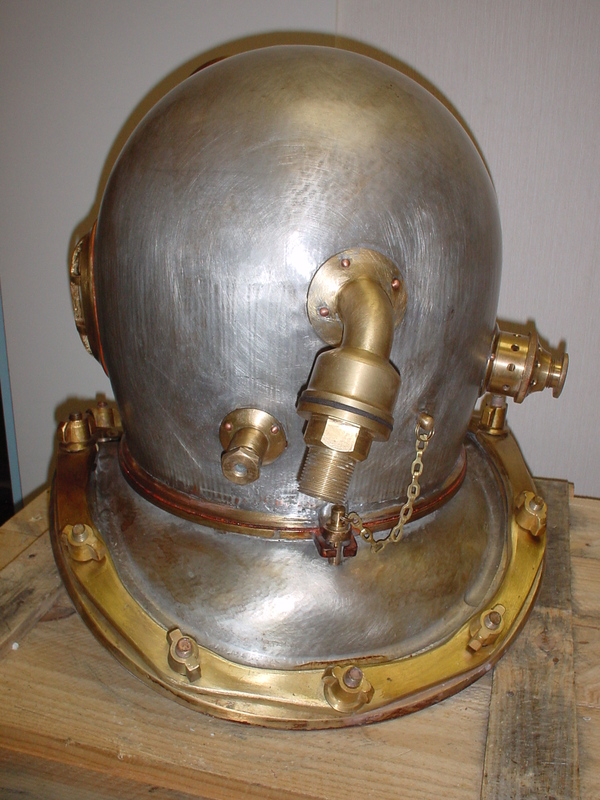 That was in 1958. 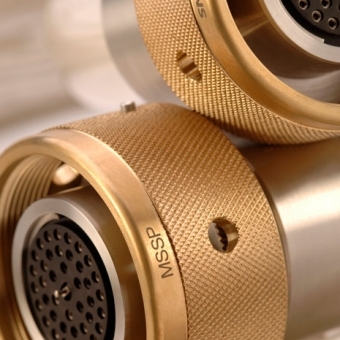 Since then Poseidon has gone on to develop a unique series of regulators based on high performance and simple clean design. 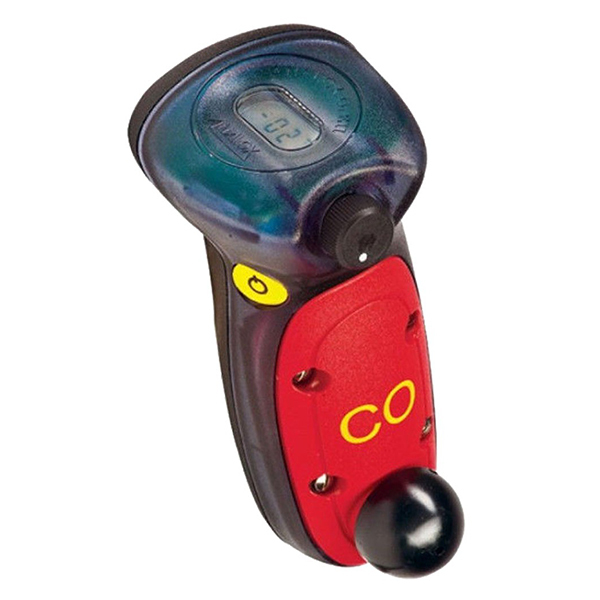 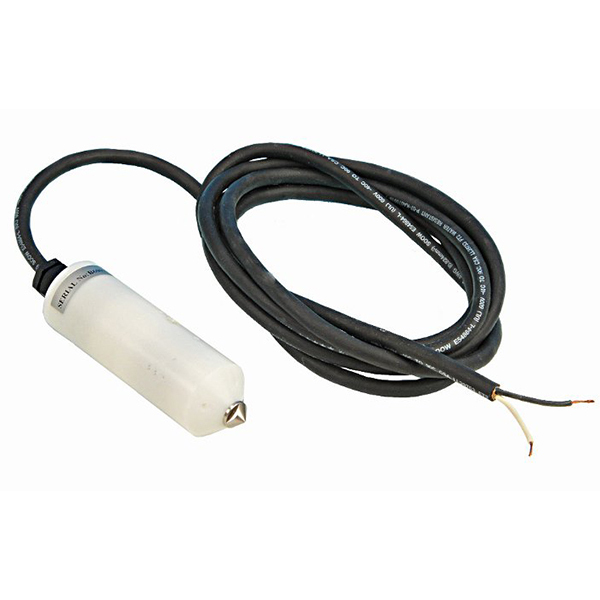 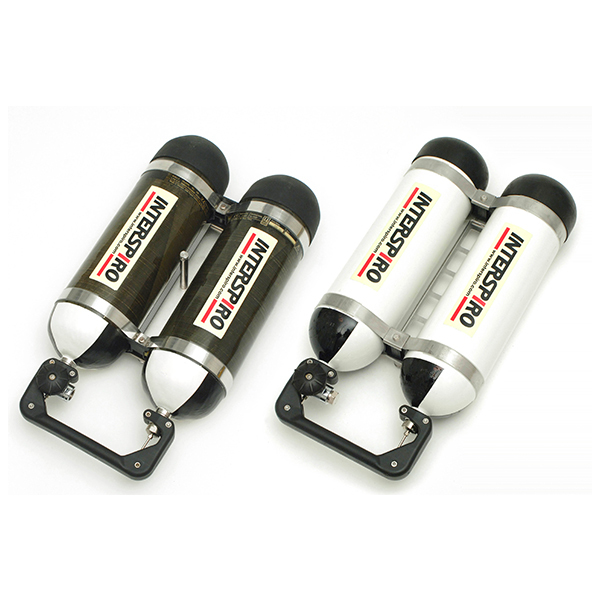 We have a stock of Poseidon Jetstream First Stage Regulators, which are popular as the workhorse regulator for the commercial diver's bail-out cylinder EGS - Emergency Gas Supply. 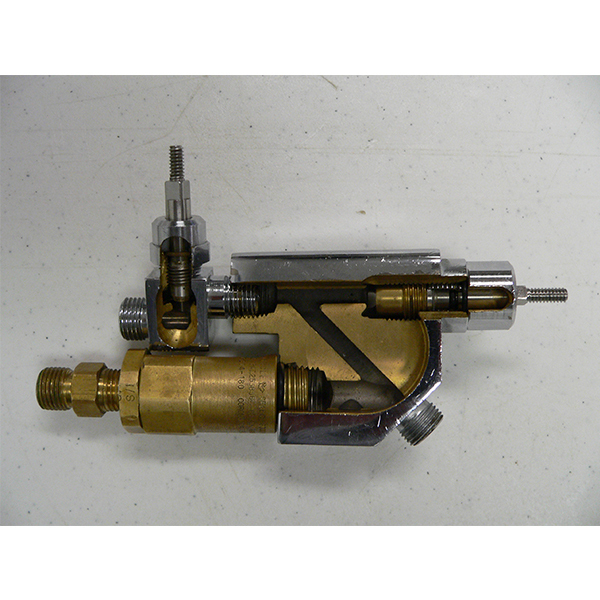 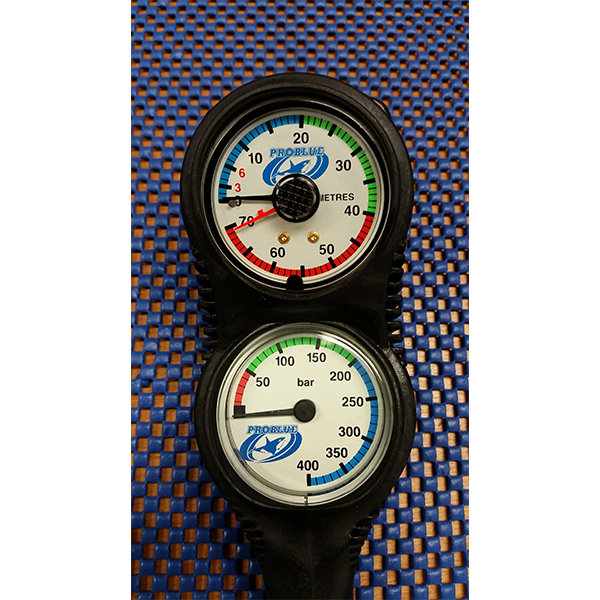 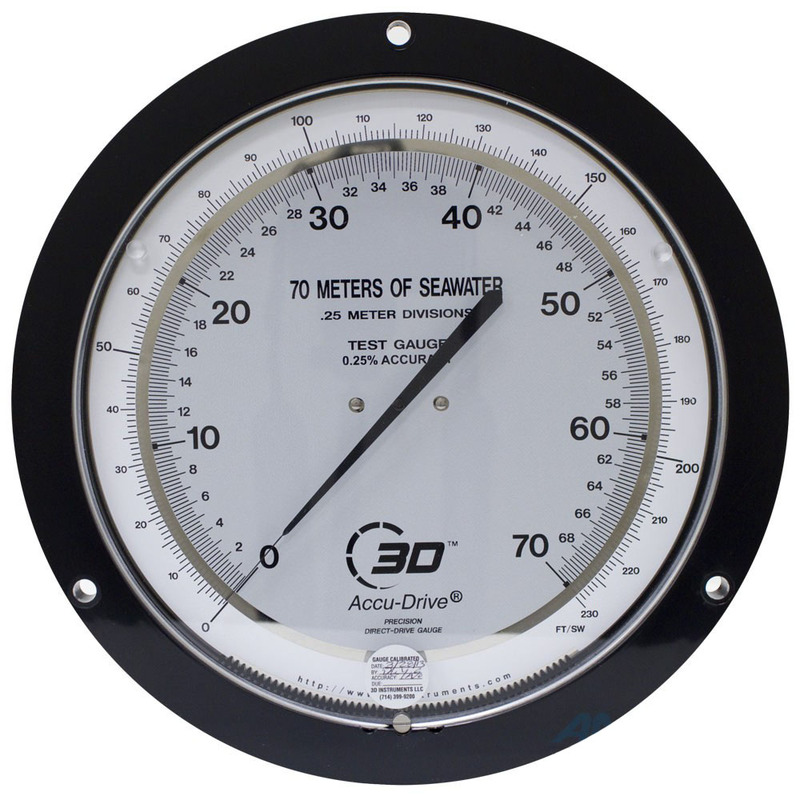 3D Gauges operate on the direct drive principle. 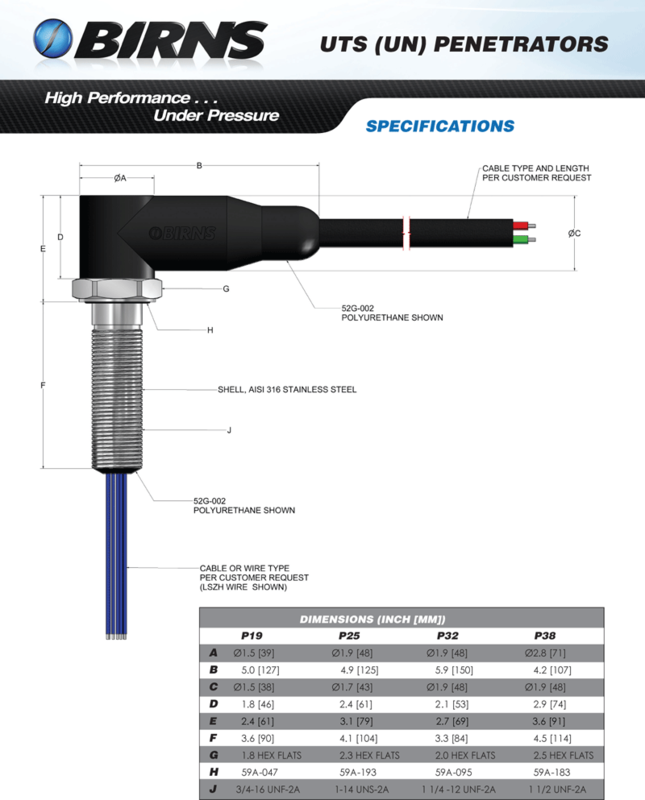 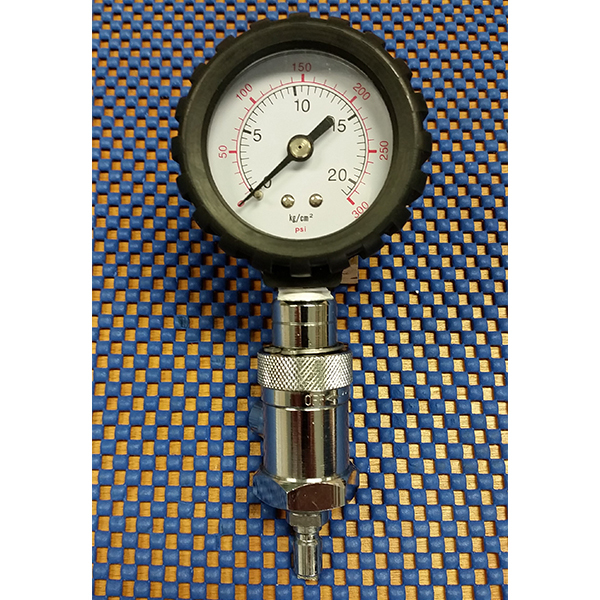 The pressure gauge has only one working part—a helically-wound Bourdon tube made of Inconel® X-750, a flexible material that prevents the coil from losing its shape and ensures accuracy. 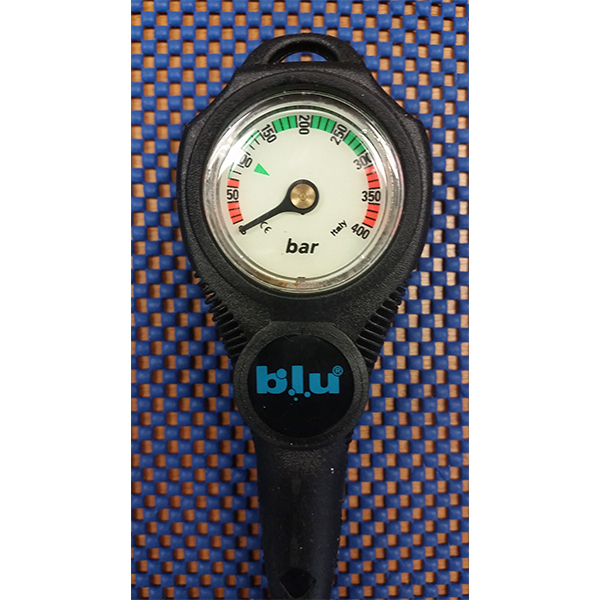 With no additional mechanical components vulnerable to wear, a direct drive gauge lasts longer than a C-shape Bourdon tube gauge. 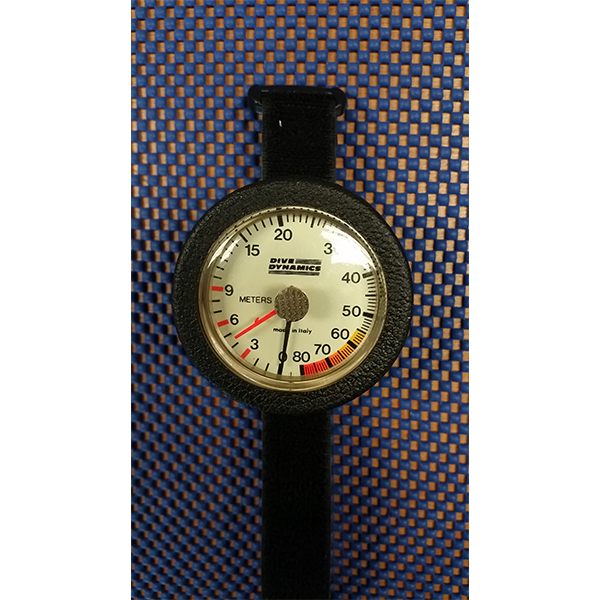 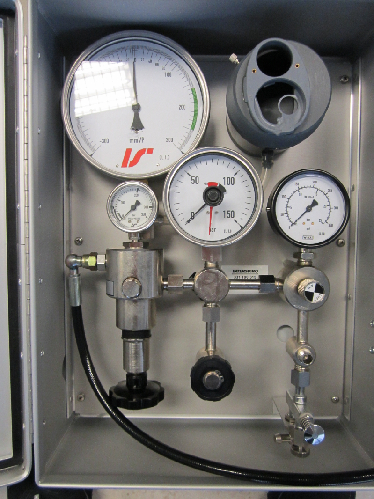 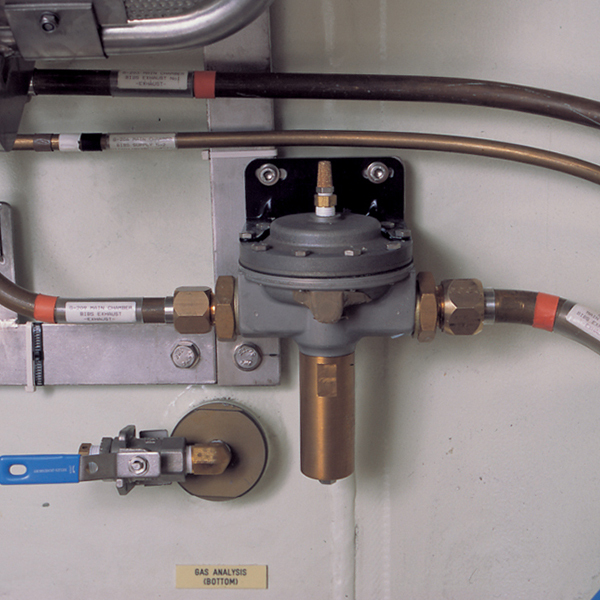 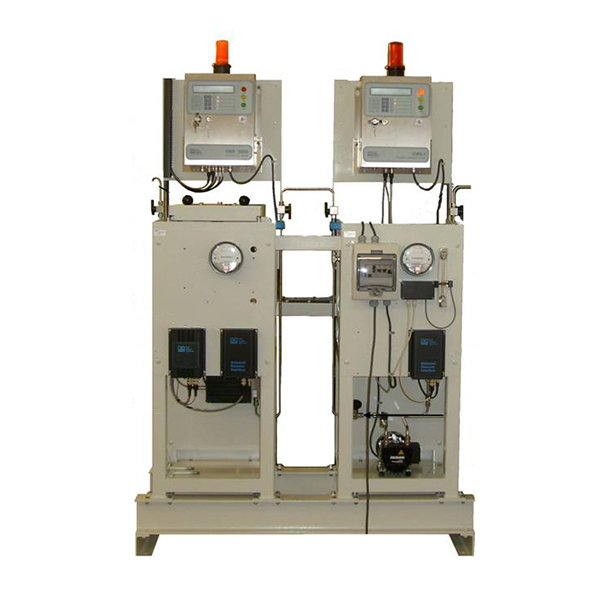 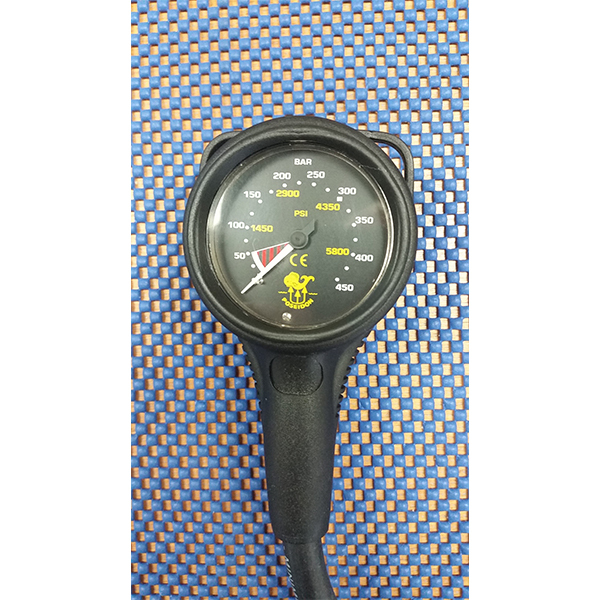 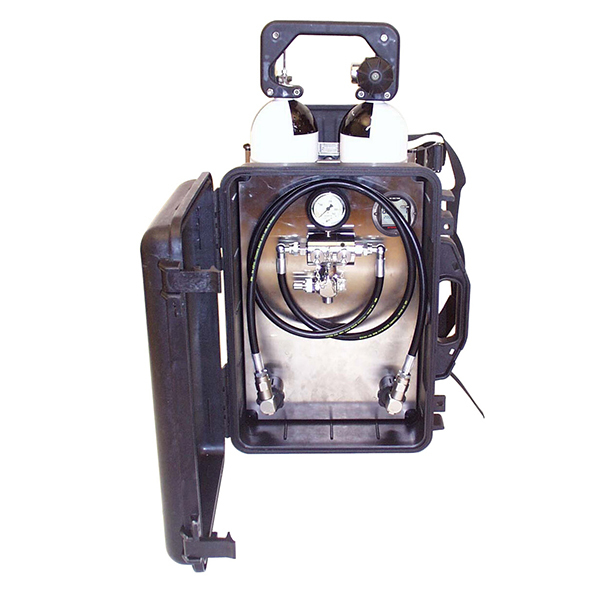 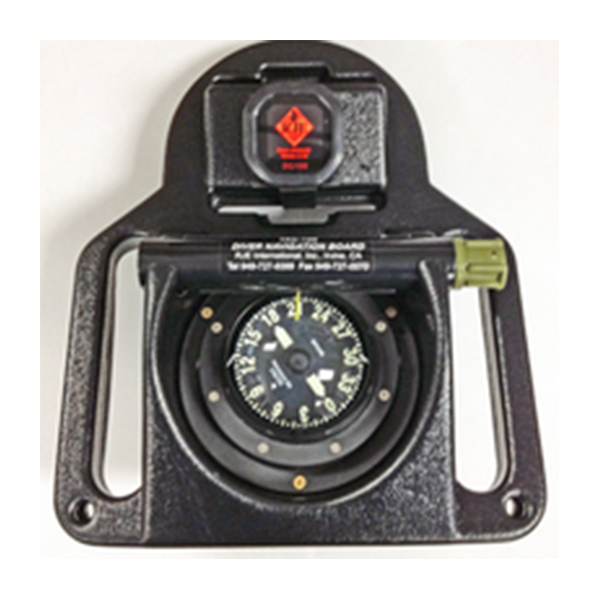 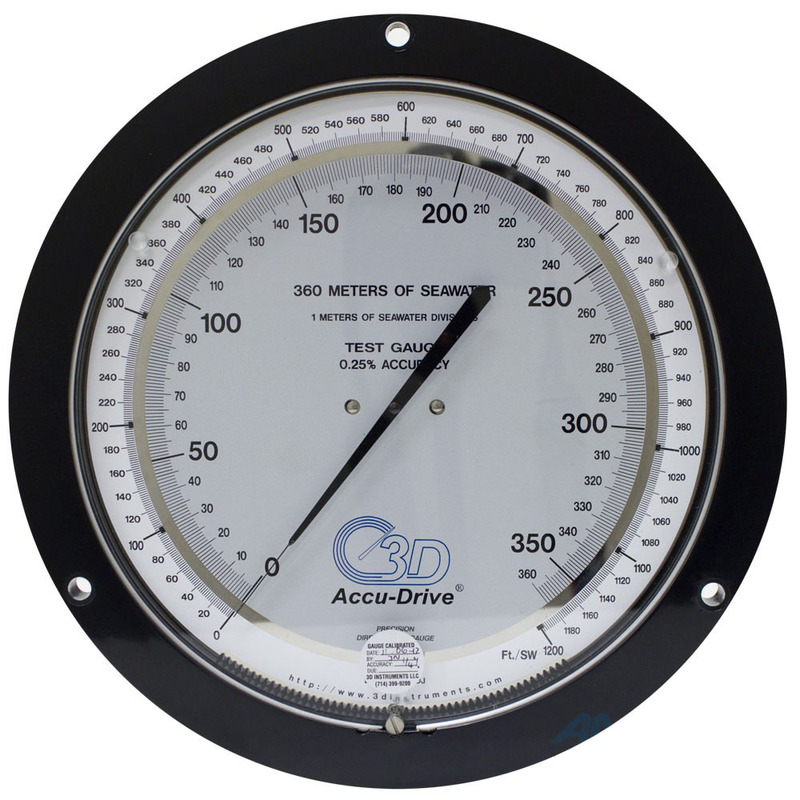 The Series 25 Accu-Drive pressure gauges and caisson gauges are used widely throughout the commercial diving industry inside and outside decompression chambers. 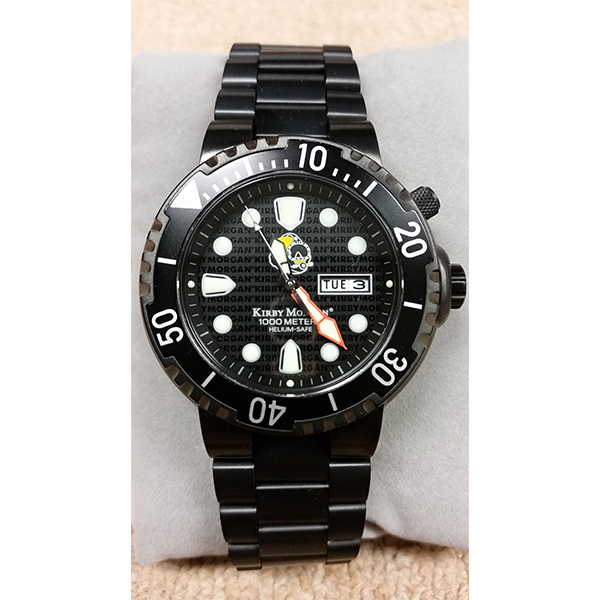 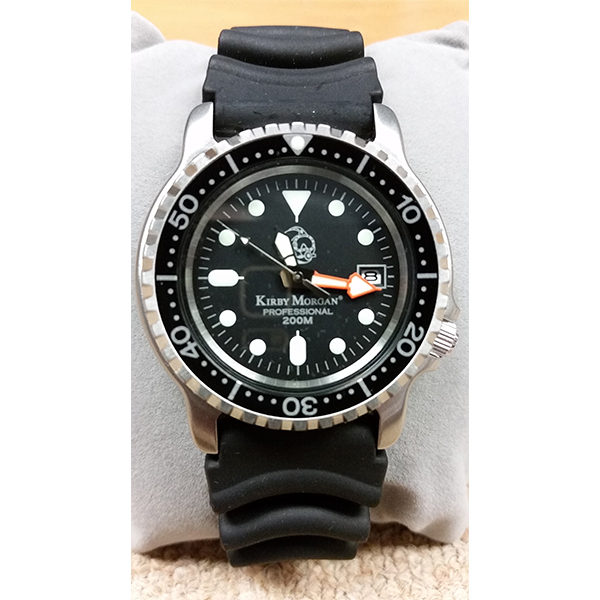 Founded in 1976 and located in Via Galileo Galilei, Leini near Turin in Italy, Mega Sport is a leading manufacturer of all kinds of SCUBA diving gauges making many diving equipment brands under OEM arrangments. 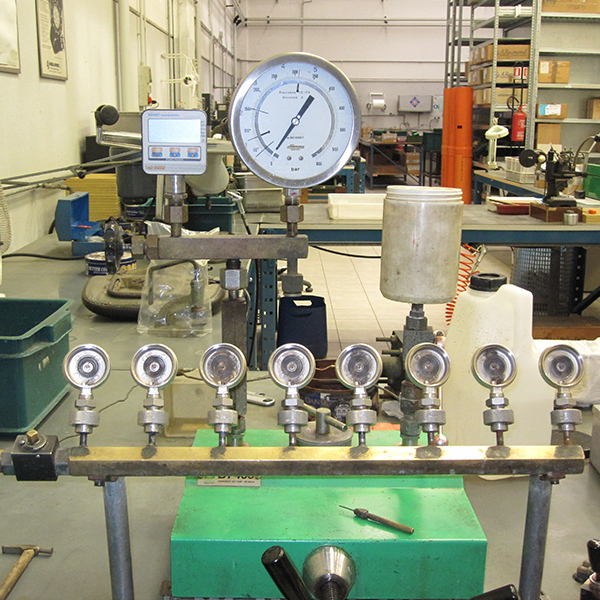 Every single gauge is tested for accuracy. 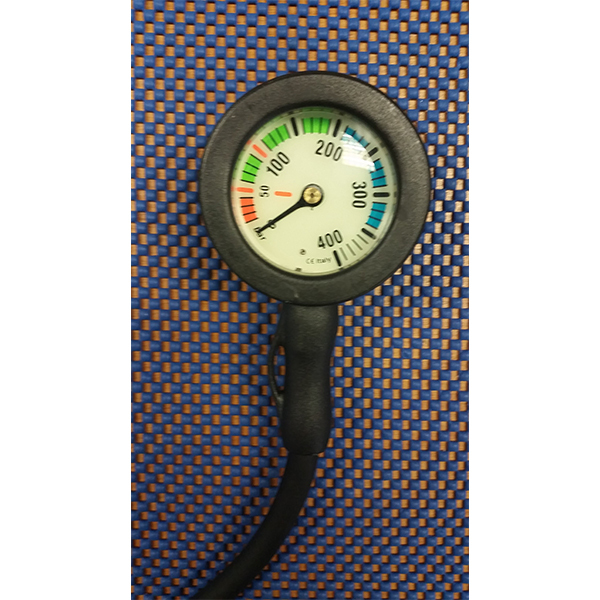 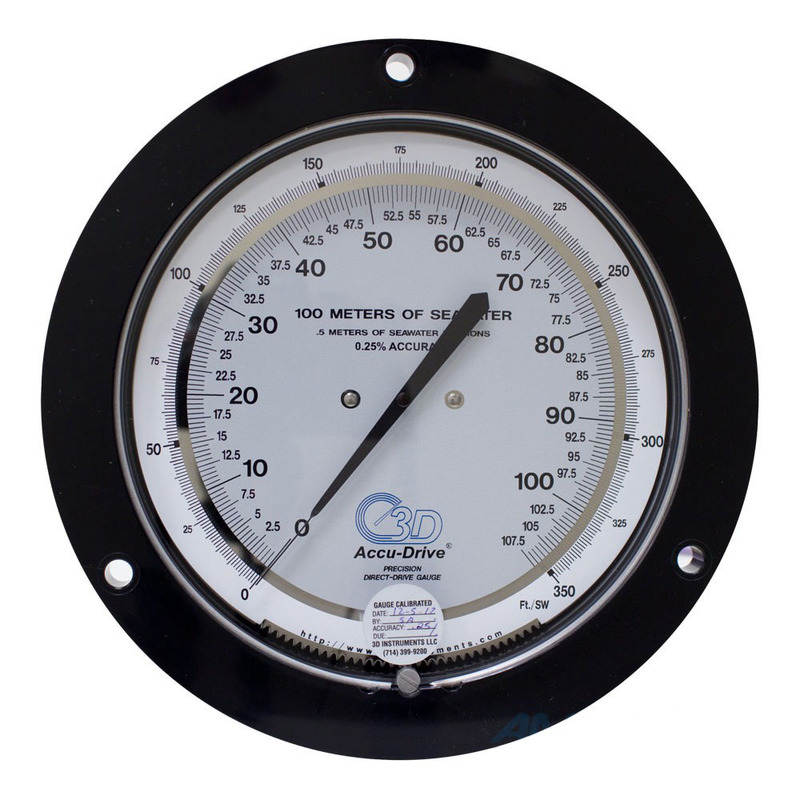 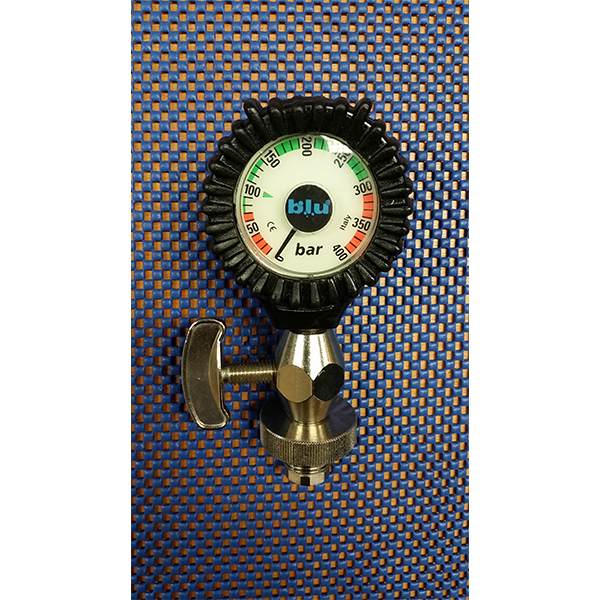 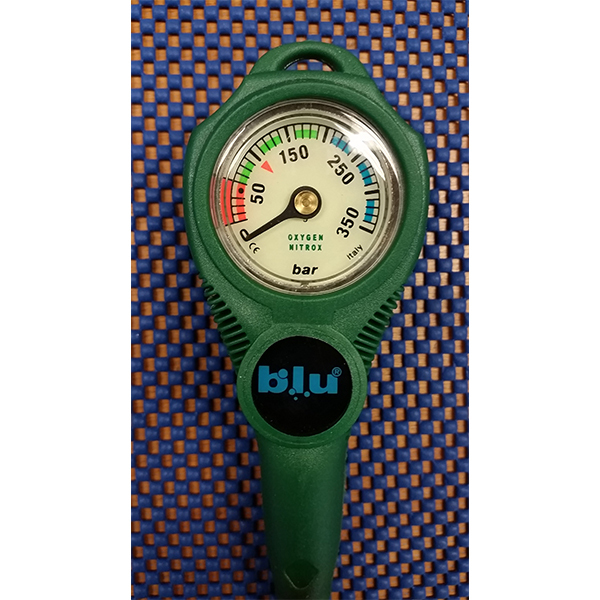 The MINERAL range of 55mm and 65mm diameter contents gauges feature tempered anti-scratch mineral glass. 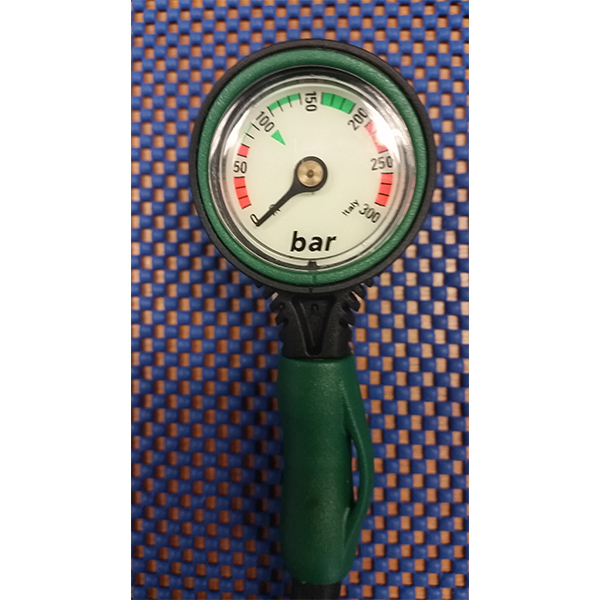 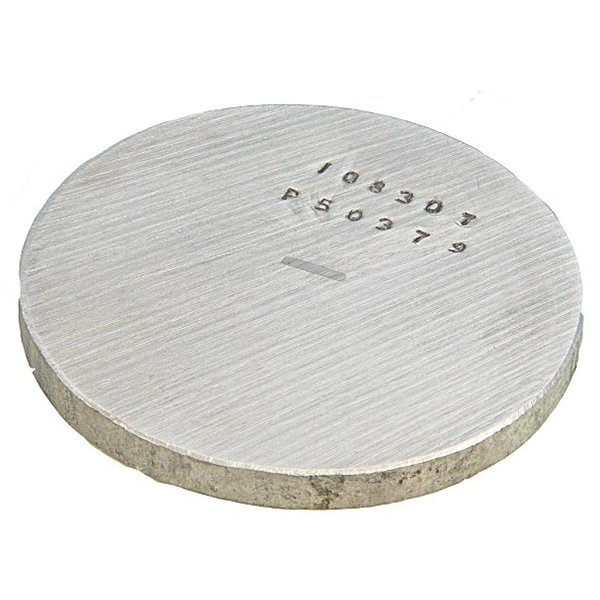 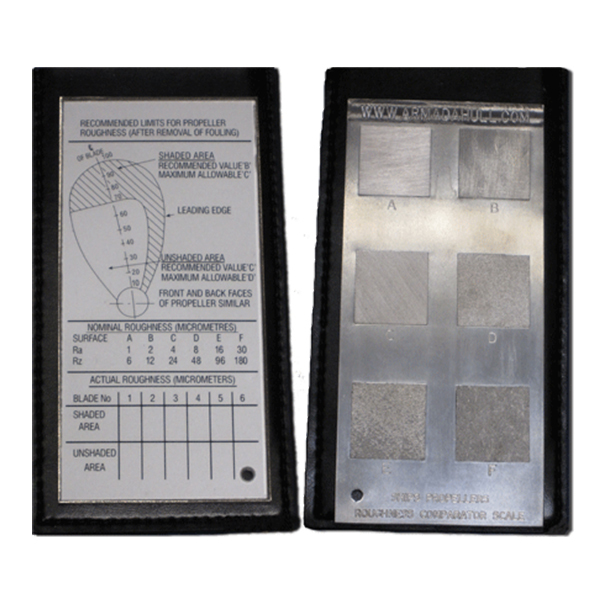 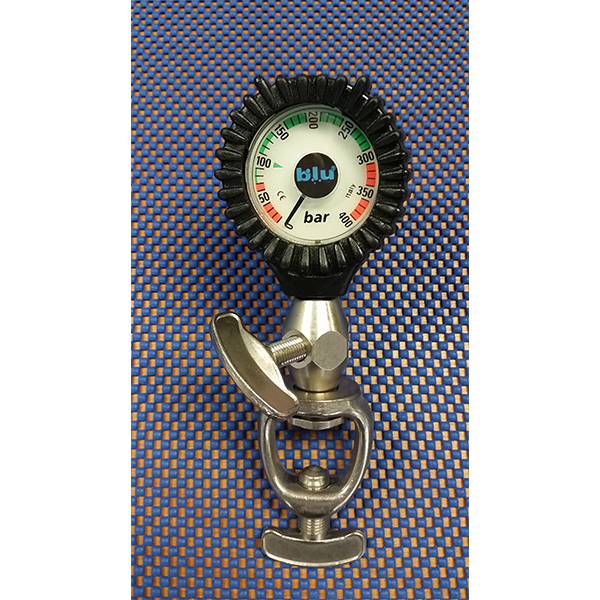 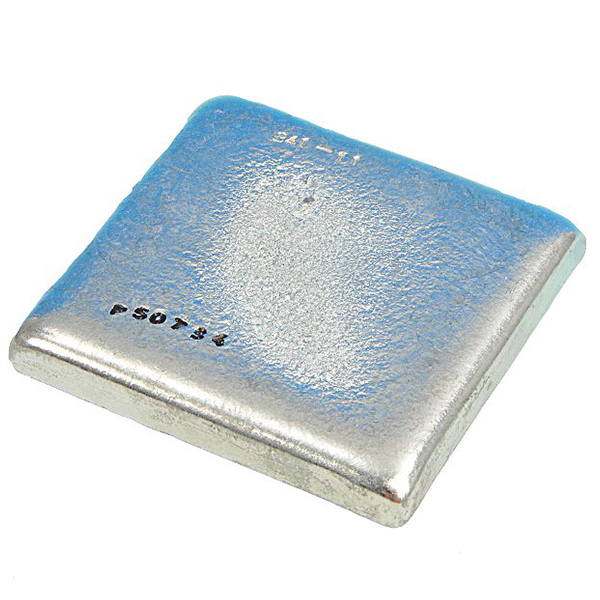 They come with a variety of dial scales - psi, Bar and dual scale and up to 400Bar. 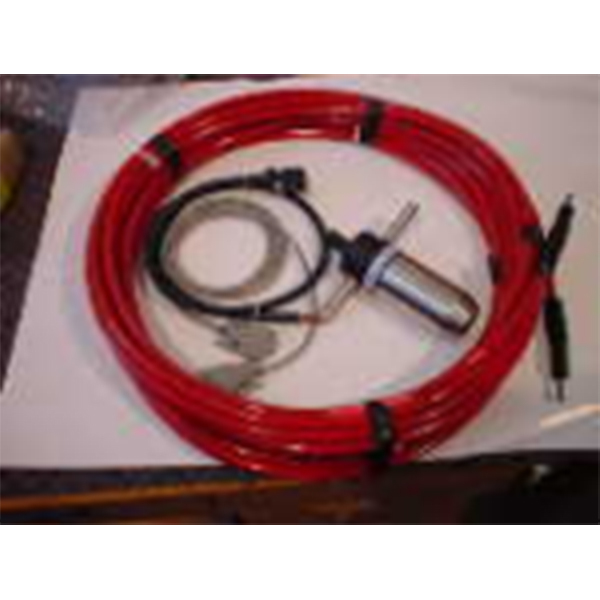 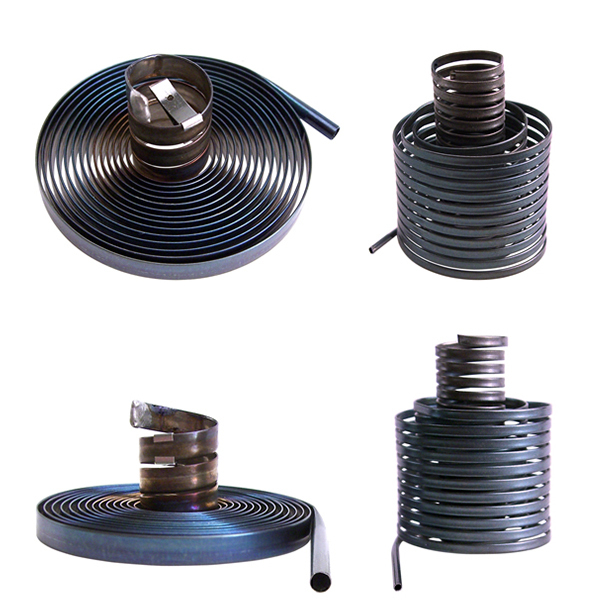 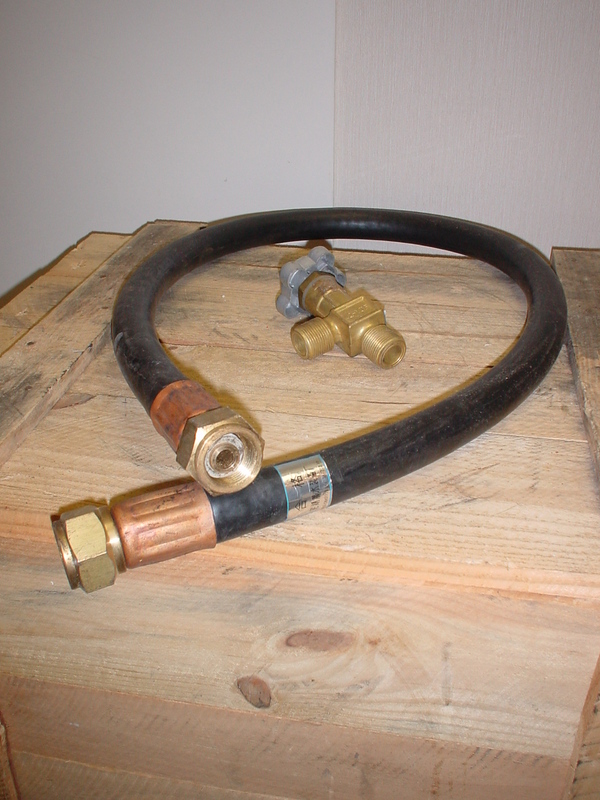 Gauges can be supplied with tough 0.73mm diameter wire braided hoses. 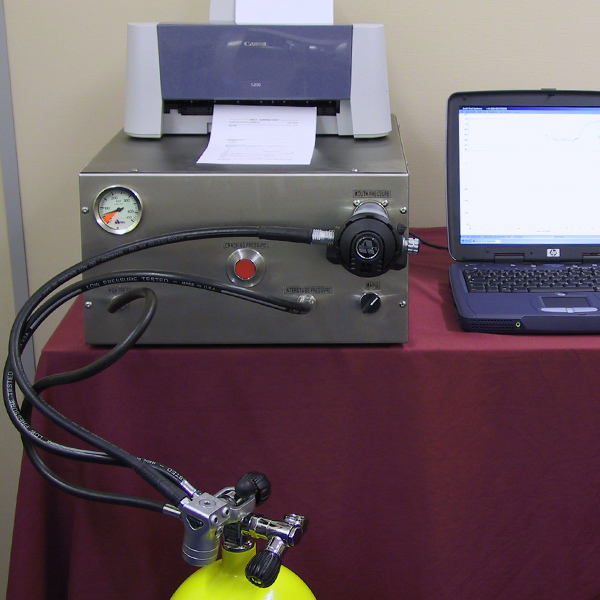 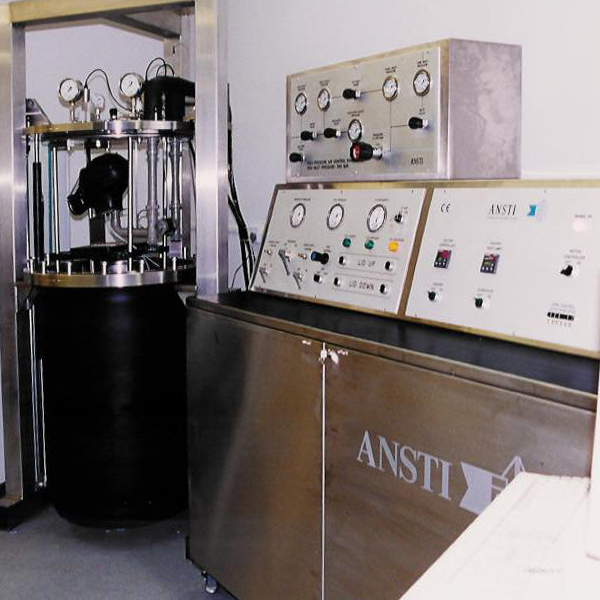 ANSTI Test Systems Ltd. specialises in the design and manufacture of test facilities for performance measurement of underwater breathing apparatus. 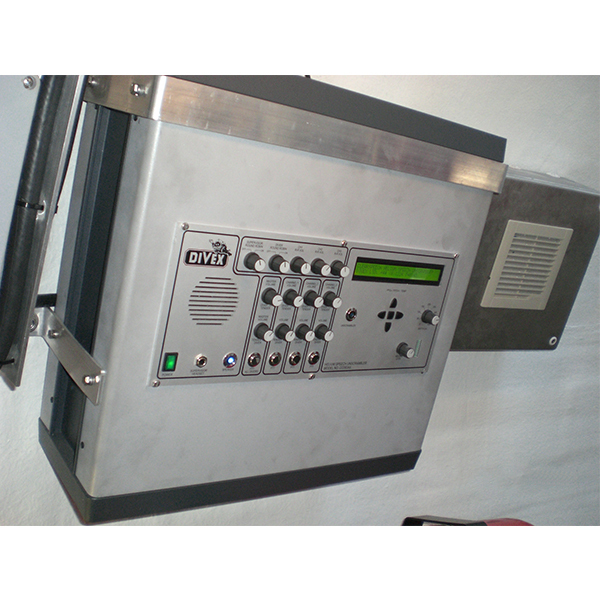 The facilities are turnkey packages, which utilise computerised data acquisition and display. 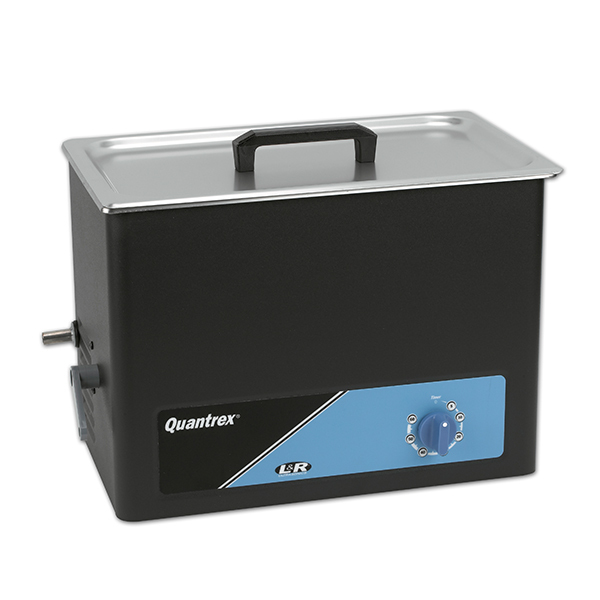 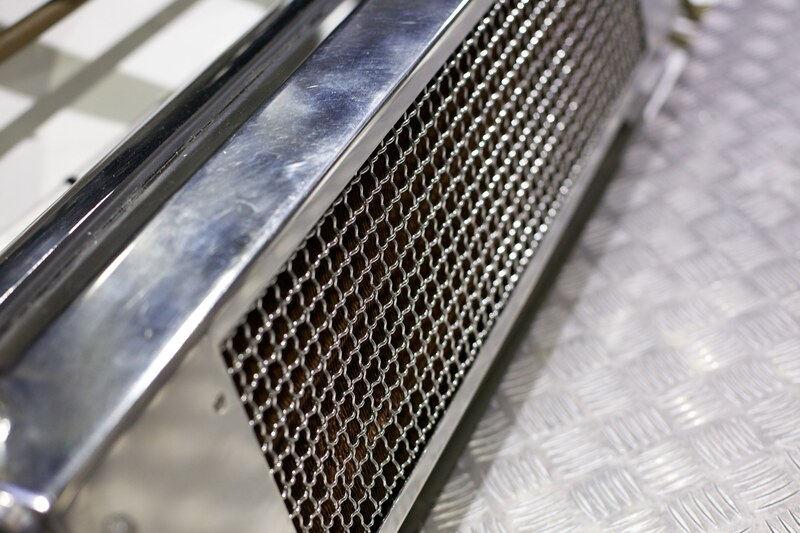 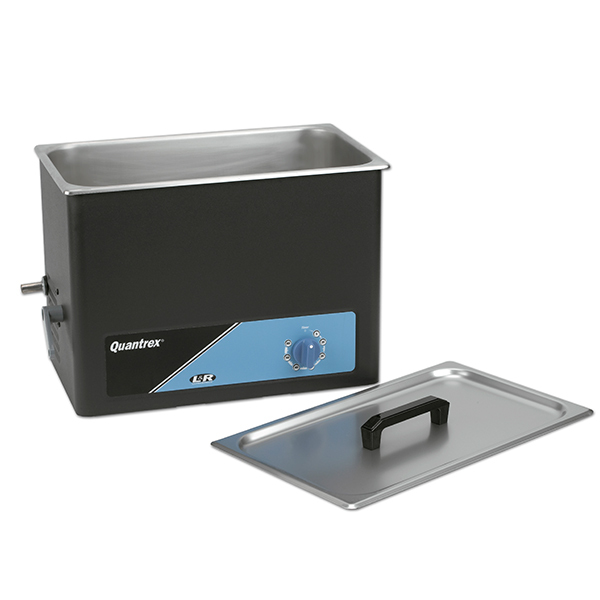 L & R are the household name in ultrasonic cleaning machines. 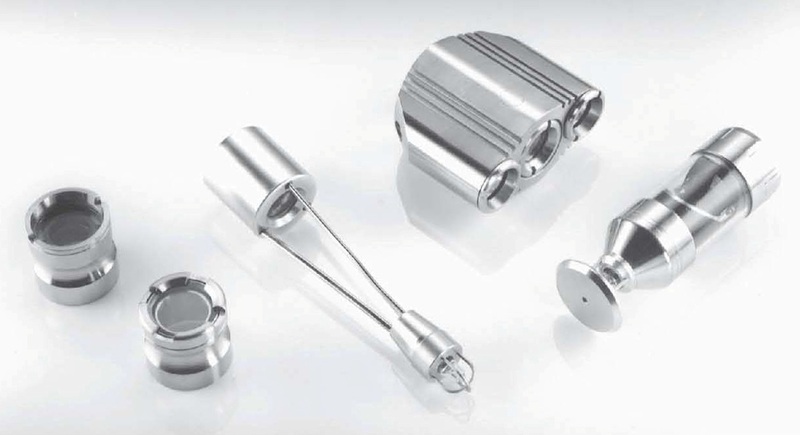 They are the originators and are well known in all industries requiring gentle but thorough cleaning: dental instruments, jewellery, weapons - and of course diving equipment. 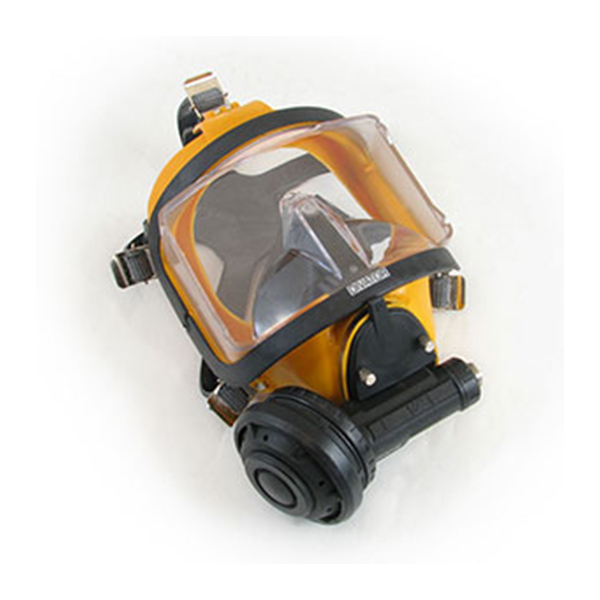 The ultimate cleaning and health tool for all your masks, regulators and breathing equipment. 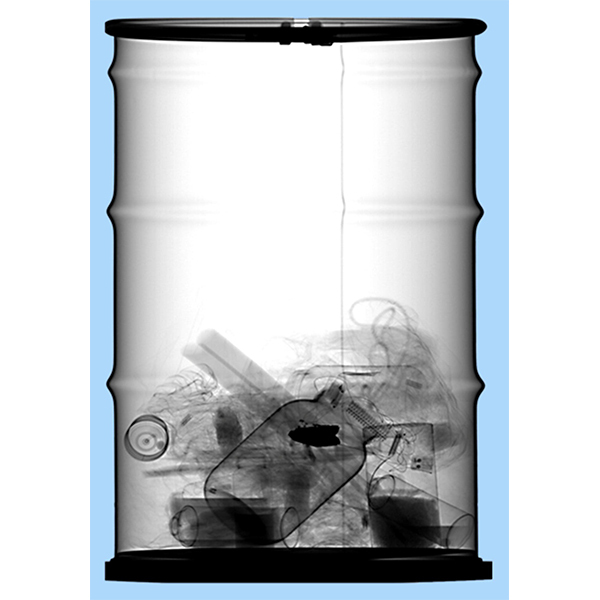 Keep them healthy. 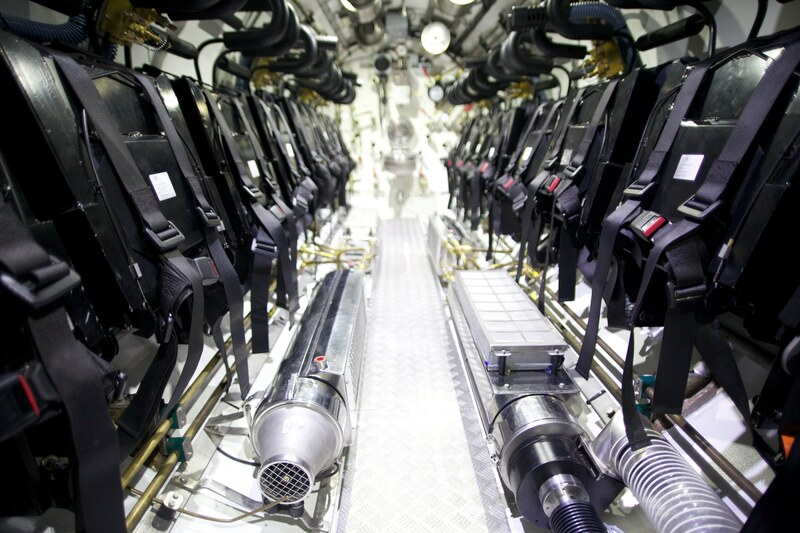 RJE International specialises in meeting the mission requirements of military and special operations units with proven equipment and cost-effective solutions. 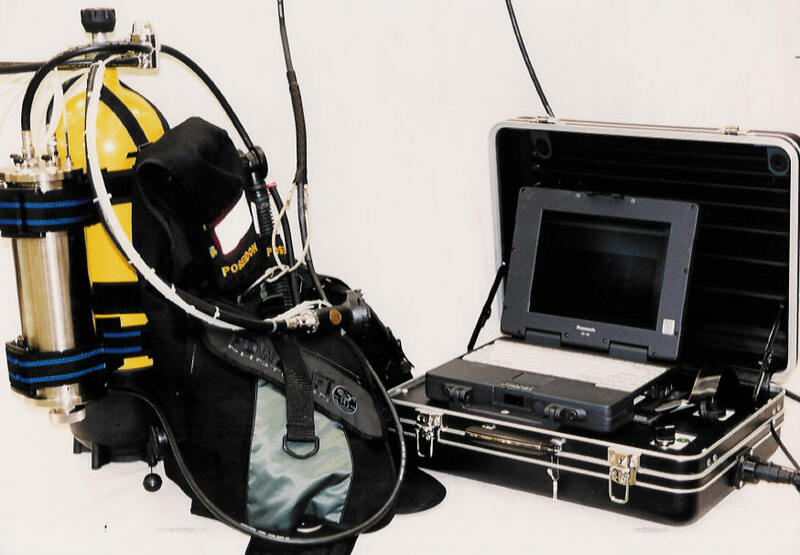 Diver held equipment for navigation, target location, search and recovery. 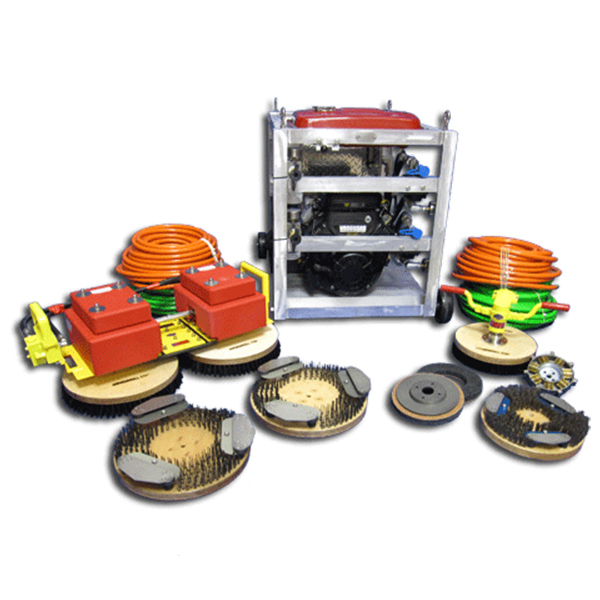 Suex have spent many years testing and refining the Zeuxo range of ADV's (advanced diving vehicles) to produce a scooter that really works: long battery life, smooth operation, safe and reliable ON/OFF and unaffected by sand and suspended solids. 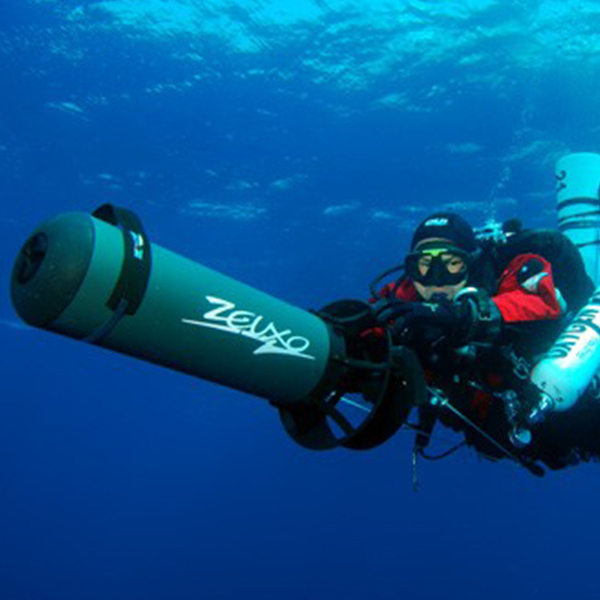 There are eleven models in the Zeuxo range from economical sports models to long-range combat diver propulsion vehicles. 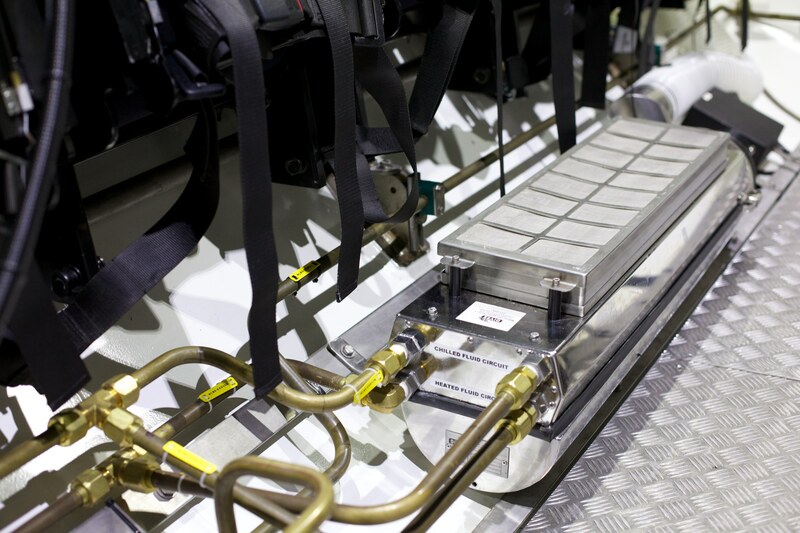 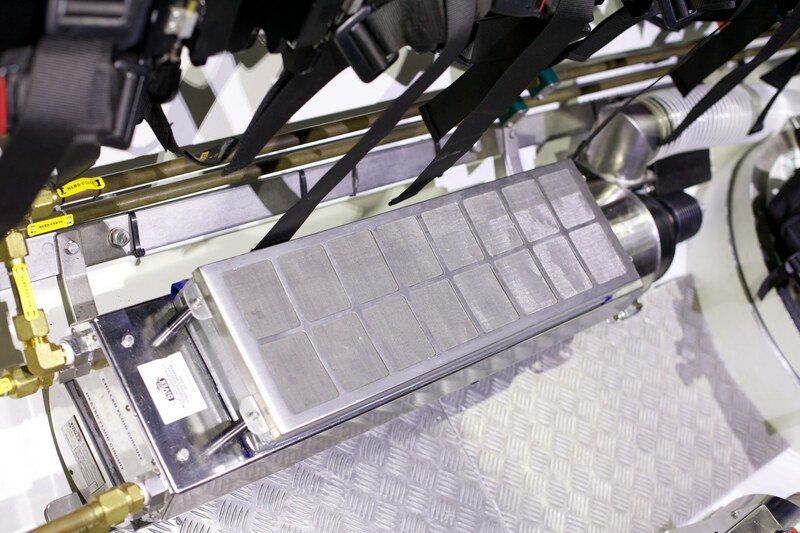 Vehicles are fitted with lead acid, Nimh or lithium ion batteries depending on the model. 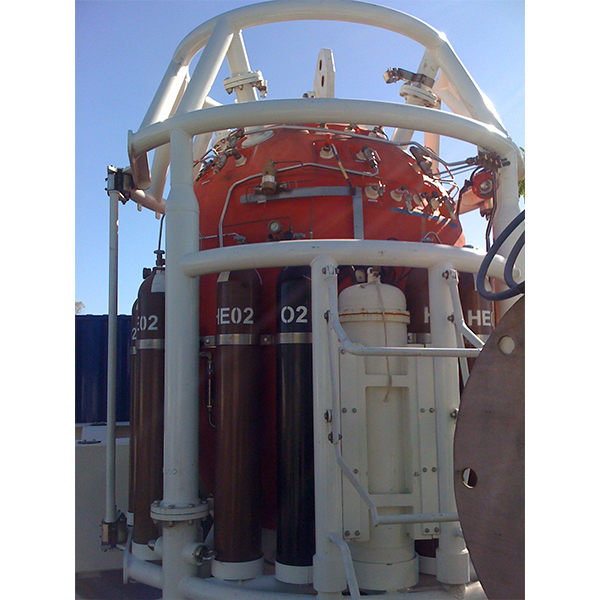 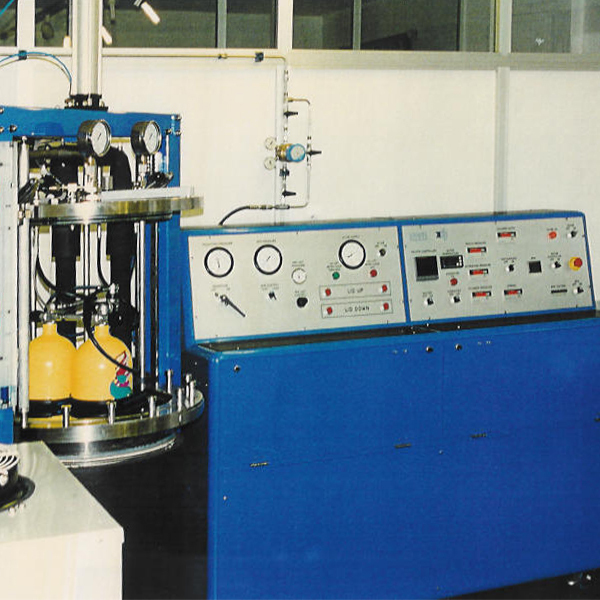 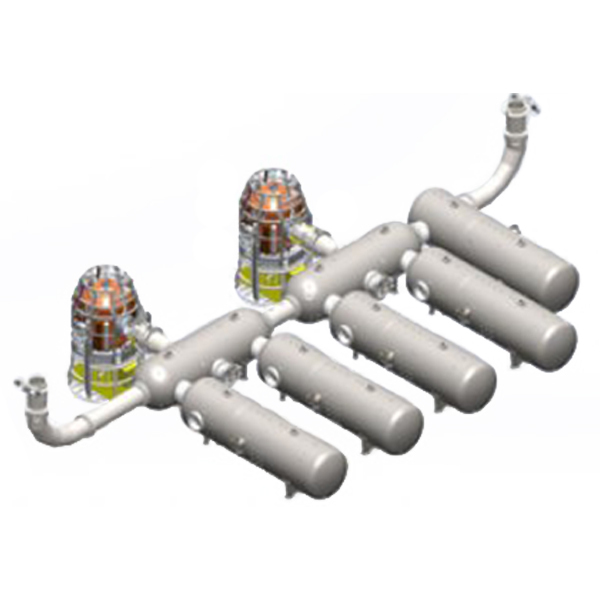 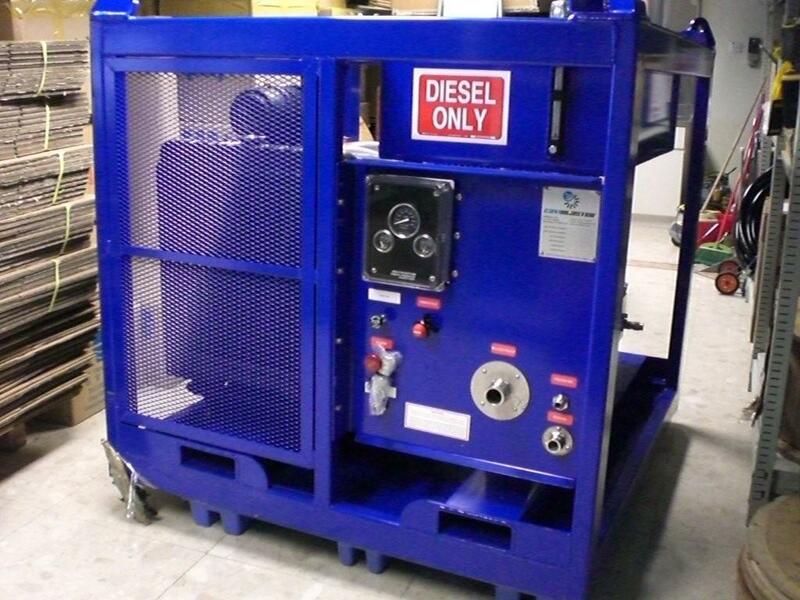 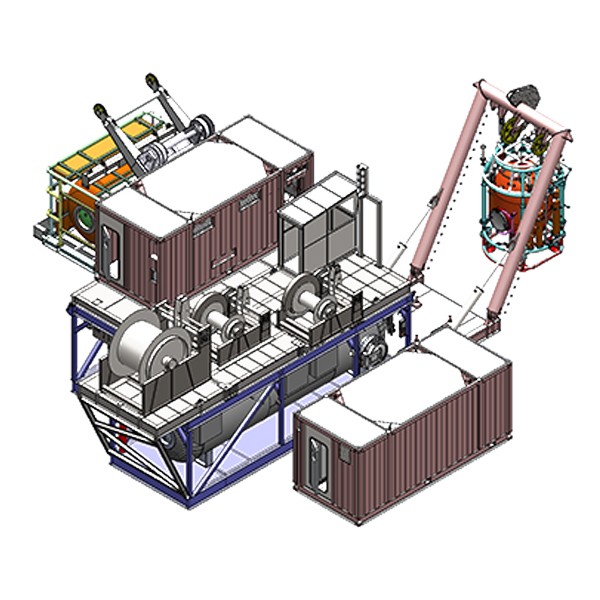 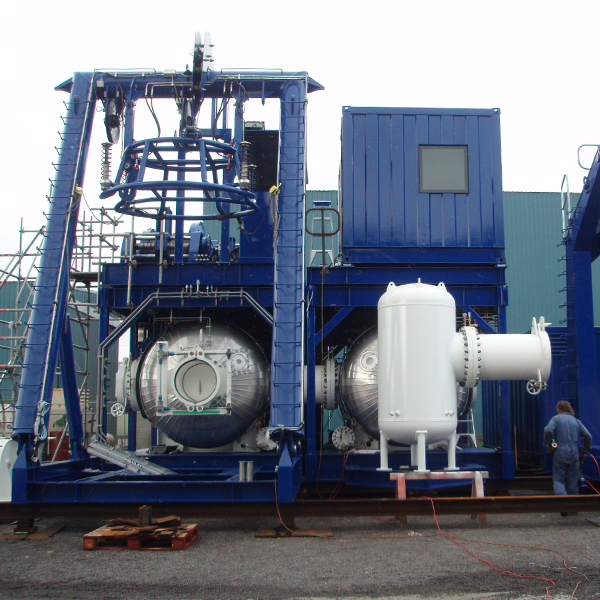 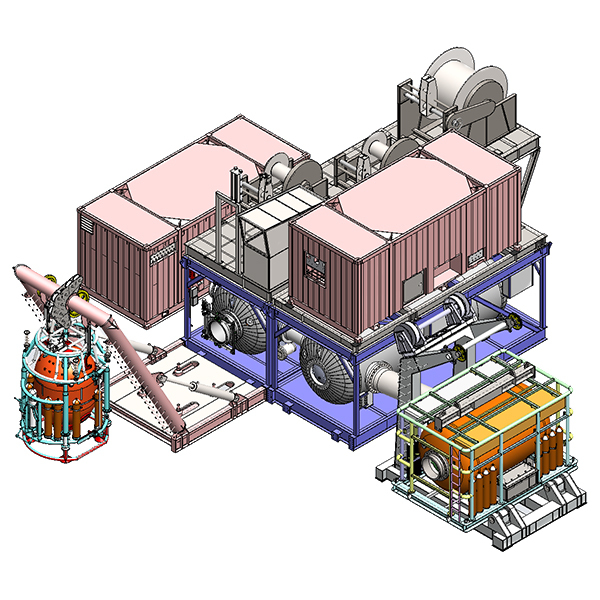 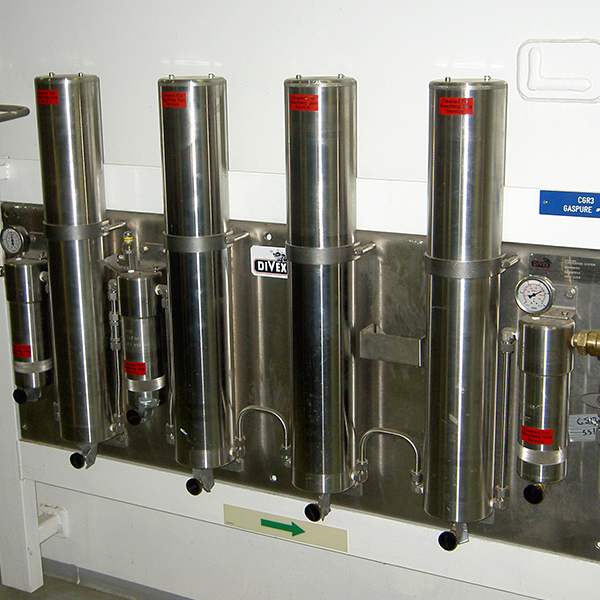 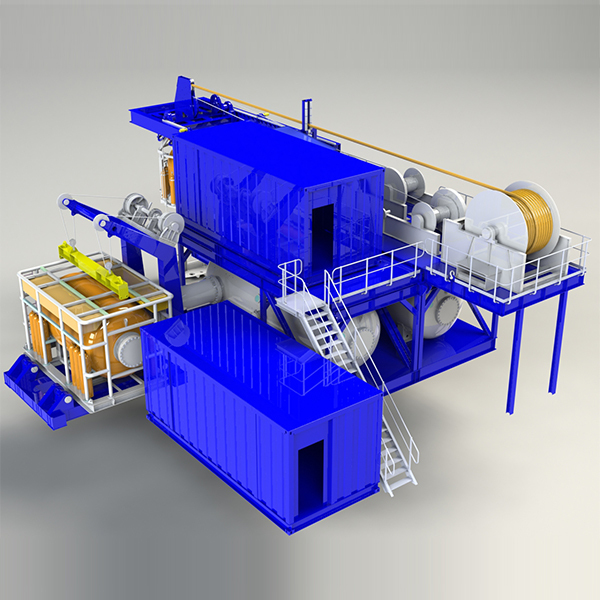 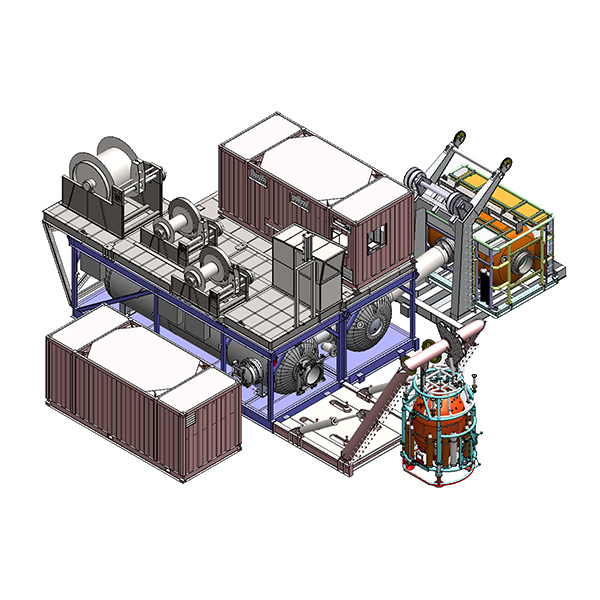 San-O-Sub is a well established manufacturer of all typed of gas handling equipment. 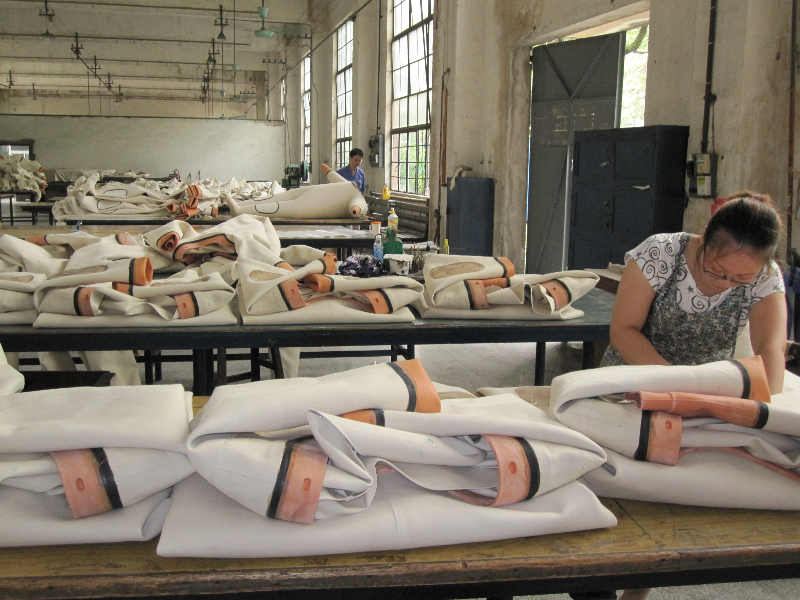 It is located in Milan and traces its history back to 1934. 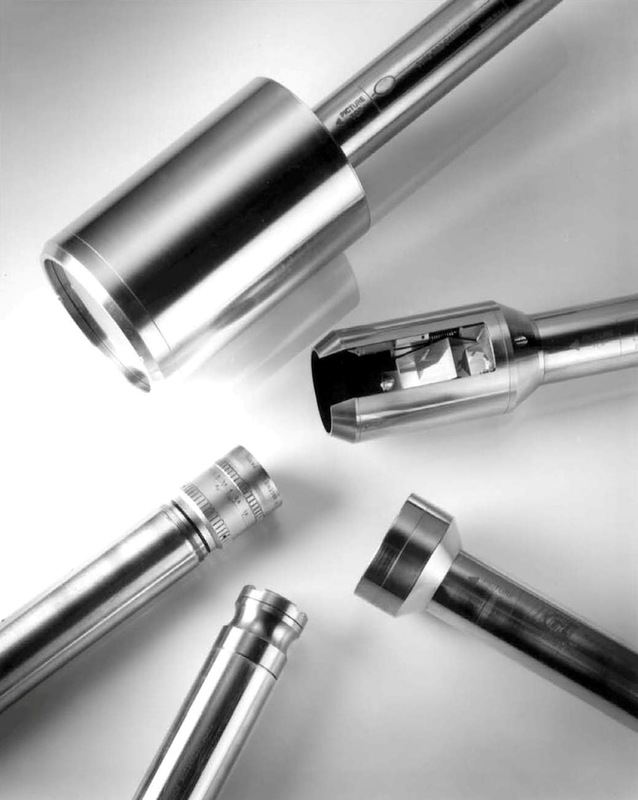 Ninety percent of valve bodies as well as additional component parts are manufactured in-house and each manufacturing stage is quality controlled following strict production procedures. 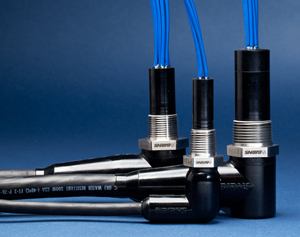 San-O-Sub can supply a wide range of valves and manifolds offering solutions to many connection problems. 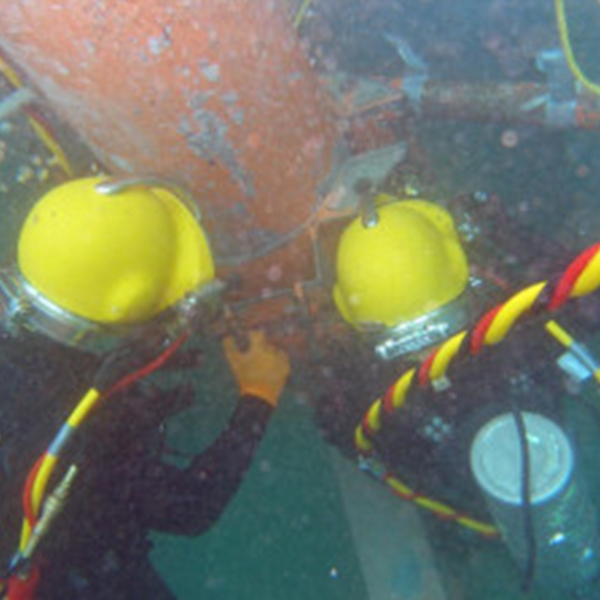 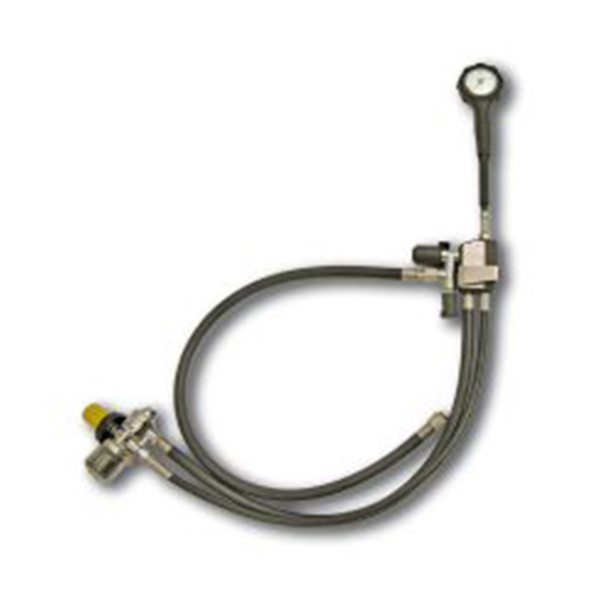 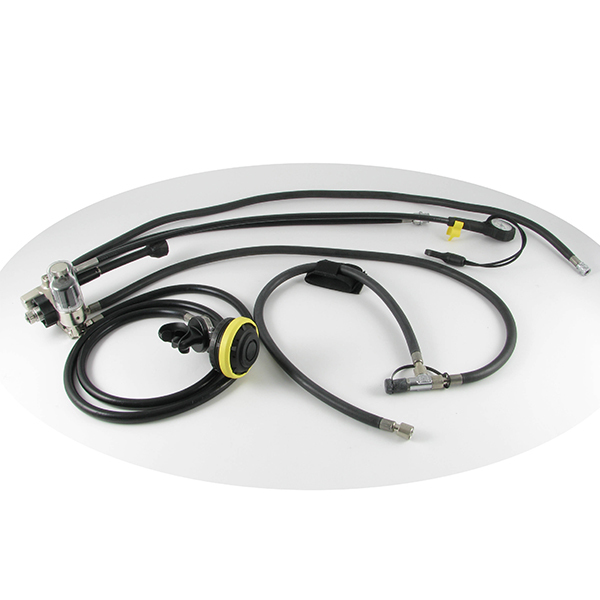 Birns Aquamate manufactures quality underwater electrical connectors, cable assemblies, and cable terminations for offshore diving, oceanographic, seismic exploration, and defense applications. 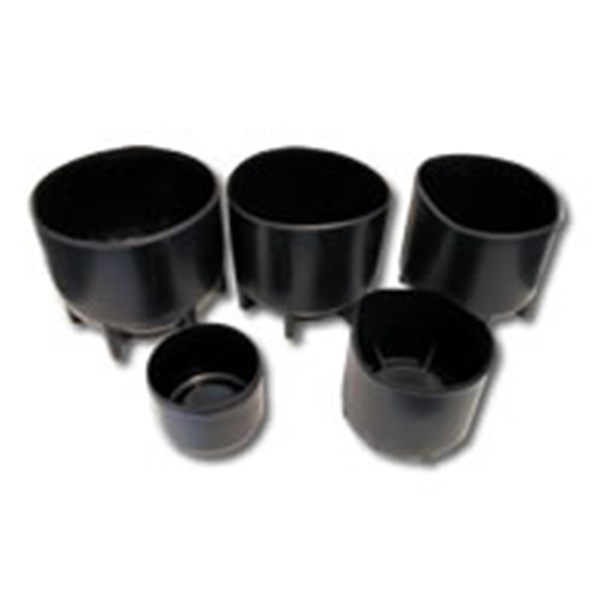 The company produces a wide range of standard industry connectors such as the 5500 Series, SC, MC, LP, FAWL/FAWM, and Rubber Moulded. 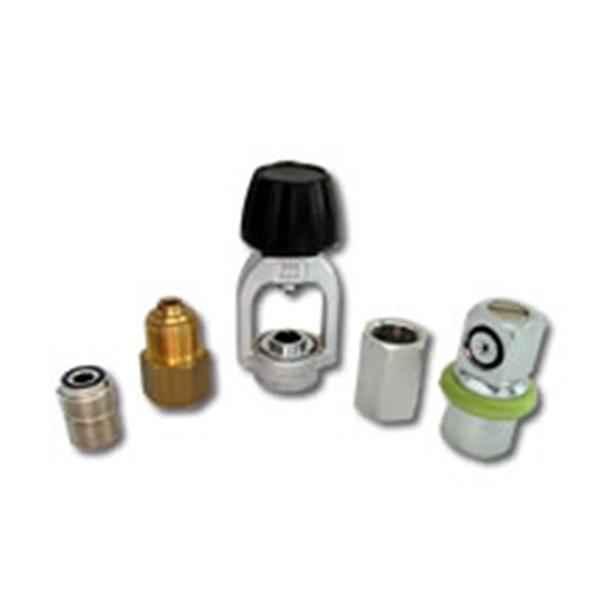 They are guaranteed fully compatible with other manufacturers. 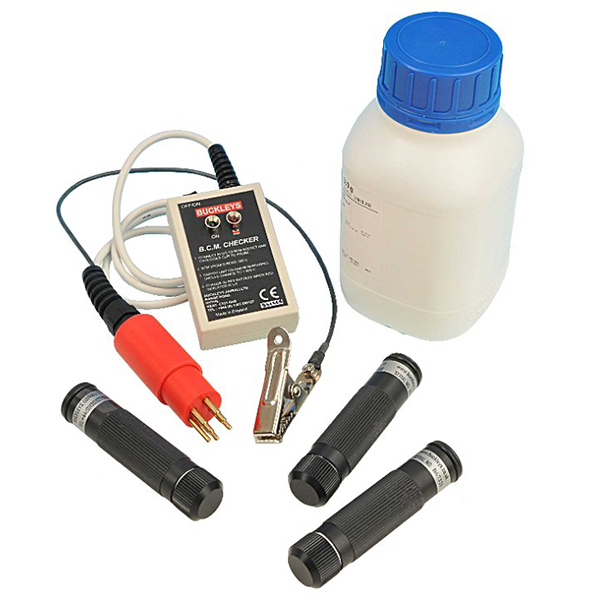 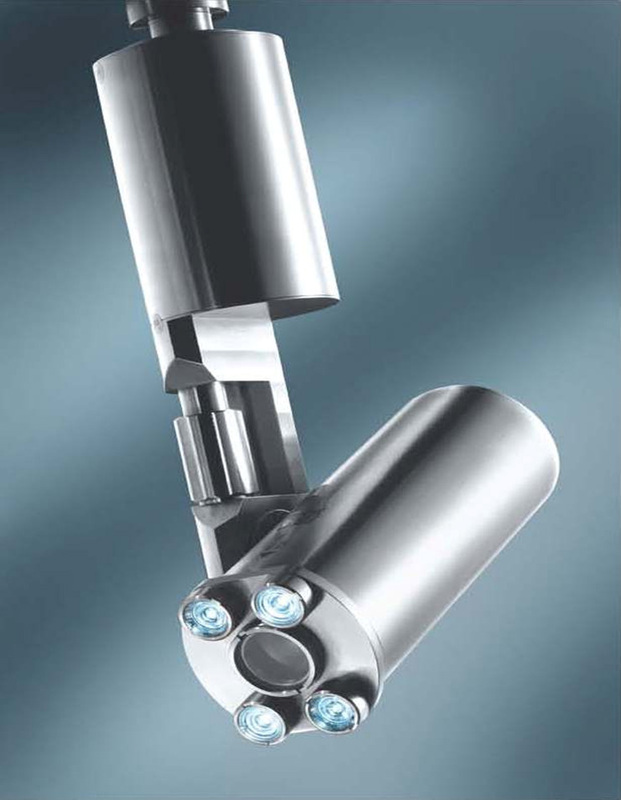 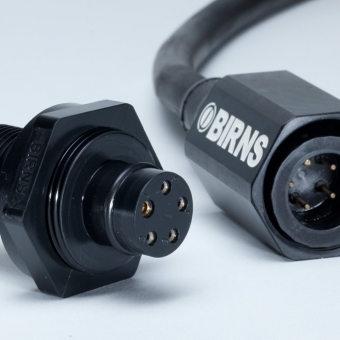 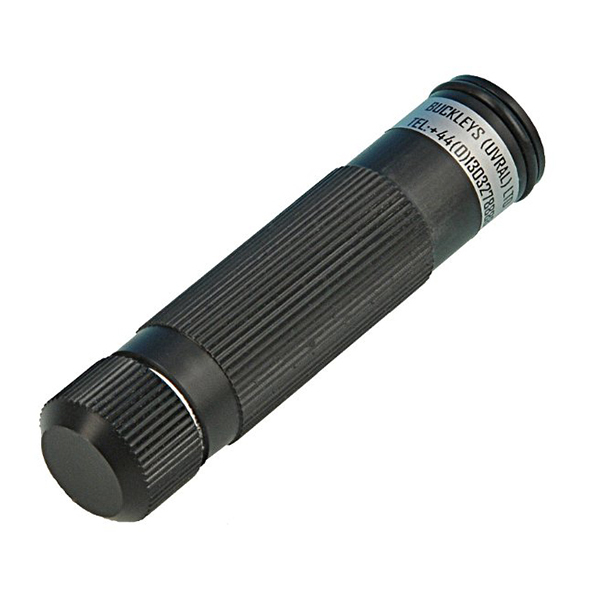 Birns Aquamate Connectors are excellent for medium power or signal use, or when weight and/or mechanical abuse are considerations. 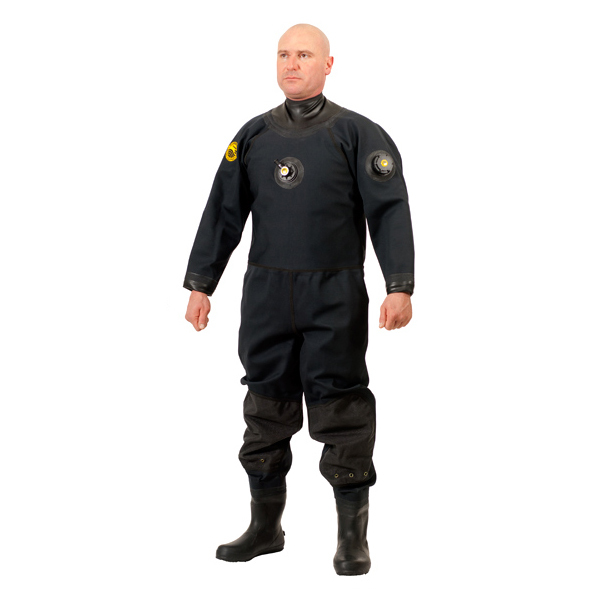 This rugged series is moulded of high-insulation neoprene that may be mated while wet or underwater. 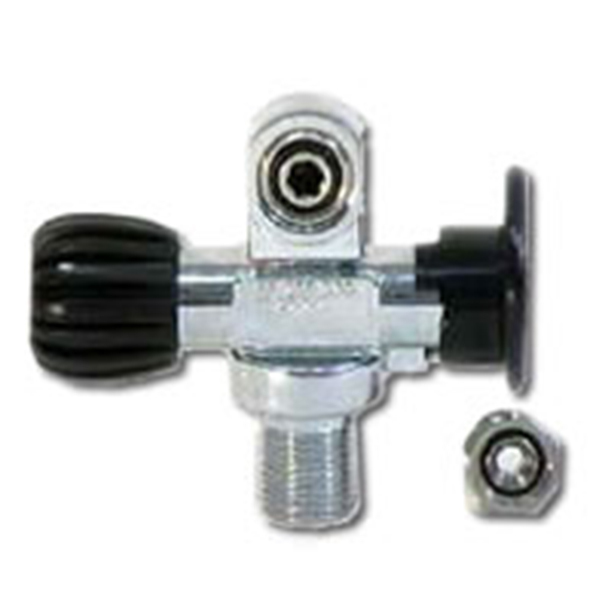 Aquamate connectors are also suitable for most non-magnetic requirements. 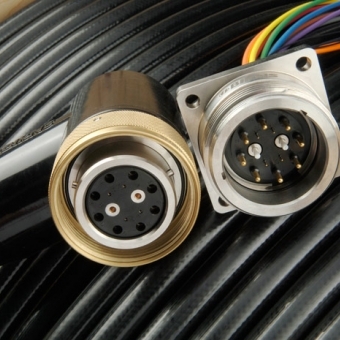 Circular and Low Profile formats are available, as are the Mini-Connector and Flat (FL) and FAWL designs. 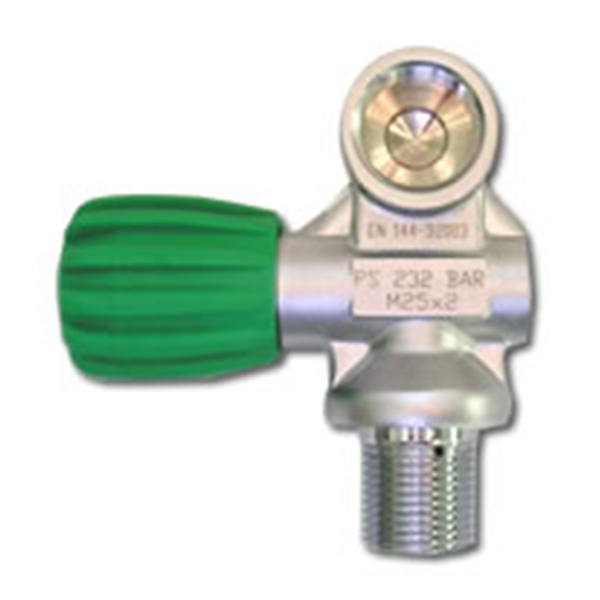 Male and female connectors are available in bulkhead and in-line configurations. 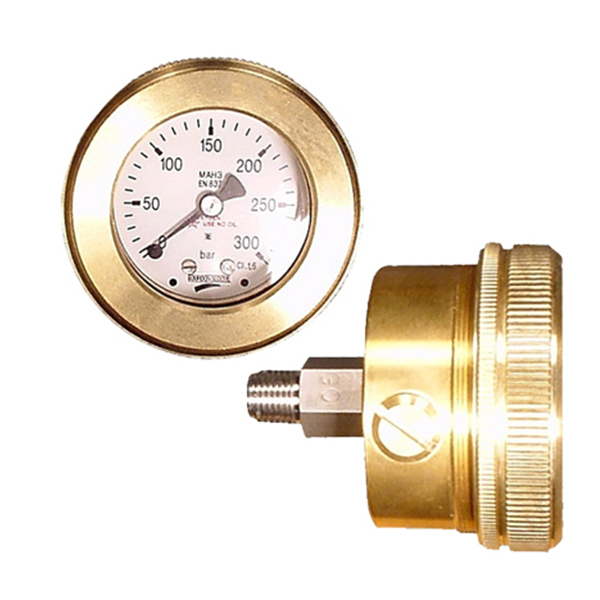 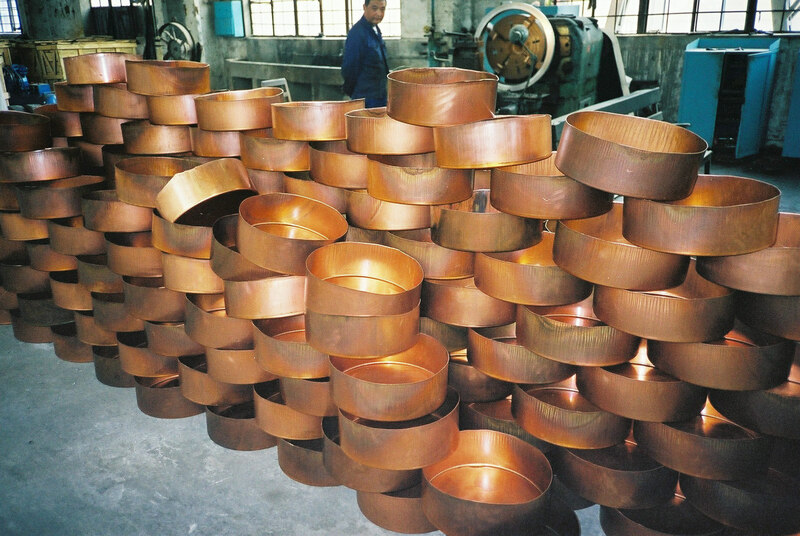 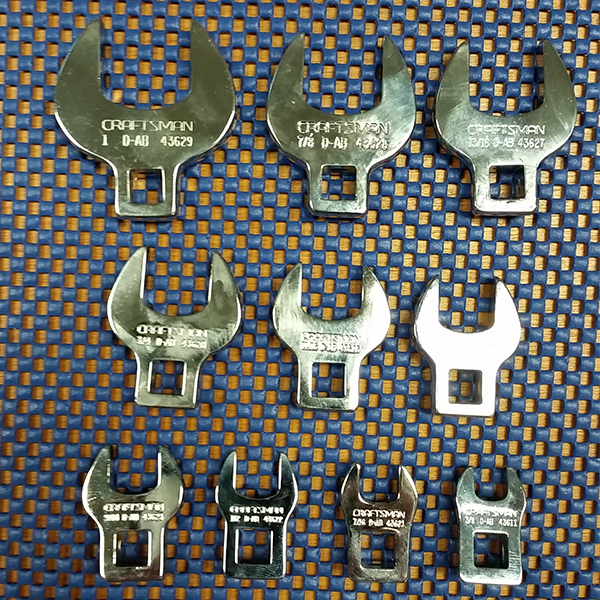 Heat-treated beryllium copper sockets, gold plating, and stainless steel bodies are standard; options include water-blocking and locking sleeves of durable Delrin or heavy-duty Stainless Steel. 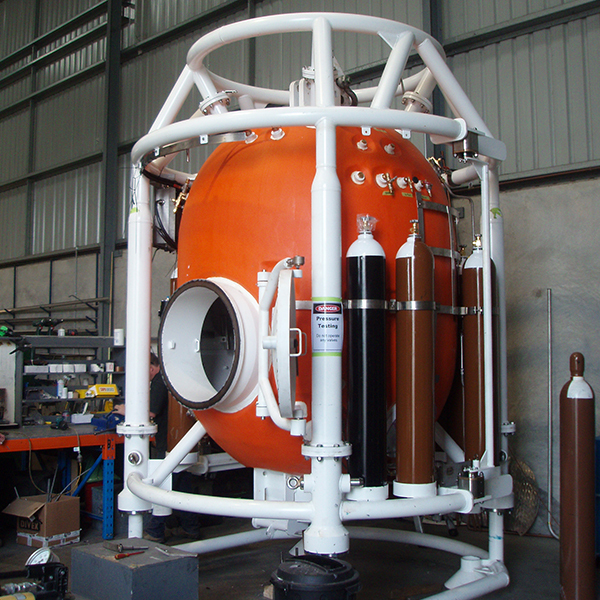 JFD in Perth, Australia is the base for the manufacture of portable saturation diving systems. 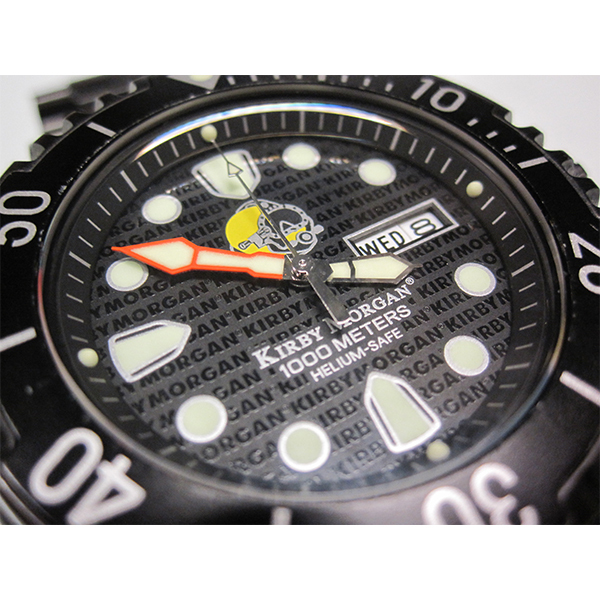 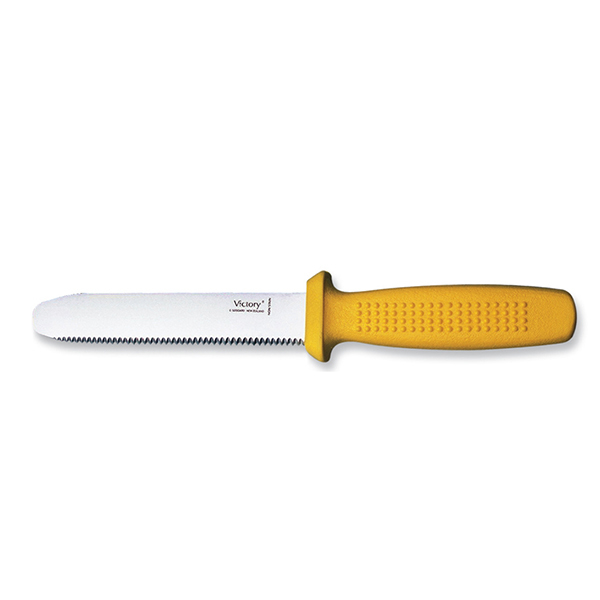 Victory Knives, New Zealand, are manufacturers of "Green River" diving knives. 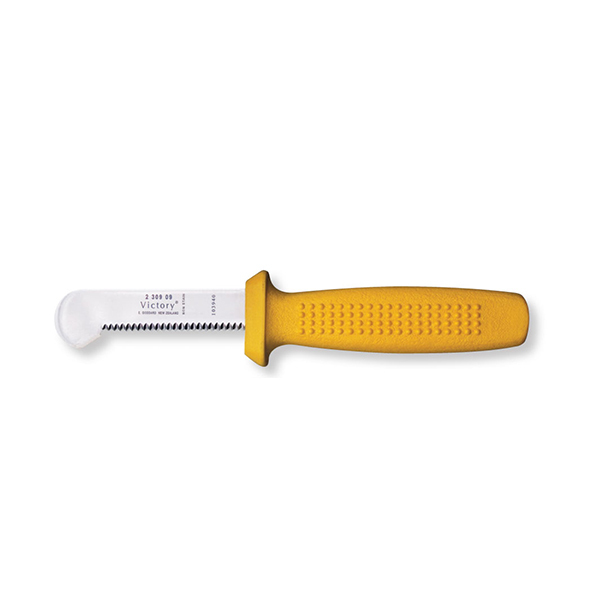 Victory are specialist knife manufacturers serving the meat industry - the most demanding market for quality and efficiency of knives. 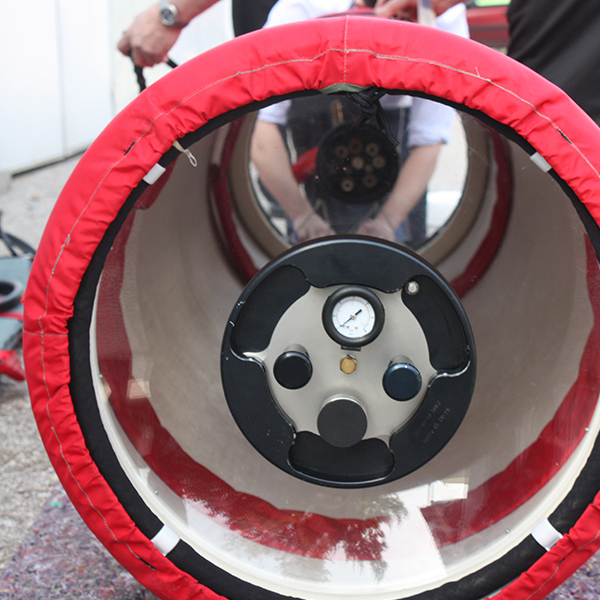 SOS Ltd. manufactures the Hyperlite hyperbaric stretcher, a folding portable pressure vessel suitable for HBO treatment and the transportation of a person under pressure. 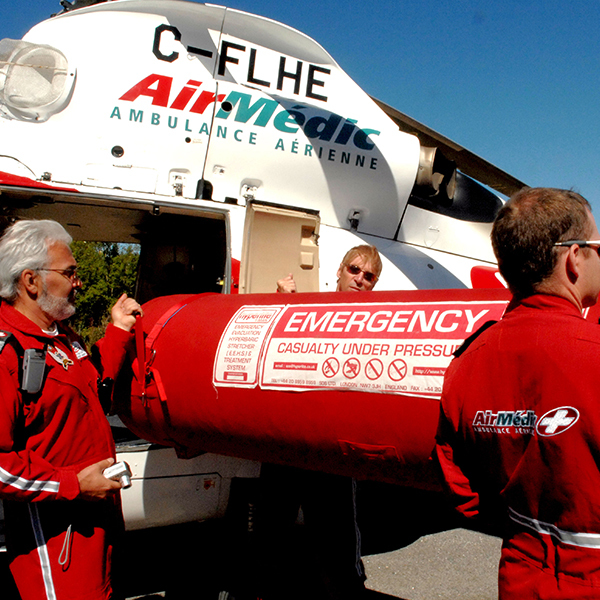 Hyperlite is quick to assemble and easy to use - at a remote site, during transportation to, or in a hospital. 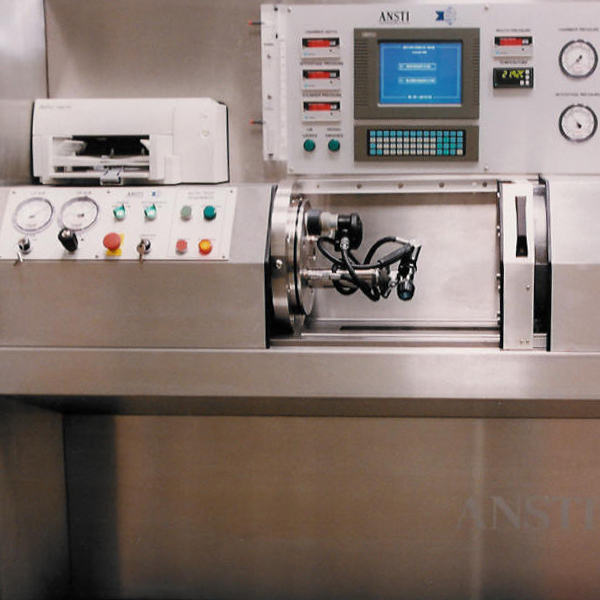 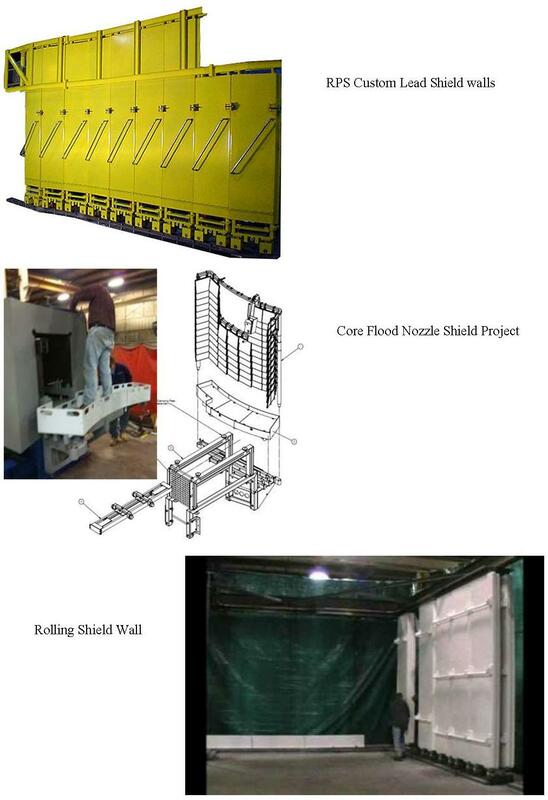 Built to ASME PVHO-1, Lloyd’s Register, BS EN ISO13485:2003 etc. 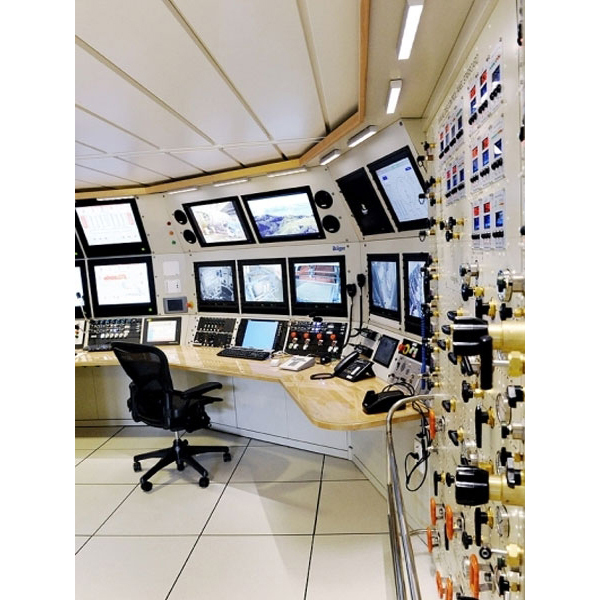 The Kongsberg Group is a high tech multinational corporation with 4,000 employees in more than 20 countries. 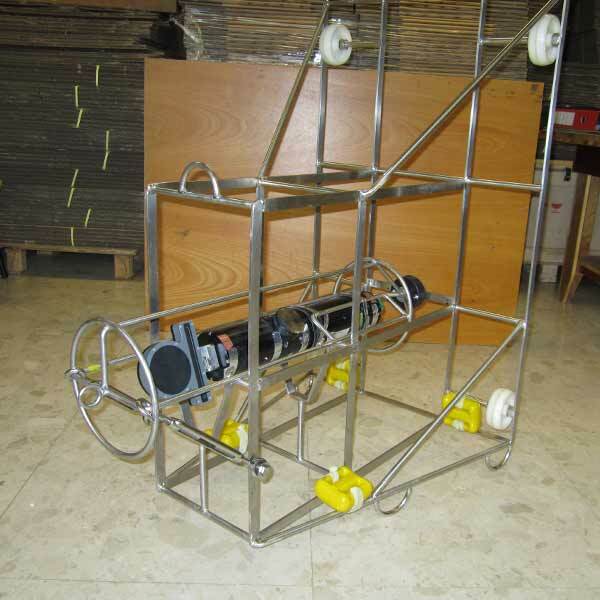 It is a leader in the field of equipment for hydroraphic survey, underwater positioning, swimmer and mine detection and imaging (T.V. 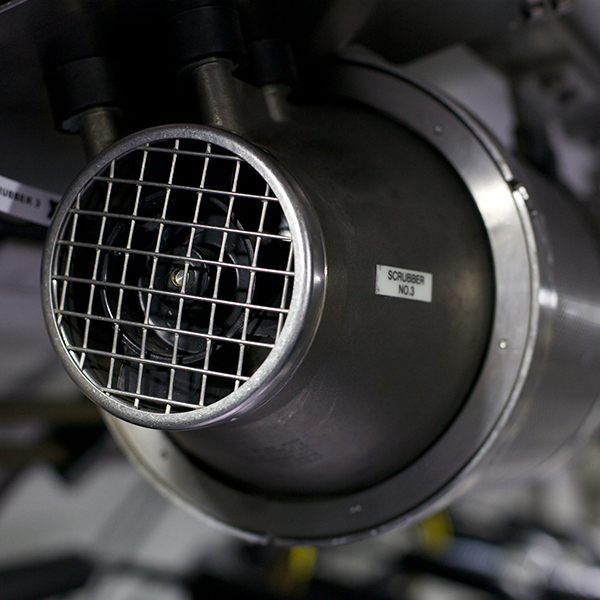 and sonar imaging). 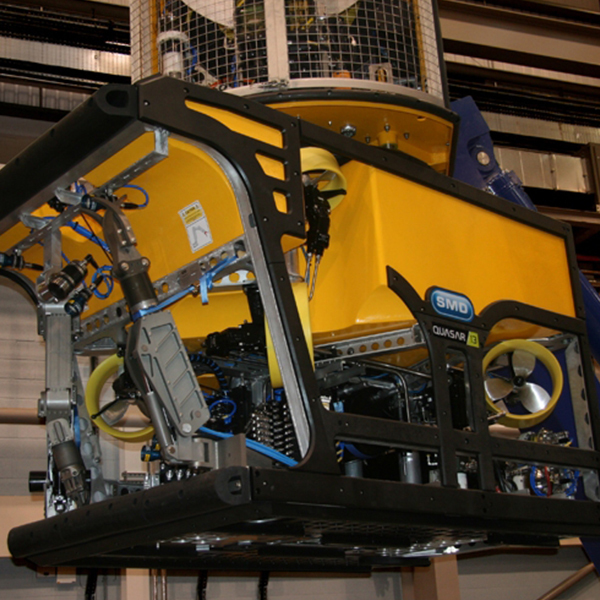 Kongsberg Mesotech pioneered the use of scanning sonar for underwater marine engineering applications. 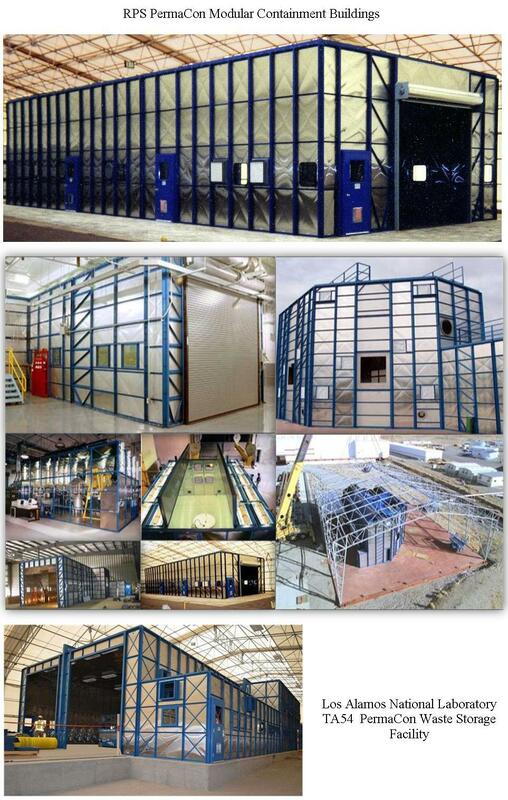 The company is a world leader in the development of products used for visualisation of underwater structures (bridges, docks, piers, dams etc.) 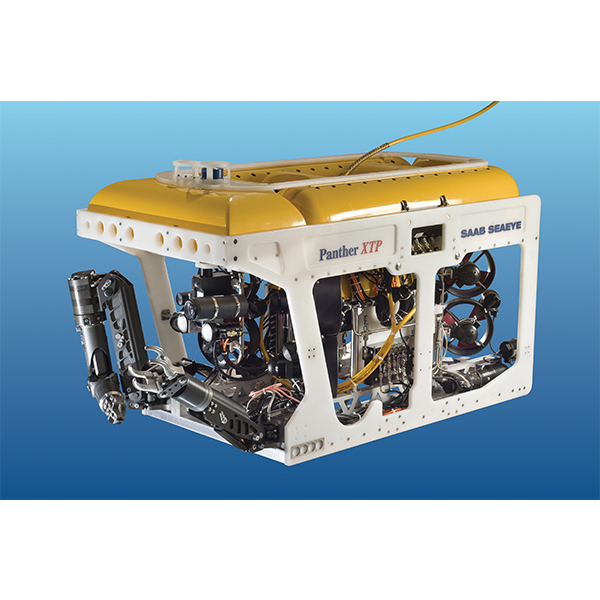 and using sonar to support a multitude of underwater construction applications. 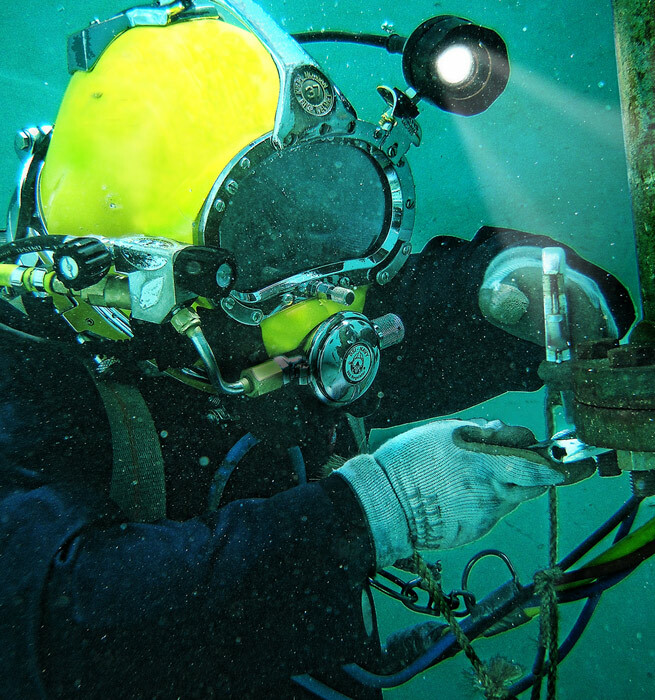 Underwater inspection of man-made structures is vital as they age. 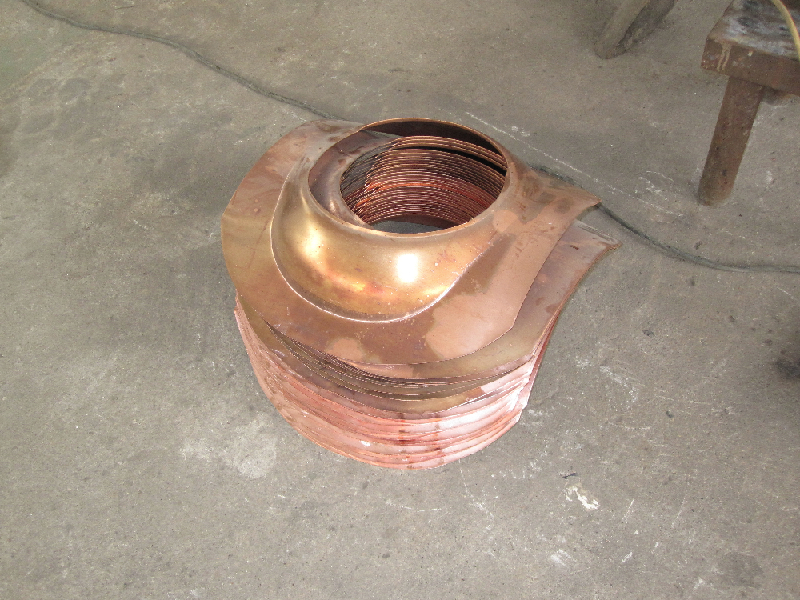 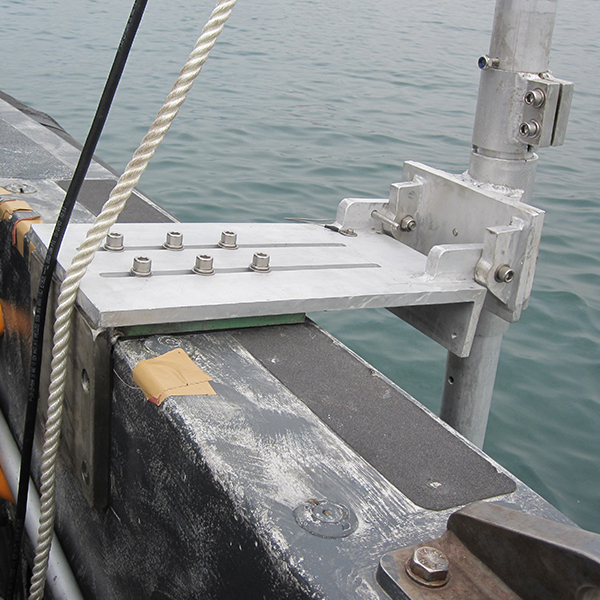 Water currents, corrosion and damage from storms and vessels may impact structural integrity. 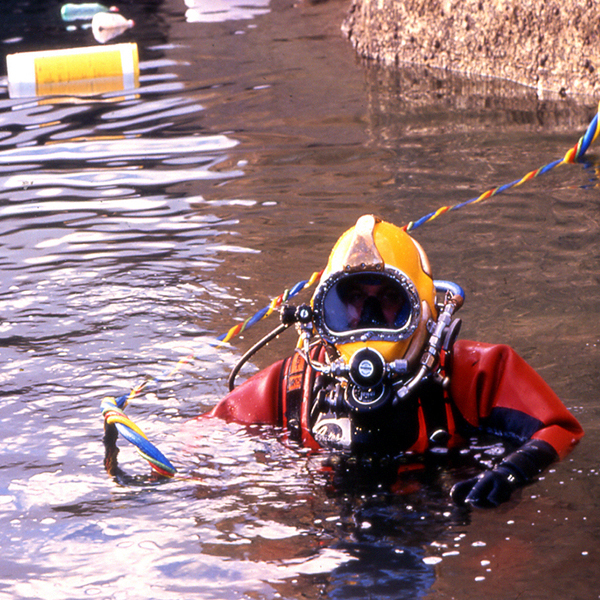 Diving inspections are often challenged by high current, deep water, lack of visibility and debris accumulation around the structure. 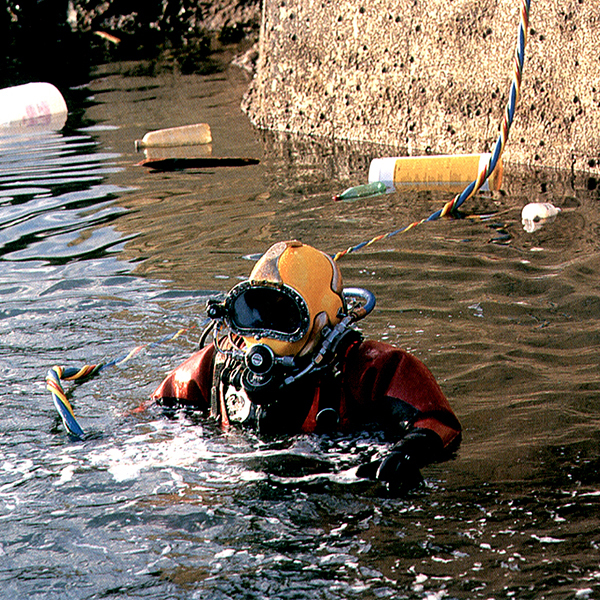 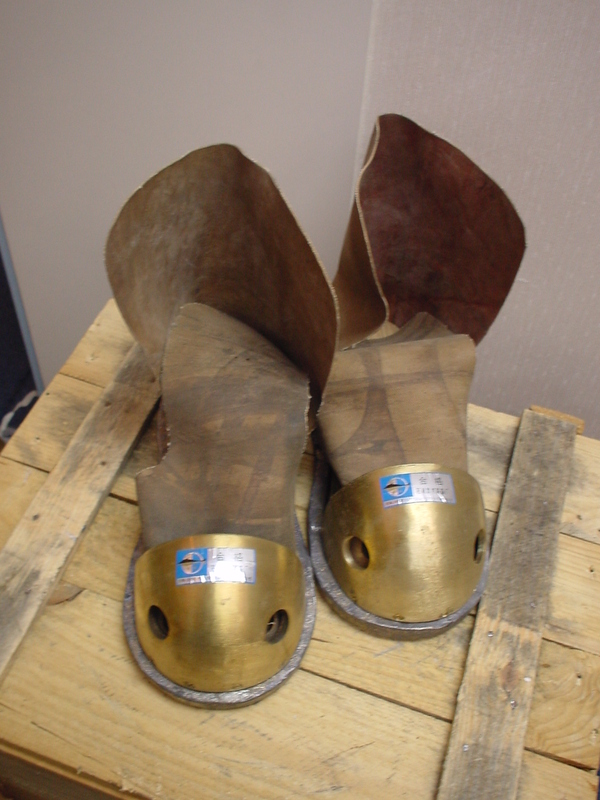 In addition to limiting the diver from completing a thorough inspection, debris build-up around bridge piers is potentially one of the most dangerous conditions the inspection diver faces. 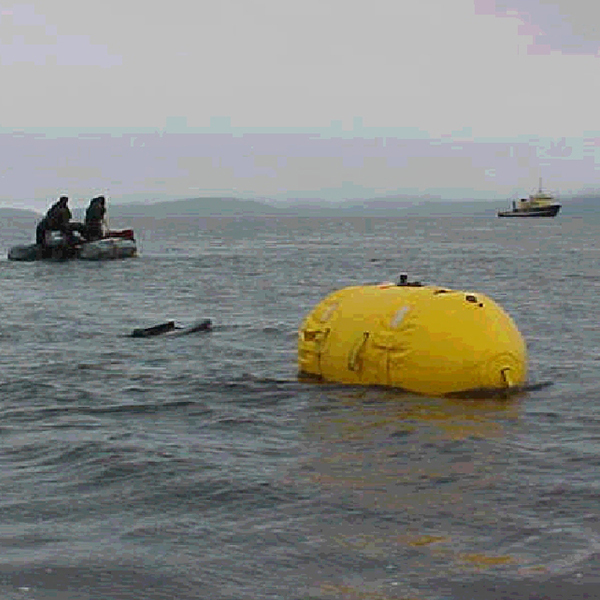 It introduces the possibility of entanglement, and even worse, diver entrapment if the debris moves. 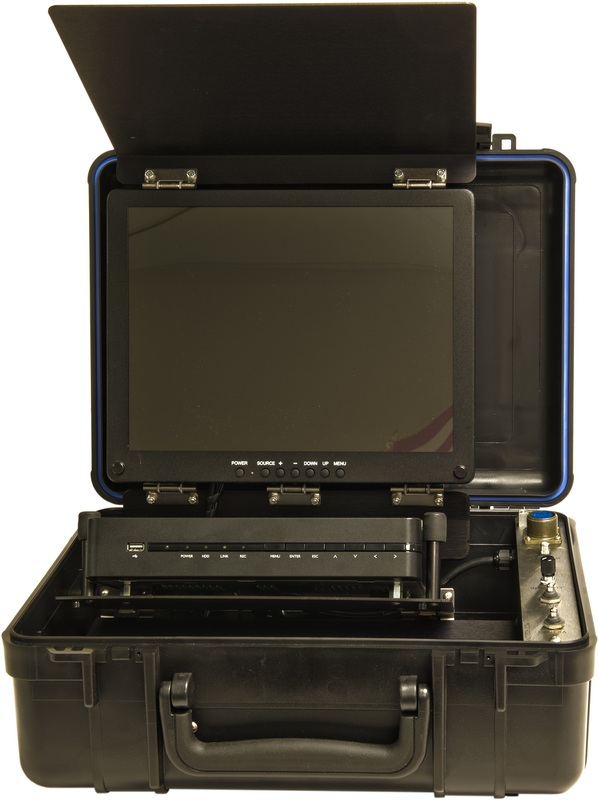 High resolution sonar provides superior quality data, and the compact size and portability of the sonar enables quick, frequent monitoring and lower costs. 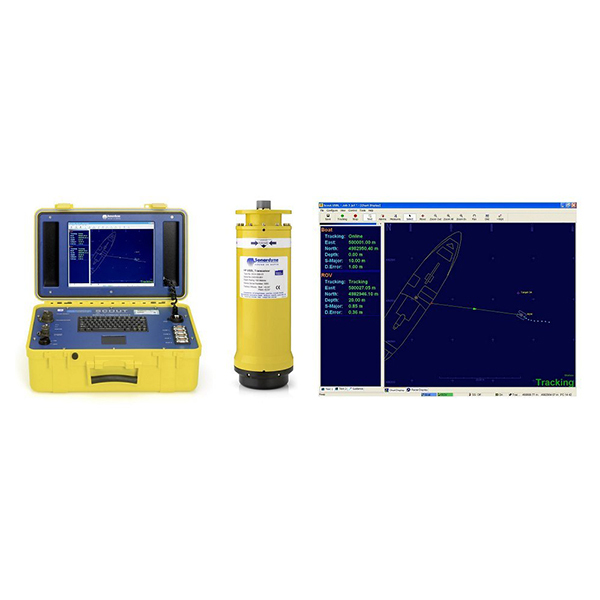 The Kongsberg Mesotech scanning sonar and MS 1000 processing software system is ideal for underwater engineering, search and surveying applications. 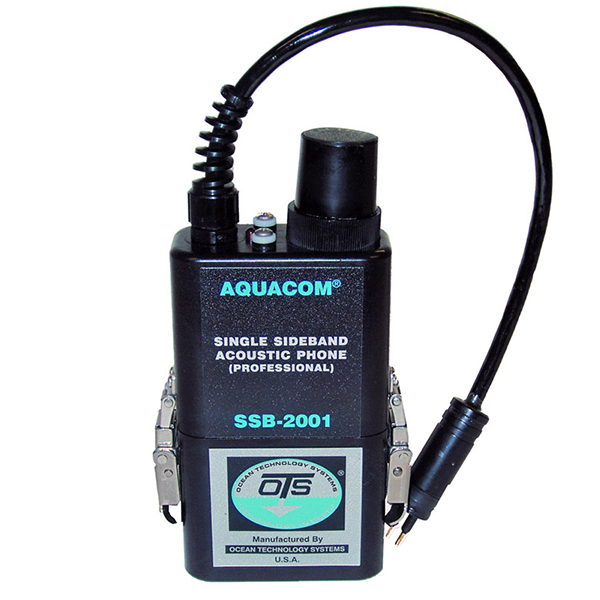 Single-beam sonars use a single transducer to transmit and receive acoustic energy signals, or "pings". 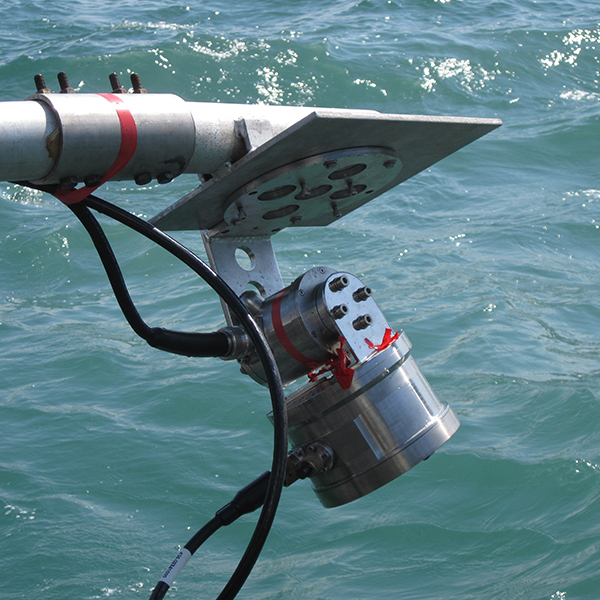 There are two types of single-beam sonar, profiling and imaging. 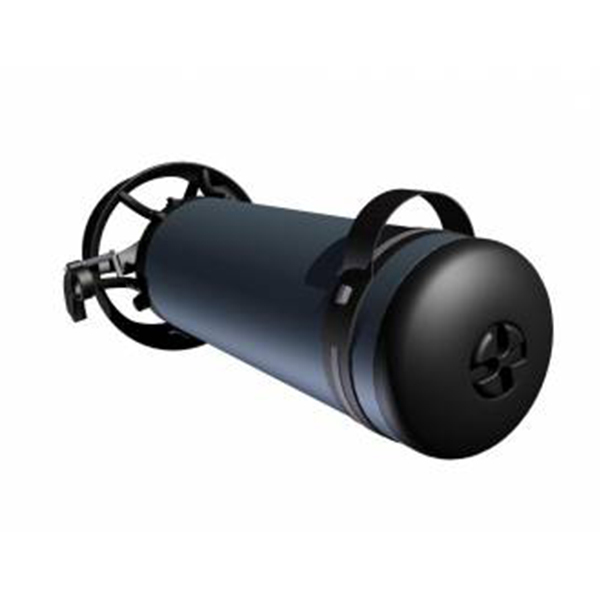 Imaging sonar is primarily used for visual interpretation and uses a fan-shaped acoustic beam to scan a specified area or target. 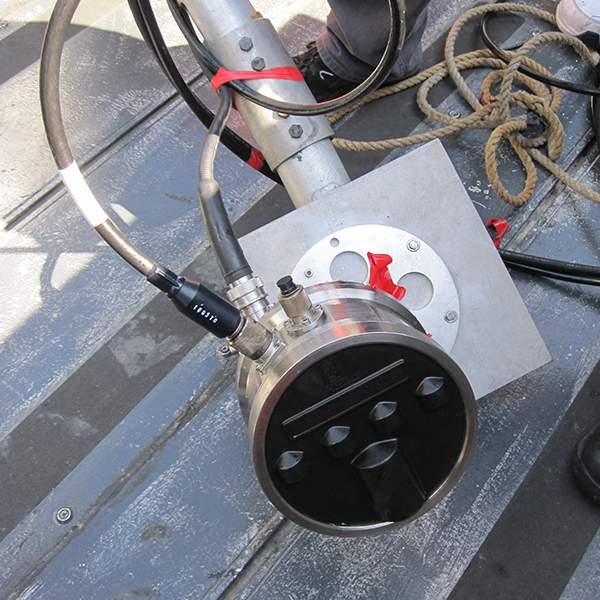 Profiling sonar is primarily used for quantitative measurements where a narrow, conically shaped beam generates a single point for each ping. 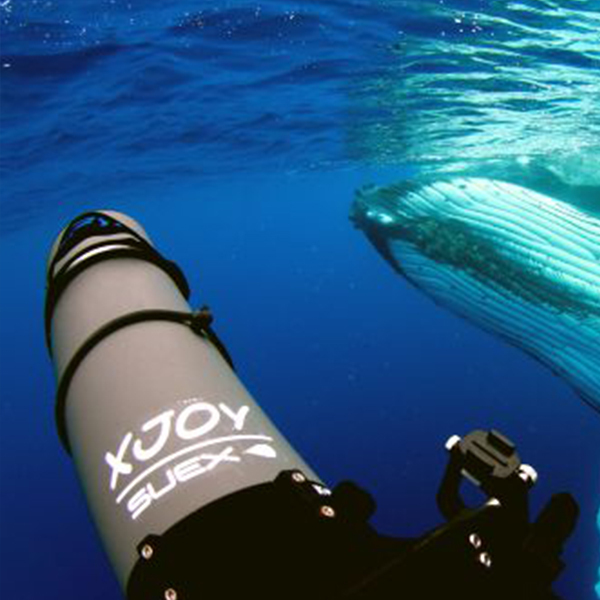 With single-beam scanning sonar, the smaller and narrower the horizontal beam, the better the resolution. 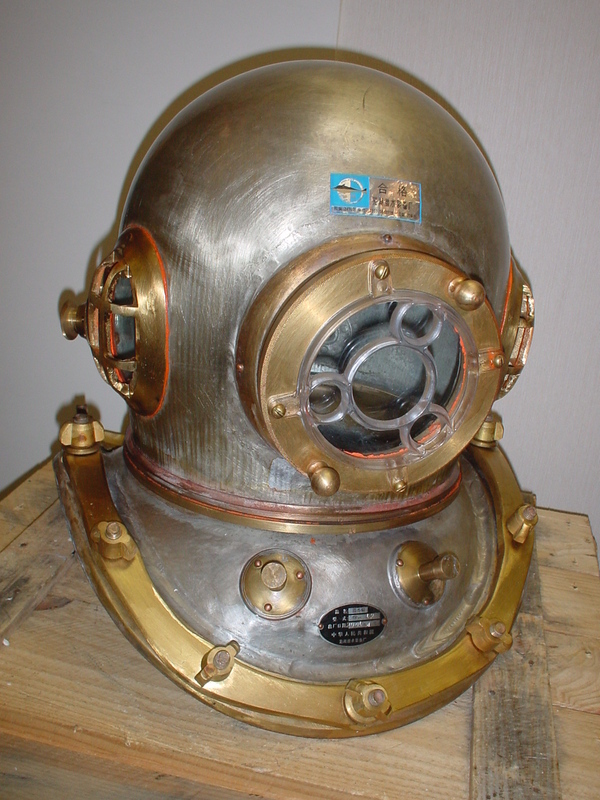 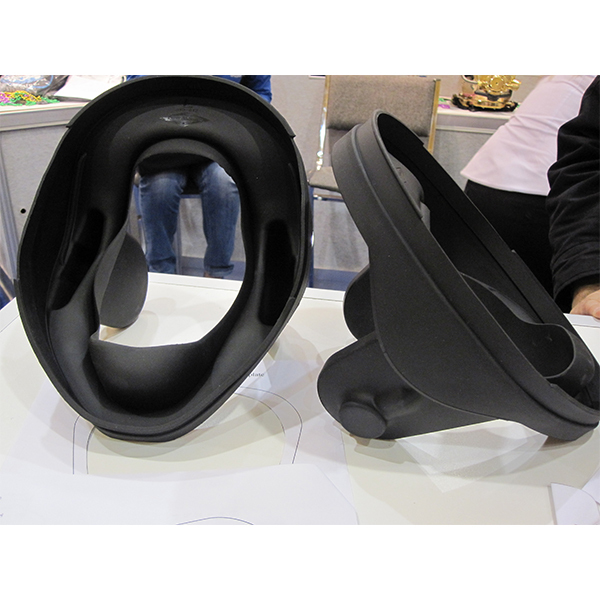 There are two versions of single-beam sonar heads: high-resolution and domed. 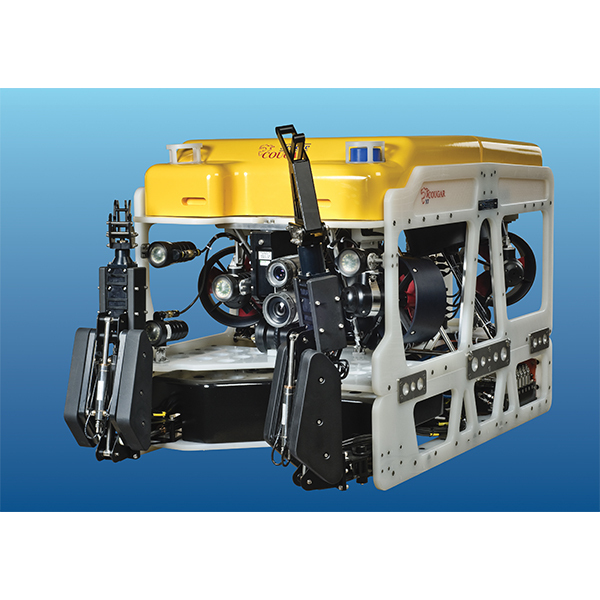 The M3 Sonar is a 2D multibeam system with imaging and profiling capabilities. 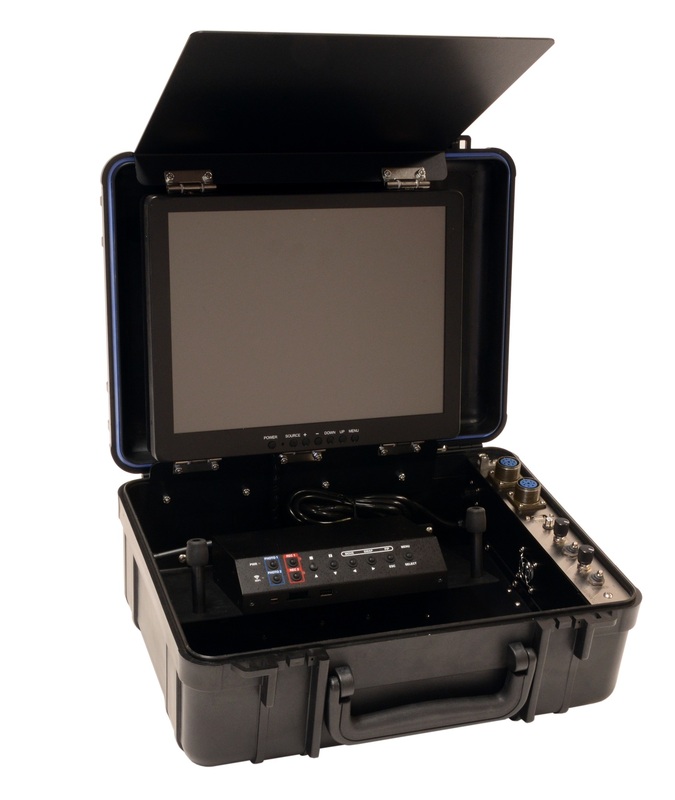 The M3 Sonar provides high resolution and easy to interpret images by combining the rapid refresh rate of conventional multibeam sonar with image quality comparable to a single beam sonar. 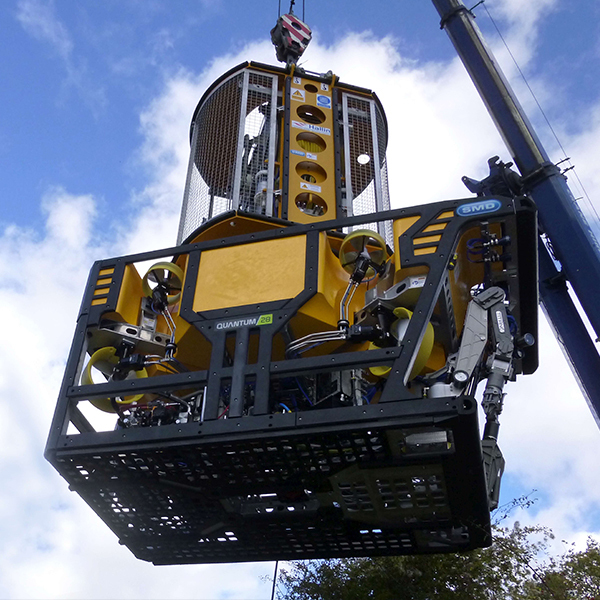 Detection of small objects out to 150 metres combined with a 120° to 140° field of view allows the operator to see the complete underwater picture in real-time. 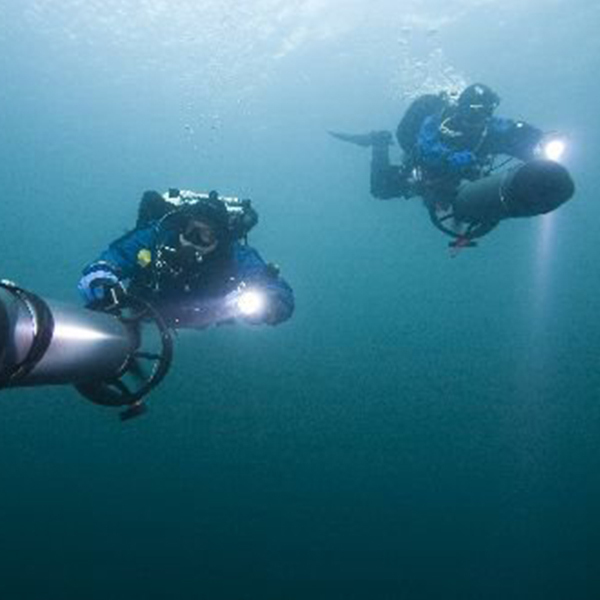 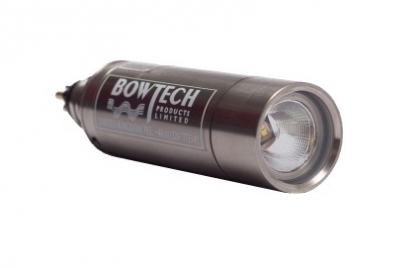 Teledyne Bowtech are an Aberdeen based innovative company, exploiting the latest developments in CCTV capture and recording technology, adapting them for the deepest and harshest marine environments. 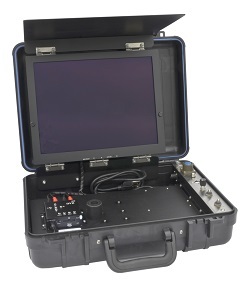 The very extensive Teledyne Bowtech range encompasses micro, miniature, compact, ultra low light and full HD cameras. 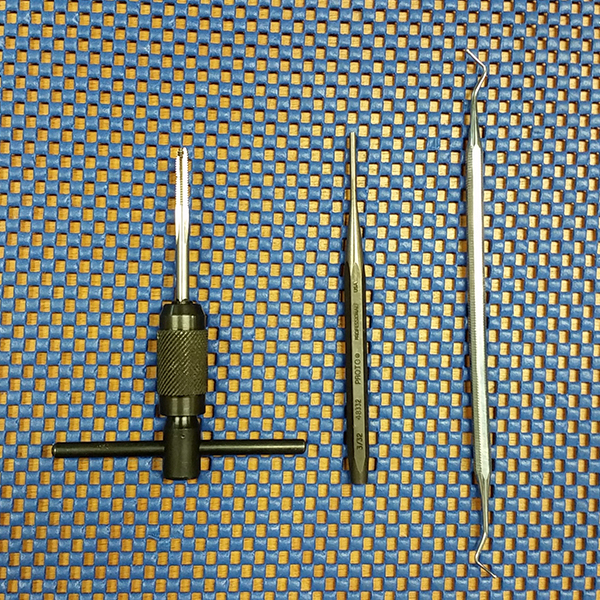 Here are just 3 examples. 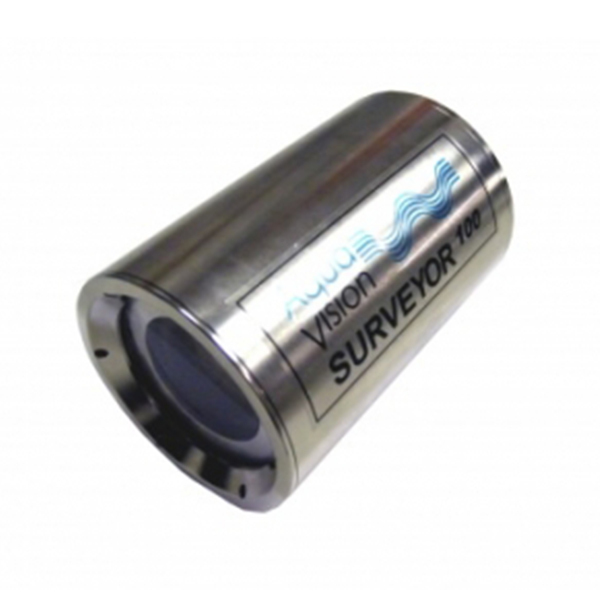 The SURVEYOR-100-HD underwater colour zoom camera utilises Sony’s latest ExView HAD™ CCD technology, delivering exceptional picture quality with a 36:1 optical zoom lens, as well as a horizontal resolution of 800 TV lines and all within a 100 metre rated, high quality stainless steel housing, with a non-browning fused silica Spectrosil® window. 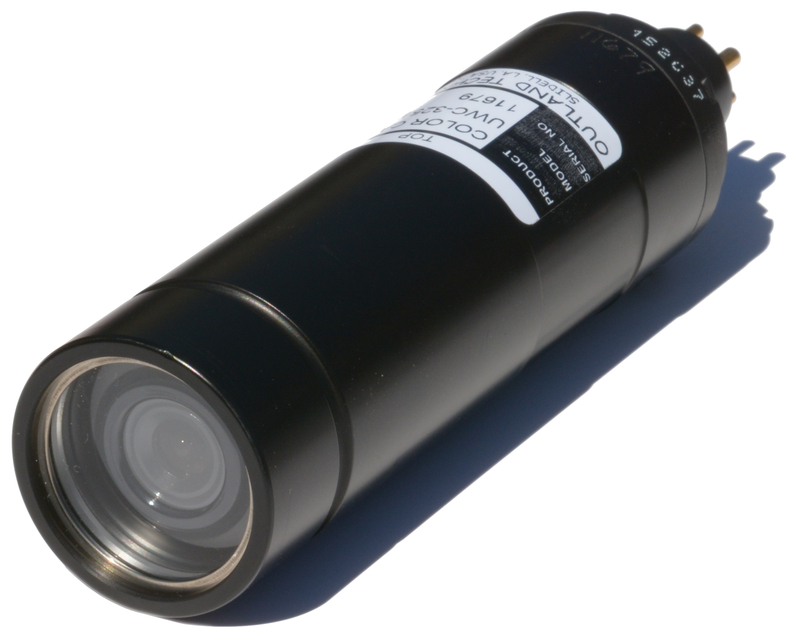 The DIVECAM-720 miniature high resolution underwater colour CCD camera, provides a low cost solution to shallow underwater viewing and observation to 100 metres. 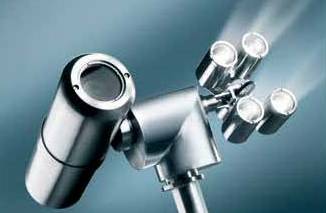 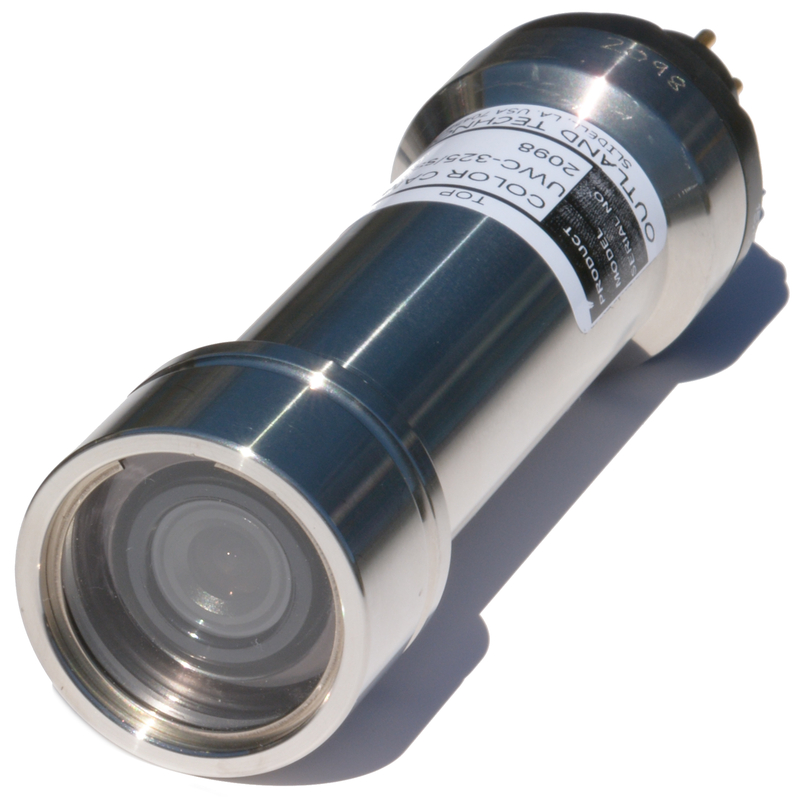 The camera is manufactured with a high quality alumimium housing rated to 100 metres operating depth as standard and with a 300 metre option. 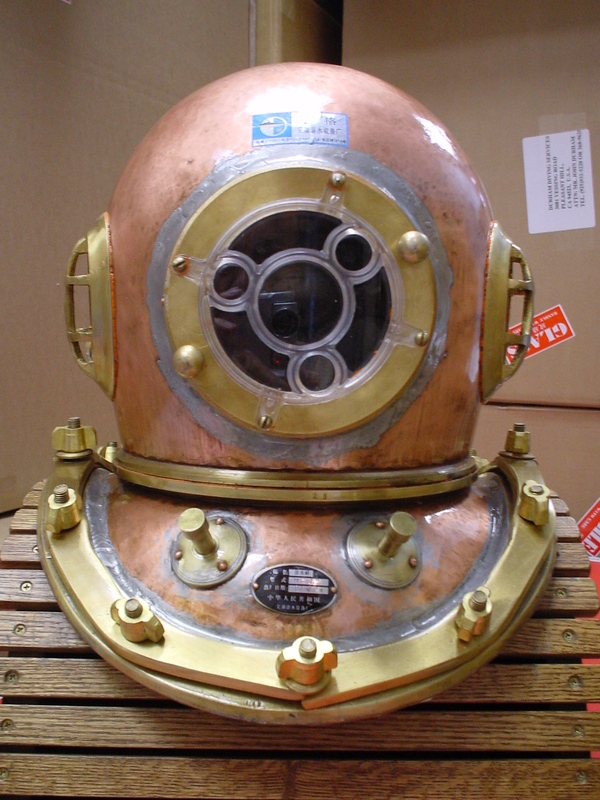 It has a fitted with a fixed focus wide angle lens giving a diagonal field of view of 65° in water through the acrylic window. 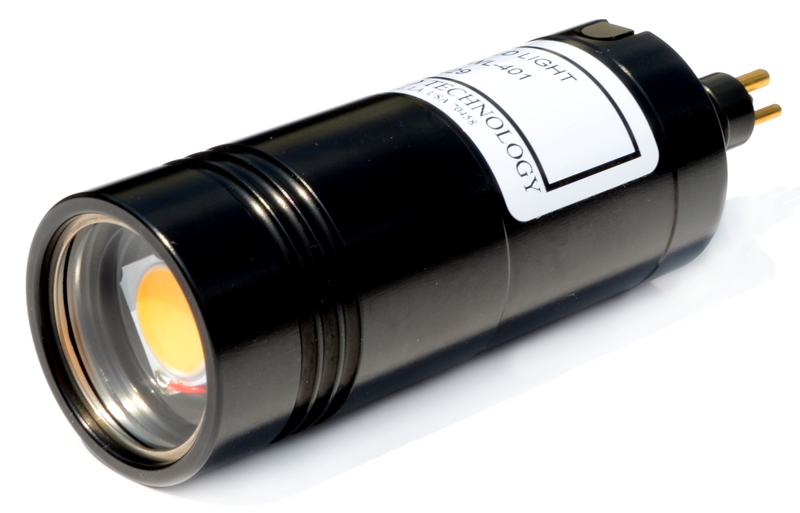 The L3C-400-MICRO with integral LED's is the tiniest camera in the range. 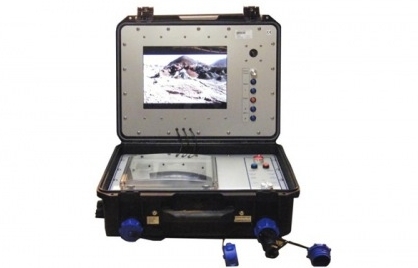 It provides an extremely compact solution to viewing in restricted spaces. 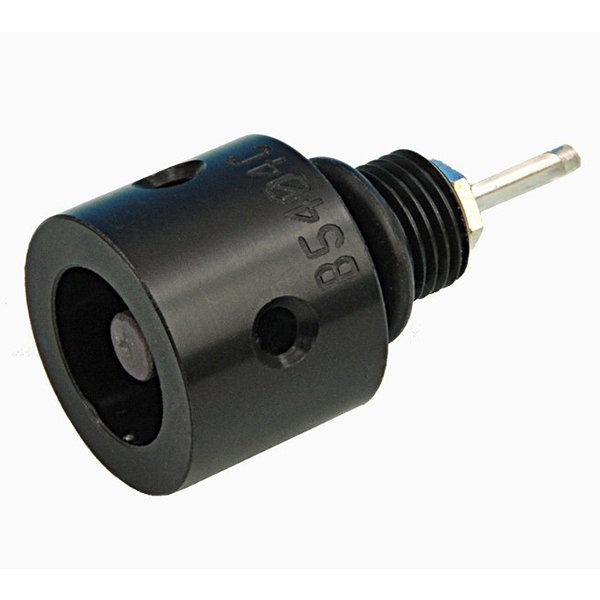 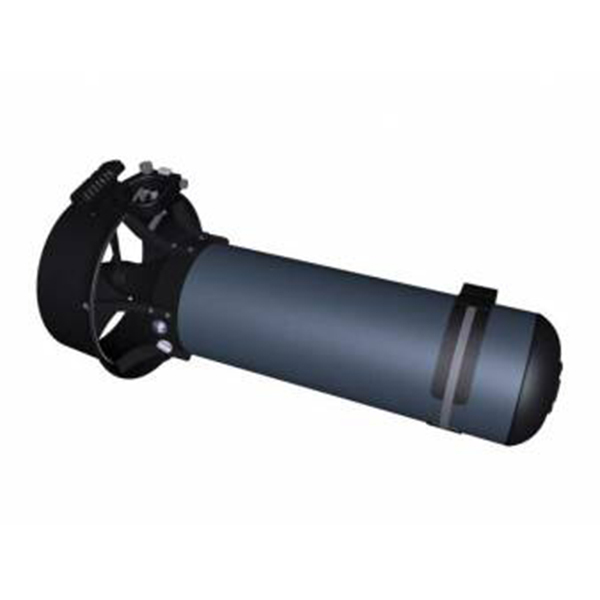 The camera is manufactured with a high quality grade 5 titanium housing measuring only 10.80mm diameter and 42mm in length (excluding connector) and is rated to 6,000 metres operating depth. 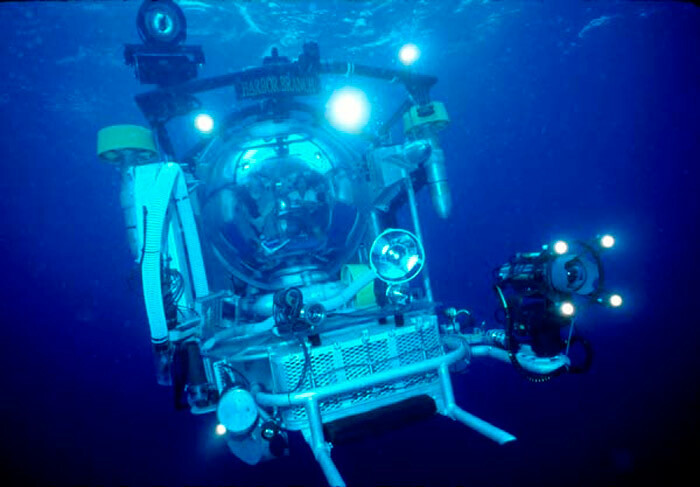 It is fitted with a fixed focus wide angle lens giving a diagonal field view of 45°Ø in water through a sapphire window. 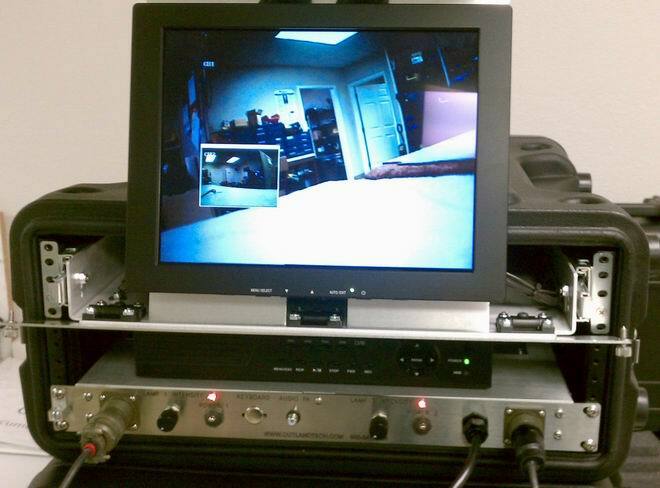 The camera also features built-in reverse polarity and surge protection. 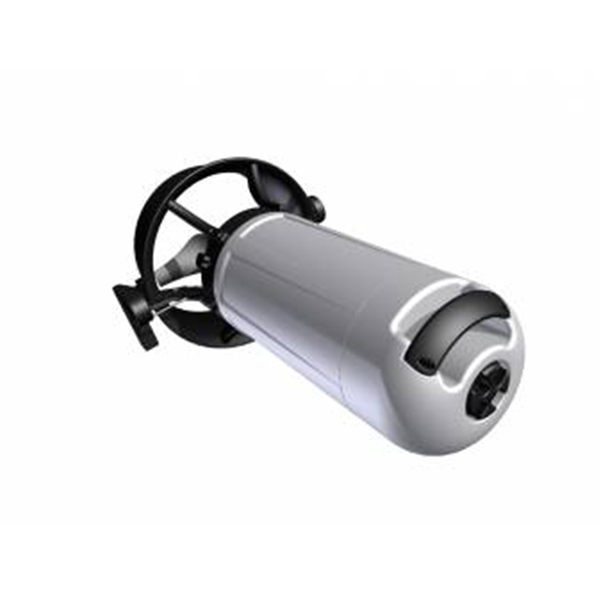 The image quality that emanates from this micro camera is astounding and will permit underwater viewing tasks never previously considered possible. 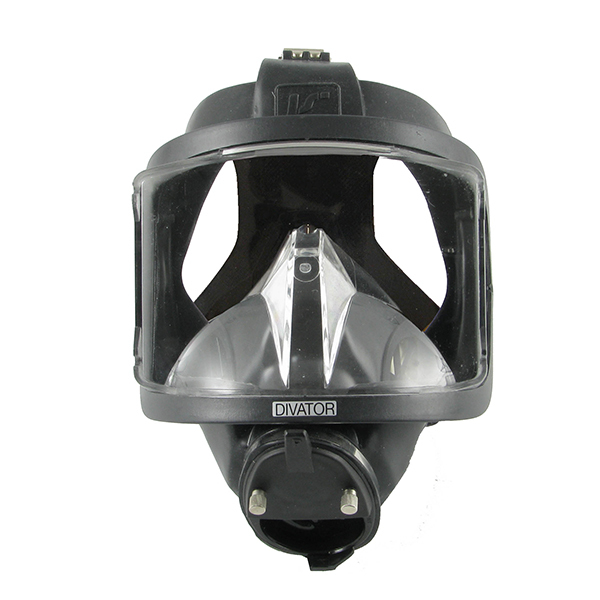 The range includes chamber lights, compact helmet lights, T.V. 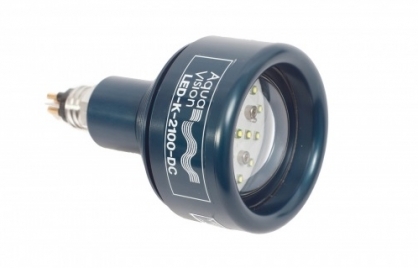 lights for divers and ROV's and ultra powerful 20,000 lumen flood lights for special underwater tasks. 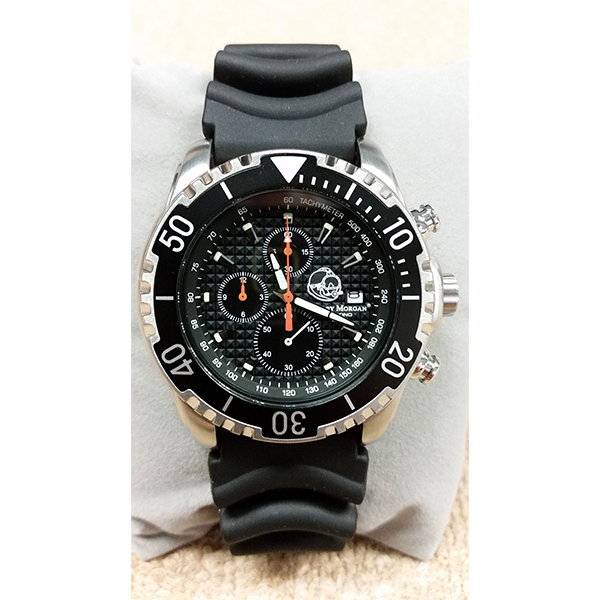 Outland Technology Inc. was established in Gretna, Louisiana in 1984. 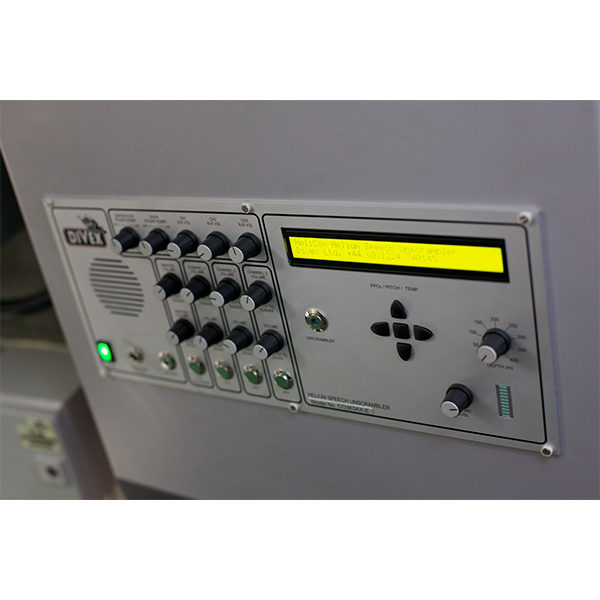 From inception the company's goal has been to design and manufacture a broad range of high quality video and audio products using high volume components - this helps to keep their products very competitively priced. 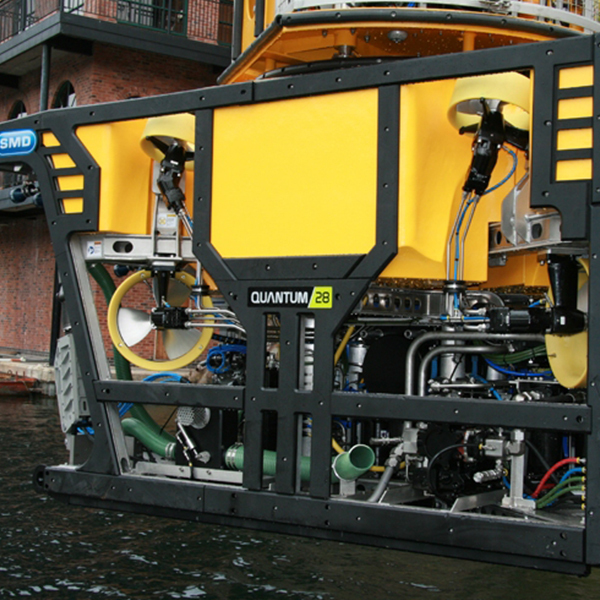 Outland enjoy a technical challenge and will also custom build equipment for specific applications. 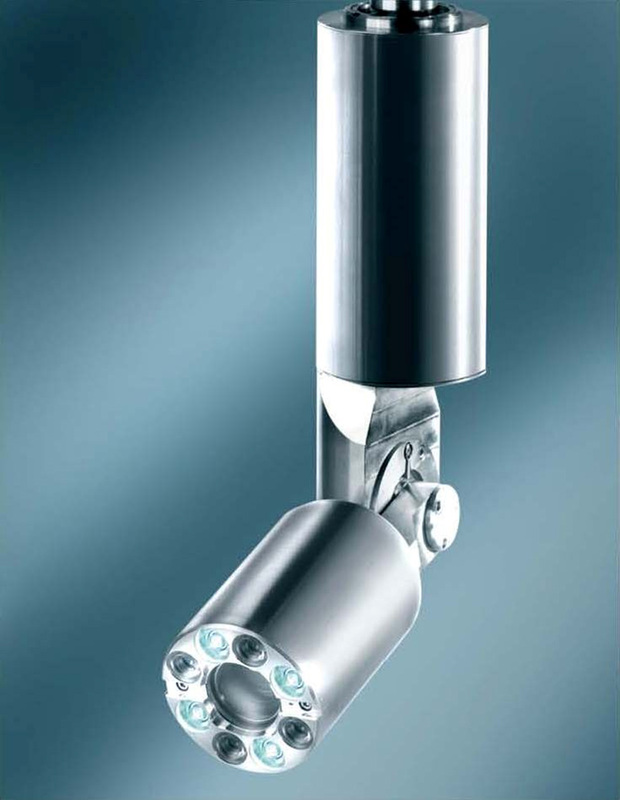 Three models of LED light and one halogen: UWL-401 (equal to 200w halogen); UWL-400 (equal to 400w halogen); UWL-500 (equal to 400w halogen); and UWL-300 35w halogen. 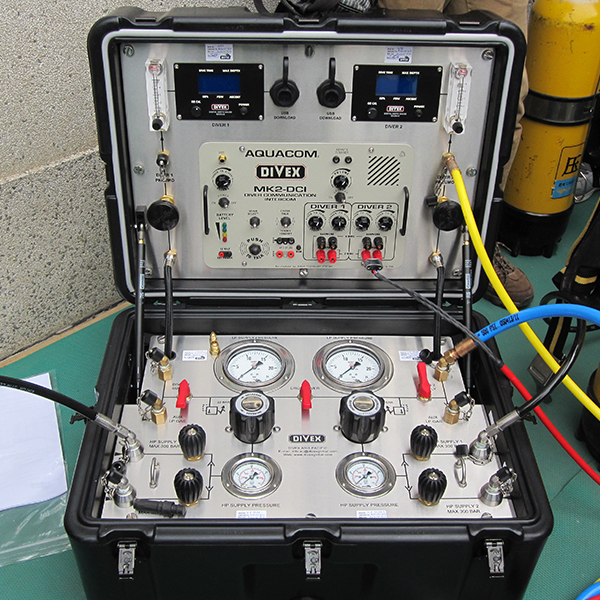 Established in 1995 to provide high quality products and services for the welding, inspection and non-destructive testing (NDT) industries, TVC is a technology and service company which develops, manufactures and markets high-quality monitoring equipment. 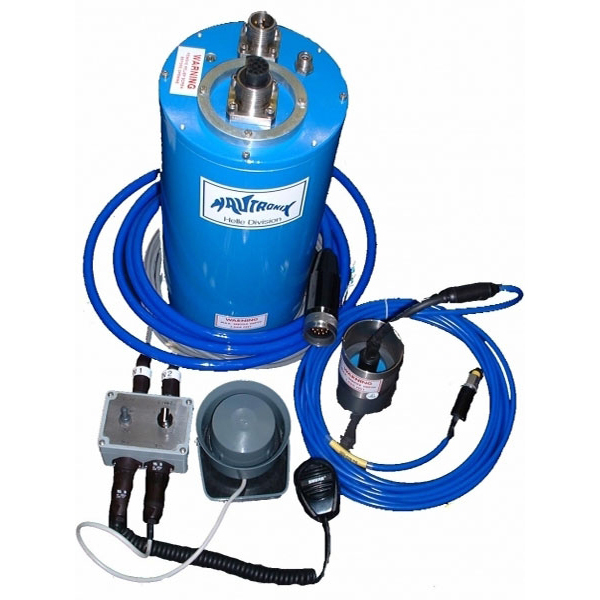 The underwater MPI system comes in two configurations: the System 3 with power from the surface and the lightweight System 12 with a 12V portable battery. 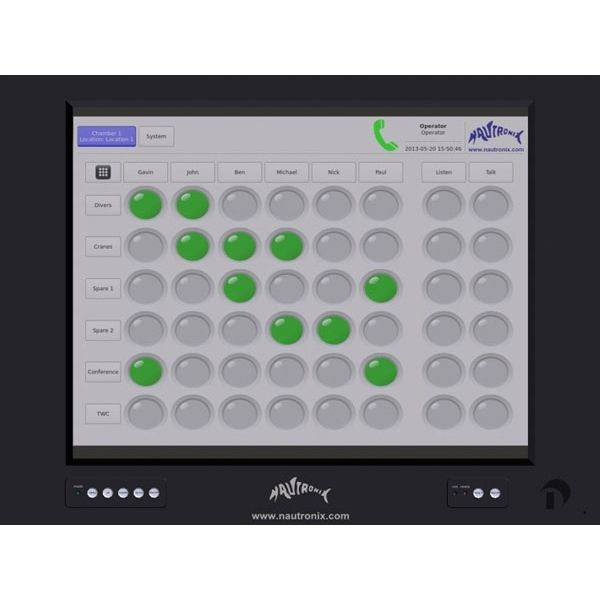 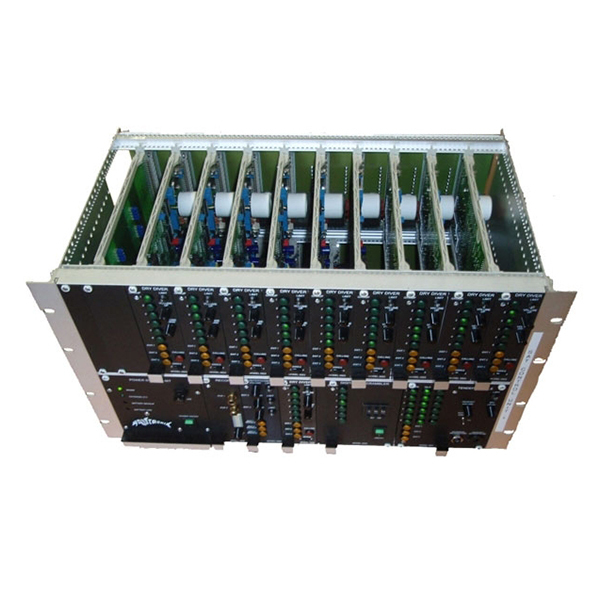 The System 12 has gained more acceptance, because of its price and ease of deployment. 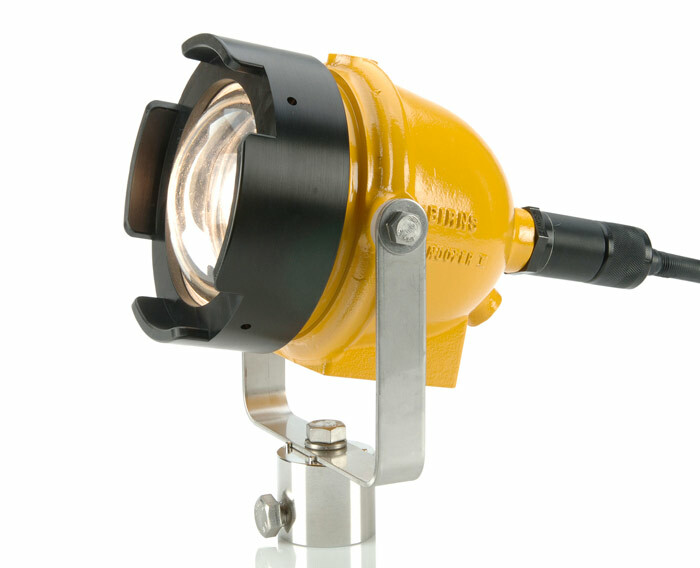 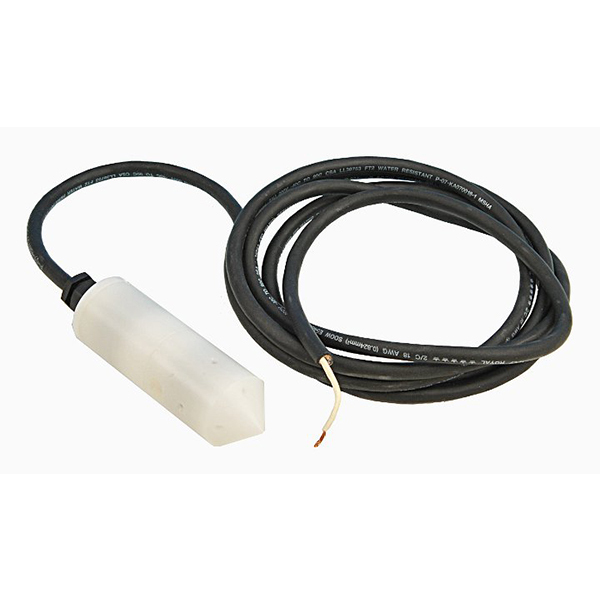 BIRNS make a range of low-voltage general-purpose underwater lights, which are versatile, rugged and highly adaptable. 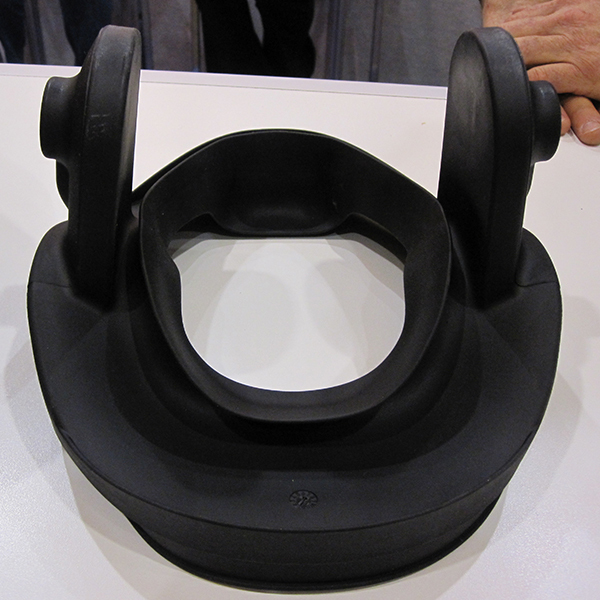 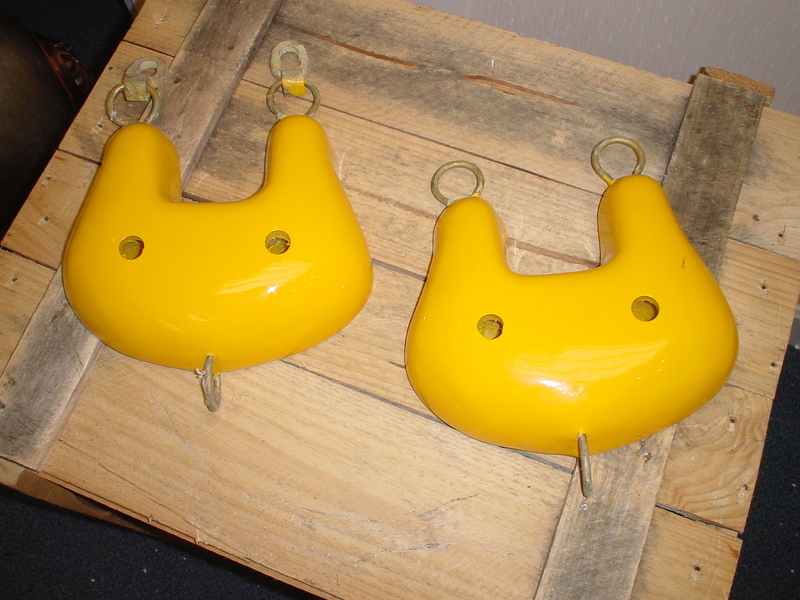 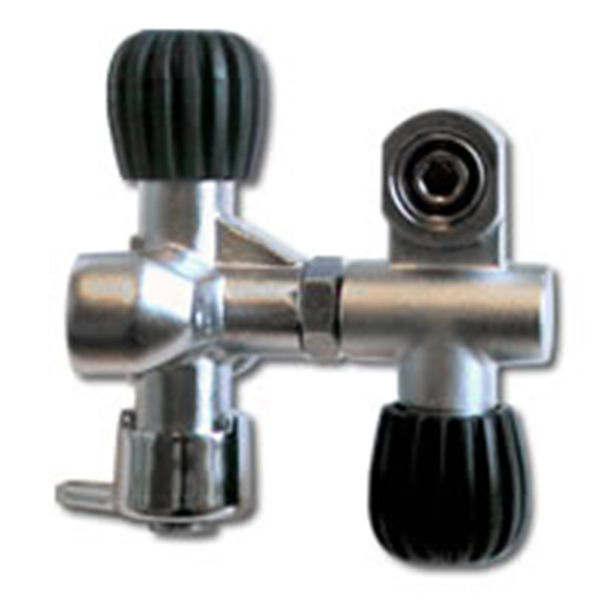 They can be helmet-mounted, hand-held or yoke-mounted. 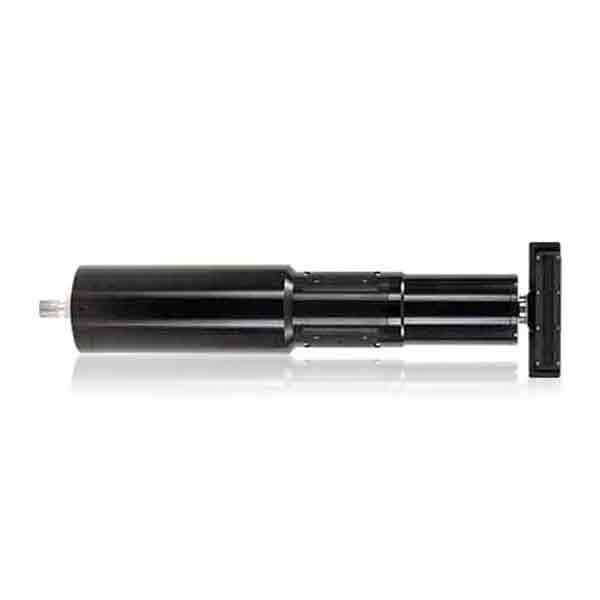 XT120, Snooperette, Snooperette-LED, Snooperette-UV, Snooperette-UV, Aquila, Aquila-LED and Aquila-UV. 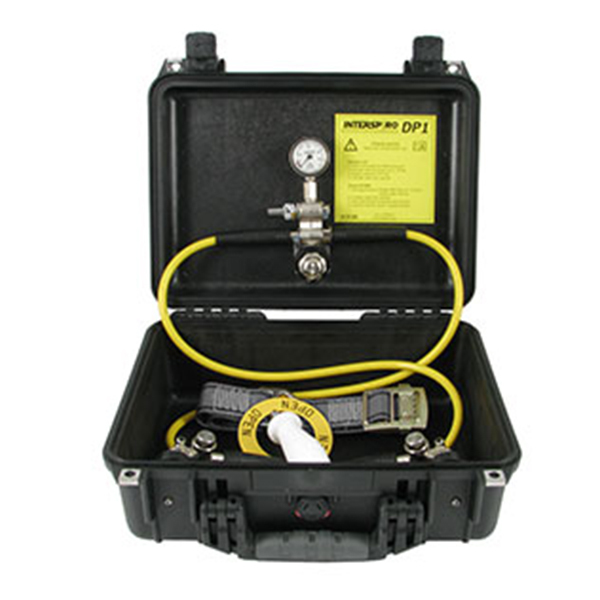 The BIRNS BlackBIRN™-I, BIRNS model 7705, is the original, revolutionary, complete underwater MPI/NDT system for reliably detecting oil leaks, cracks and weld defects in underwater steel structures, including oil leaks from tankers, platforms and pipelines. 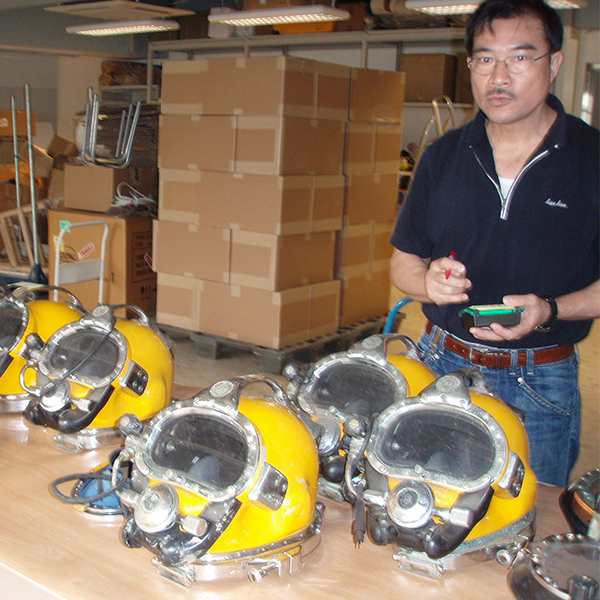 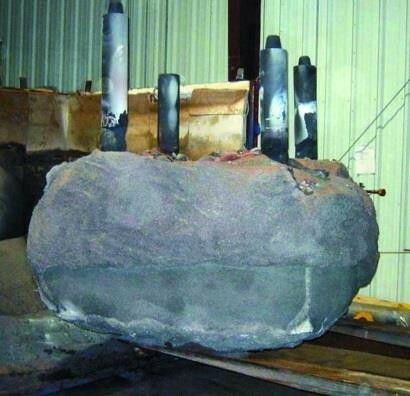 BIRNS MPI equipment permits inspection of ships' hulls underwater. 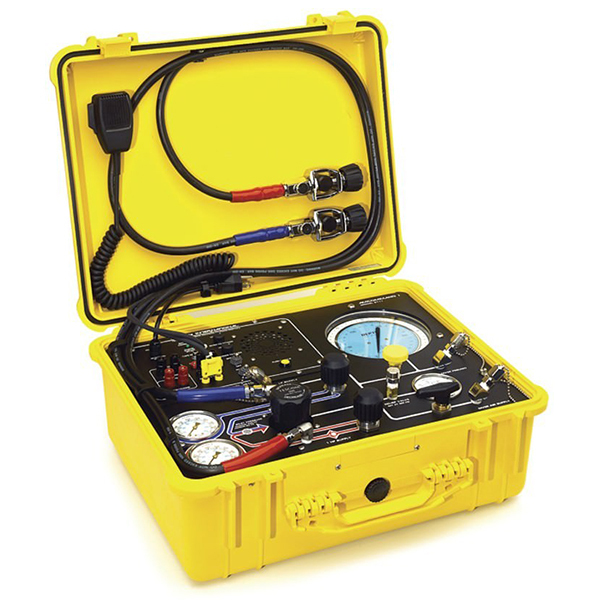 RSL supply a comprehensive range of underwater NDT equipment and consumables: Gascosonic Flooded Member Detection (FMD), Underwater Flaw Detection and Underwater Thickness Measurement. 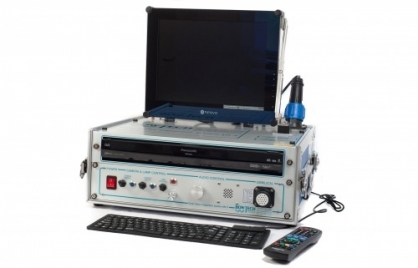 RSL has produced a state-of-the-art FMD system that comprises a probe and umbilical, small processing unit and laptop control with graphics feature. 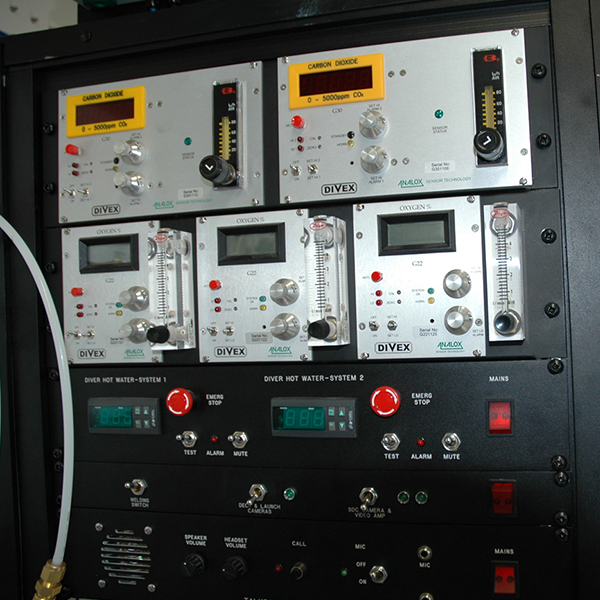 Founded in 1983, Cygnus pioneered the digital multiple echo technique. 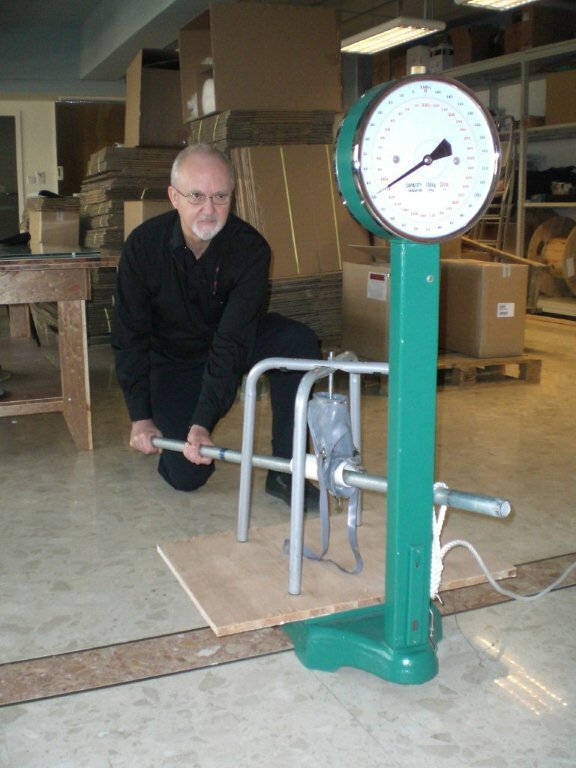 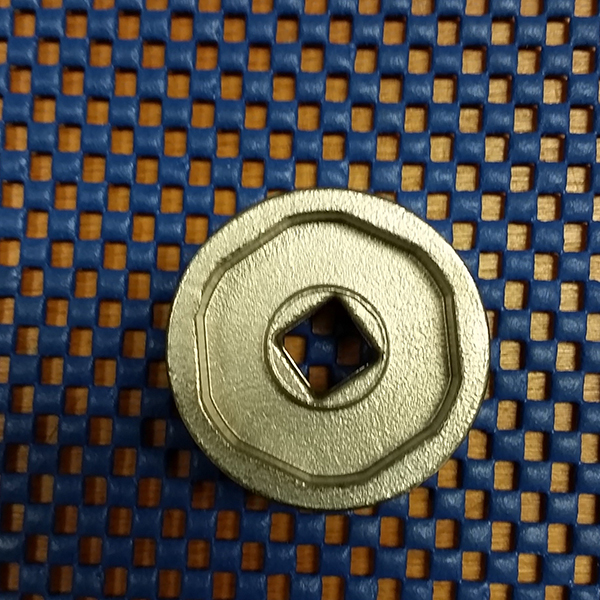 The technique has long since been the industry standard for accurate measurement of material thickness. 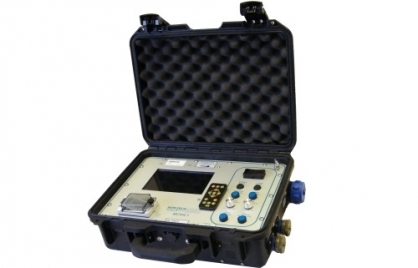 Driven by the need for a hand-held device they successfully developed multiple echo digital thickness gauges which measure metal thickness through protective coatings in a reliable and repeatable way. 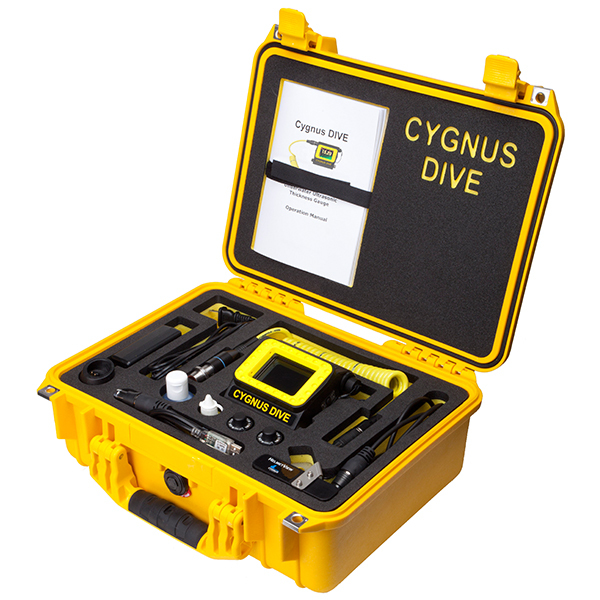 Cygnus 1 is a tough multiple echo Ultrasonic Thickness gauge designed for use by divers undertaking subsea surveys – the original underwater thickness gauge. 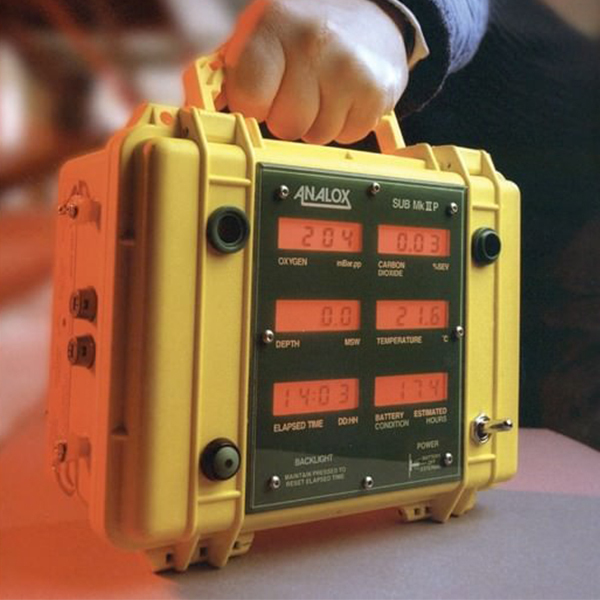 The Buckleys Bathycorrometer® is a well-proven inspection tool for measuring the levels of corrosion on sub-sea structures. 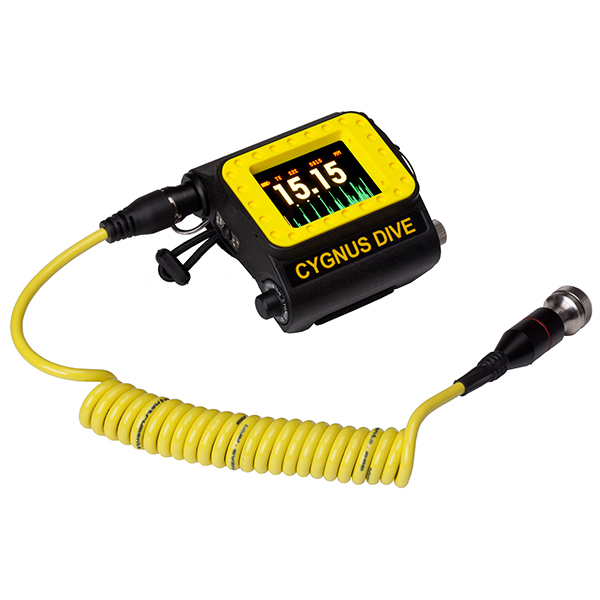 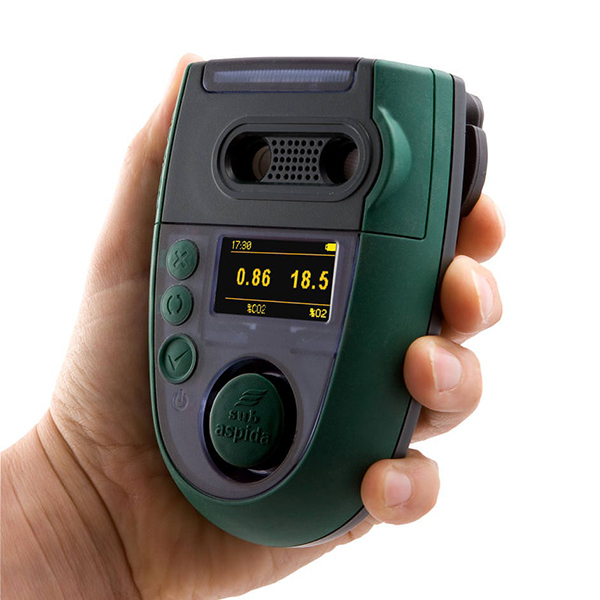 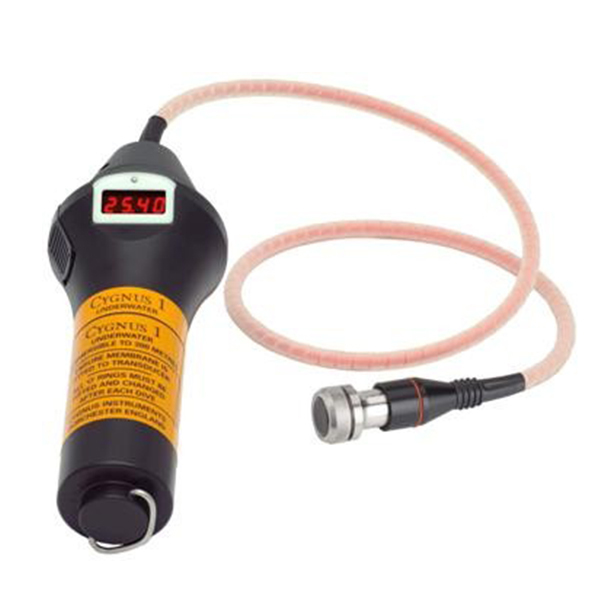 Light and easy to use, this hand-held unit enables divers to obtain accurate readings of the corrosion potential levels of structures at the point of contact. 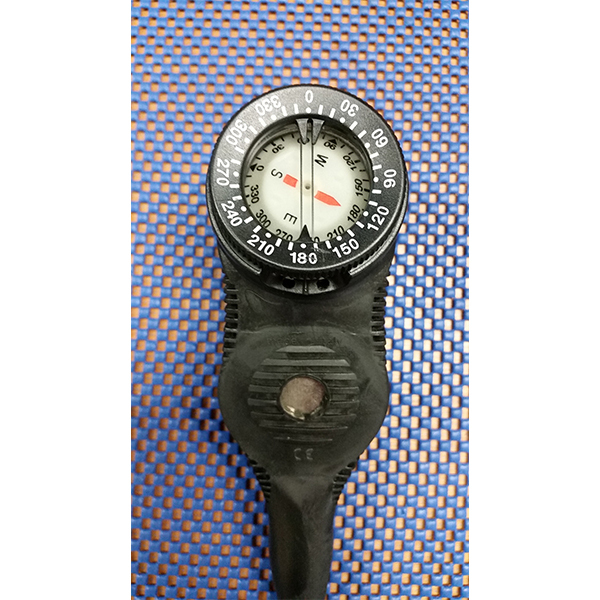 The Bathycorrometer: a diver or ROV deployed corrosion voltmeter used to measure the corrosion potential of immersed structures. 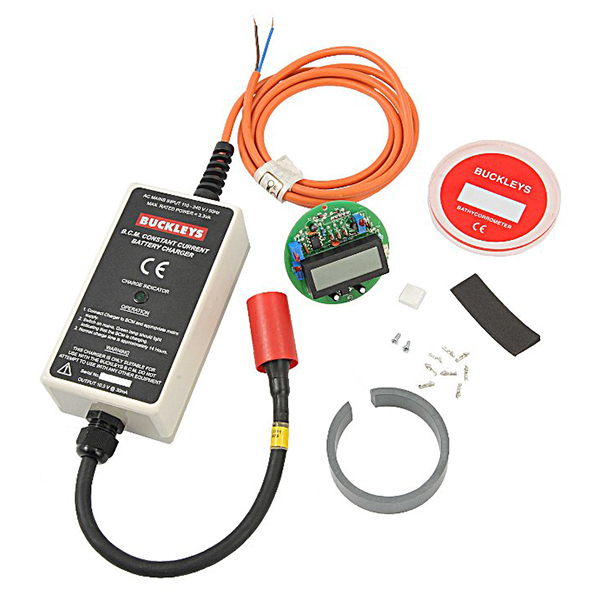 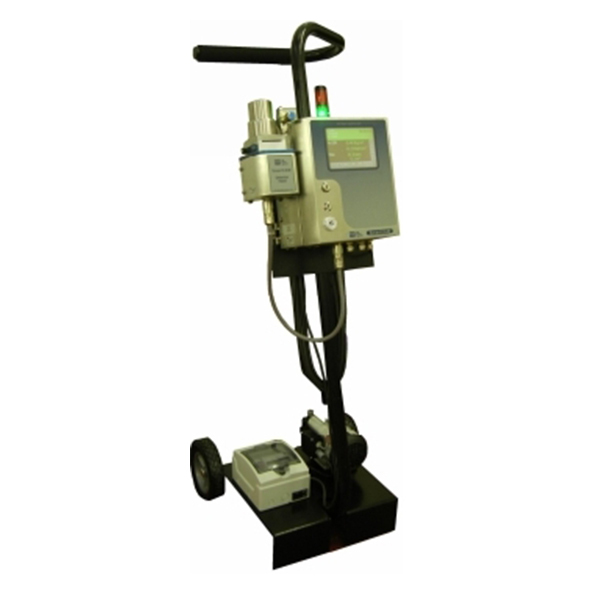 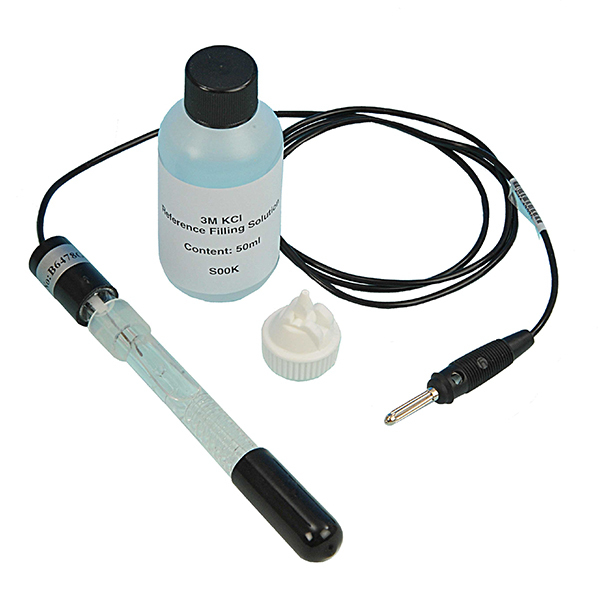 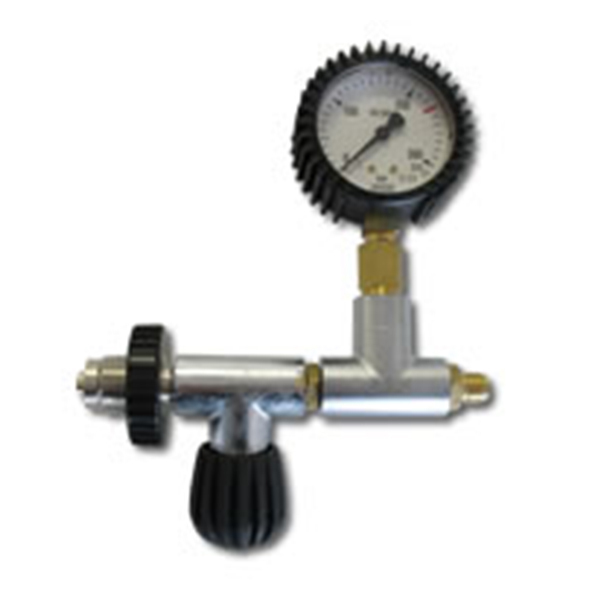 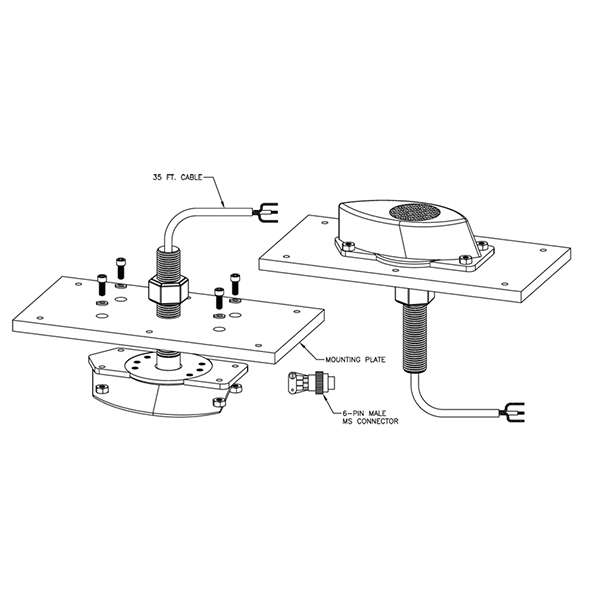 Buckleys offer a wide range of accessories including surface read-out, self-calibration etc. 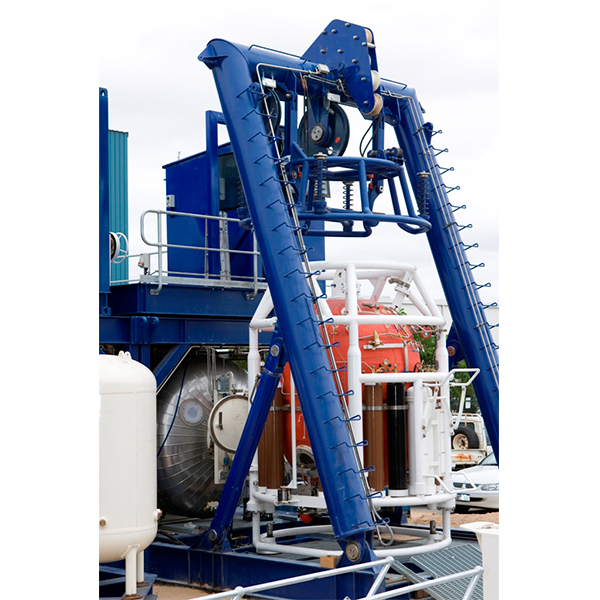 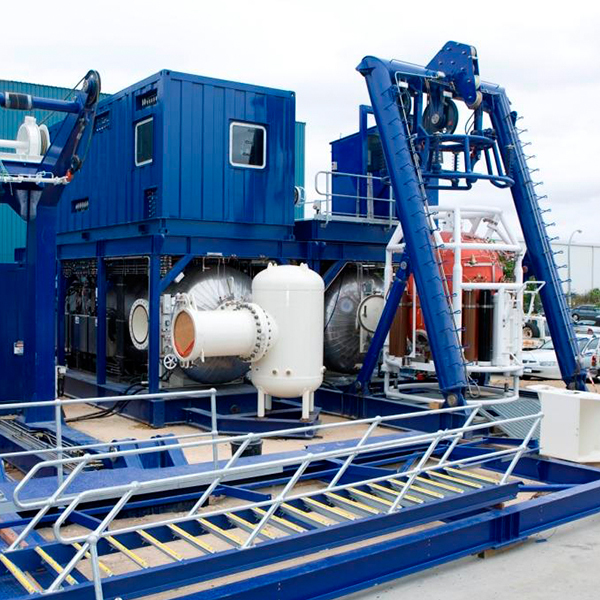 Soil Machine Dynamics Ltd. (SMD) is one of the world's leading manufacturers of remote intervention equipment, operating in hazardous environments worldwide. 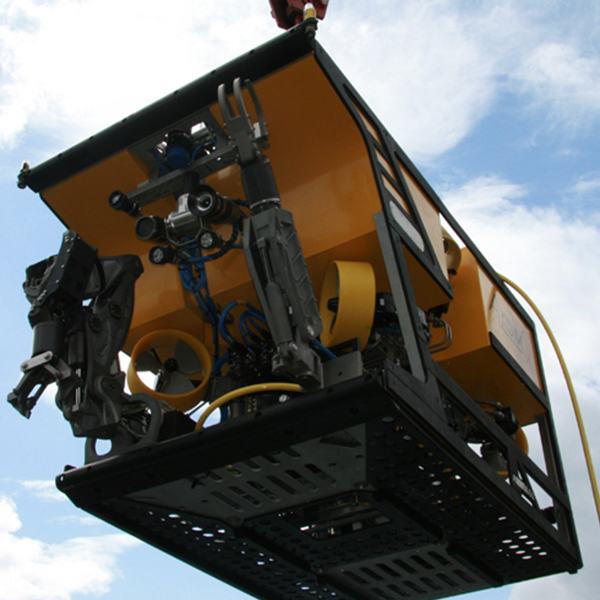 With a proven track record in subsea engineering, SMD has grown to be the number one independent designer and manufacturer of work class and specialist subsea Remotely Operated Vehicles (ROVs) worldwide. 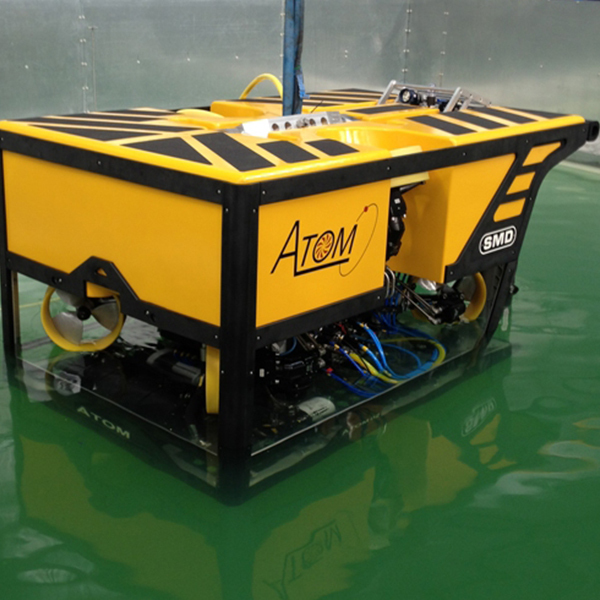 SMD manufacture a wide range of ROV's from the Atom ultra-compact work class ROV, comparable in size to an electric ROV system, to the Quantum, SMD’s largest work class ROV suitable for heavy construction duties. 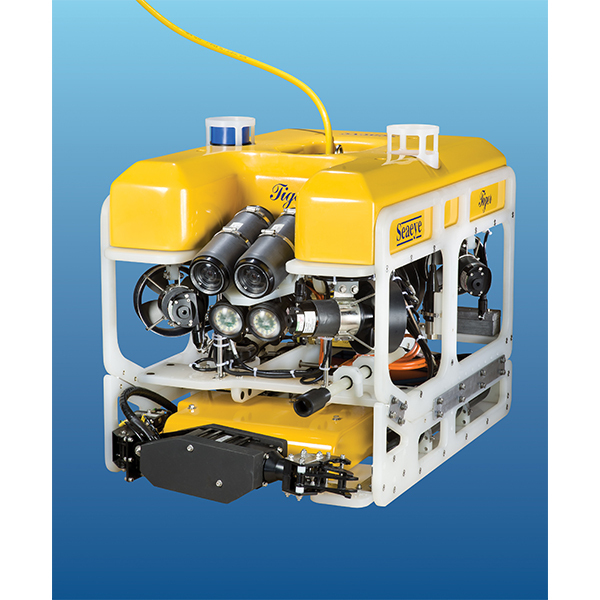 Saab Seaeye manufactures a complete range of electric powered ROV systems for all professional applications. 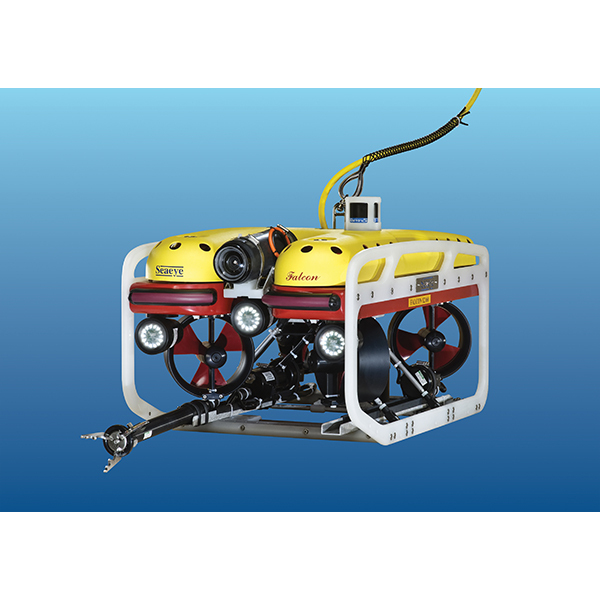 The range currently extends from the portable Seaeye Falcon ROV to the medium work class eqivalent Jaguar ROV. 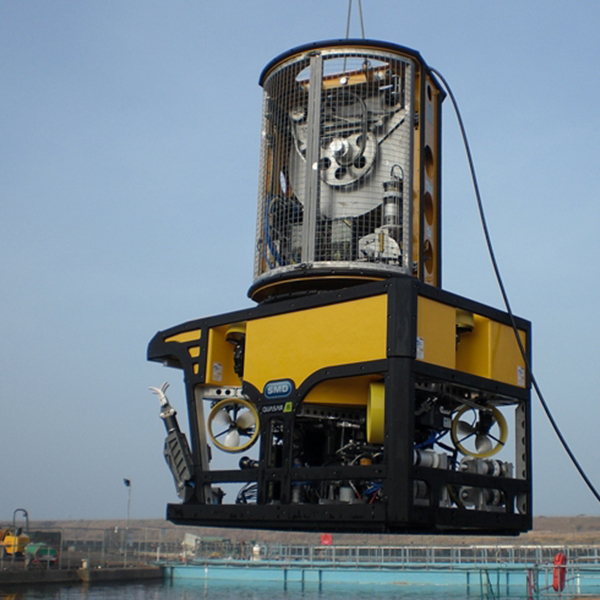 Introduced in 2002 the Falcon ROV has been a runaway success. 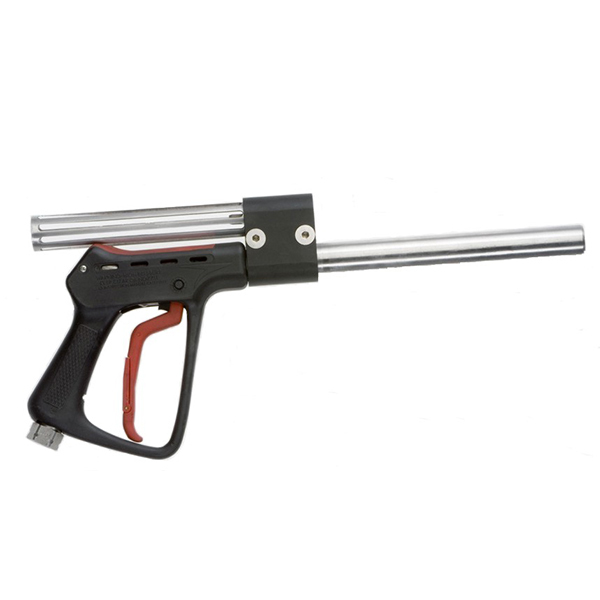 Small, powerful and versatile, it has gained popularity throughout the world - a total of 395 sold (update August 2016). 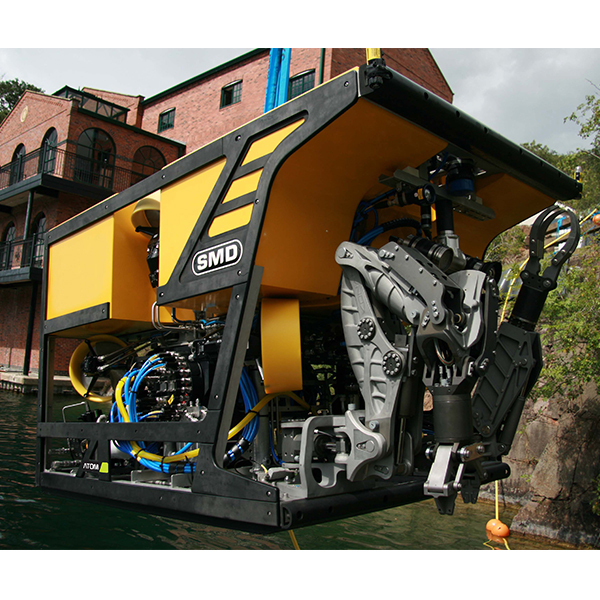 Electric ROV's are making inroads into the hydraulic ROV market as they prove themselves to be powerful, reliable, lighter and smaller. 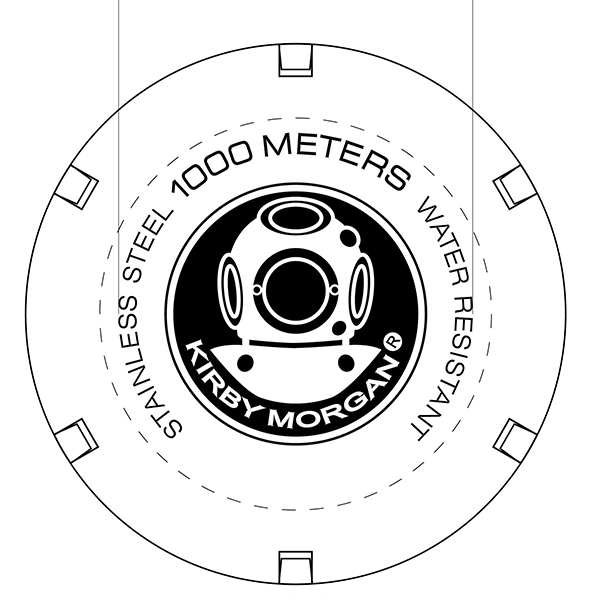 This can be crucial where deck space is at a premium. 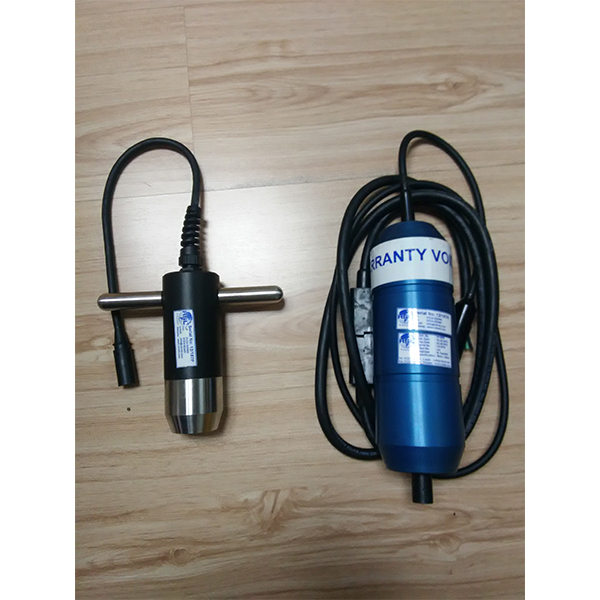 In making comparisons it is useful to think of one mechanical or hydraulic horsepower as being equal to 745.699872 watts. 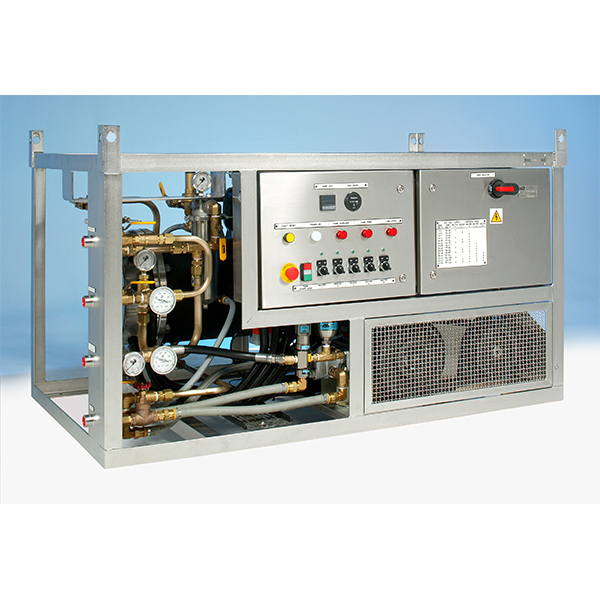 Thus 74.5kW = 100HP. 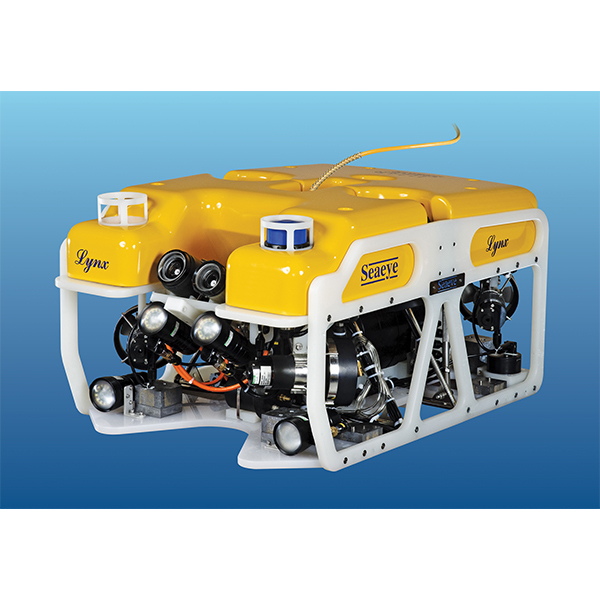 The largest Saab Seaeye ROV is the Jaguar and is equivalent to 125HP. 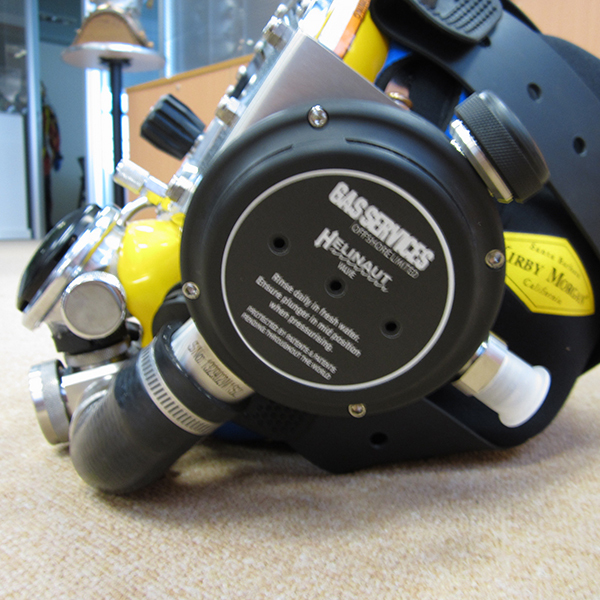 CaviDyne have developed a revolutionary new approach to removing marine growth underwater - the CaviBlaster. 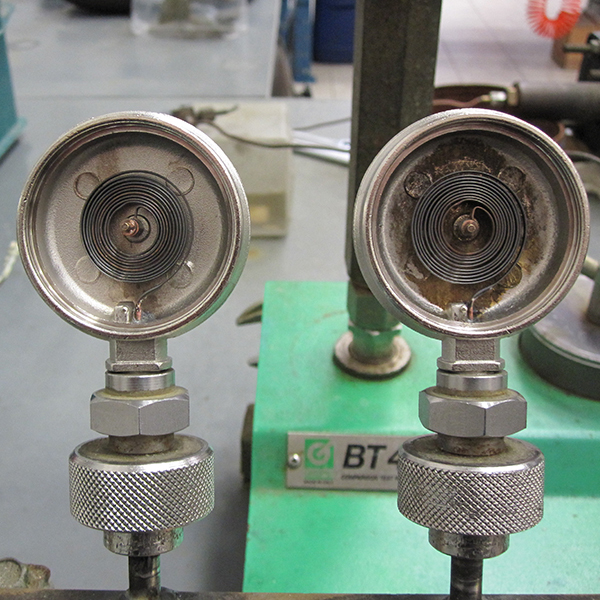 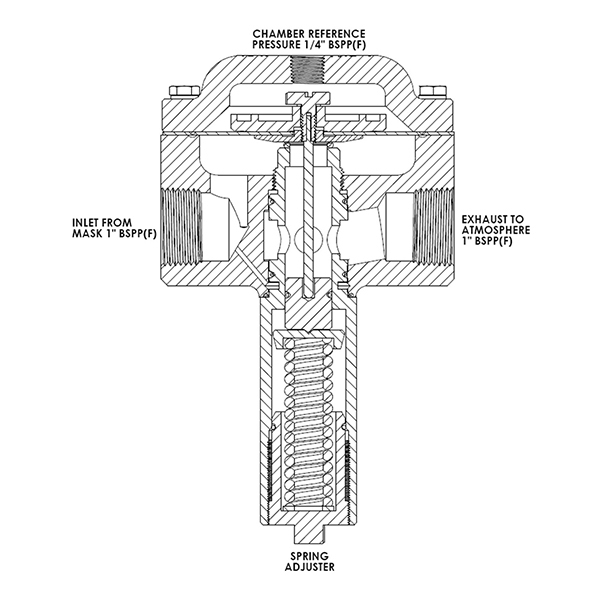 The technique employs cavitation: collapsing bubbles create a vacuum that cleans surfaces quickly and safely - replaces high pressure water jetting. 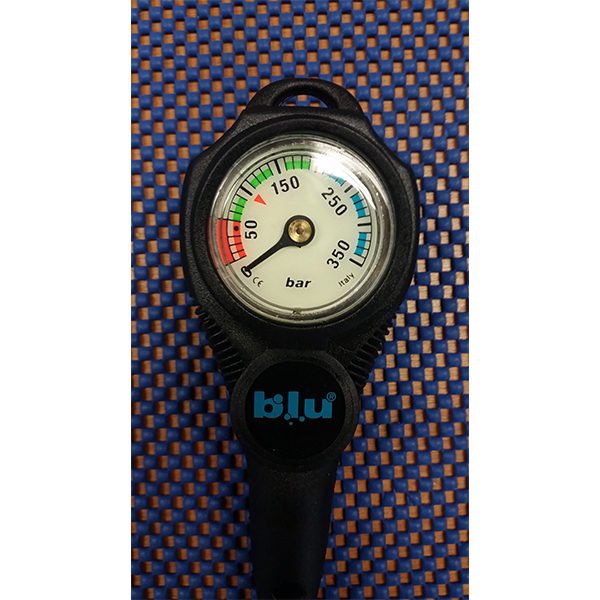 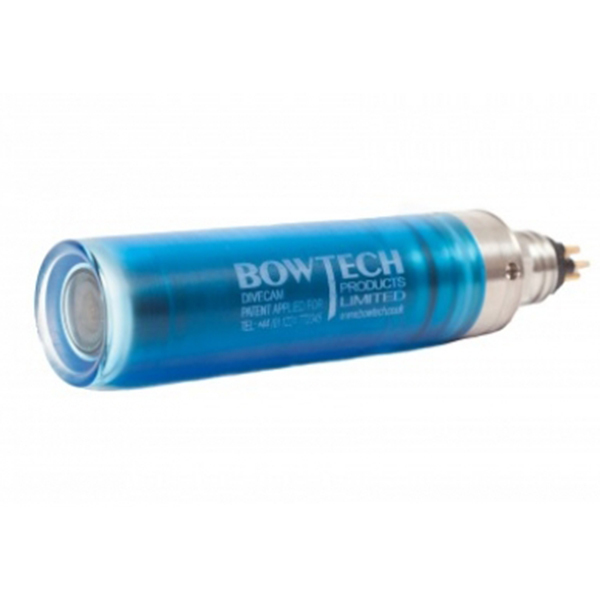 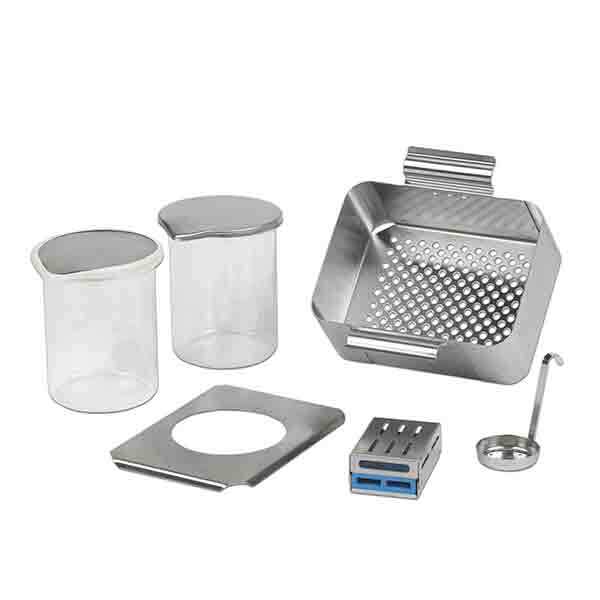 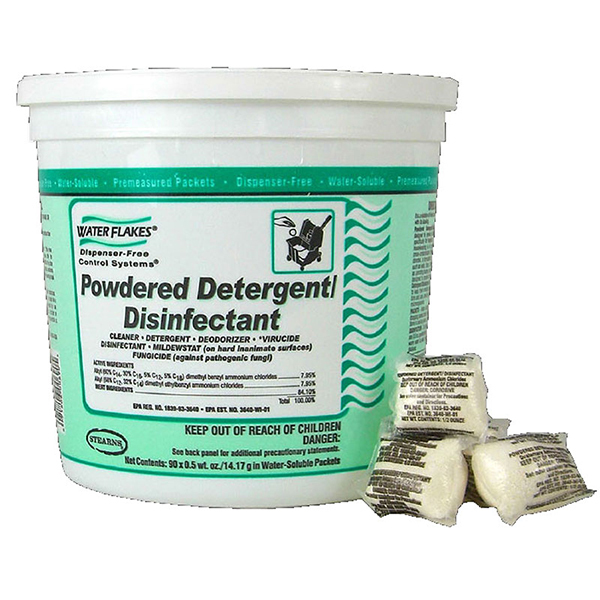 CaviBlaster underwater cleaning packages come in sizes: 7-170 Bar, 7-140 Bar, 7-275 Bar. 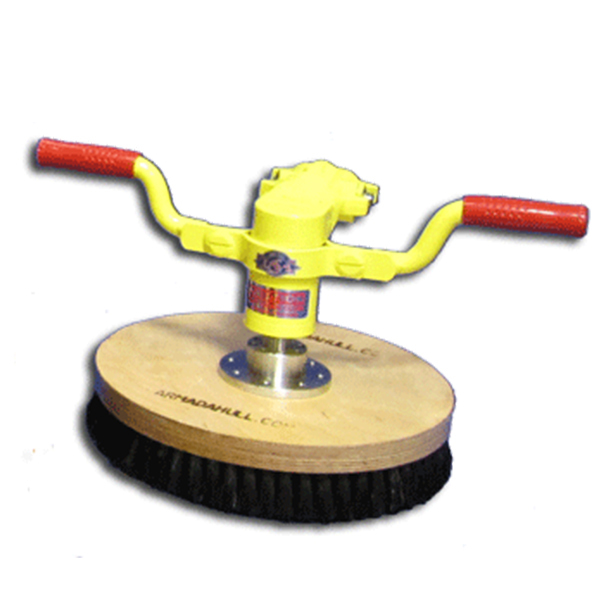 The nozzle cleans surfaces fast and is safe to use. 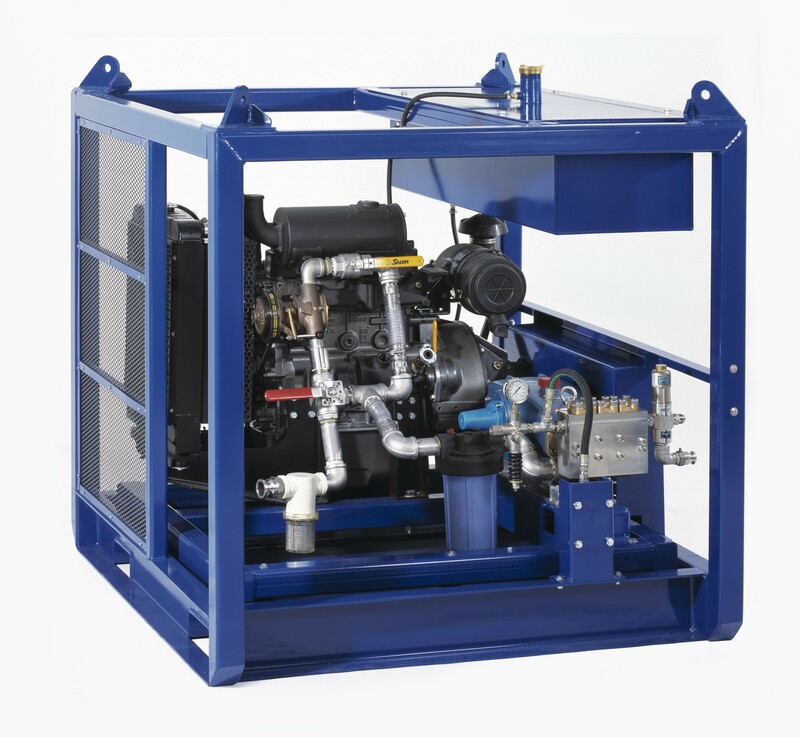 The power pack occupies less deck space. 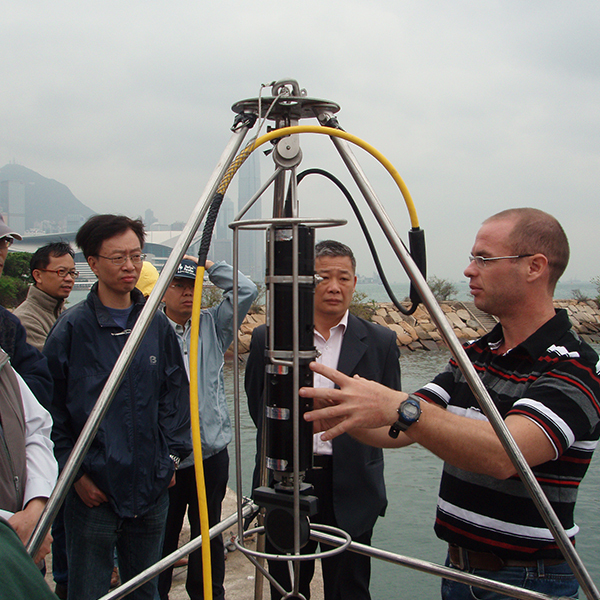 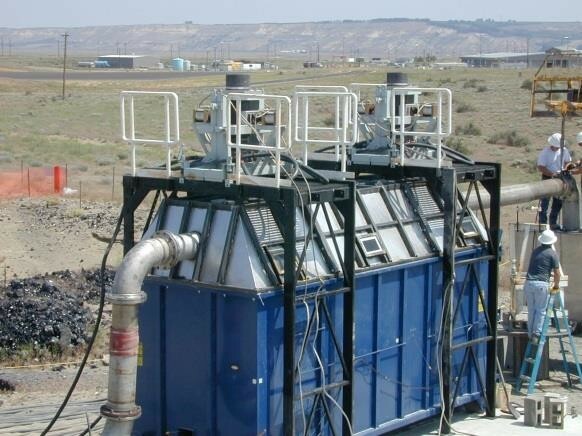 Overall it is a much smaller investment than high pressure water jetting. 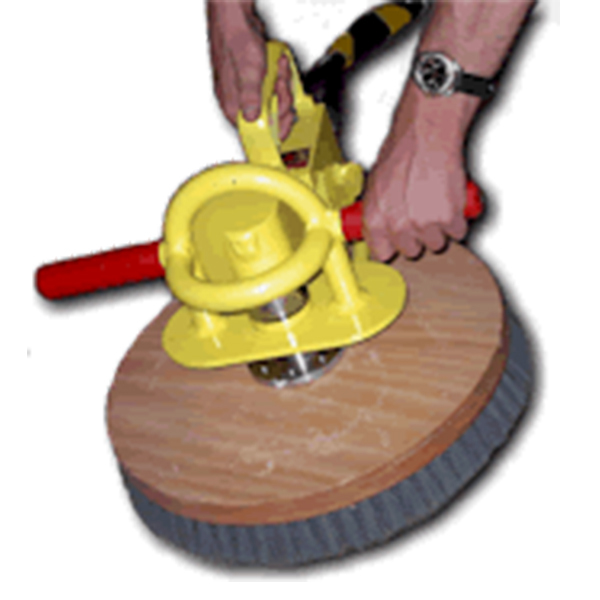 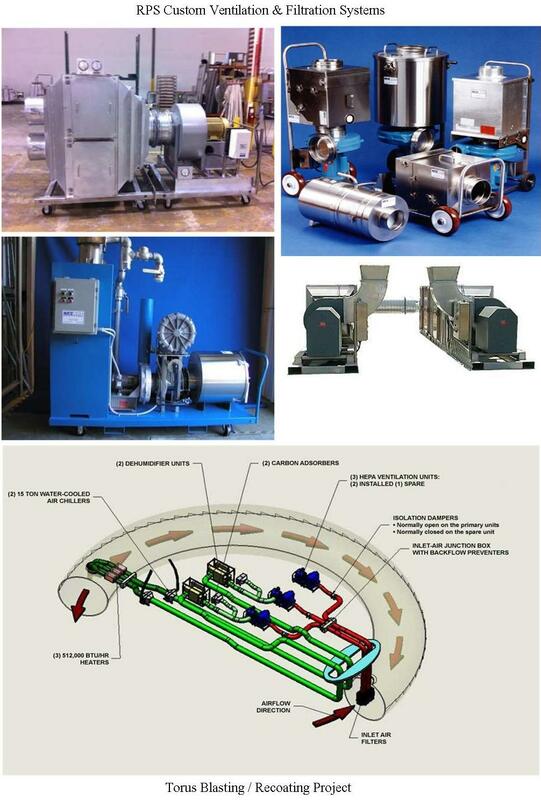 Armada Systems manufacture hull cleaning tools: hull scrubbers and propeller polishers. 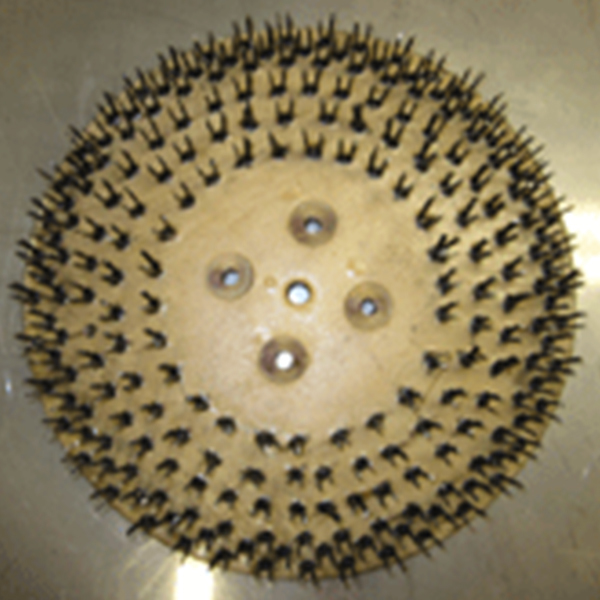 They have the widest range of brushes and tools of any manufacturer, so they have a tool suitable for any job - in any conditions. 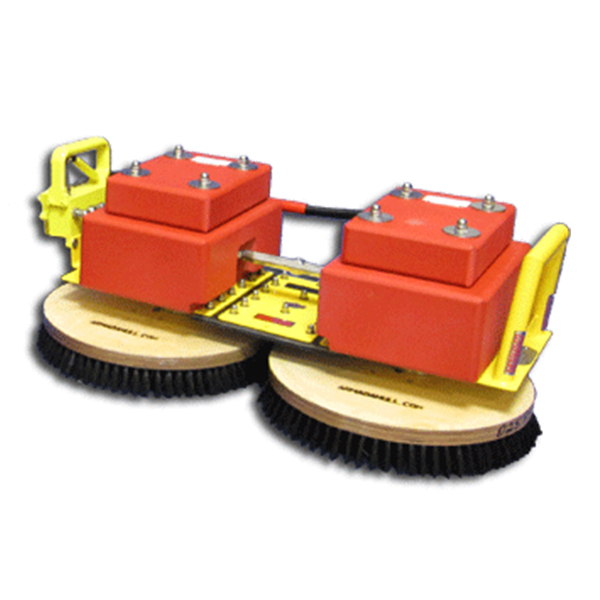 The Armada Systems' range of tools include a powerful brush cart, double and single rotary scrubbers and propeller polishers. 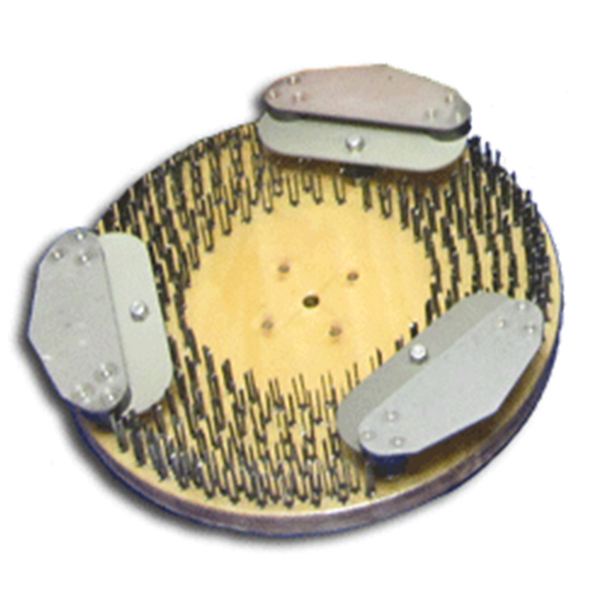 To fit to the tools they have a wide selection of brushes with steel, bristles, nylon bristles and - also barnacle cutters. 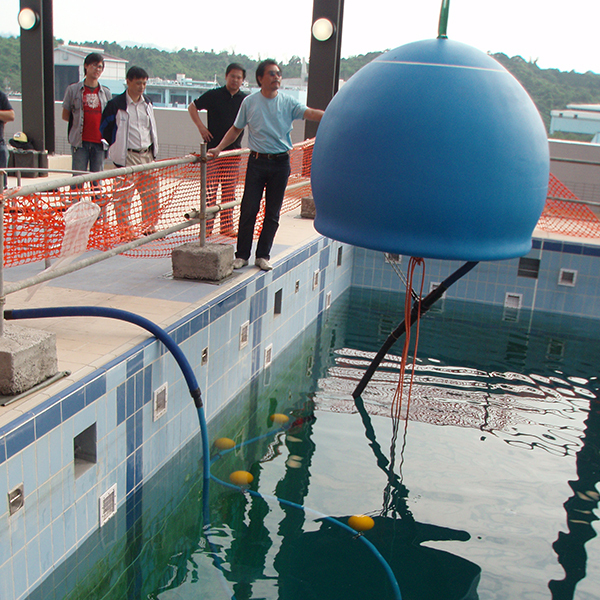 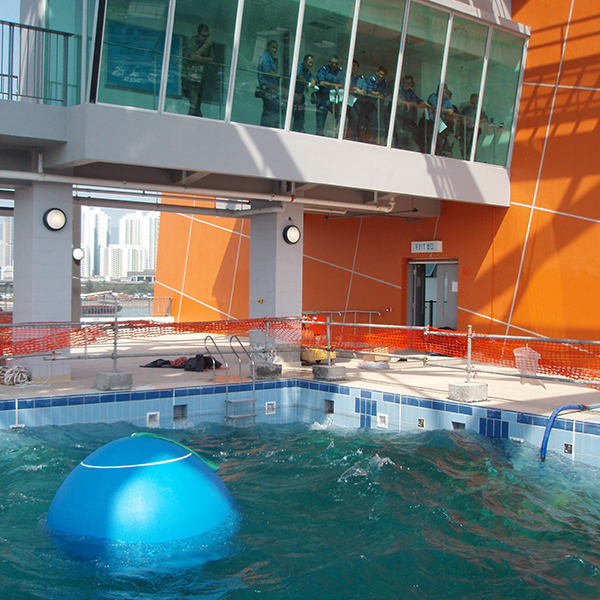 The WOW Company developed the Wave Ball, a sphere-shaped object floating in a pool. 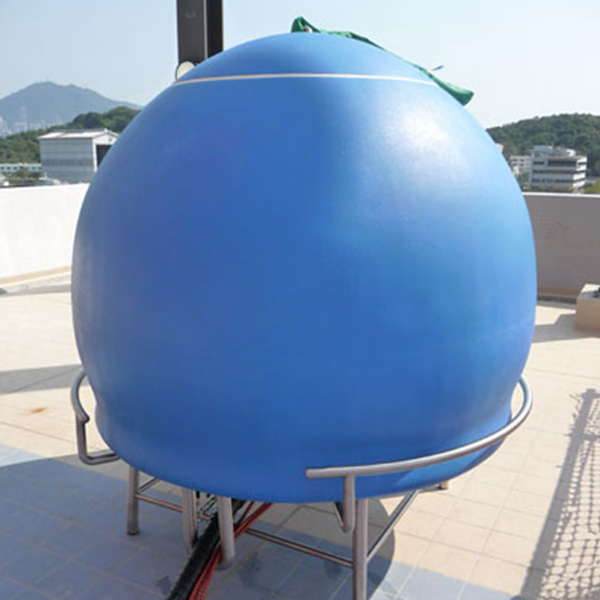 An ingenious idea, it is the result of many years of research and development in the fields of fluid physics, mathematical modelling, electronics, mechanics and data processing. 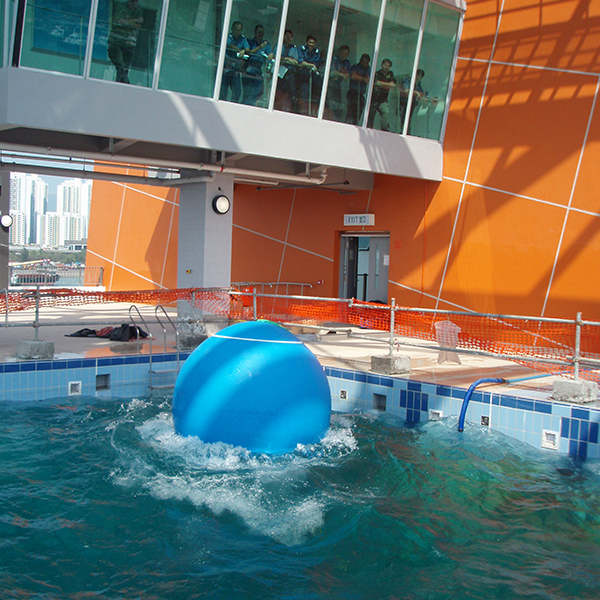 The waves produced by the “Wave Ball” can be adjusted from small ripples to heavy swell. 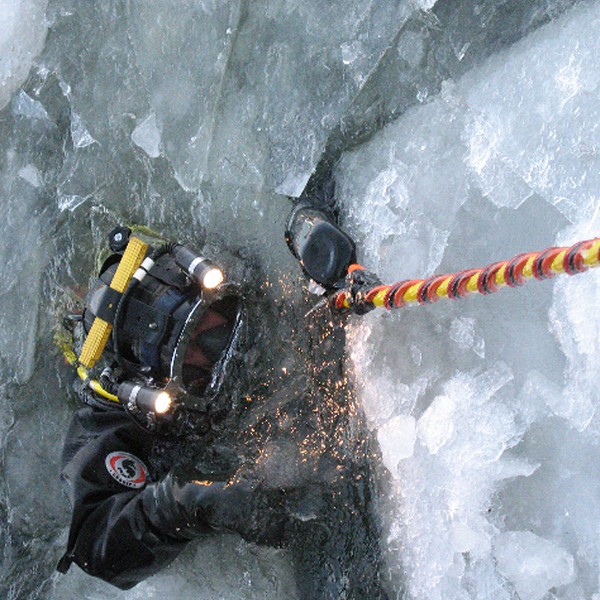 The resulting waves look like open sea waves and can reach up to 2 metres from crest to trough. 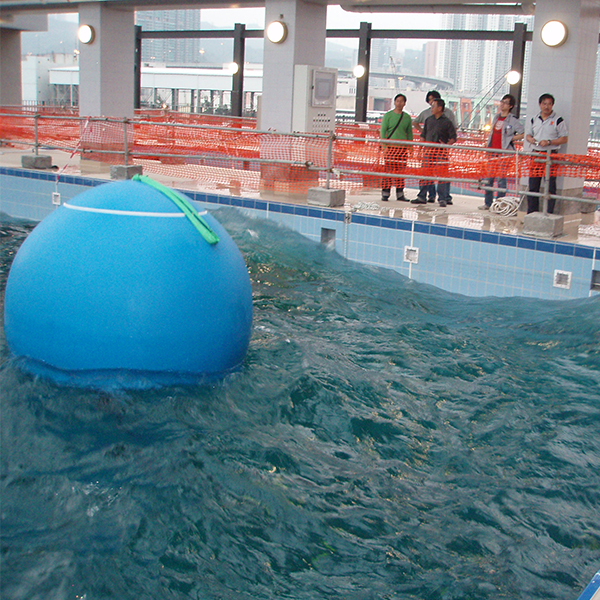 Nine models are available and will be chosen as a function of the size of the pool and the size of waves expected. 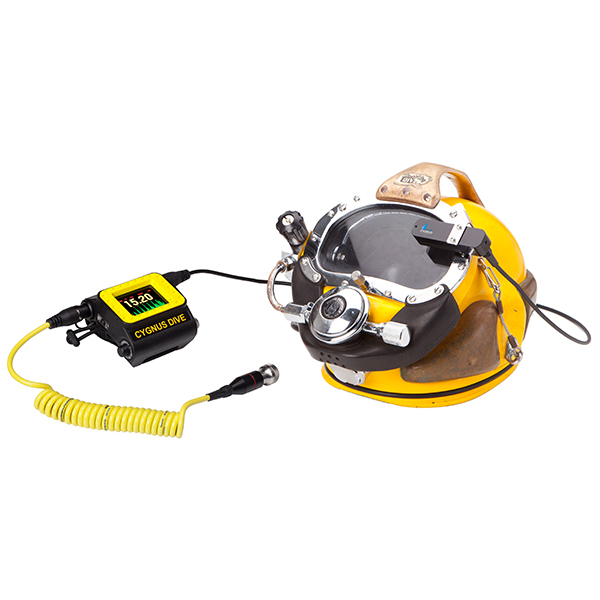 Smart Tether is a revolutionary system for tracking a diver's phone or tether line - or an ROV umbilical - from a display at the surface. 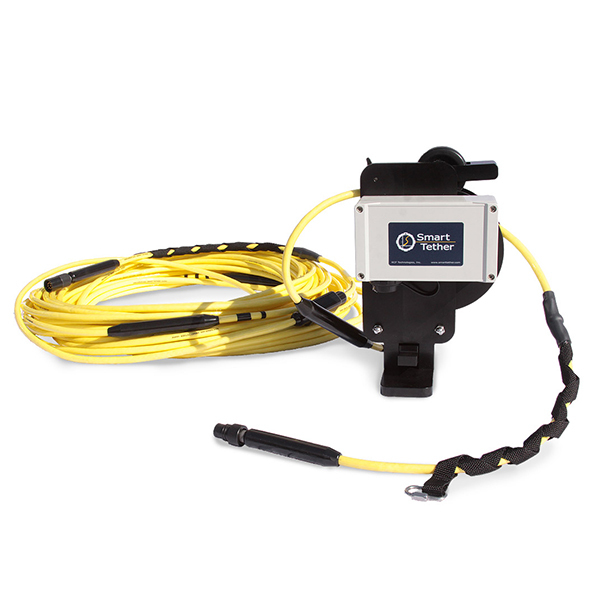 The Smart Tether has sensors, which measure and transmit angles and position information. 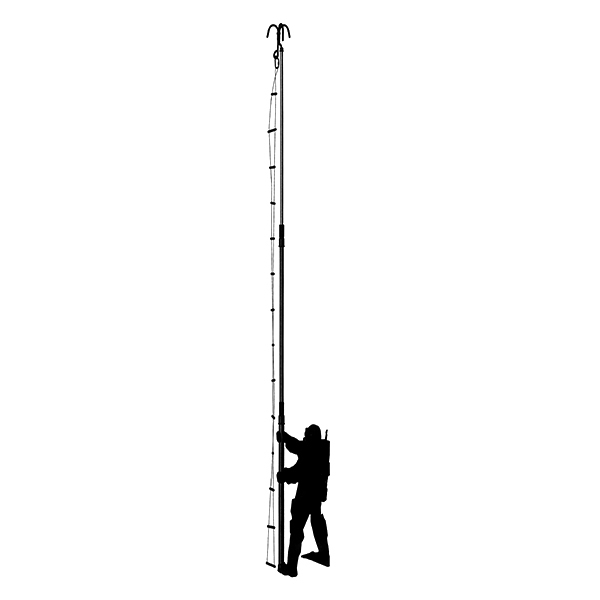 A powerful tool for tracking. 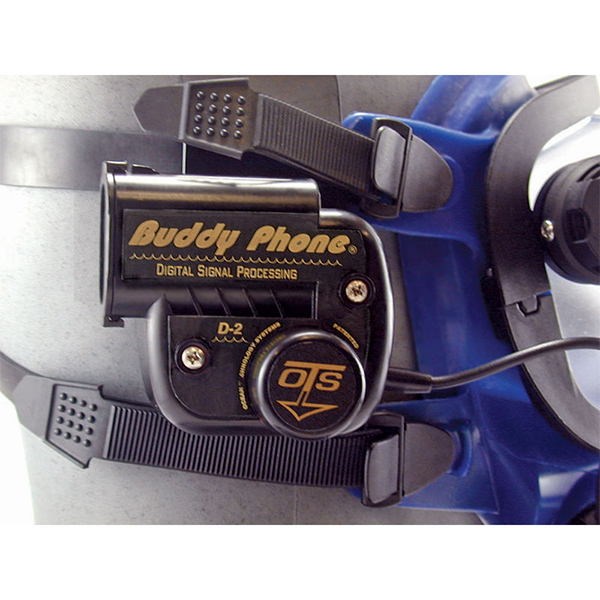 Smart Tether is integrated with the diver's comms line - in one cable. 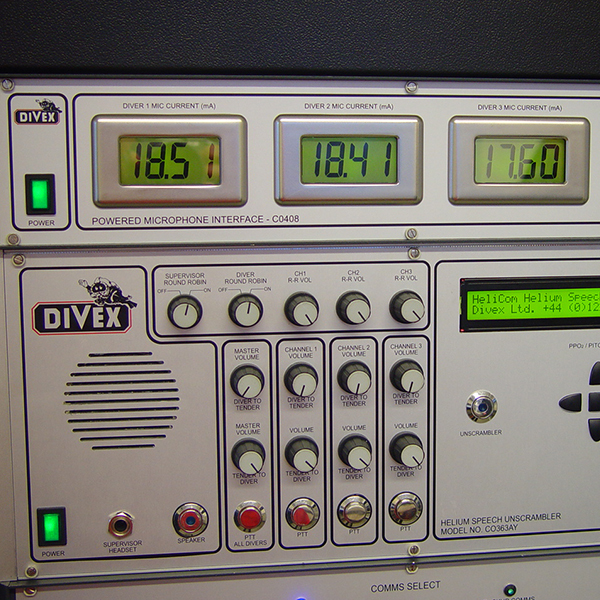 As the comms line moves its track shows up on the surface display. 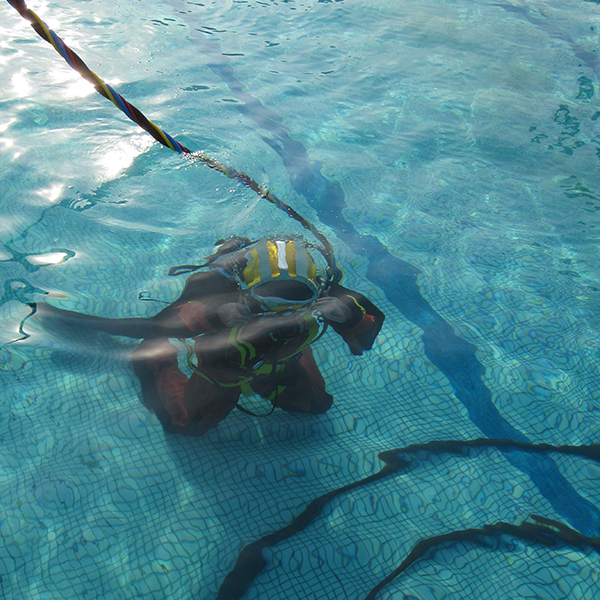 By knowing the diver's heading the surface can guide him towards a target. 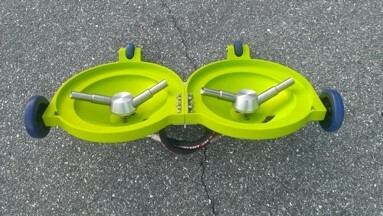 Please visit the web site for a better explanation. 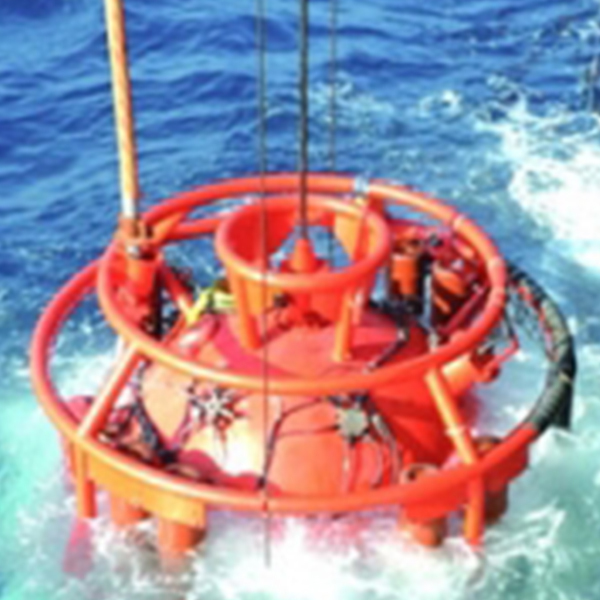 Sonardyne's expertise in acoustic technology extends to acoustic positioning, intertial navigation and motion sensing, diver marking and relocation, instrument release and actuation, sonar imaging, offshore monitoring and control and subsea wirless communications. 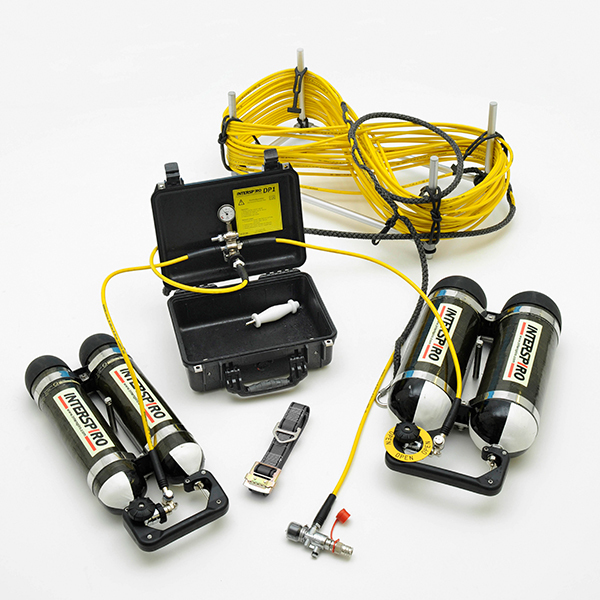 Scout USBL is a complete vessel based acoustic positioning system designed for tracking divers, ROVs and towfish in waters up to 1,000 metres. 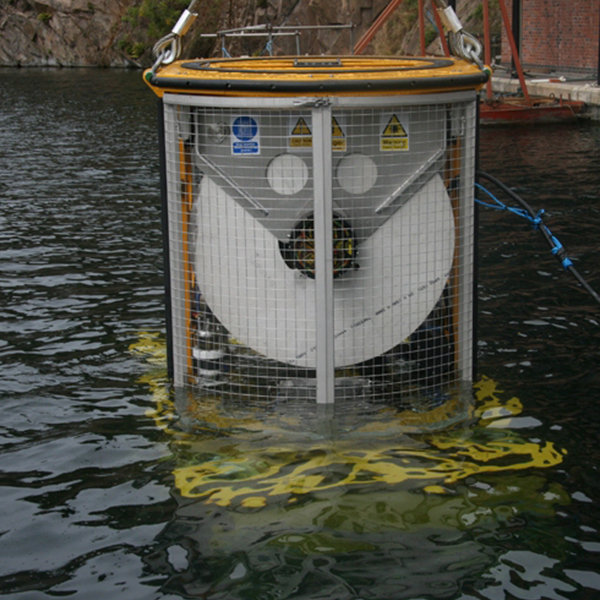 The system calculates the position of a subsea target by measuring the range (distance) and bearing (heading) from a vessel mounted transceiver to a small acoustic transponder fitted to the target - a technique known as Ultra-Short BaseLine (USBL) positioning. 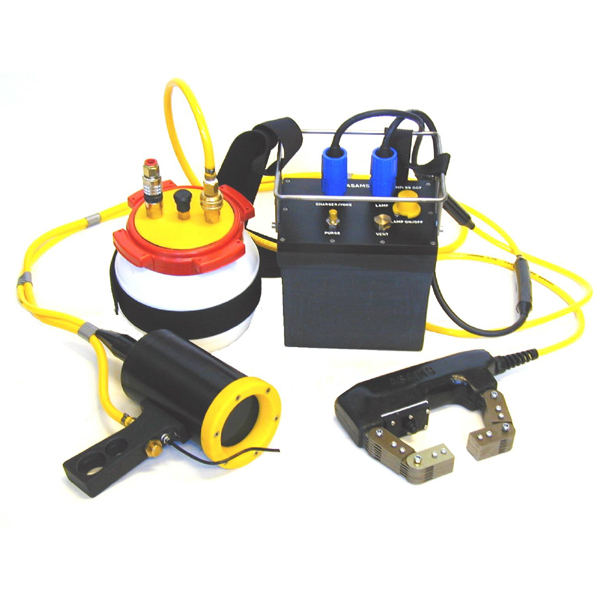 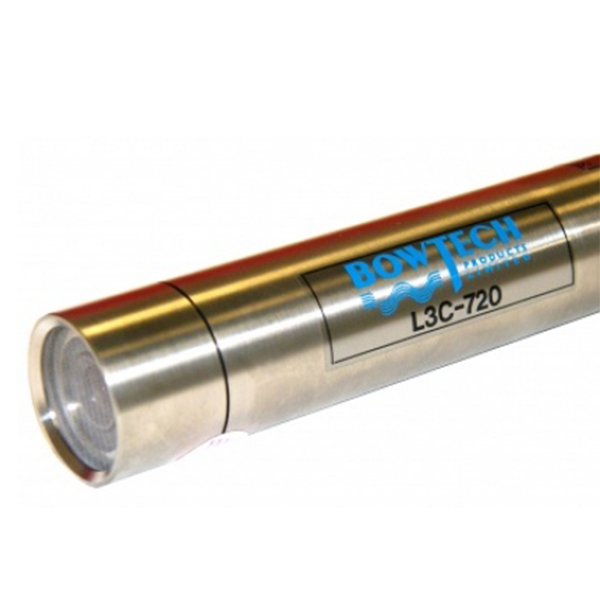 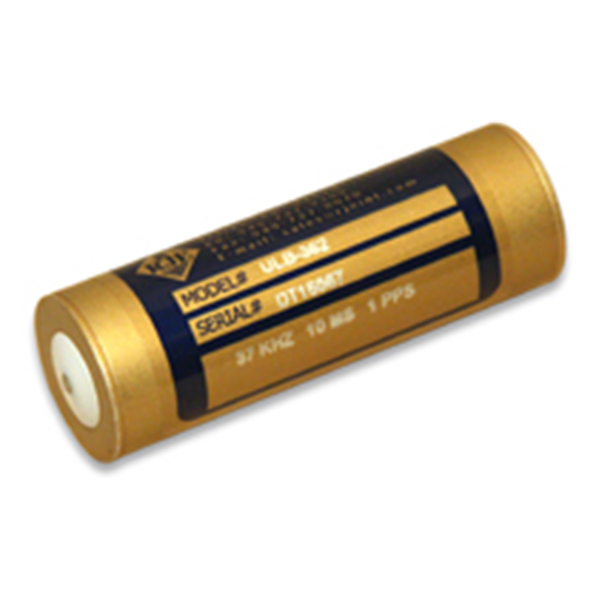 USBL is widely used by the offshore survey and ocean scientific industries as it offers high accuracy performance combined with efficient subsea tracking operations. 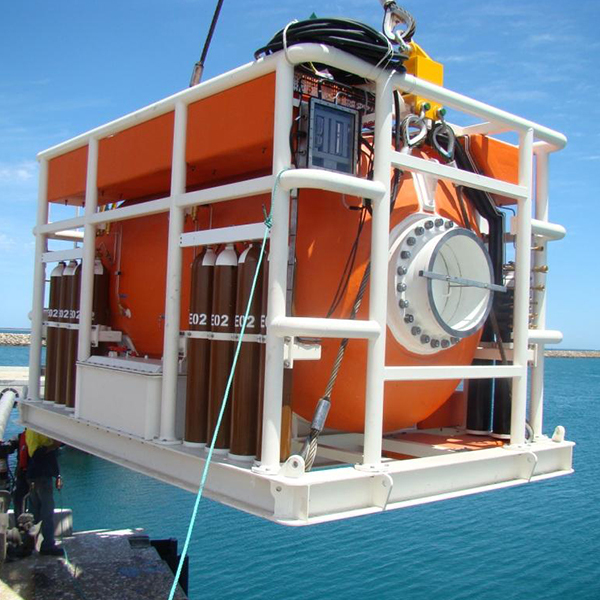 Scout USBL is a complete vessel based acoustic positioning system designed for tracking divers, ROVs and towfish in waters up to 1,000 metres. 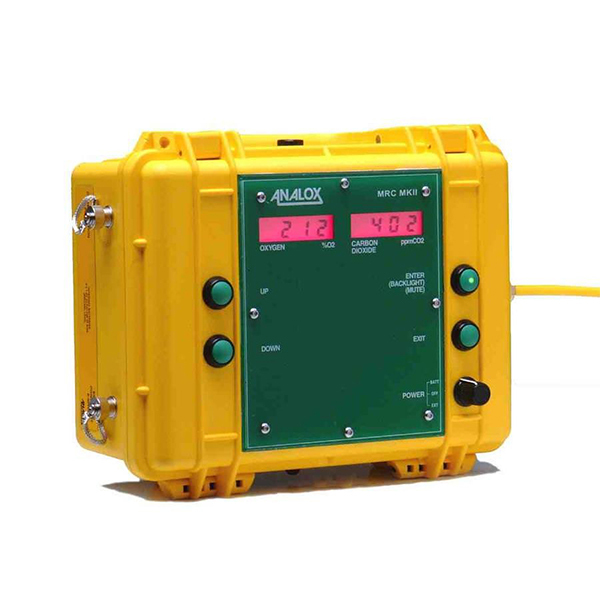 The system calculates the position of a subsea target by measuring the range (distance) and bearing (heading) from a vessel mounted transceiver to a small acoustic transponder fitted to the target; a technique known as Ultra-Short BaseLine (USBL) positioning. 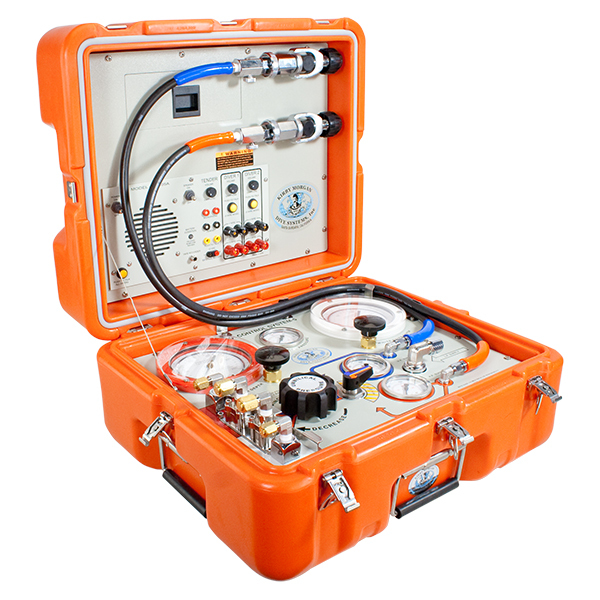 USBL is widely used by the offshore survey and ocean scientific industries as it offers high accuracy performance combined with efficient subsea tracking operations. 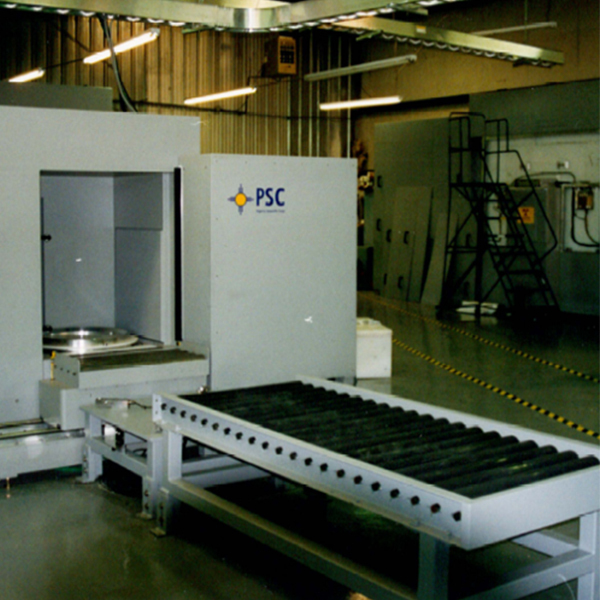 PSC provide high quality products and services for nuclear materials detection and characterisation with a worldwide customer base. 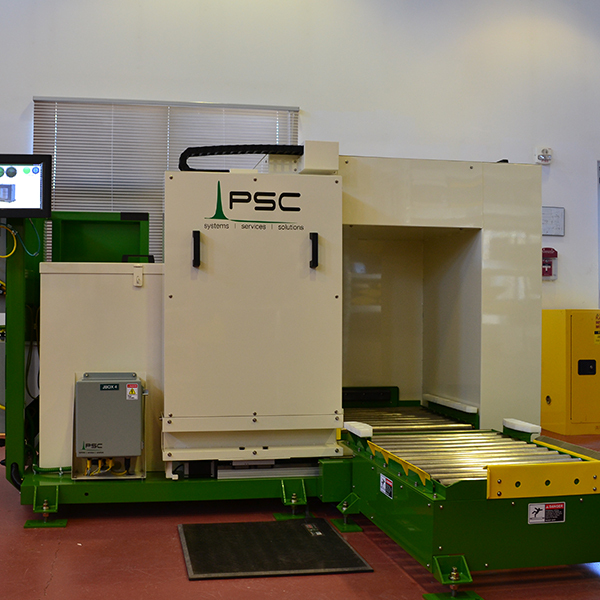 PSC are a world leader in supporting global nuclear energy and defence programs in the areas of waste management, safeguards, security, materials control, accountancy, nuclear site remediation and criticality safety. 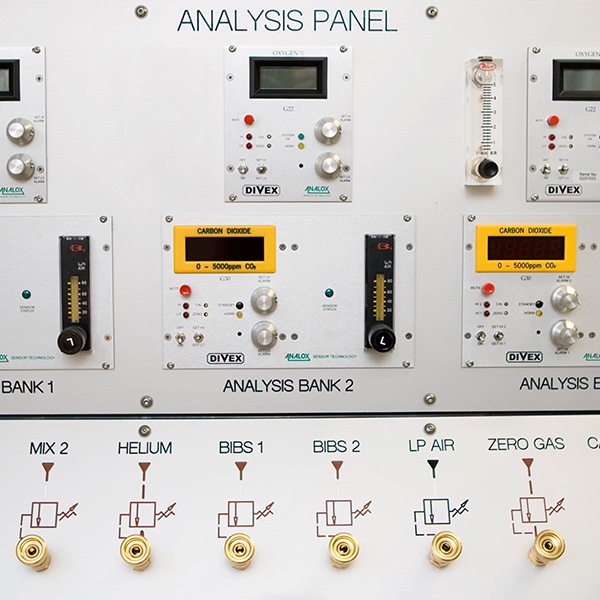 Formally Laboratory Impex Systems (LIS) the company is now part of the Ultra Electronics Nuclear Control Systems group. 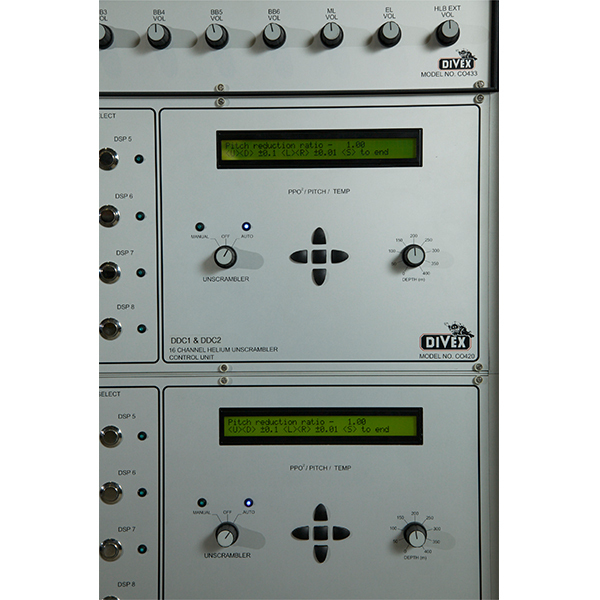 Ultra Electronics are leaders in the design and supply of health physics and radiation protection instruments. 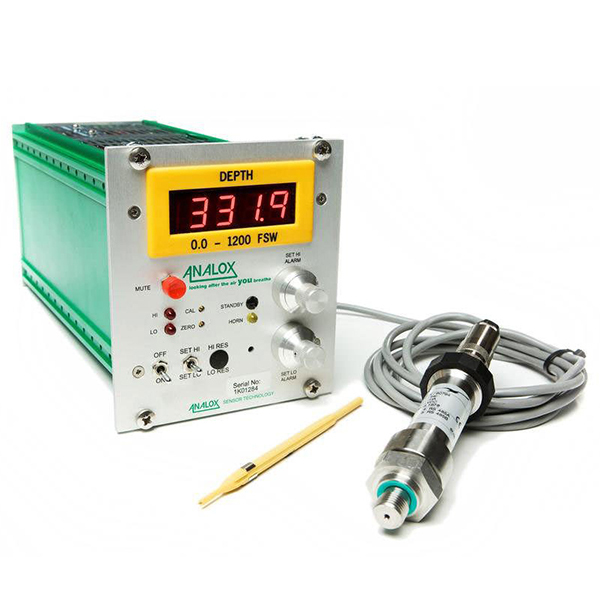 The Ultra Electronics range of instruments offers accurate, cost effective measurement solutions to a wide range of radiation and protection problems including installed or stand alone systems for alpha-beta aerosol, gas, dose, liquid and stack measurement. 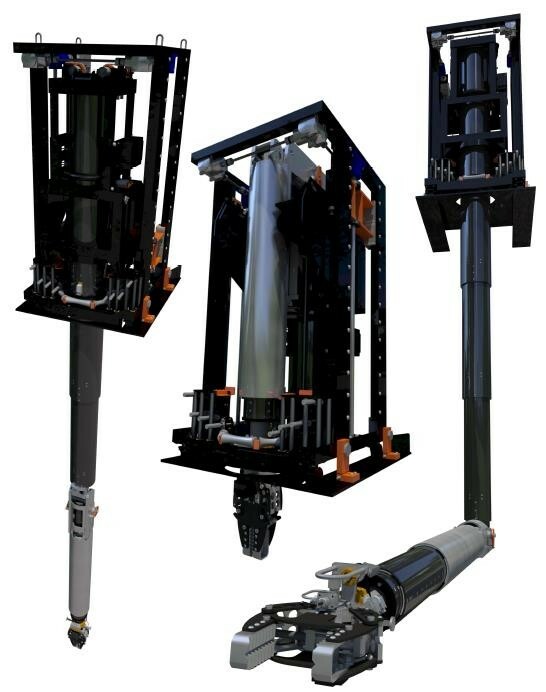 VJT are manufacturers of real time radiography systems and services to the nuclear industry for the characterisation of low level and transuranic wastes, prior to disposal. 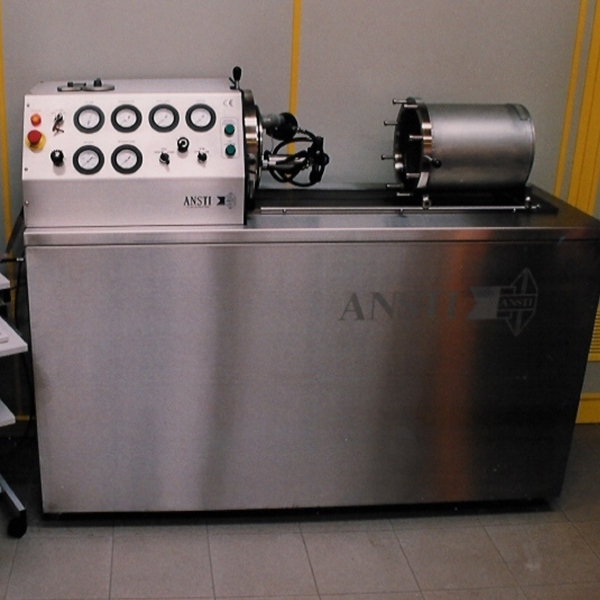 VJT’s experience includes the supply of stand alone real time radiography instruments or the fabrication and commissioning of complete integrated nuclear waste characterisation systems. 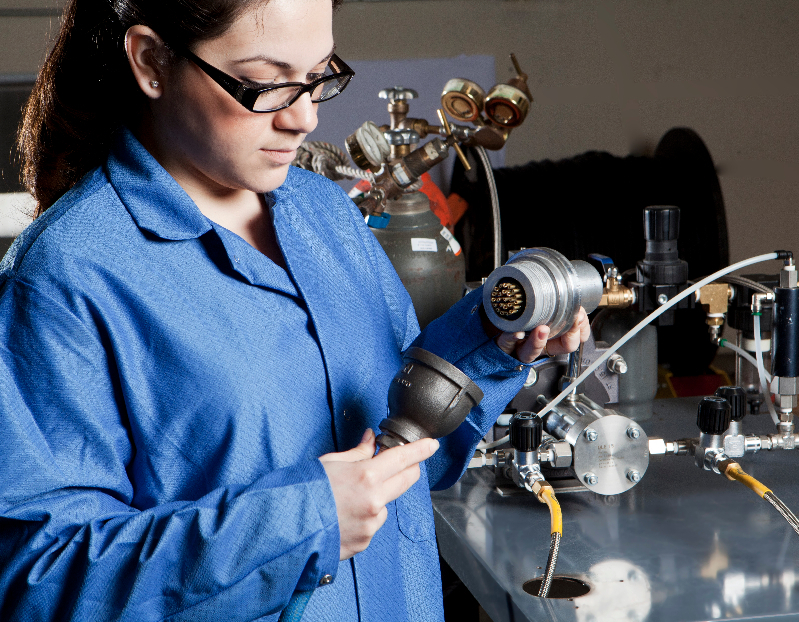 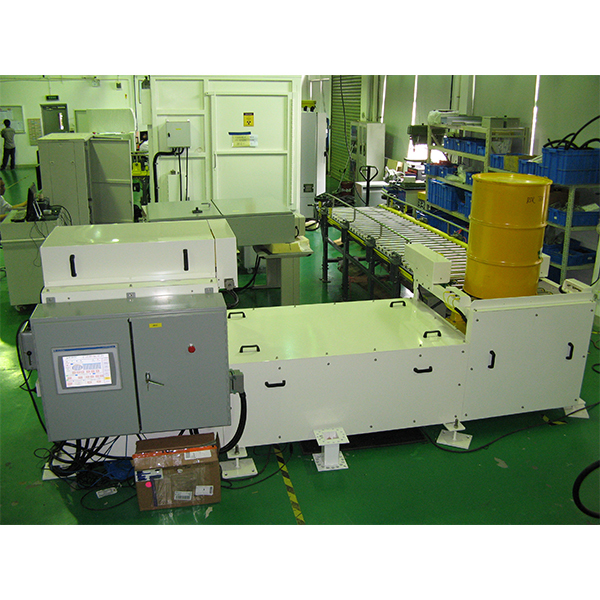 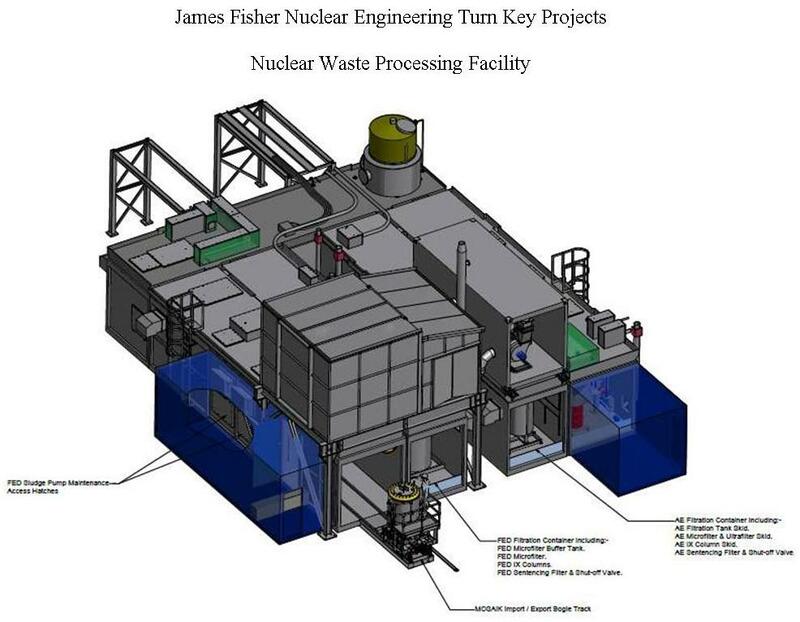 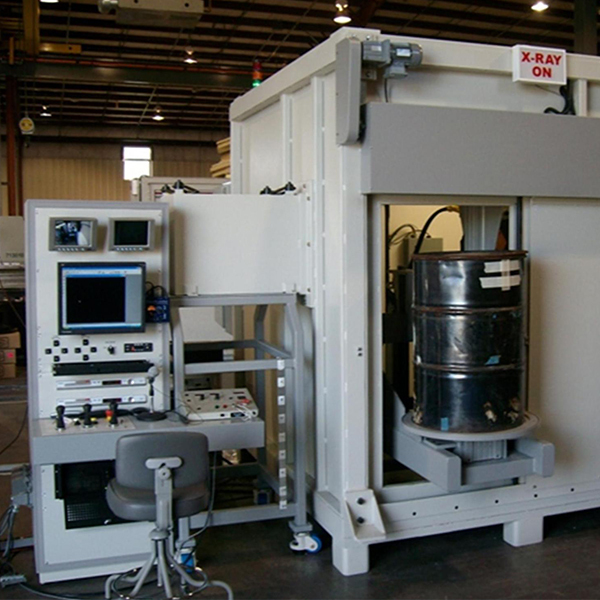 JFN are manufacturers and suppliers of high integrity equipment and services to the nuclear industry. 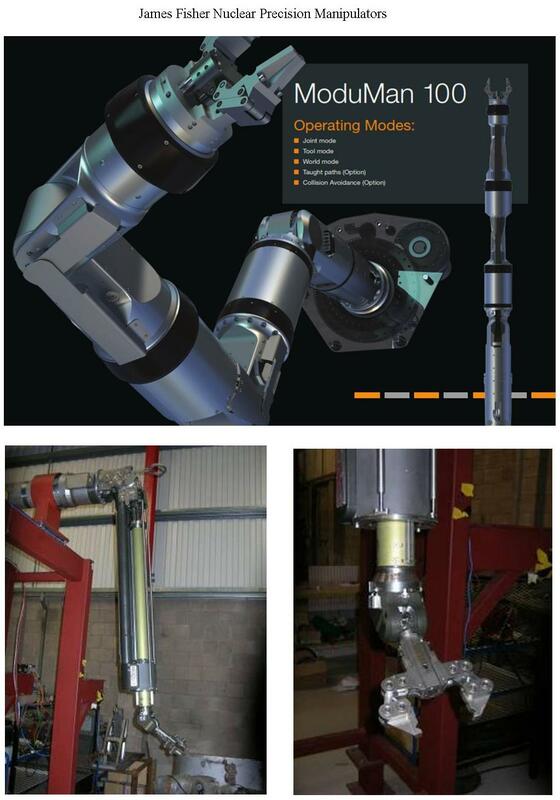 The company is able to provide a comprehensive range of services to its clients including the design and supply of mechanical handling systems, robotics and electromechanical handling and measurement equipment. 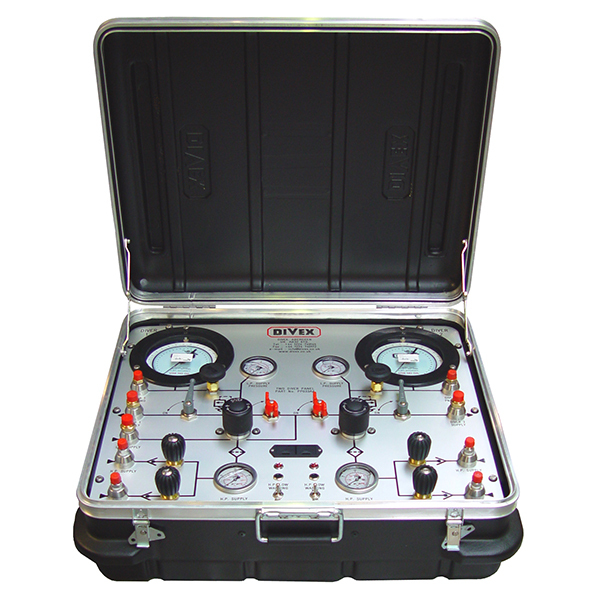 Formally known as Rees Instruments, Mirion IST-Rees are now part of the Mirion Technology Group. 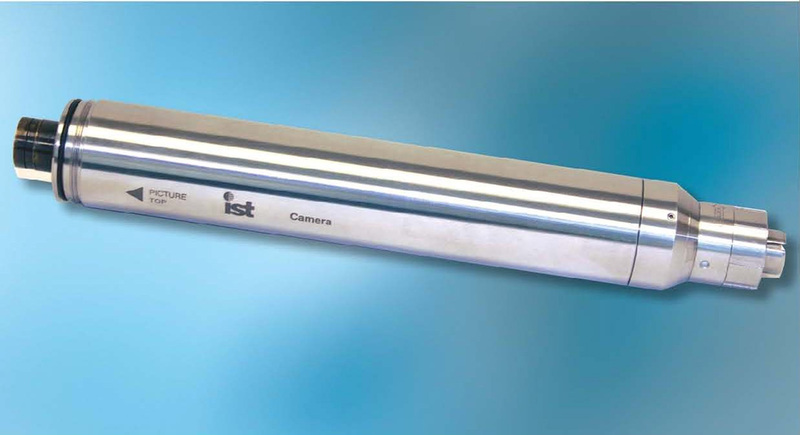 IST-Rees are the acknowledged leaders of radiation tolerant cameras and CCTV systems for the world’s nuclear industry. 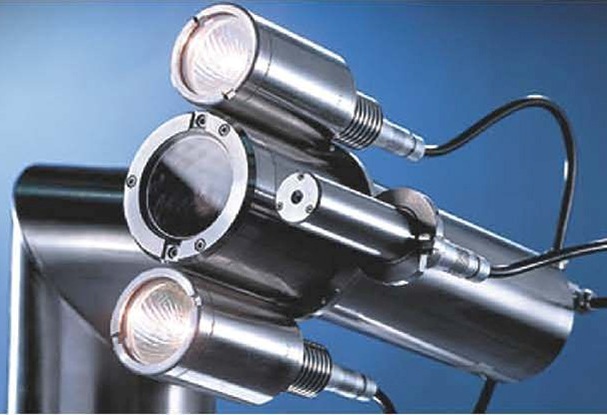 Their radiation tolerant range of products provide a broad spectrum of inspection options including high radiation tolerant monochrome and colour CCTV systems. 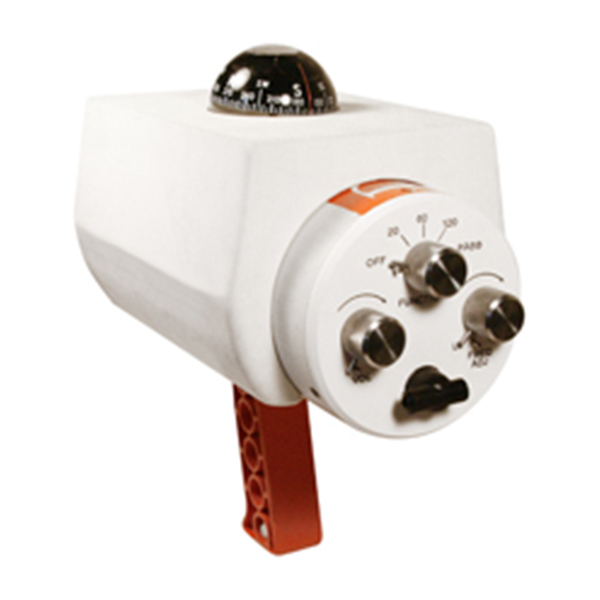 With over 40 years of design and manufacturing experience there are now thousands of IST-Rees cameras in use in the world’s nuclear power plants and facilities. 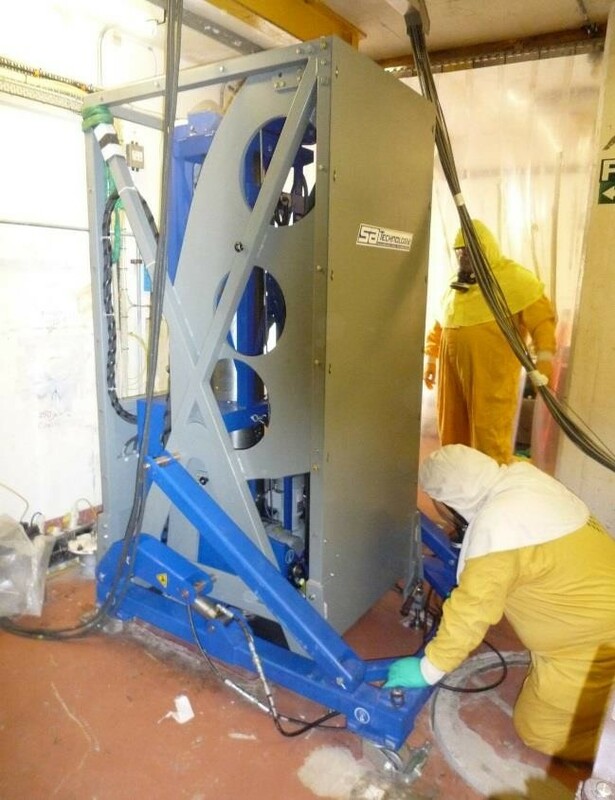 RPS have been developing and implementing engineered controls for radiological and hazardous material applications since 1978. 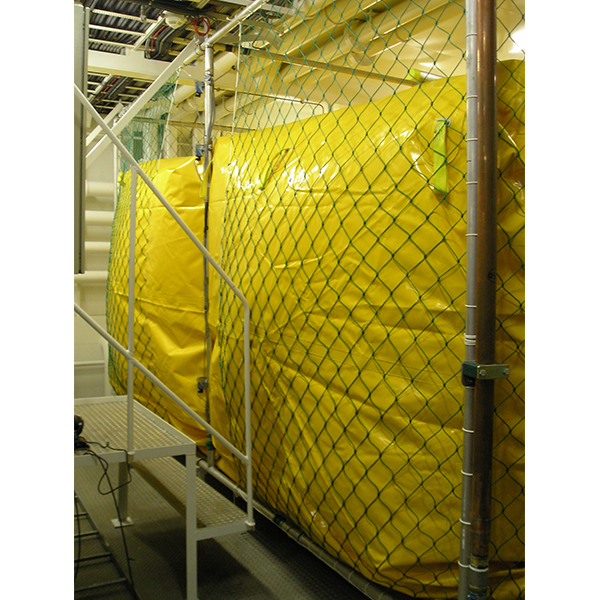 RPS are manufacturers and suppliers of radiation protection equipment that includes HEPA Filtration and Purification systems, installed, customised and mobile shield wall assemblies, gloveboxes, work hoods and containment buildings. 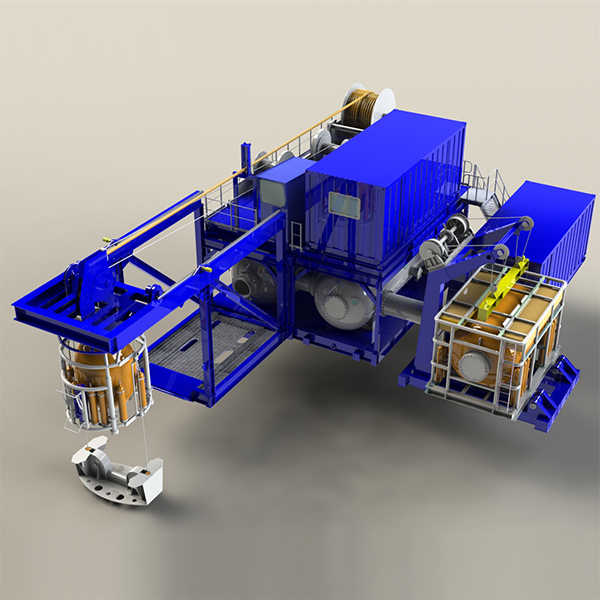 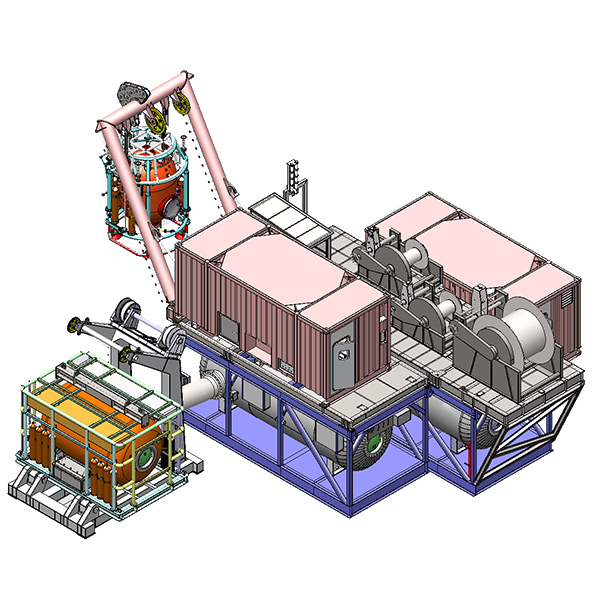 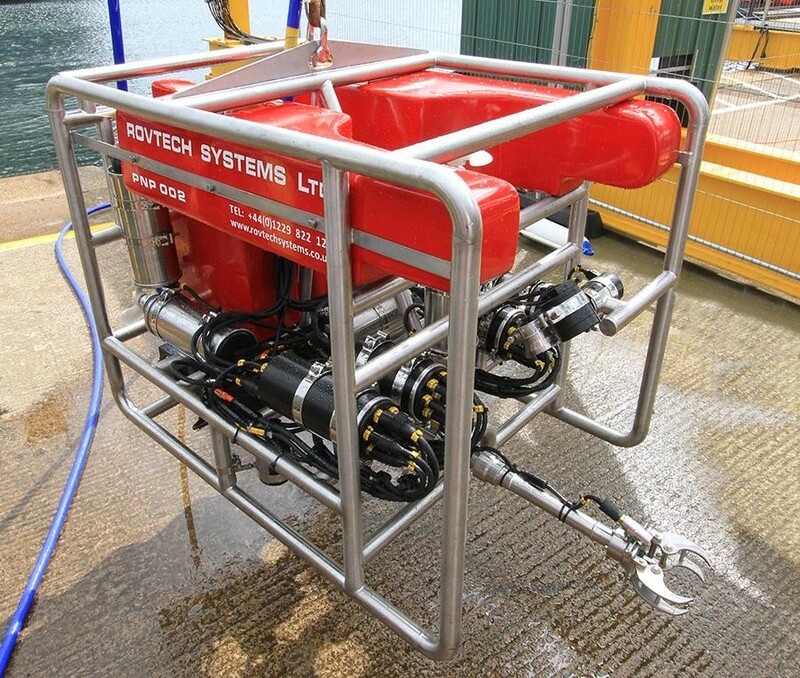 Rovtech Solutions Ltd. (RSL) make a range of ROV’s, which are used in nuclear decommissioning projects as well as offshore. 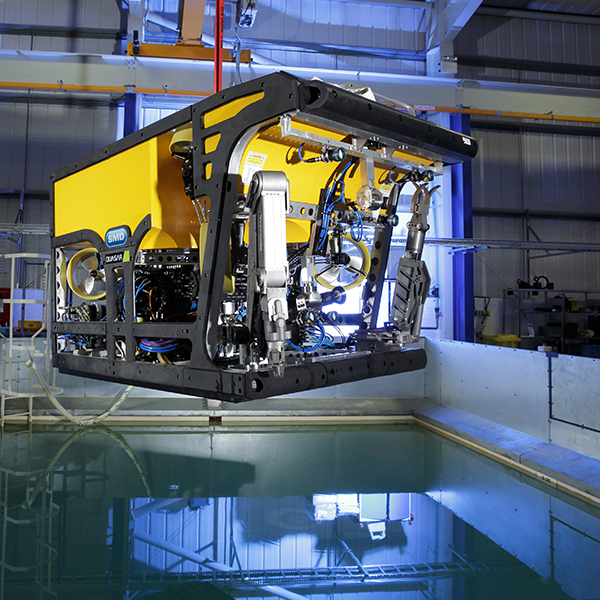 Nuclear RSL Seaker ROV’s have operated in Sellafield, U.K. for many years. 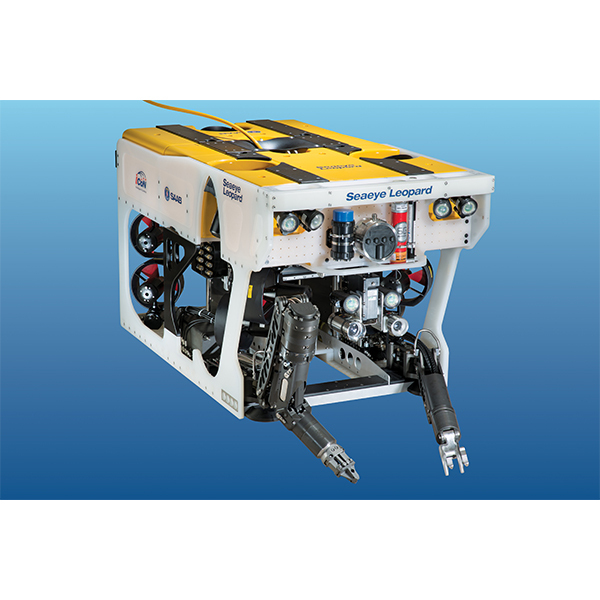 The RSL PNP Super Seaker and the RSL NANO Seaker are all-electric ROV’s developed for specific roles in fuel pond and pressure vessel inspection, and in removing irradiated materials.